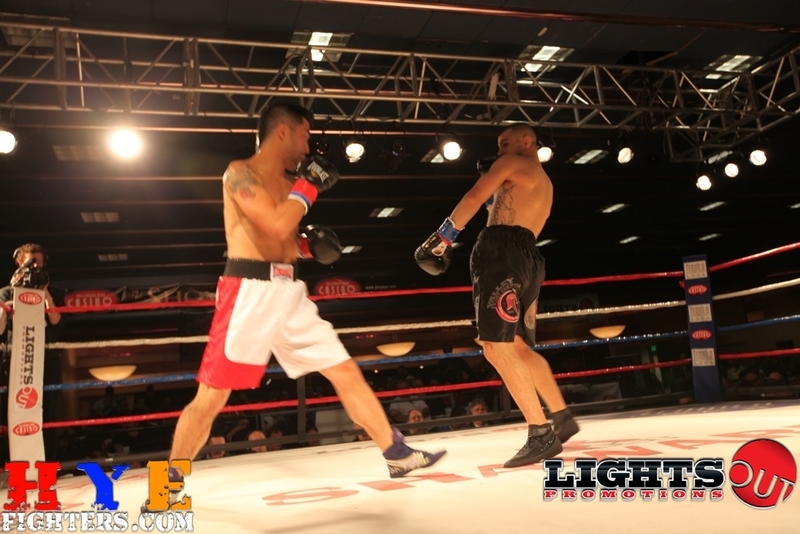 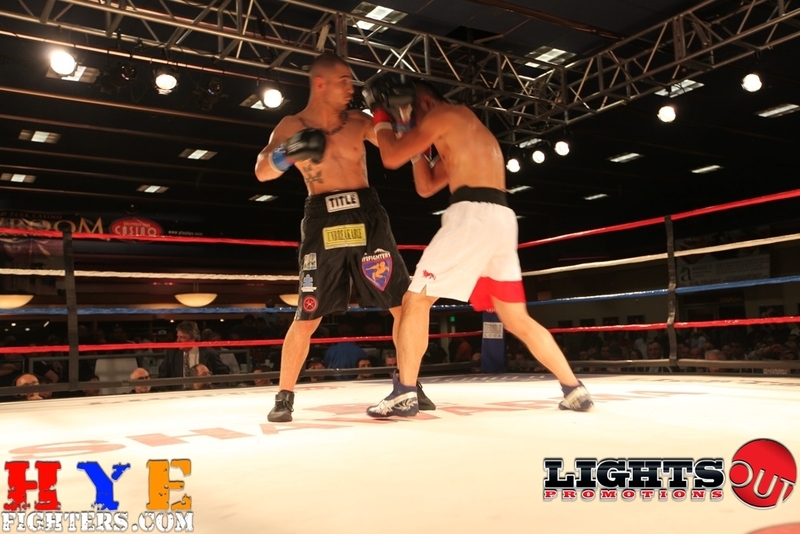 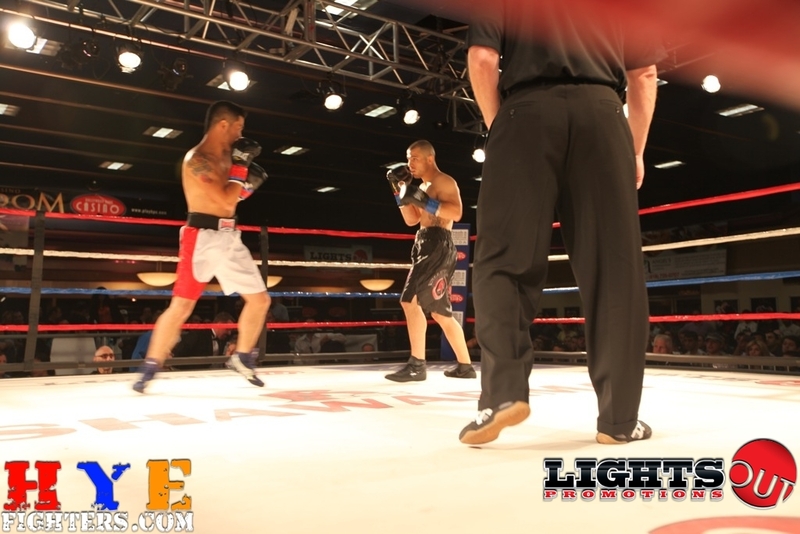 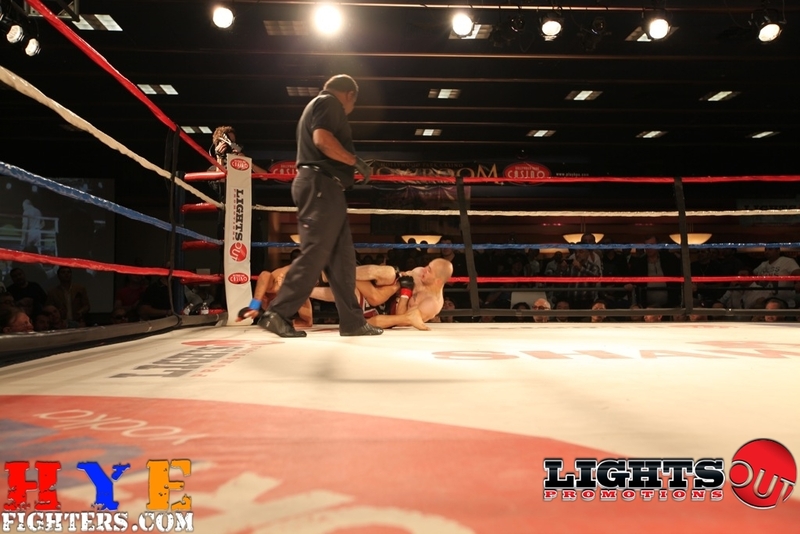 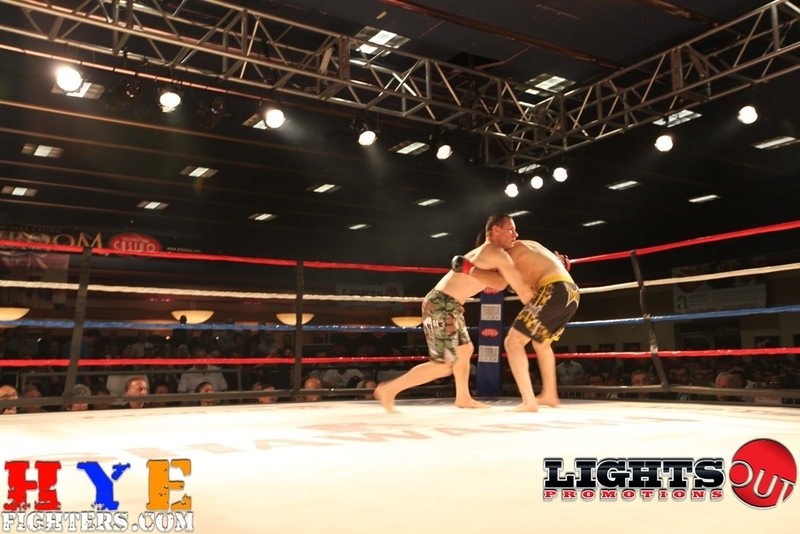 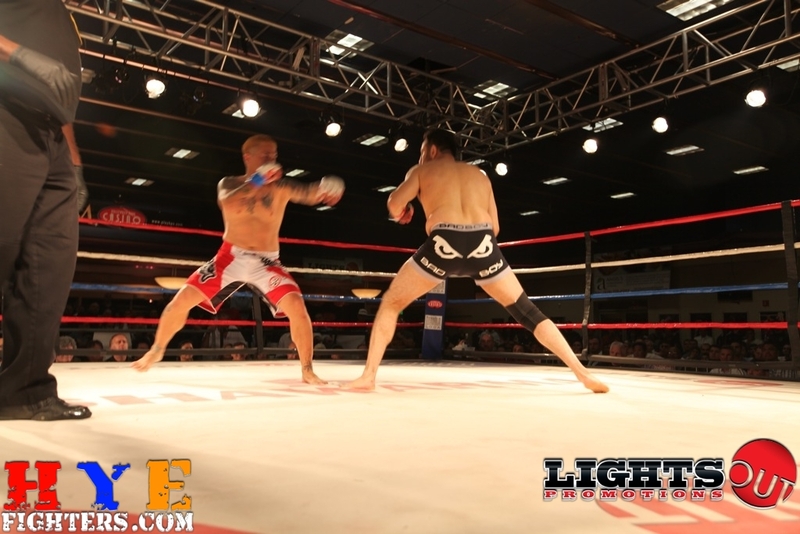 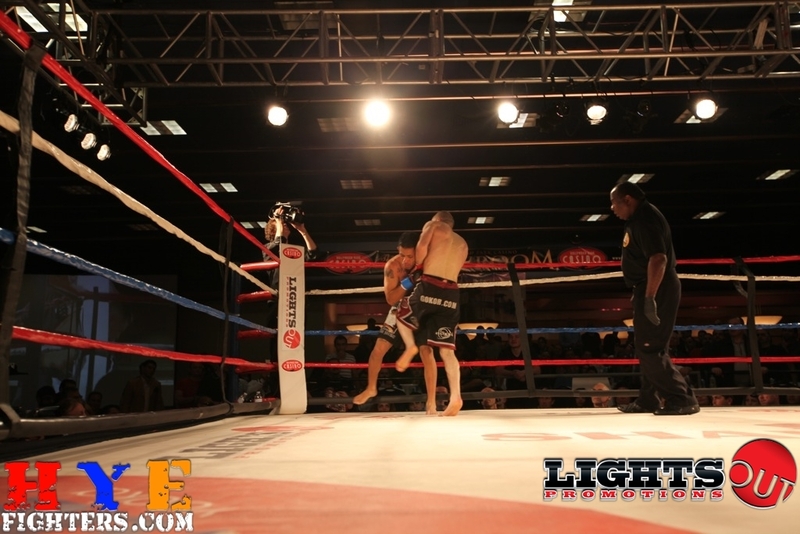 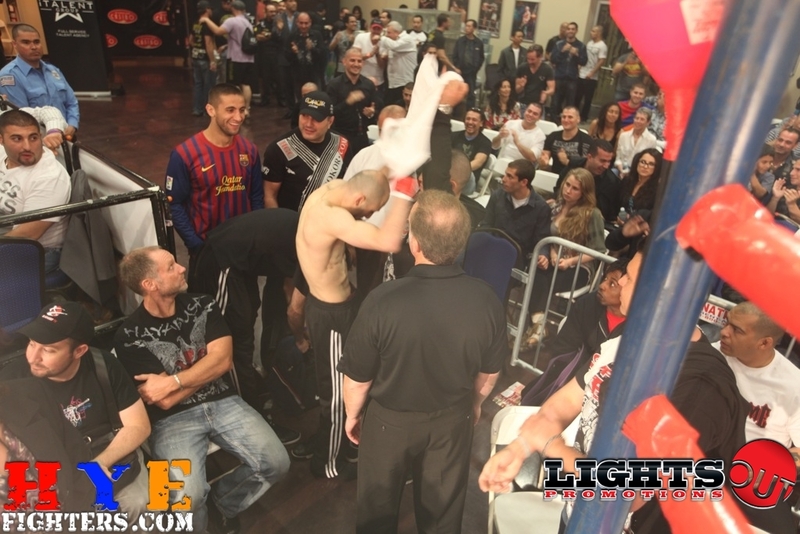 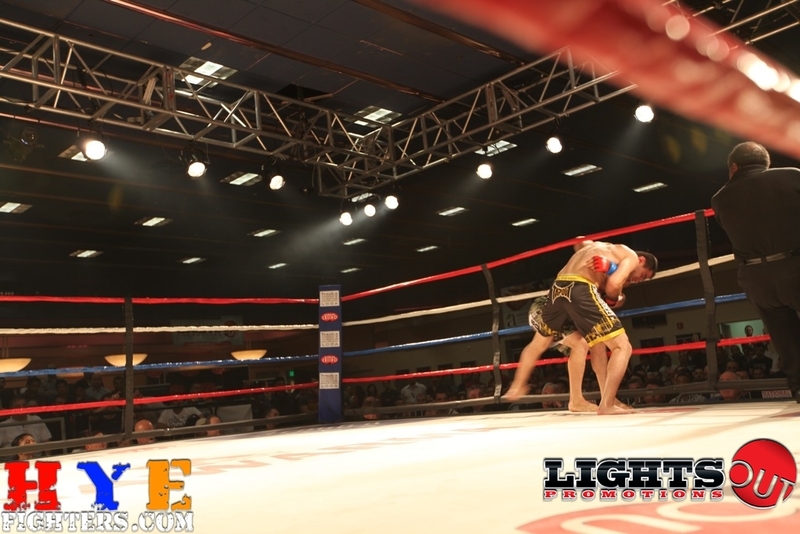 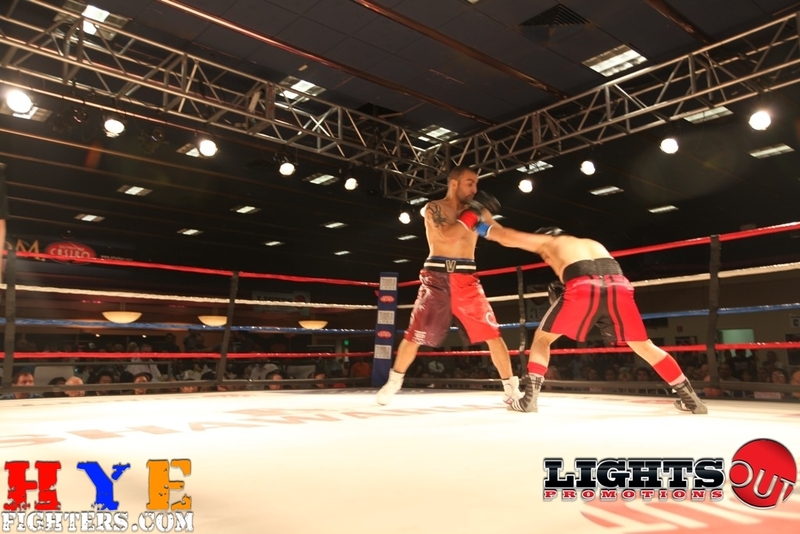 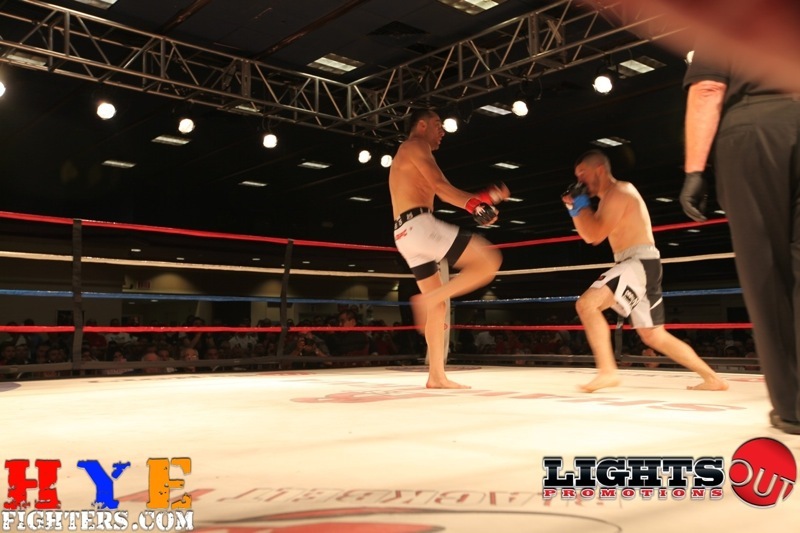 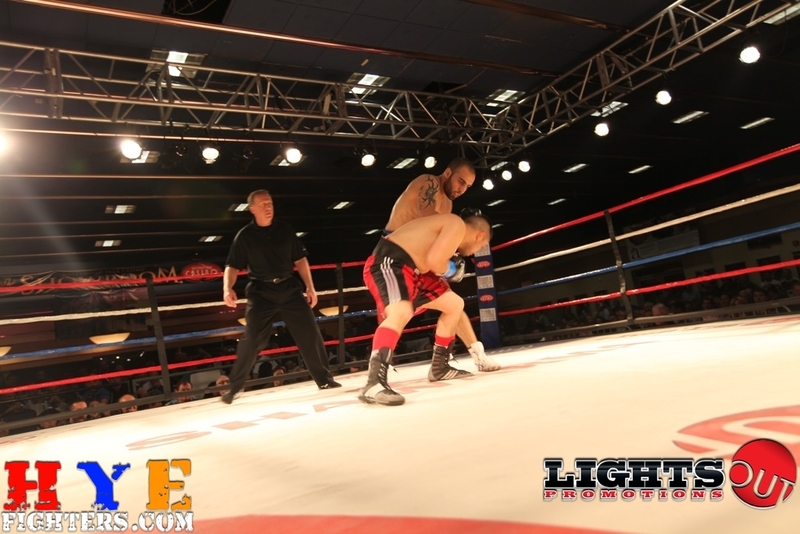 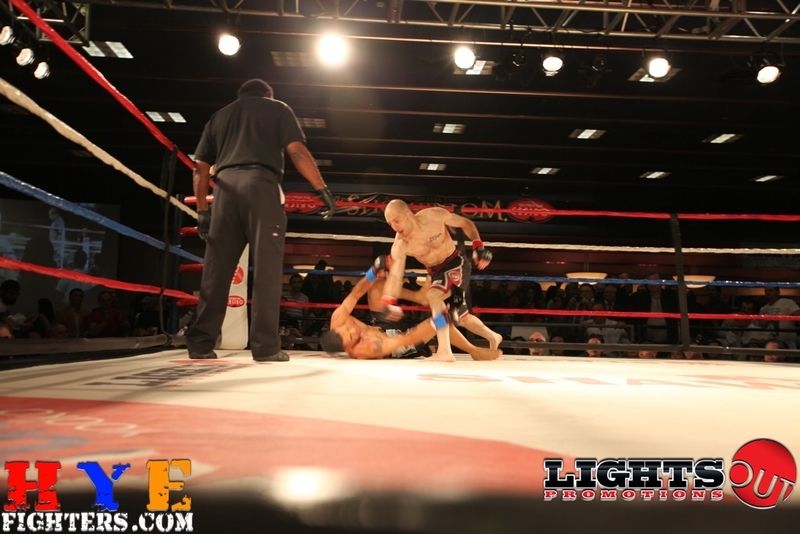 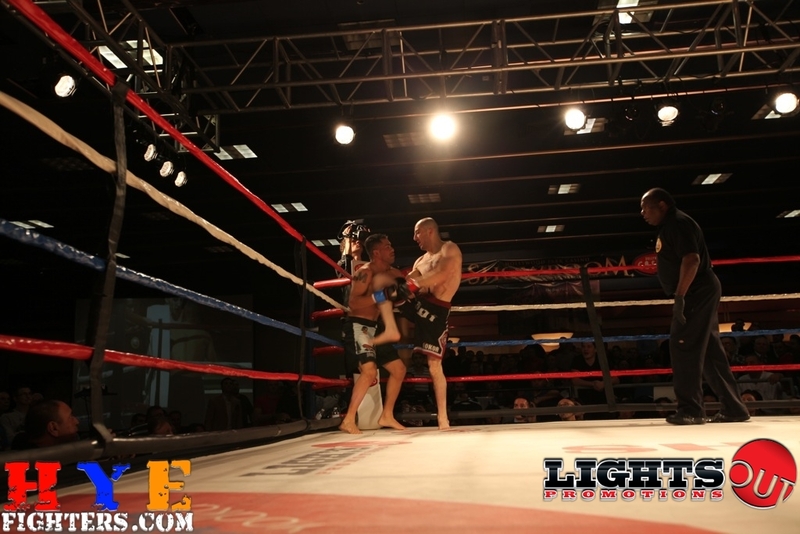 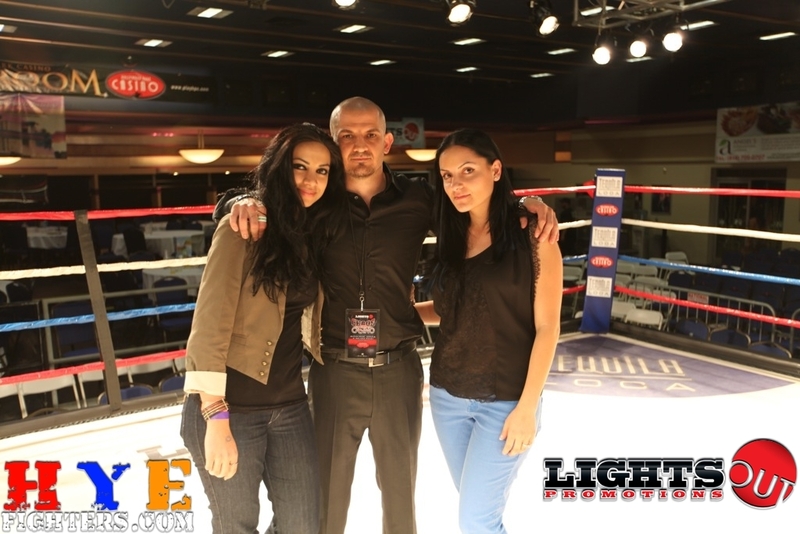 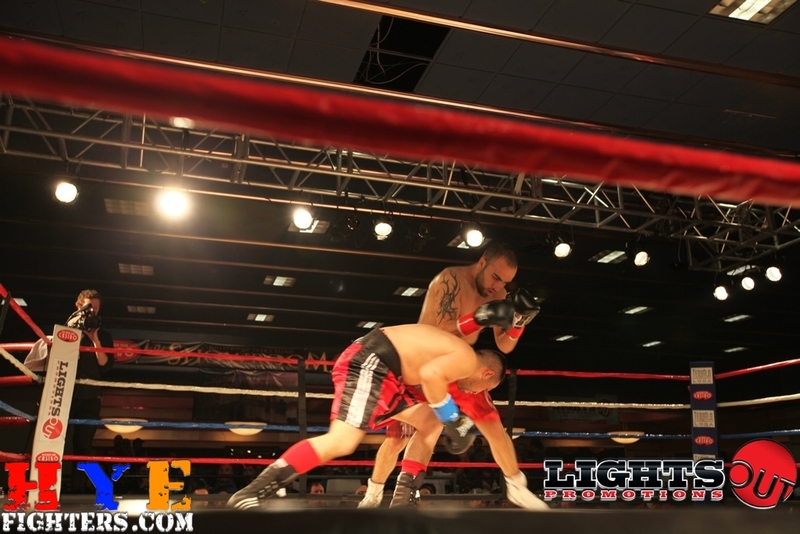 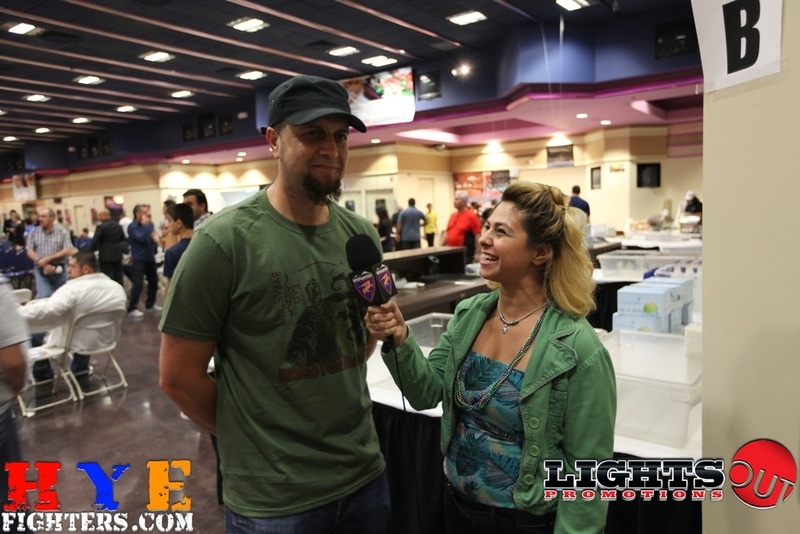 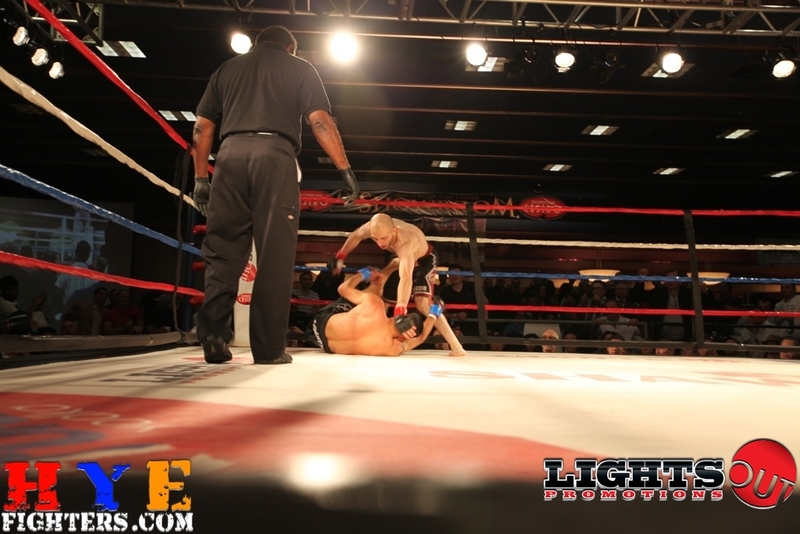 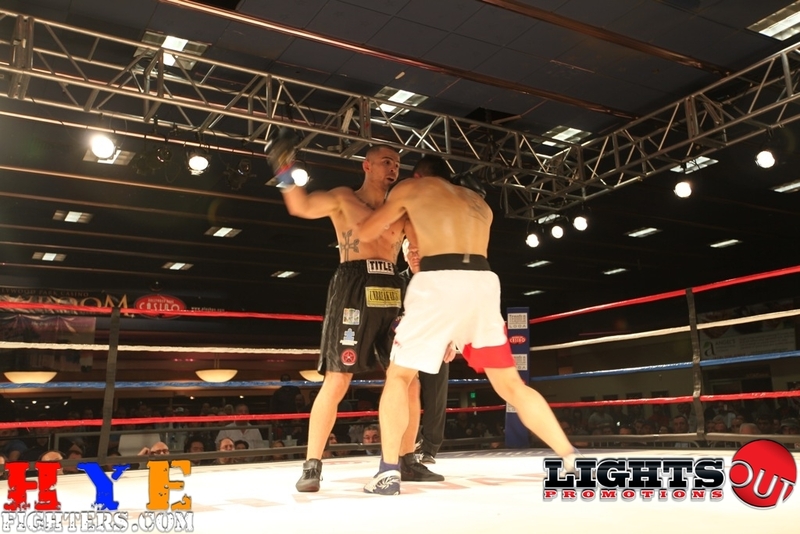 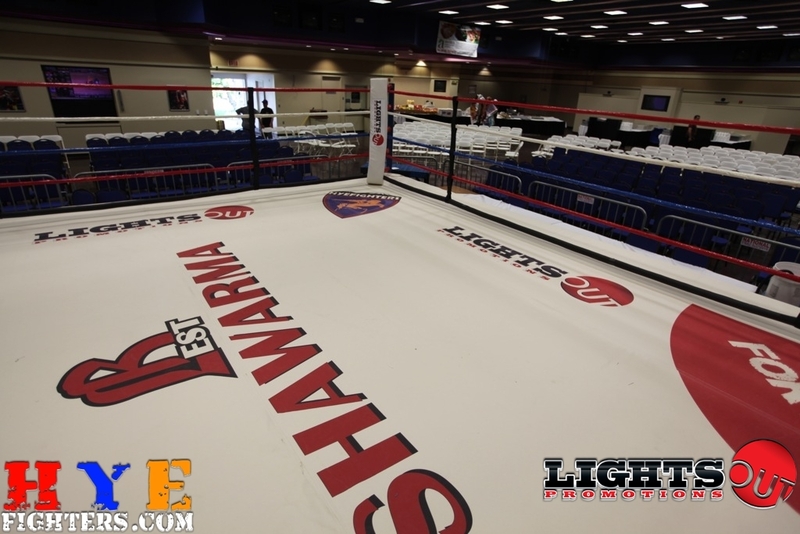 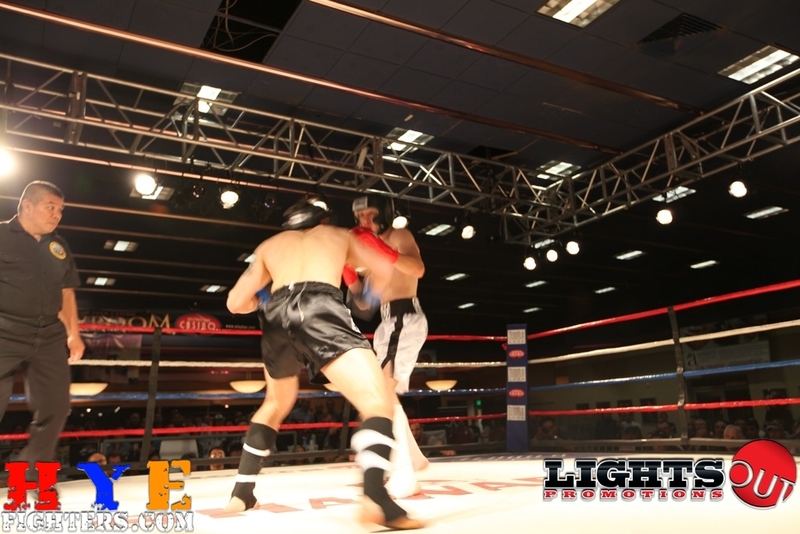 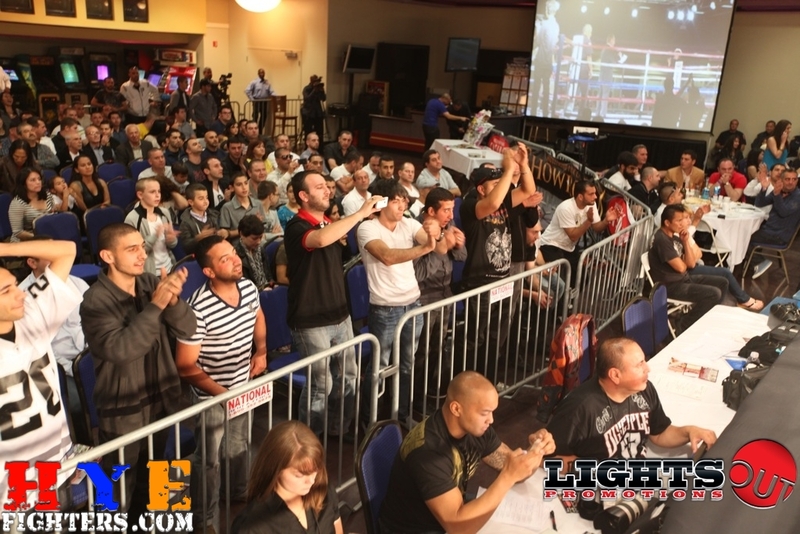 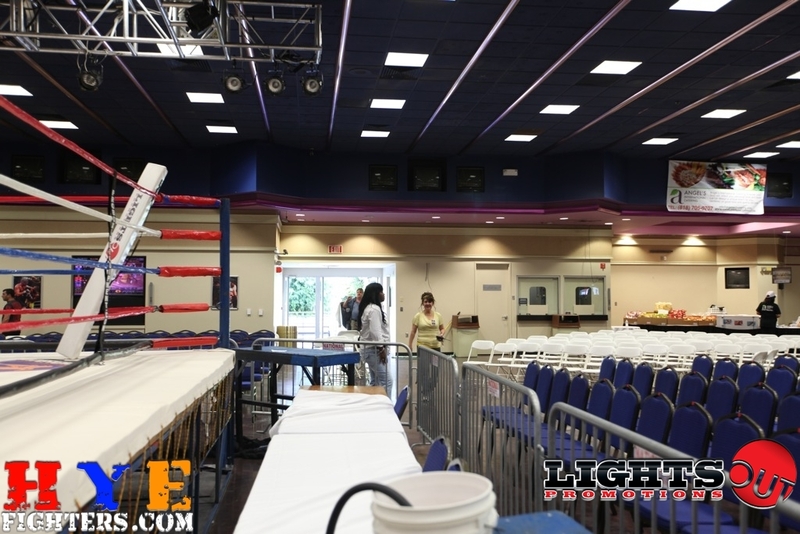 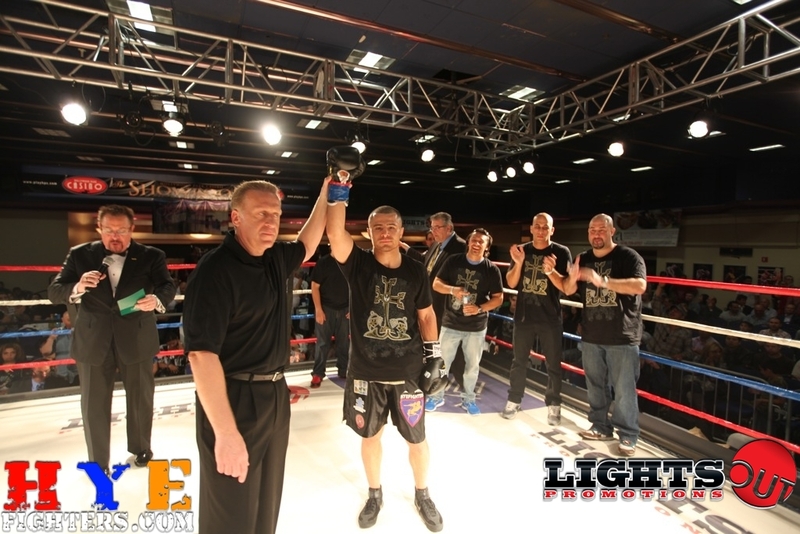 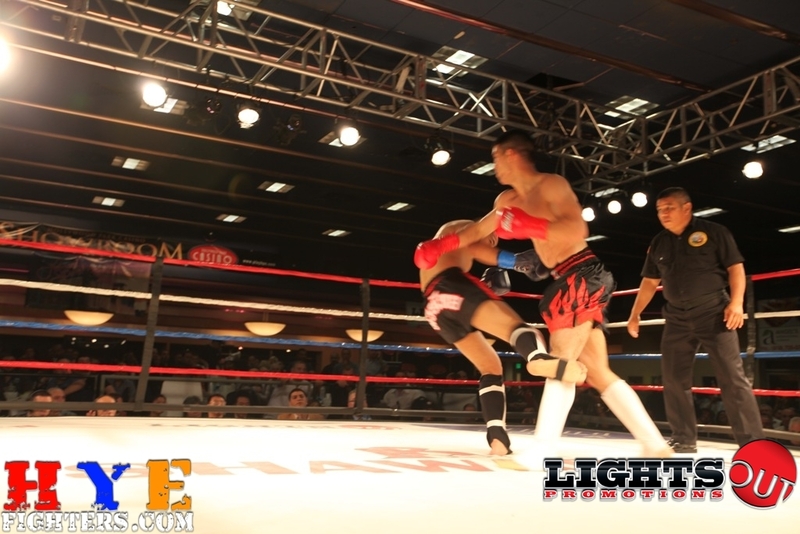 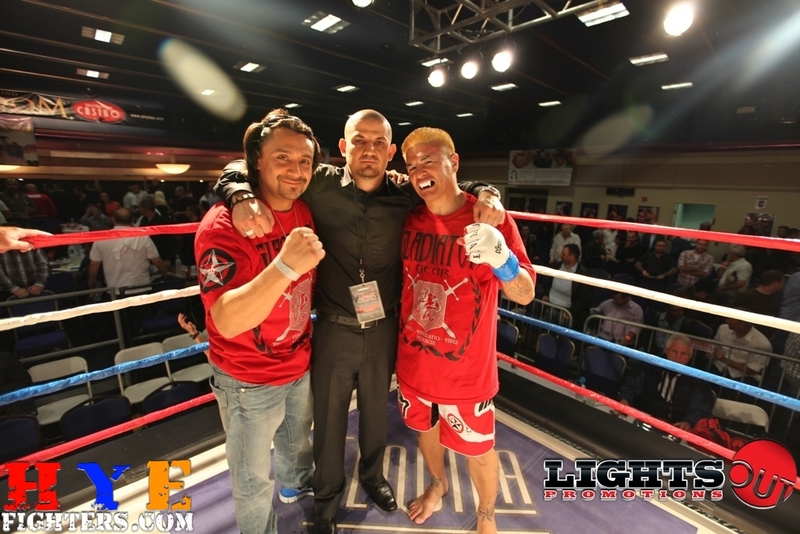 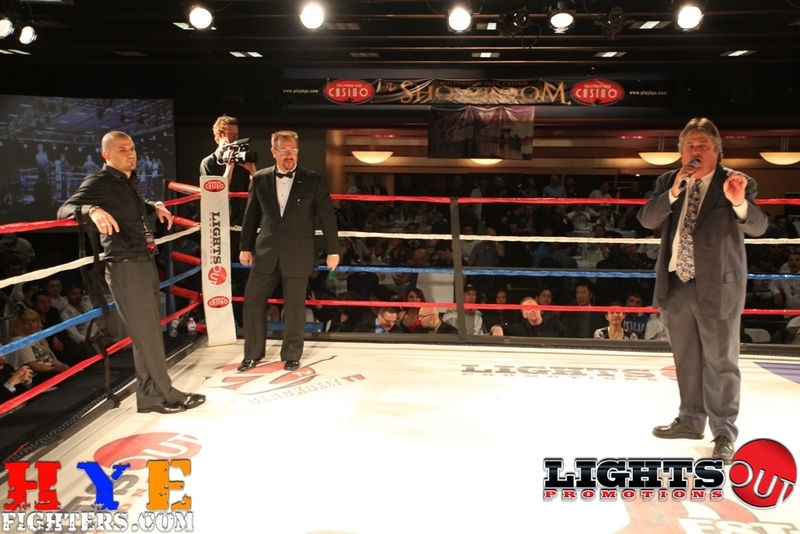 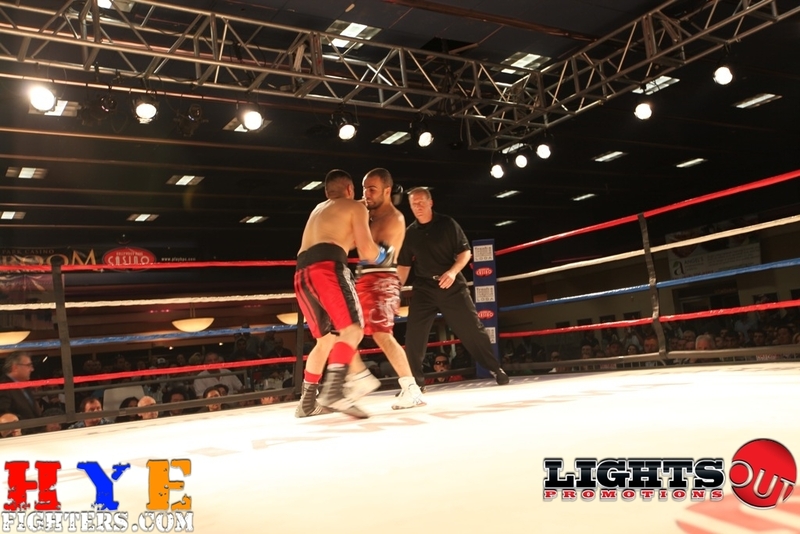 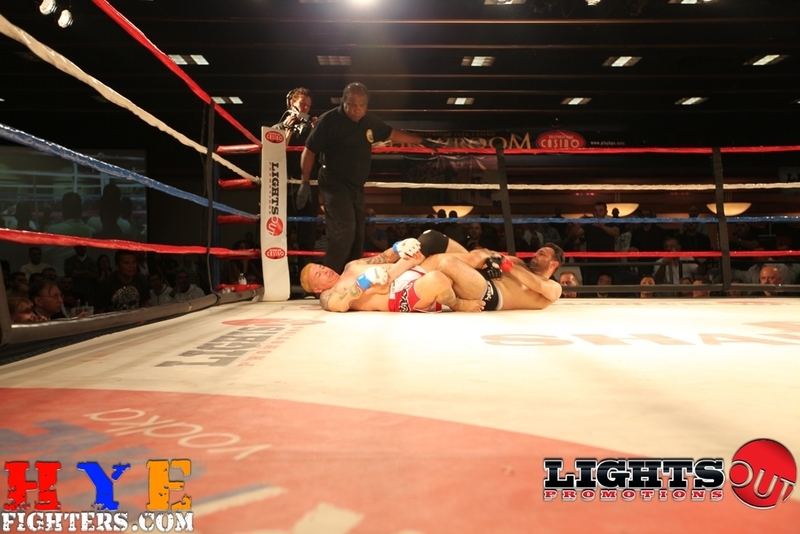 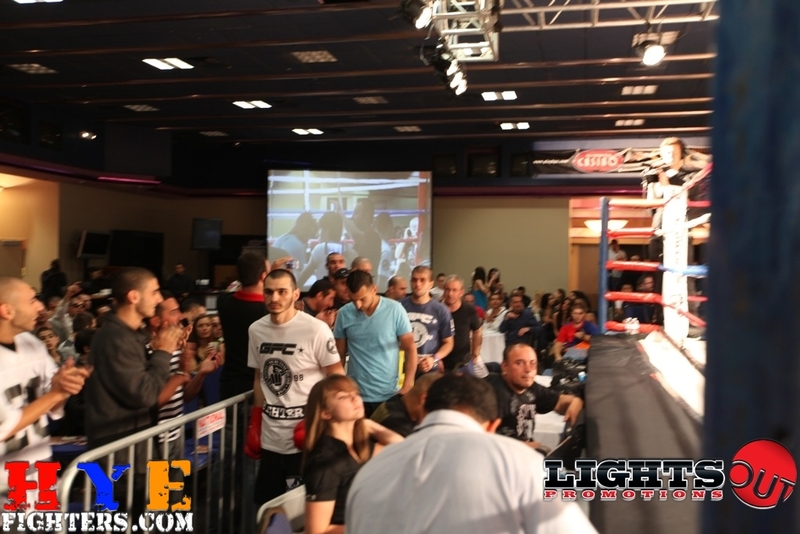 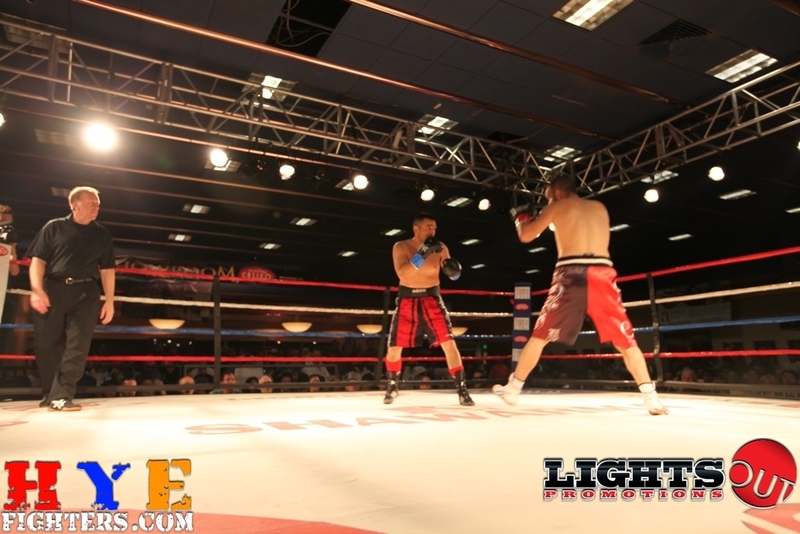 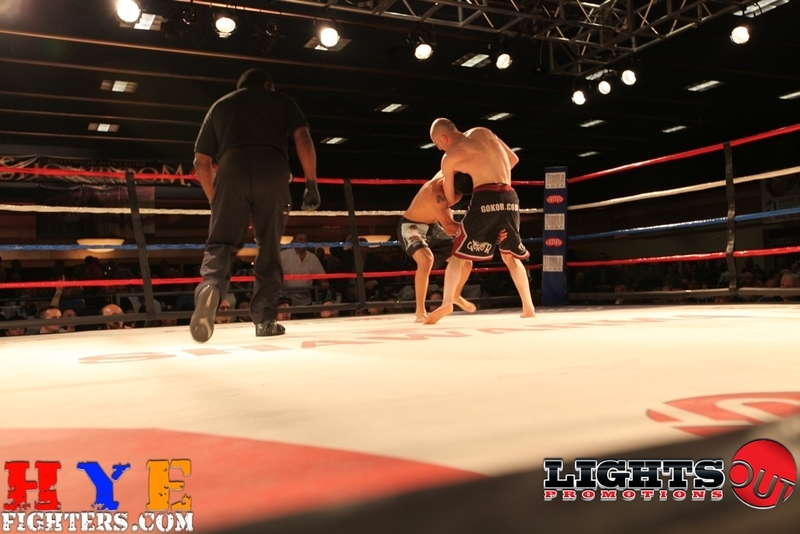 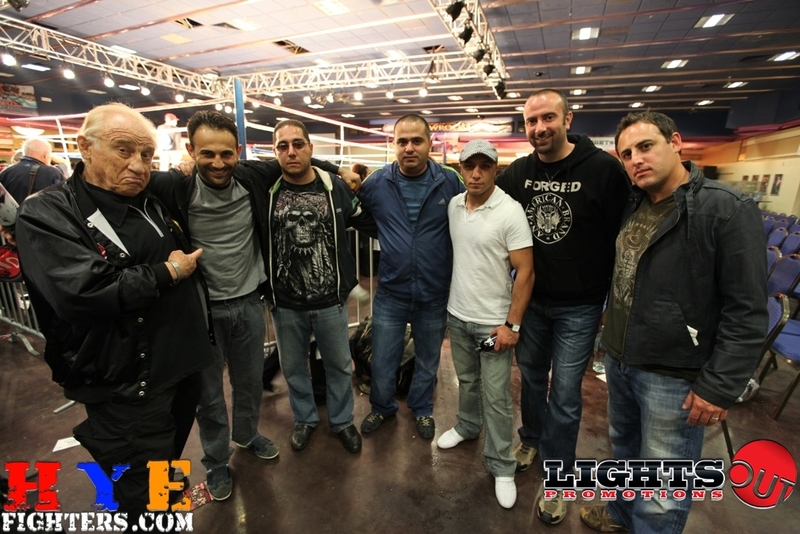 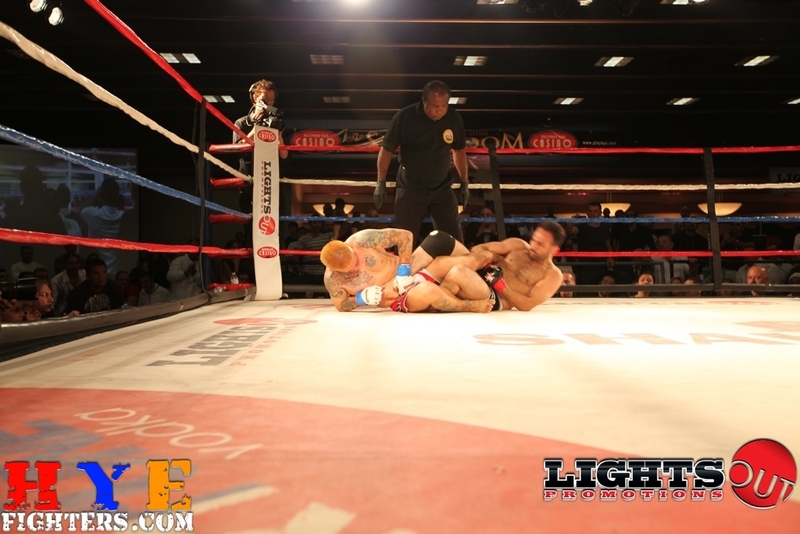 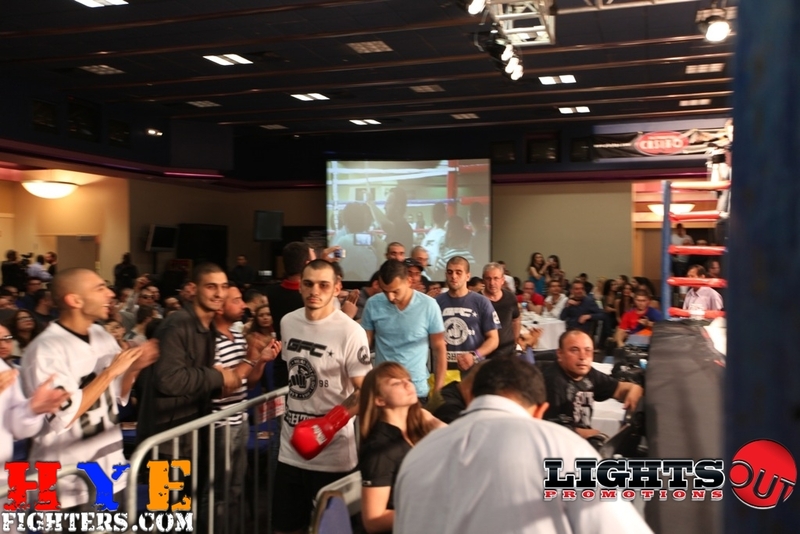 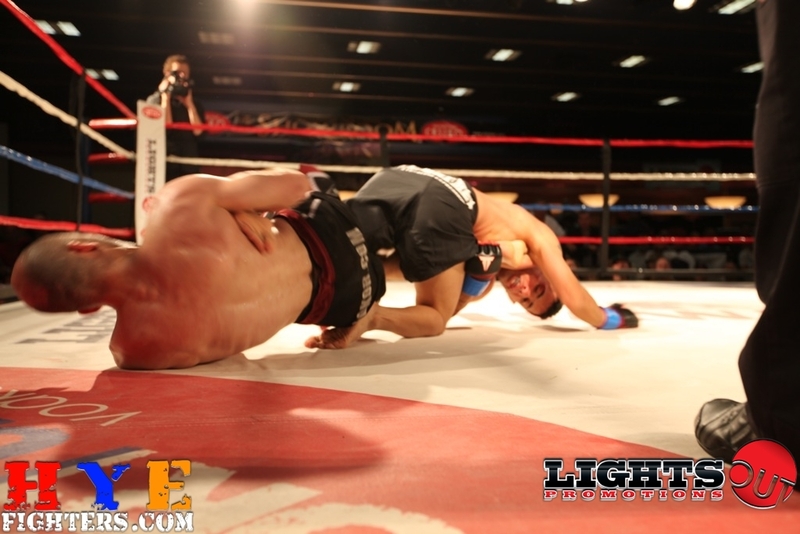 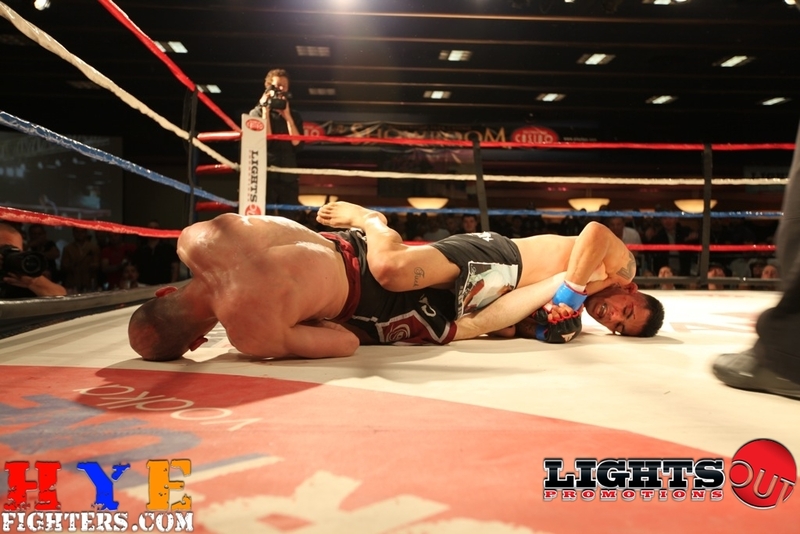 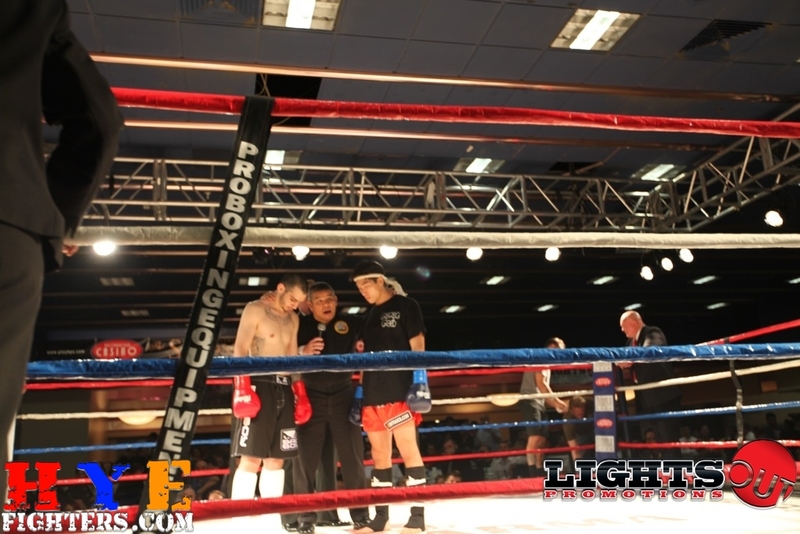 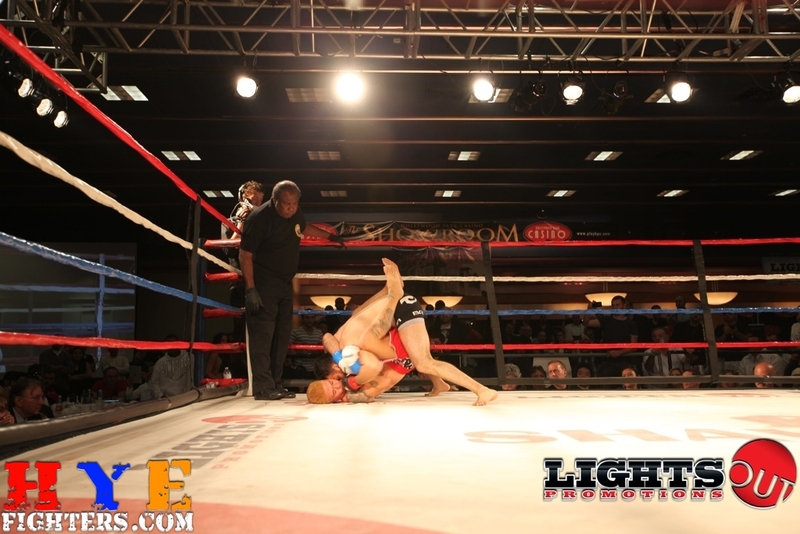 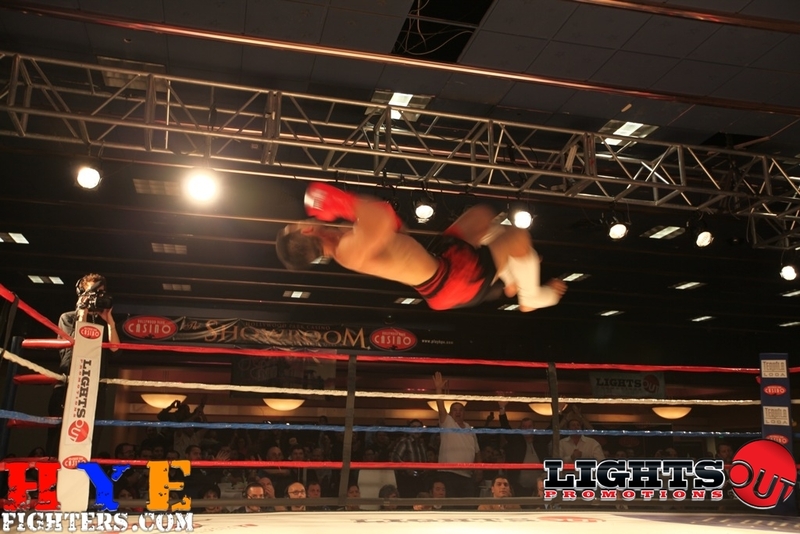 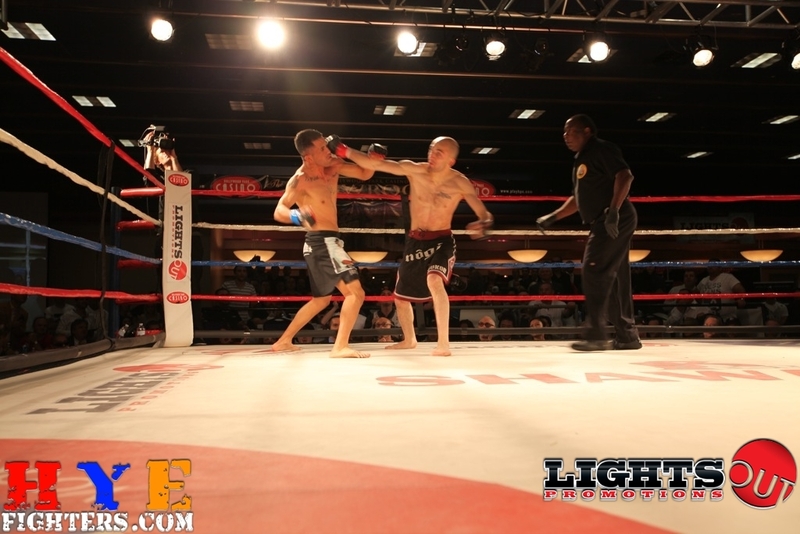 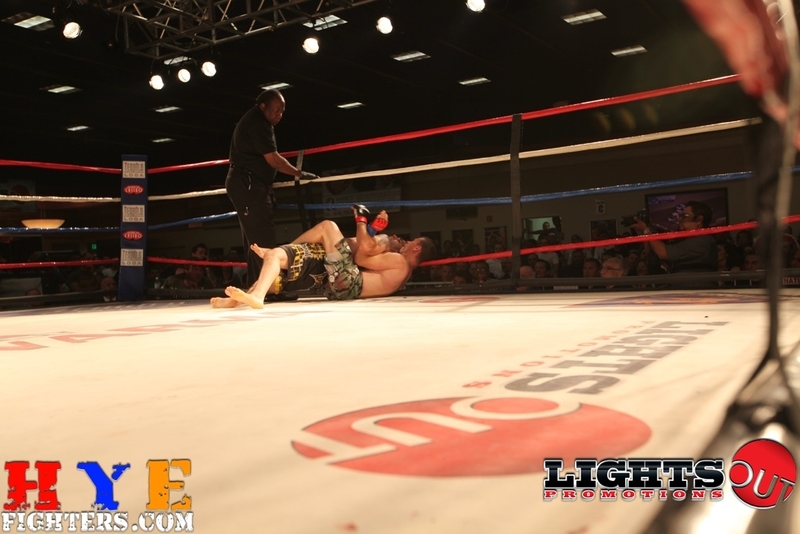 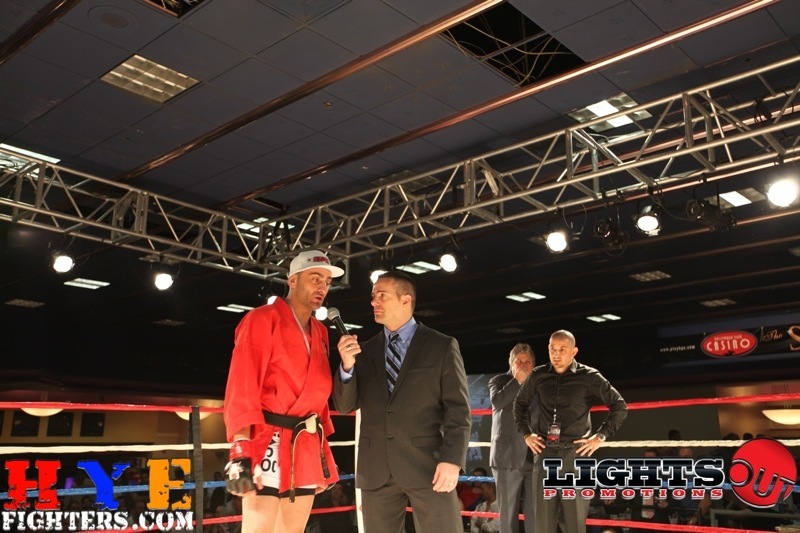 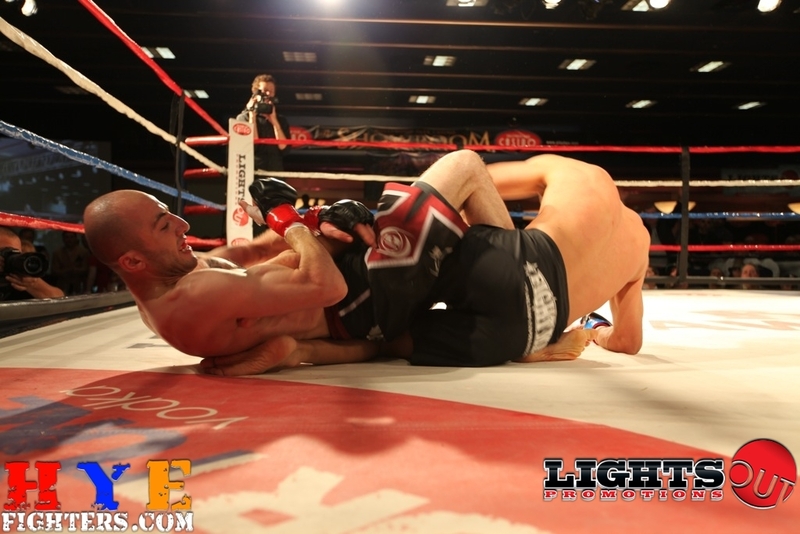 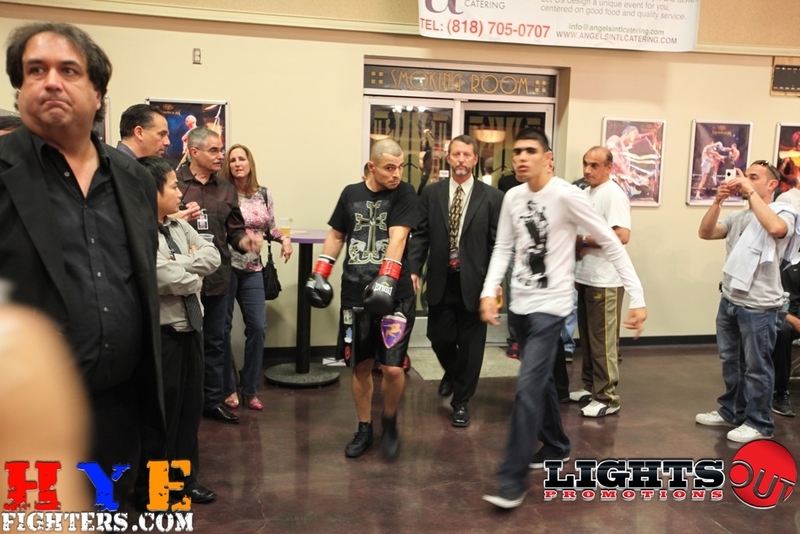 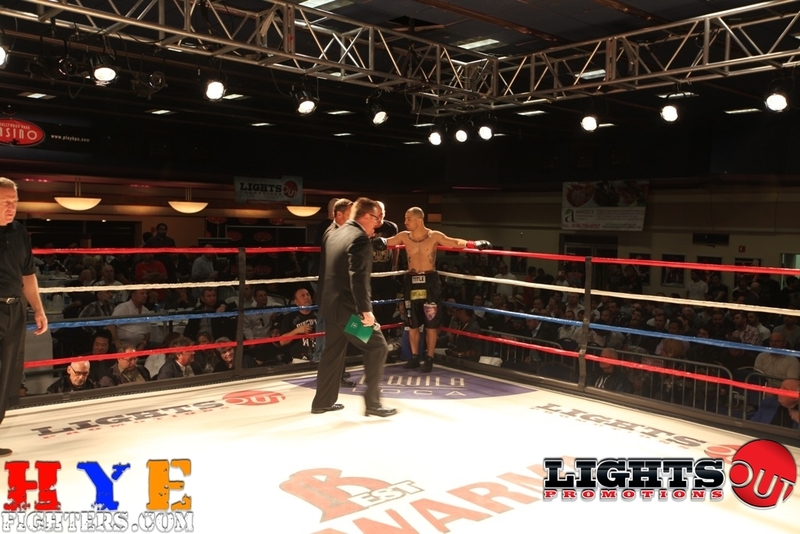 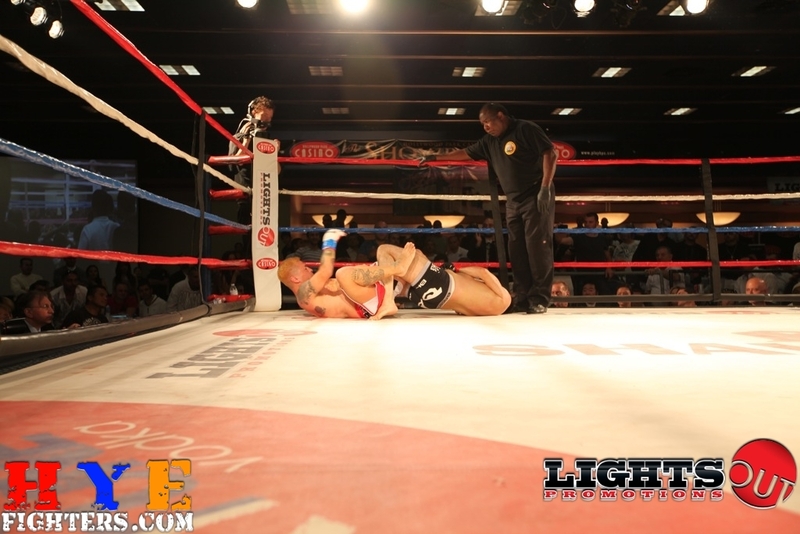 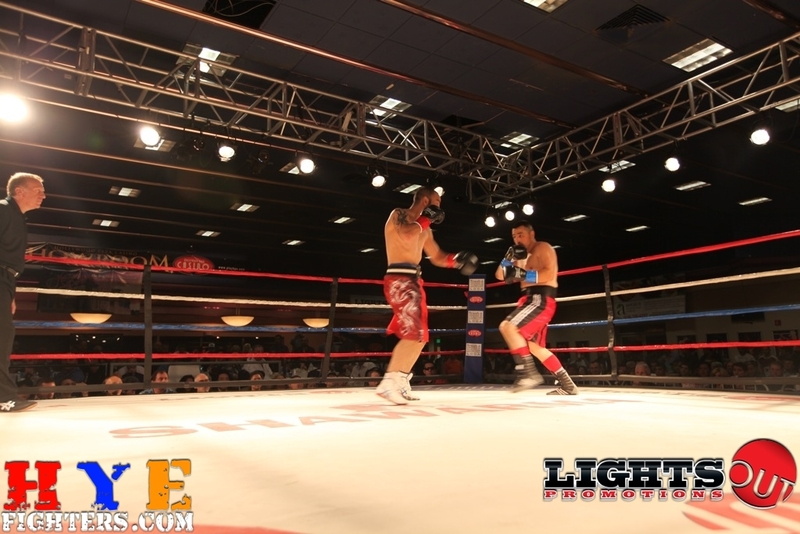 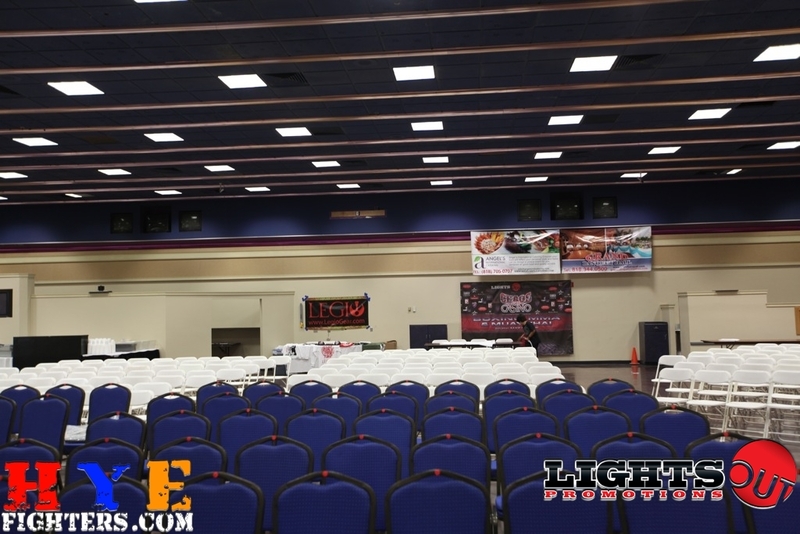 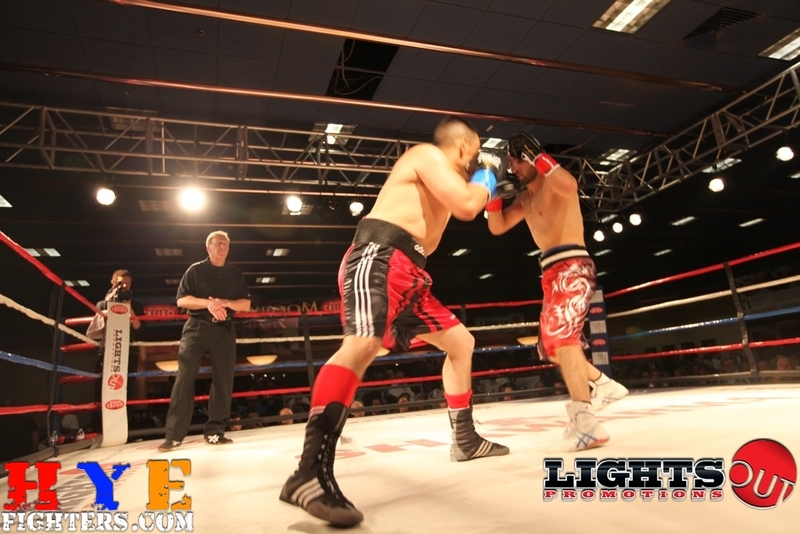 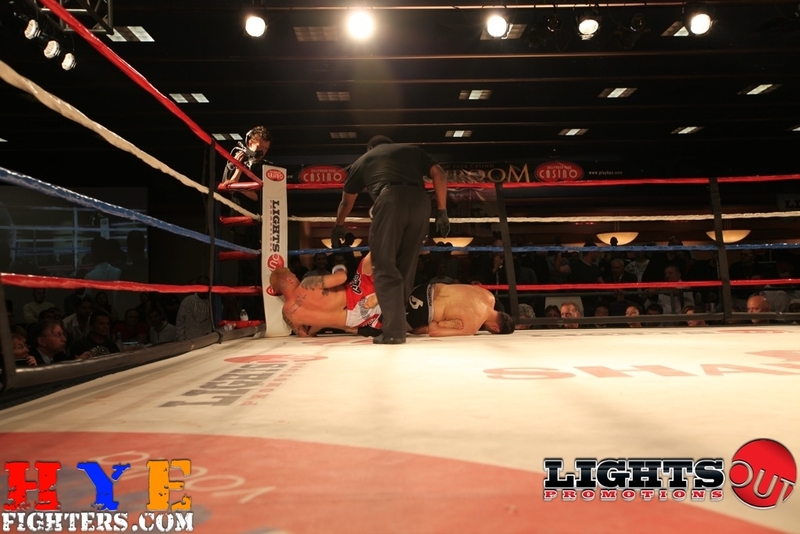 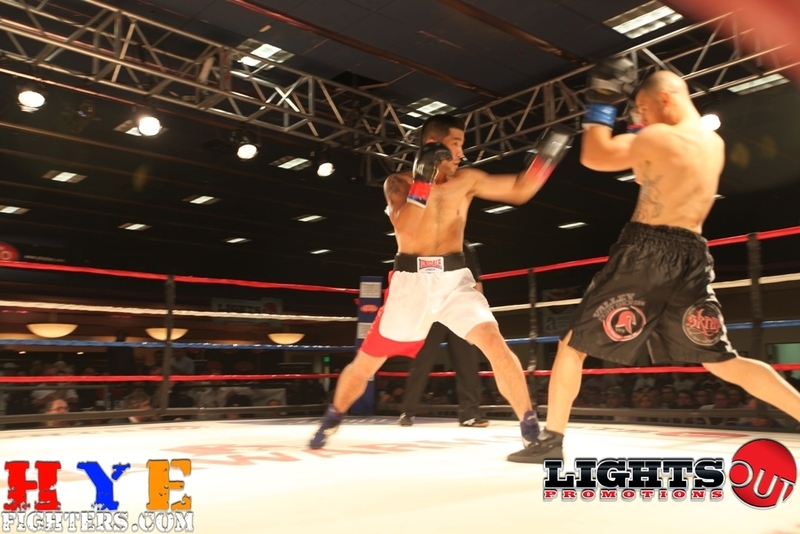 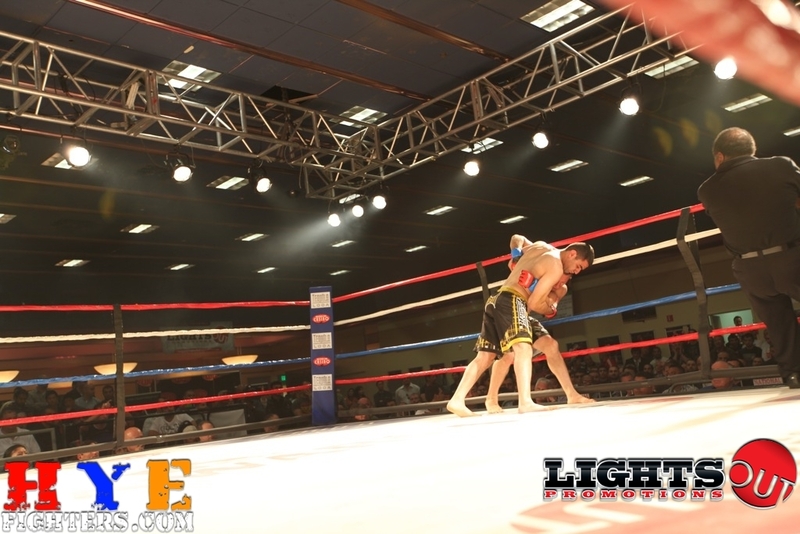 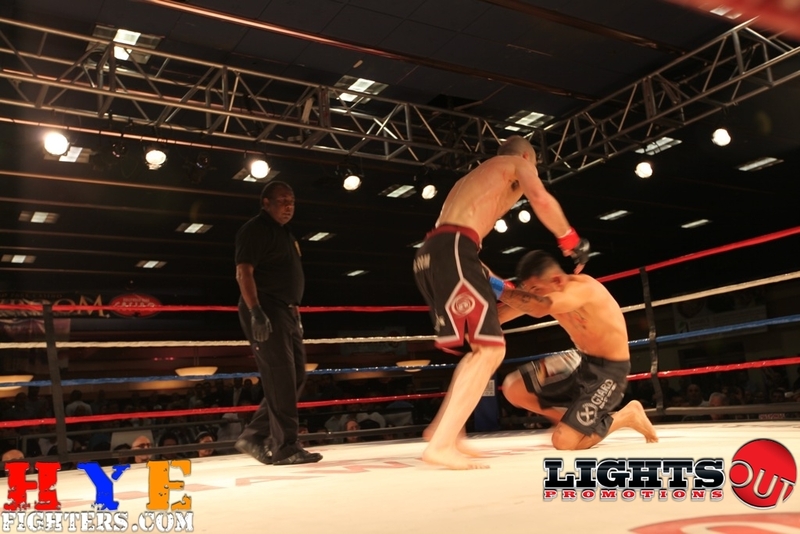 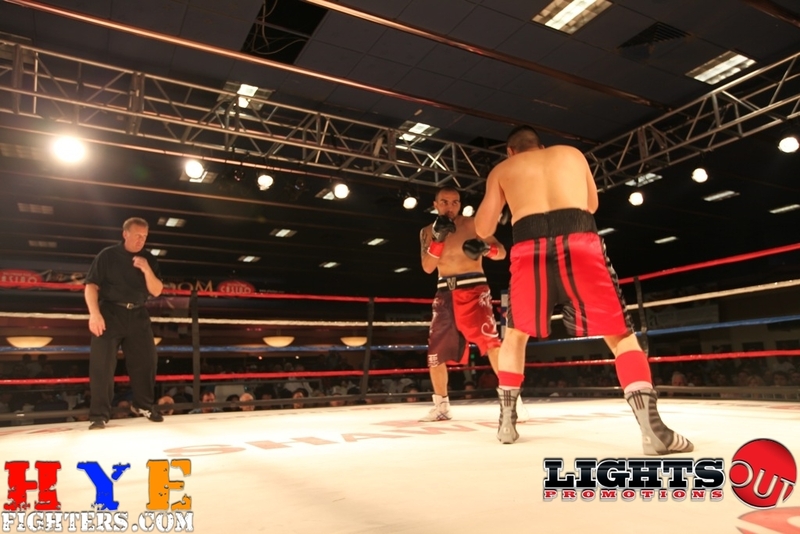 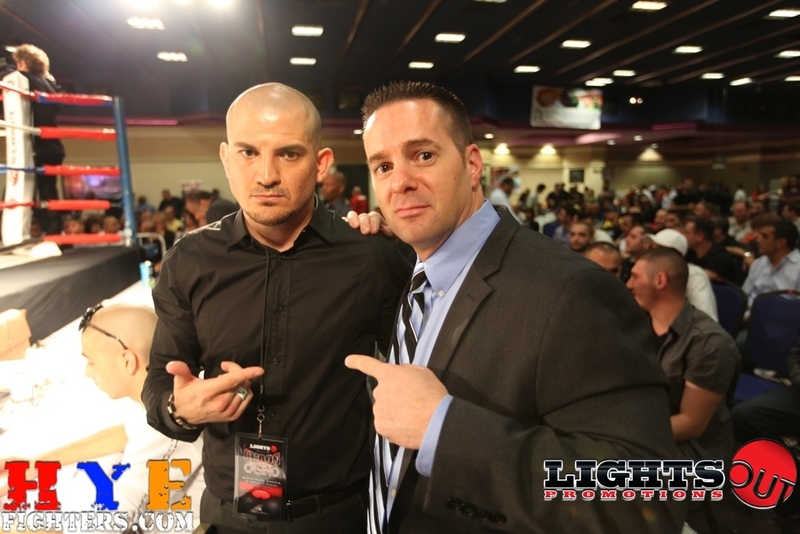 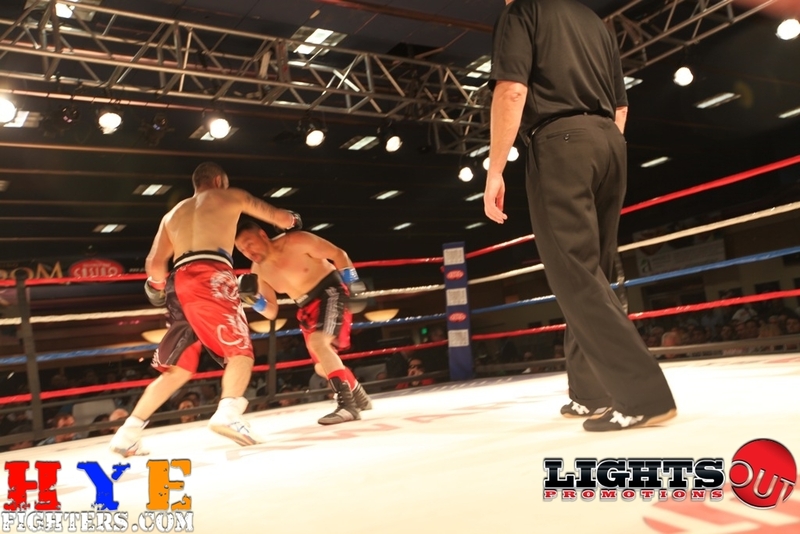 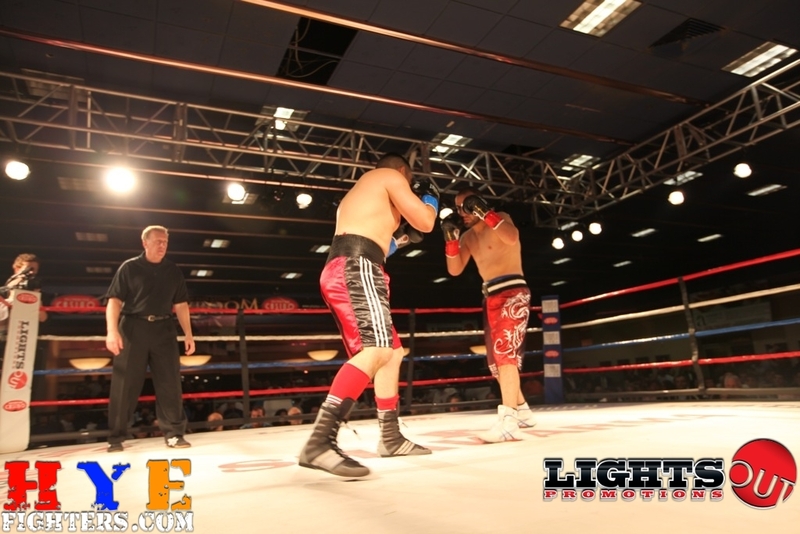 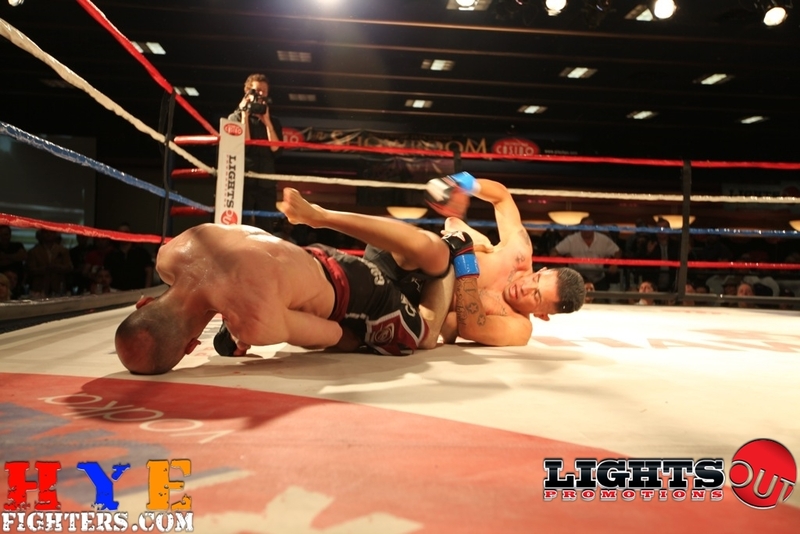 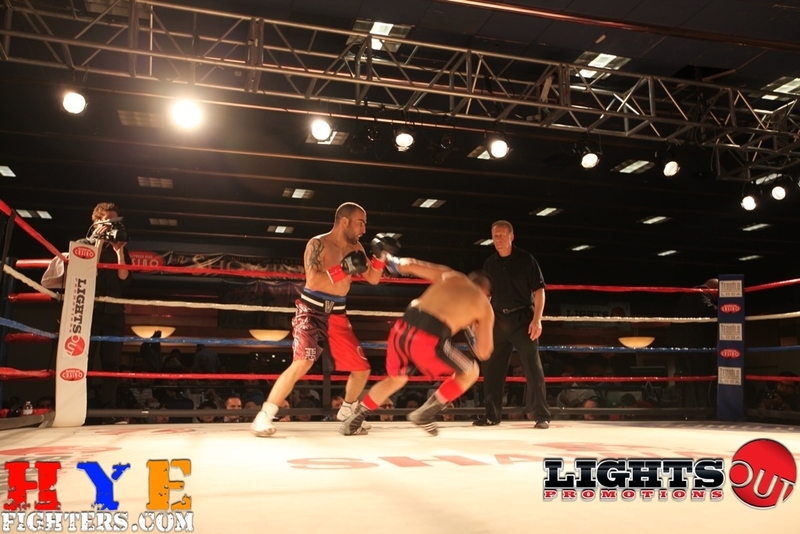 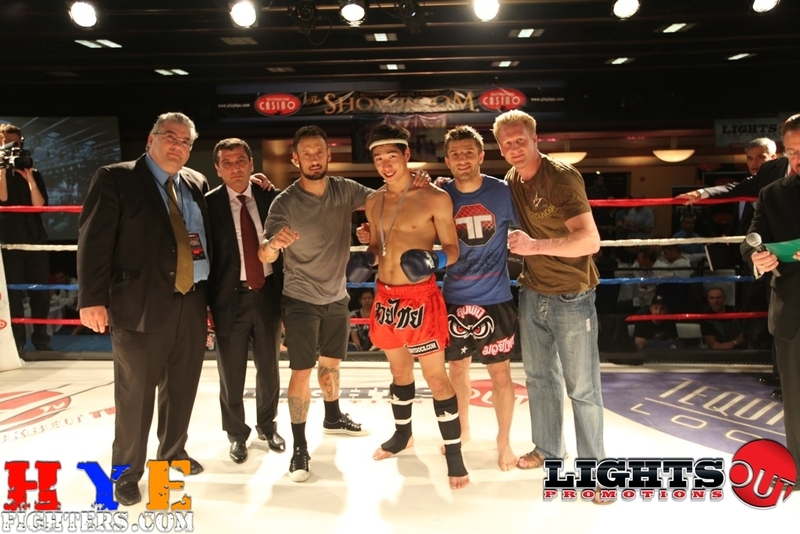 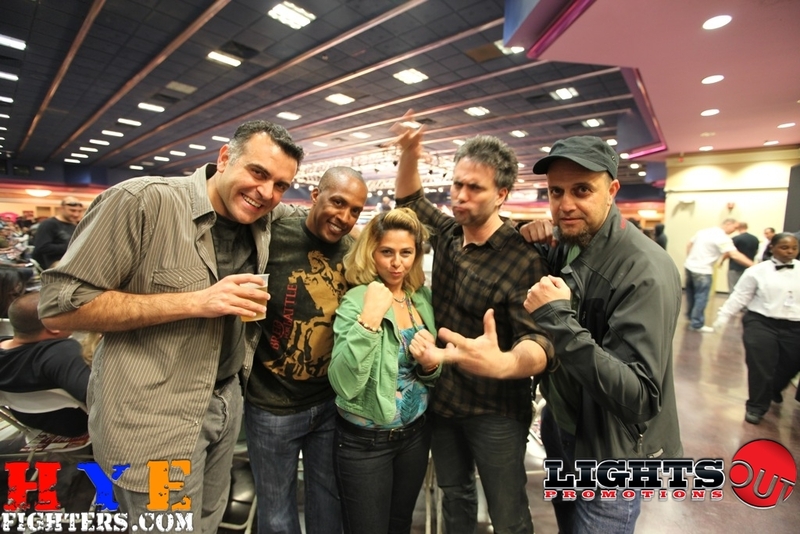 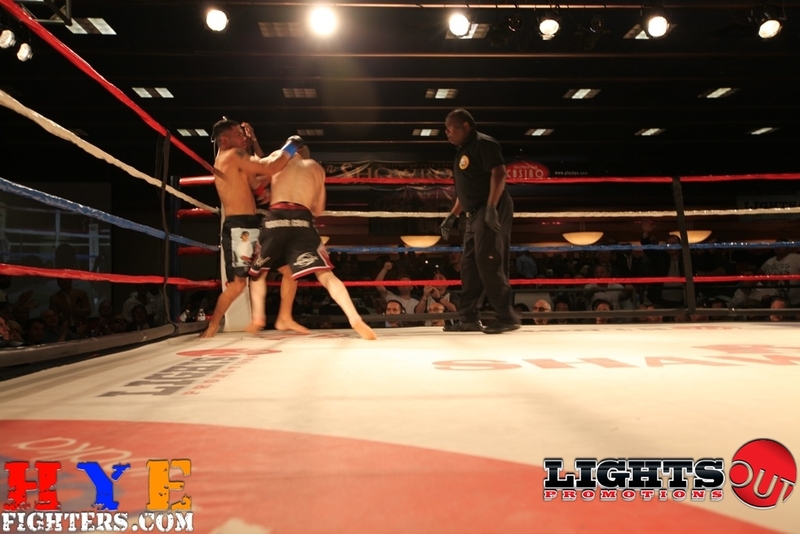 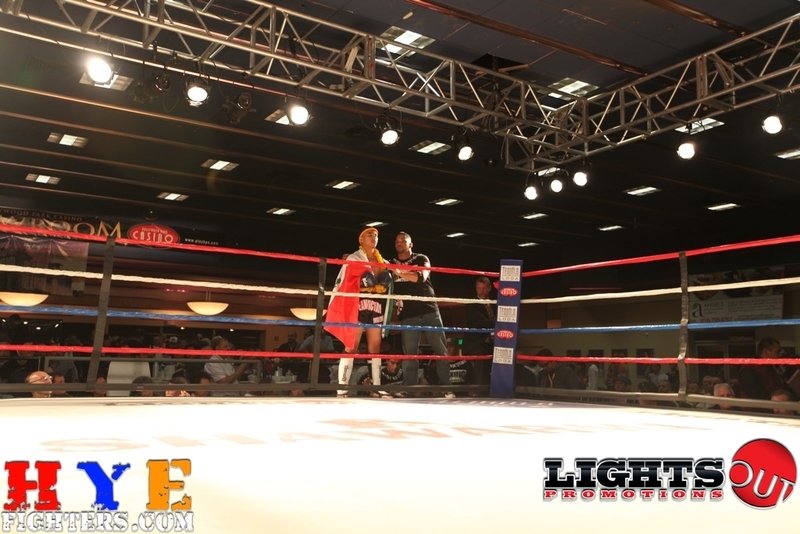 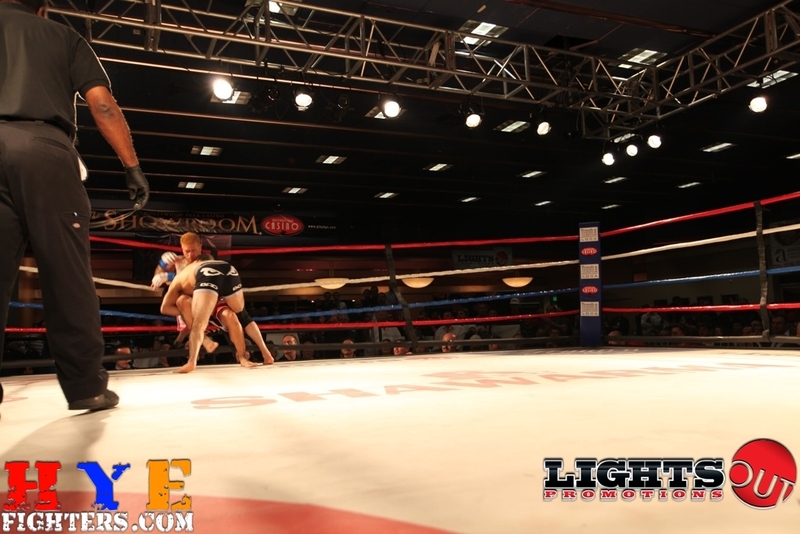 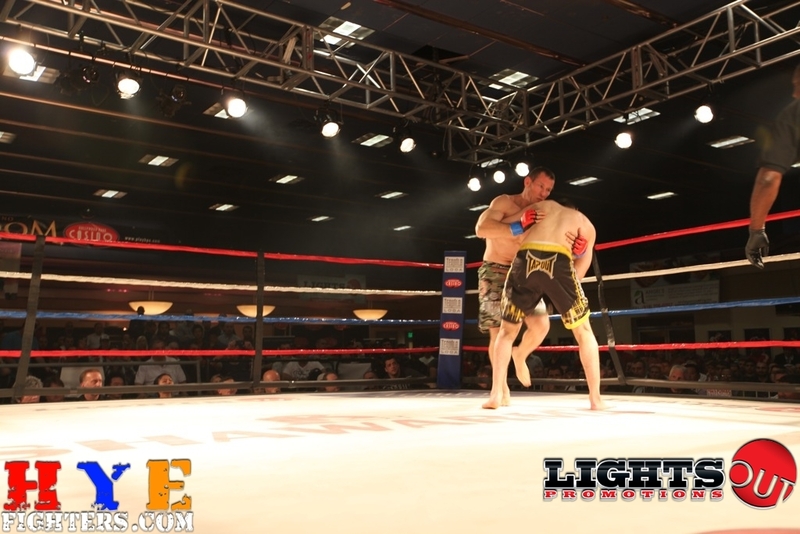 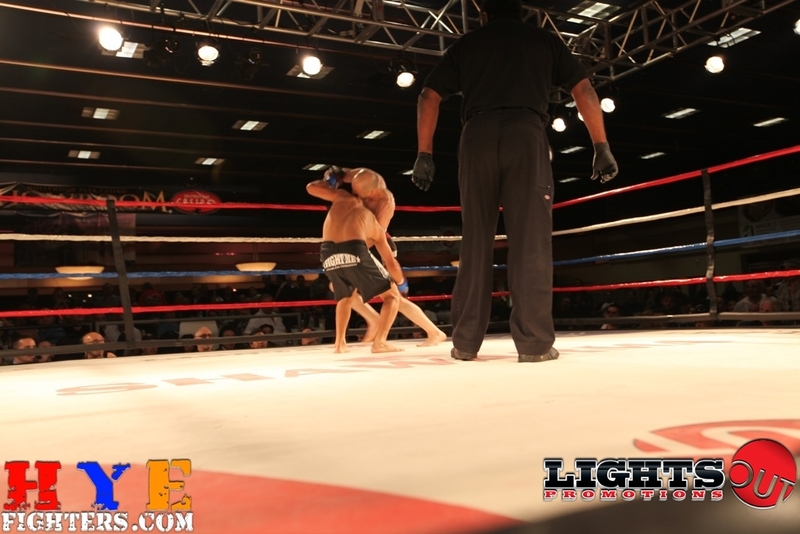 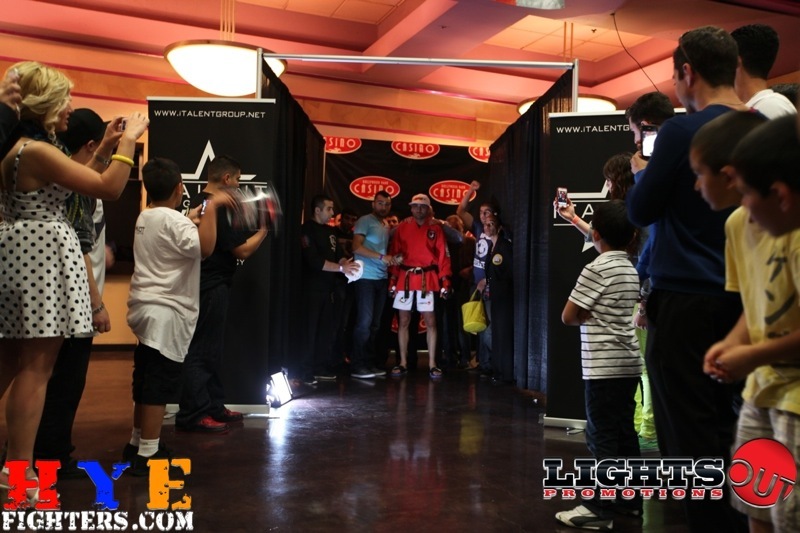 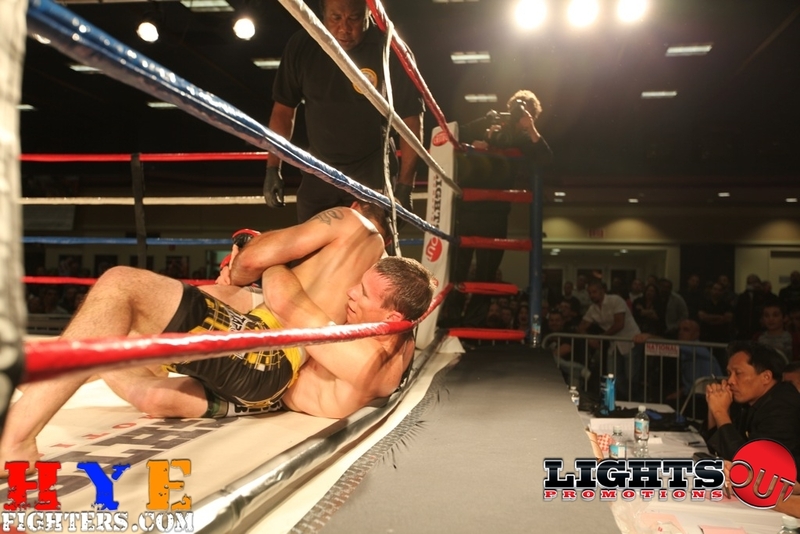 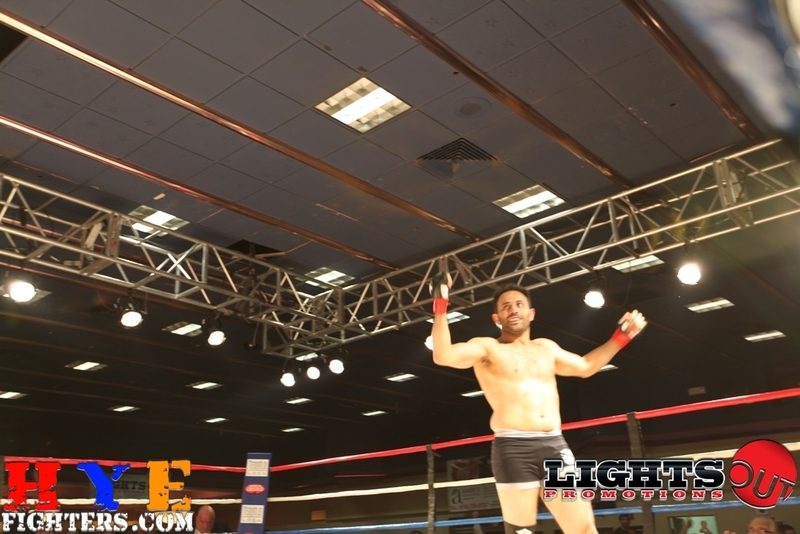 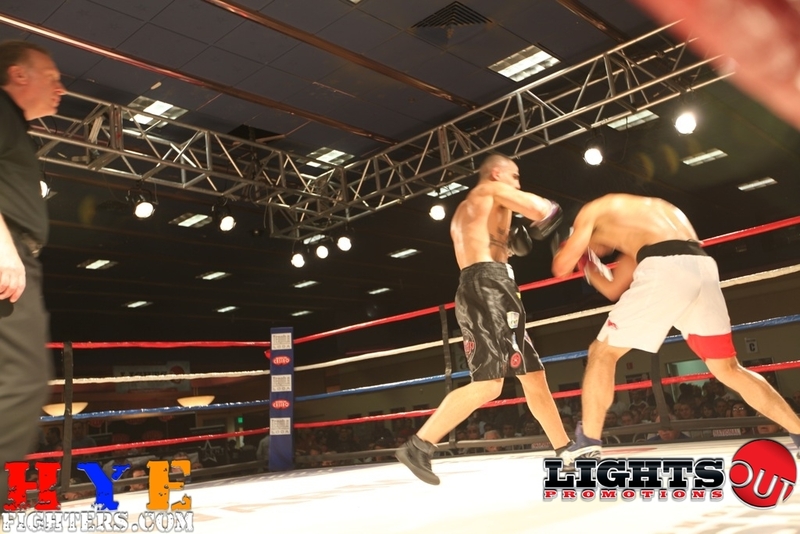 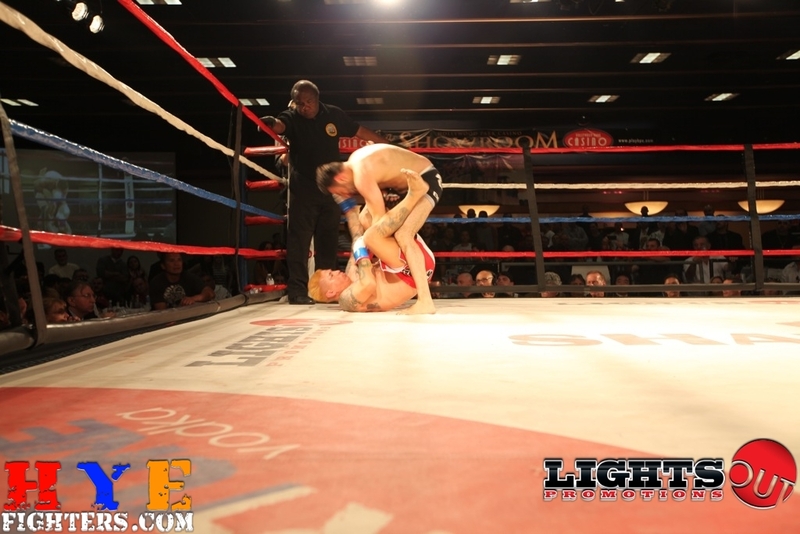 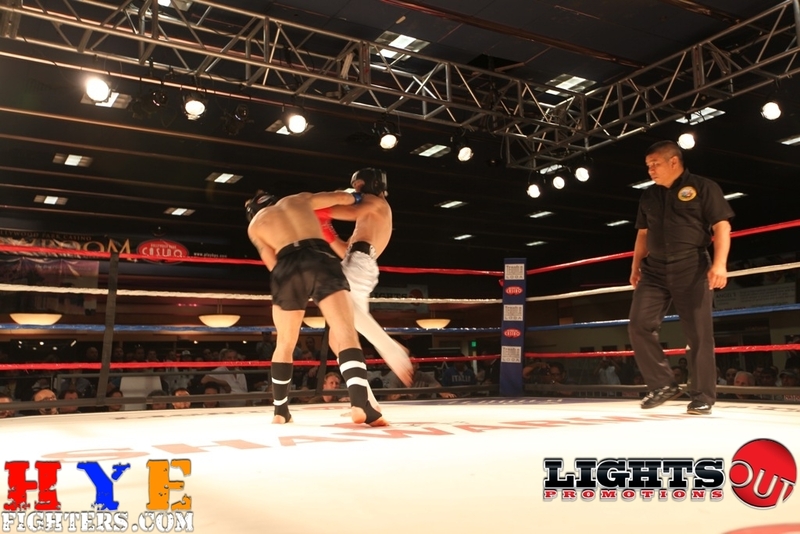 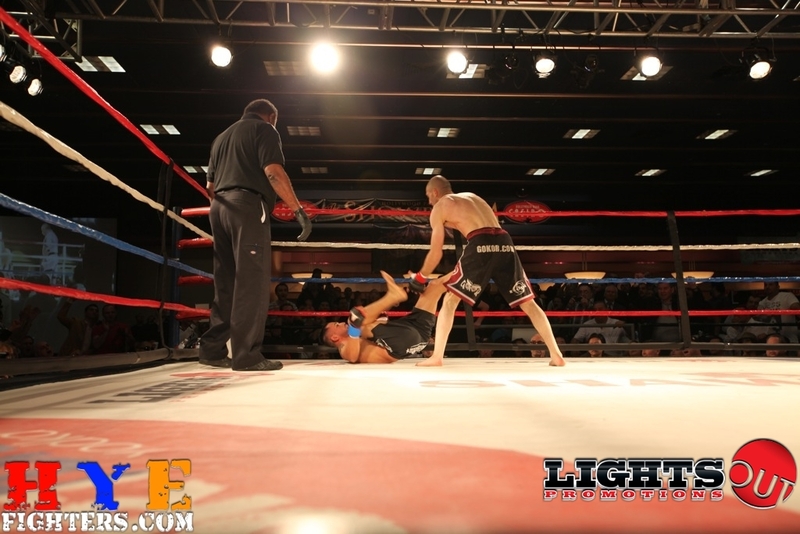 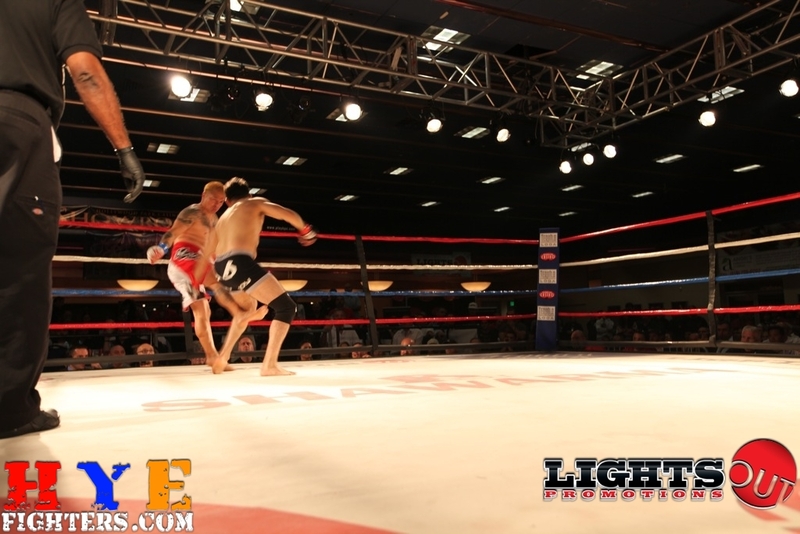 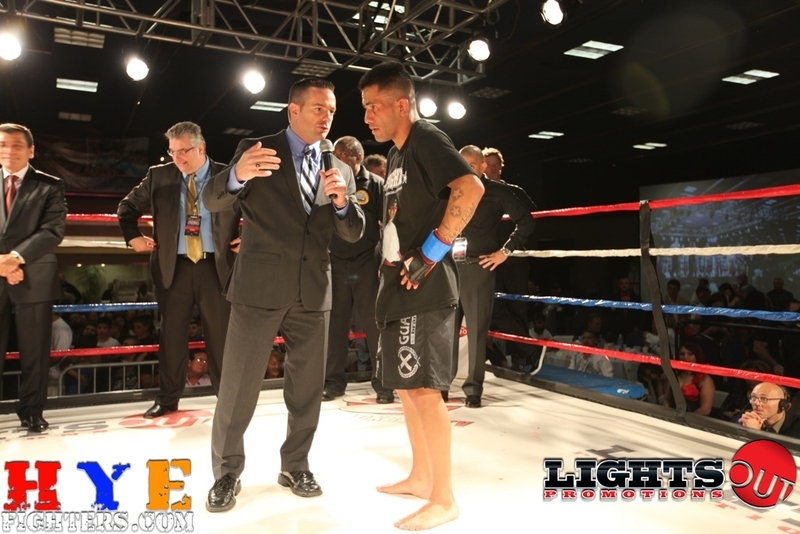 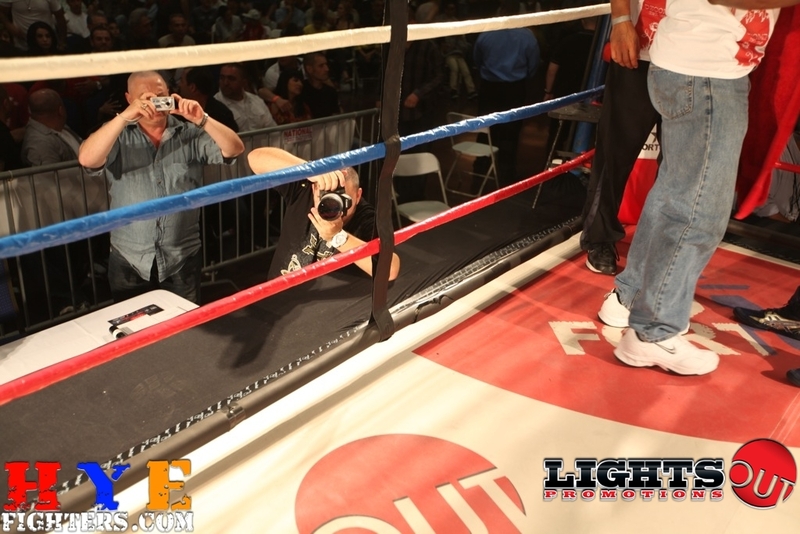 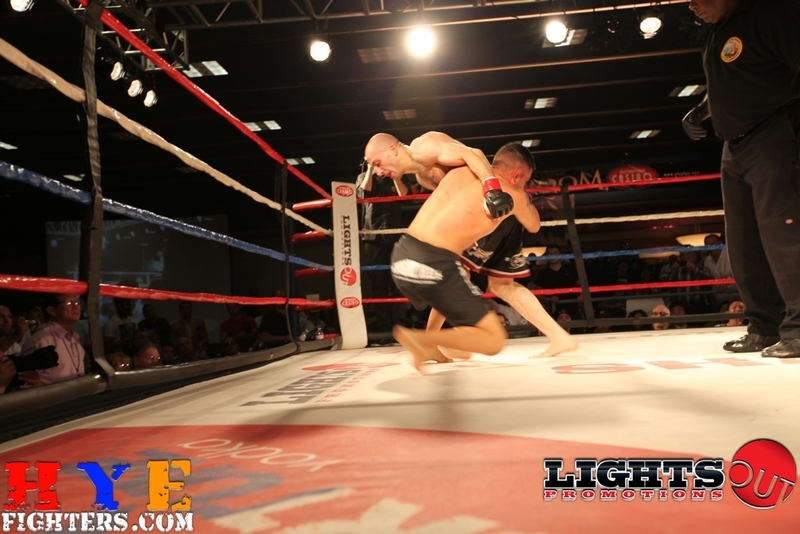 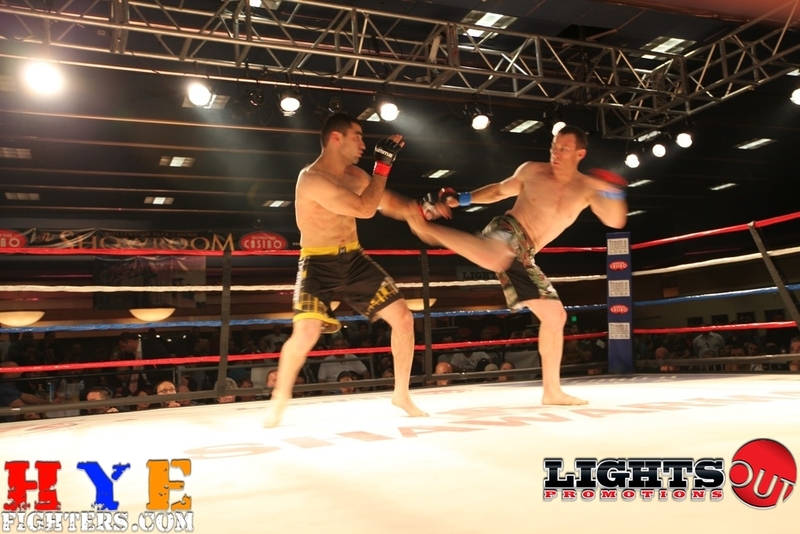 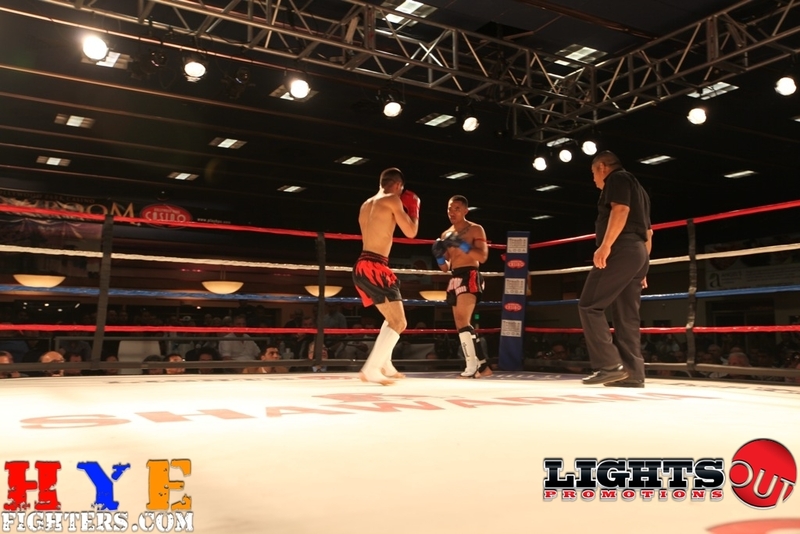 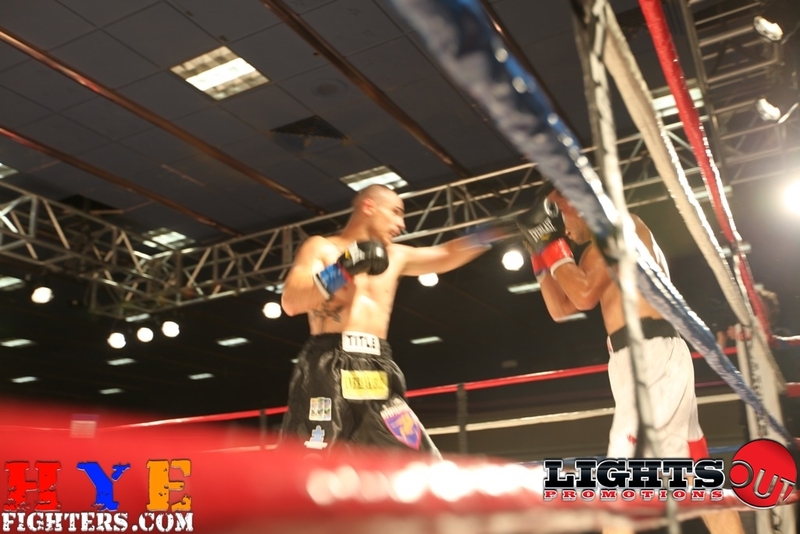 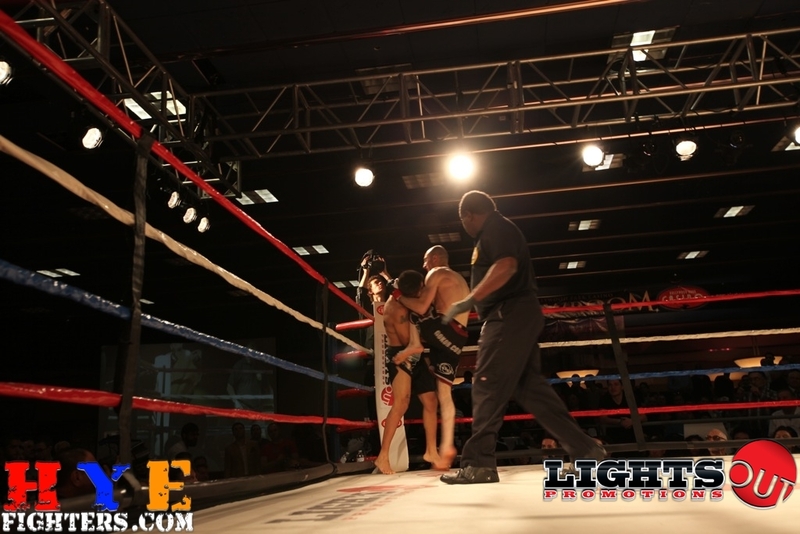 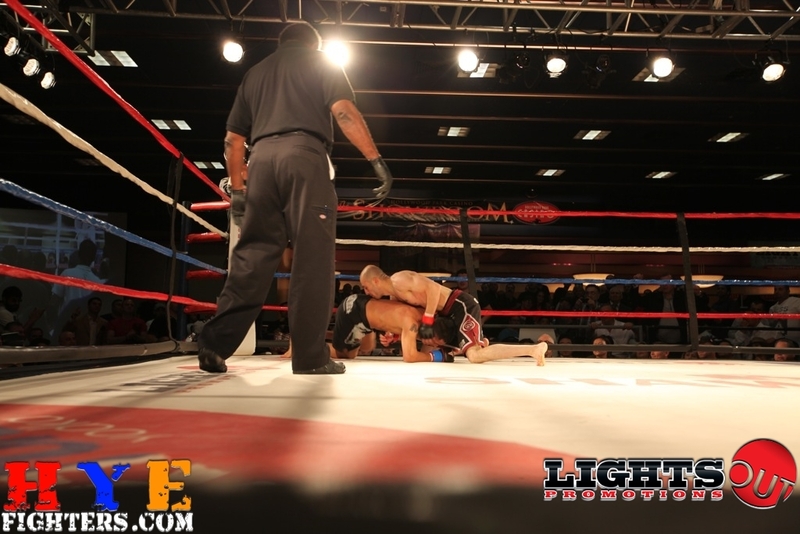 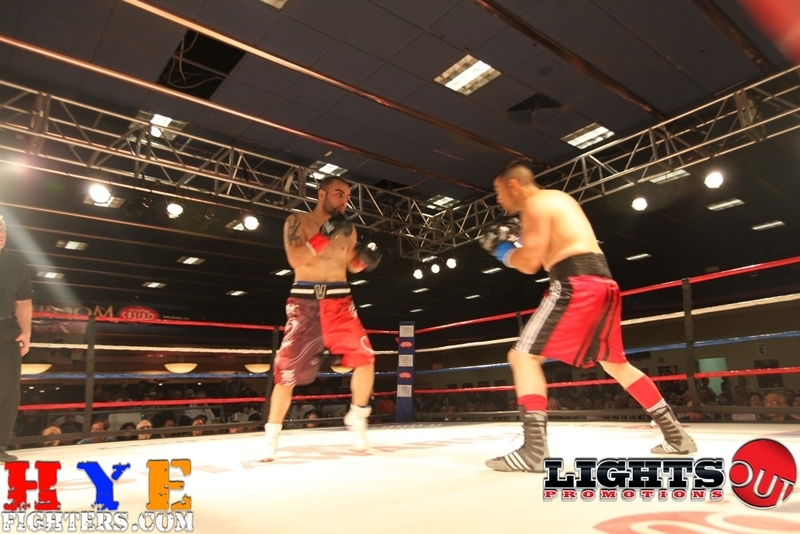 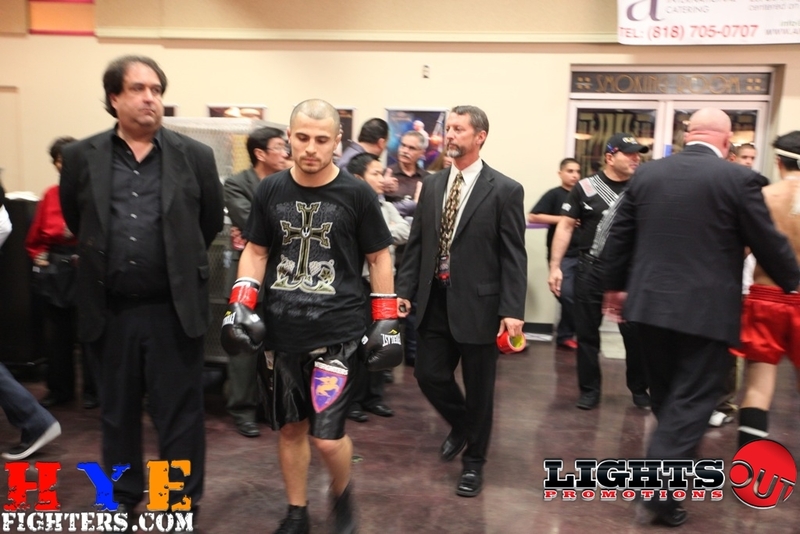 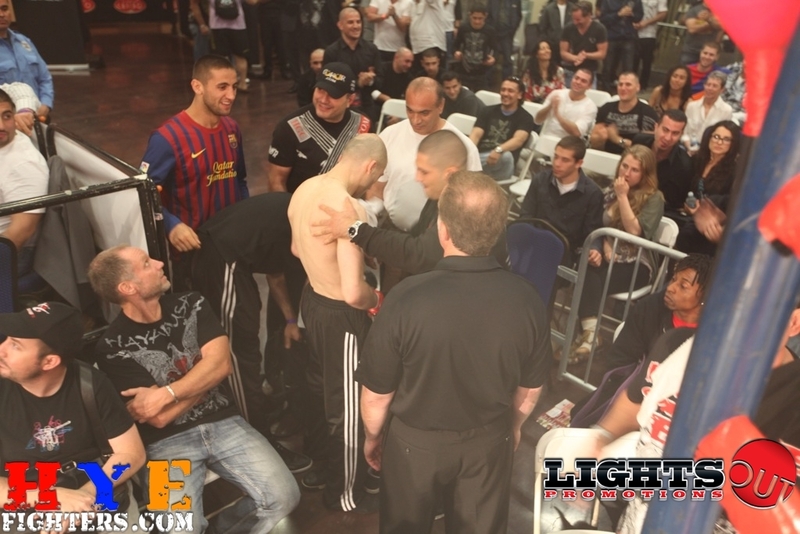 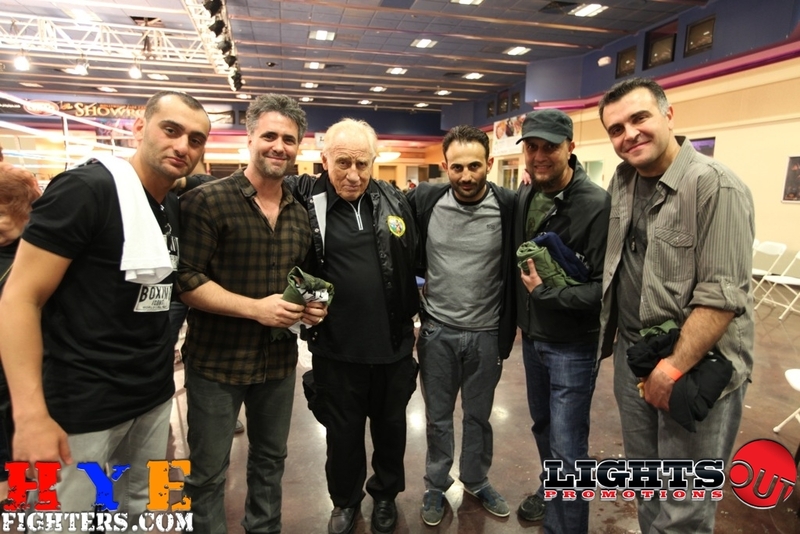 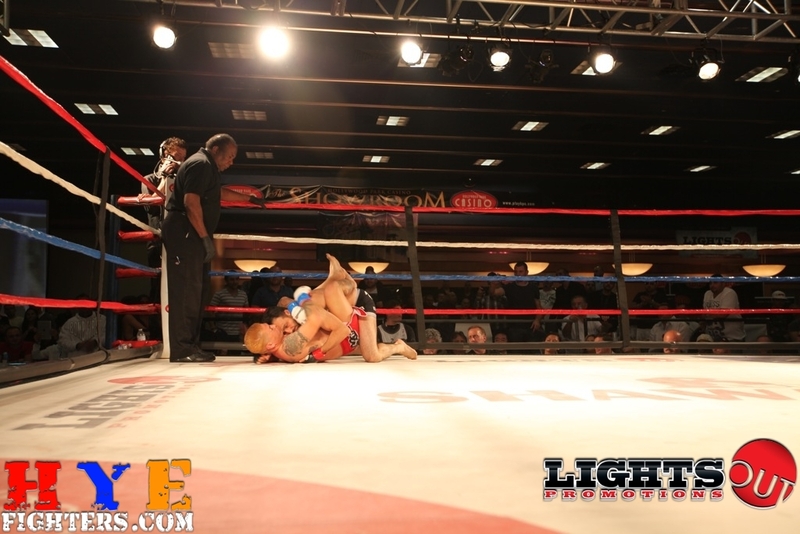 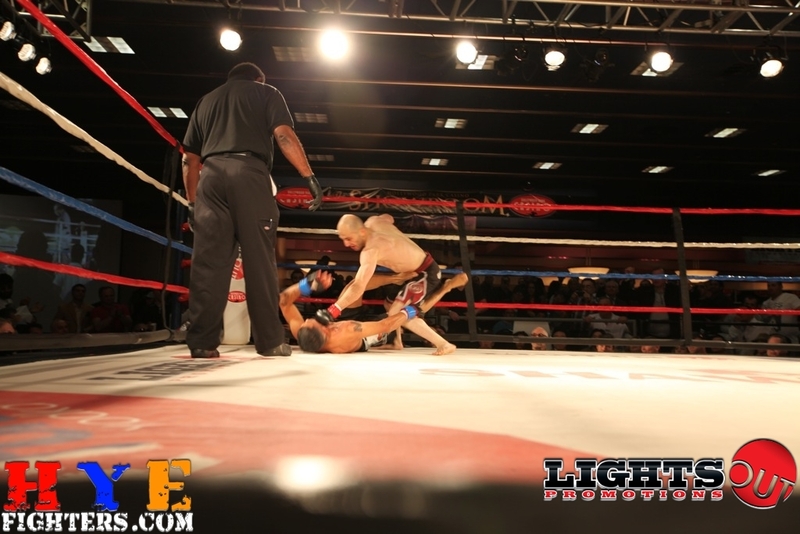 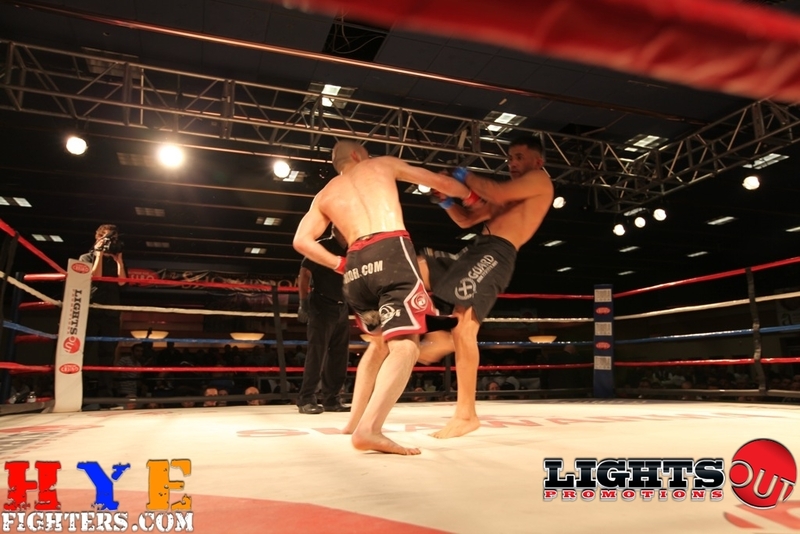 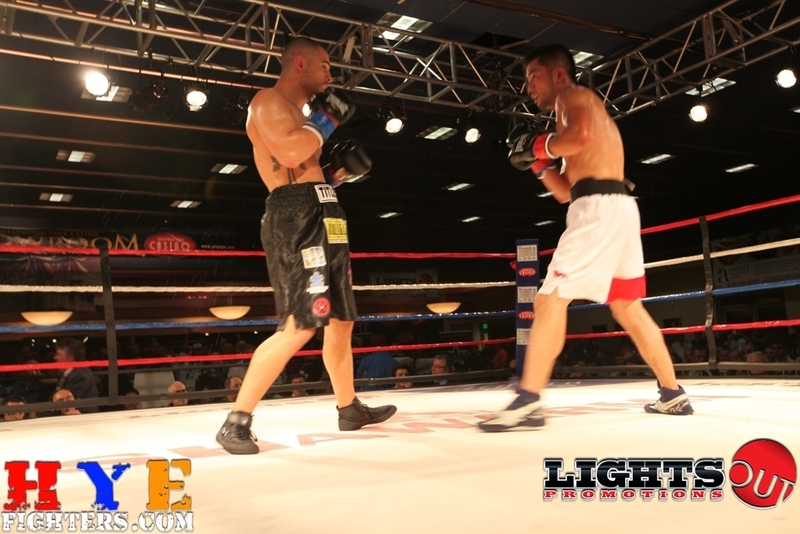 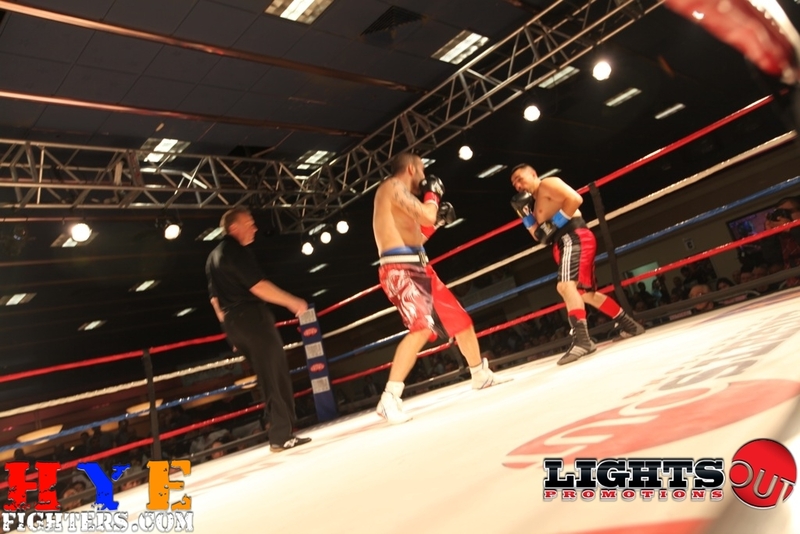 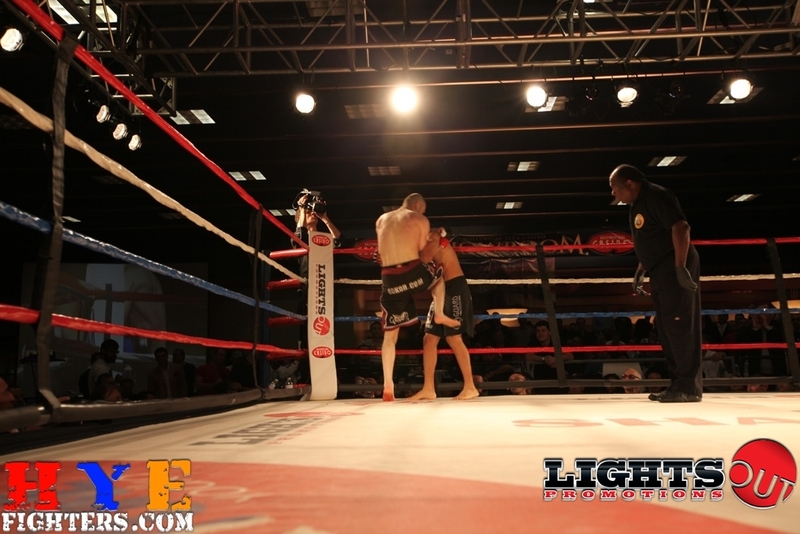 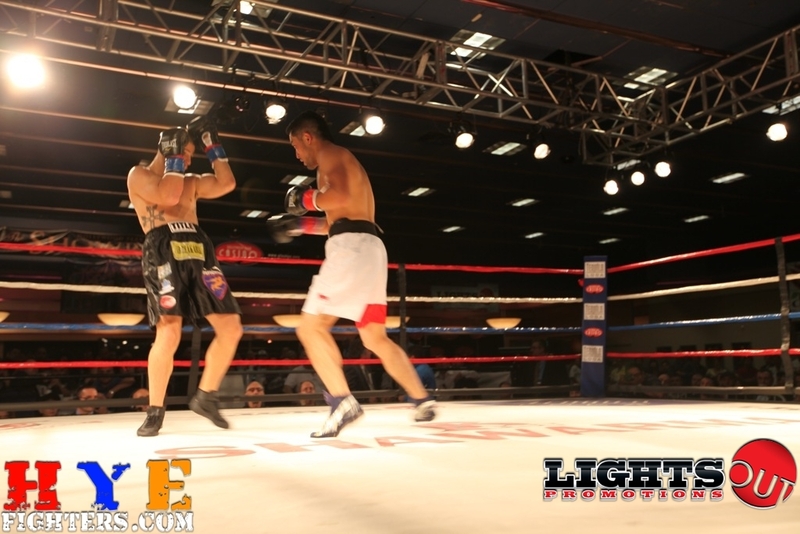 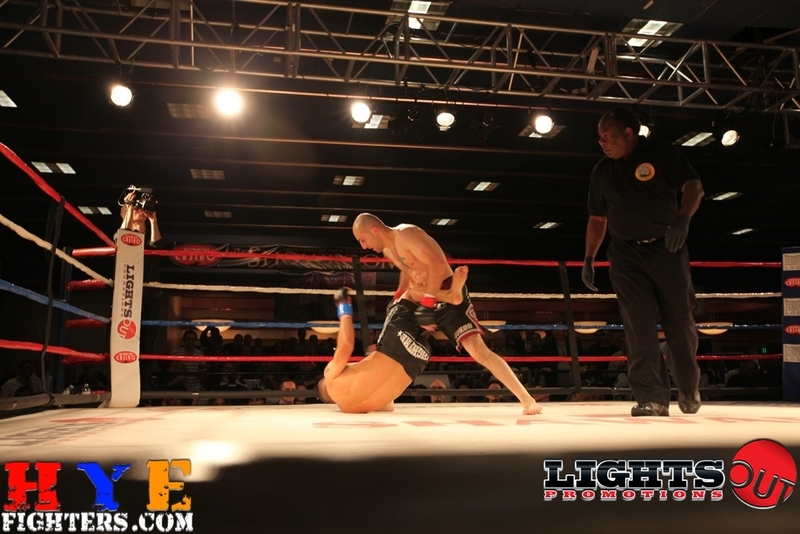 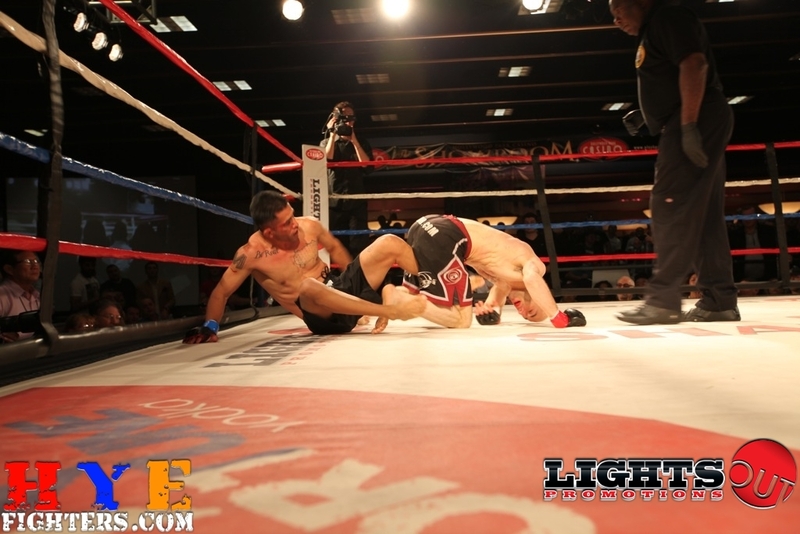 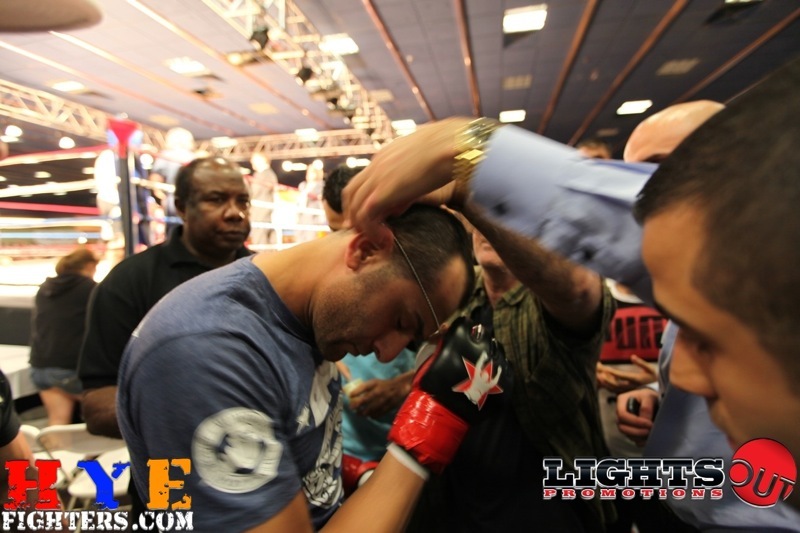 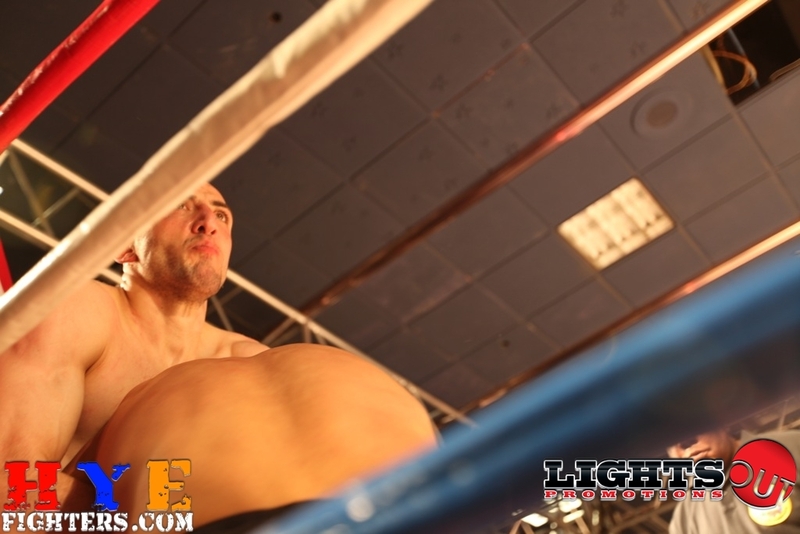 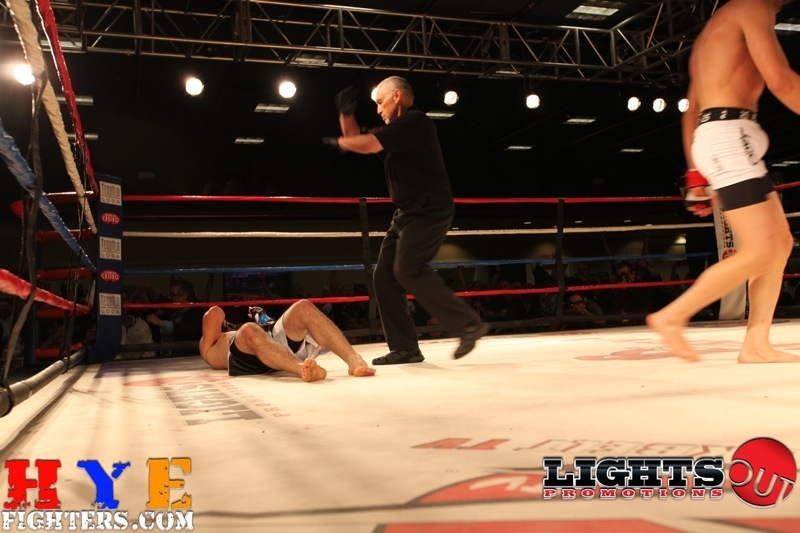 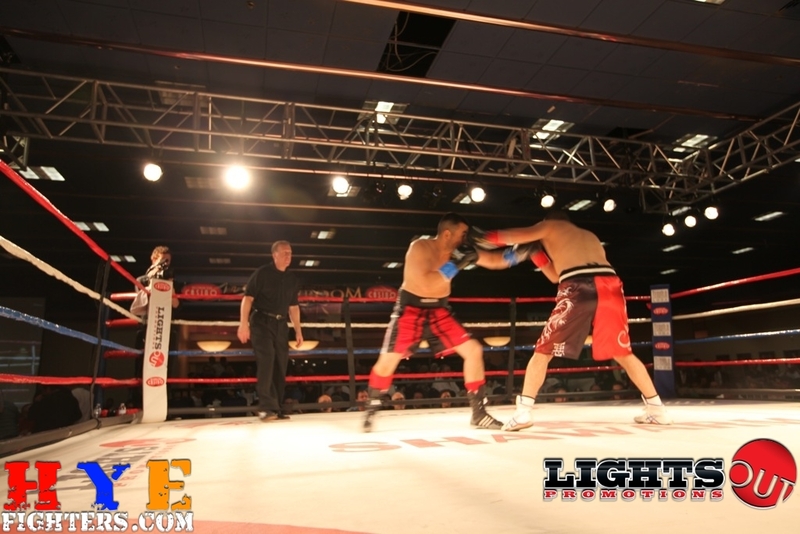 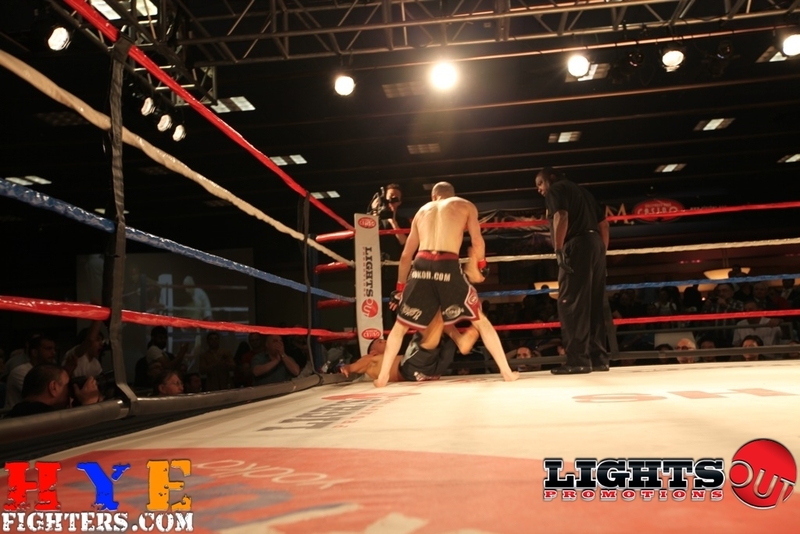 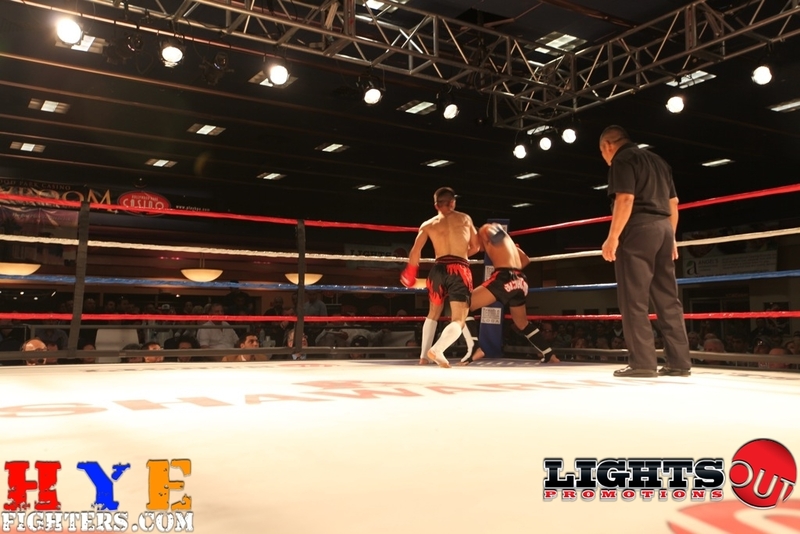 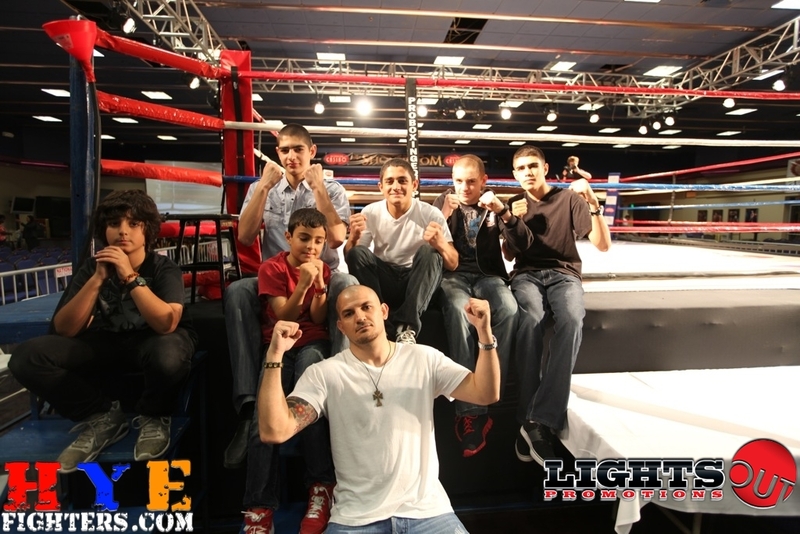 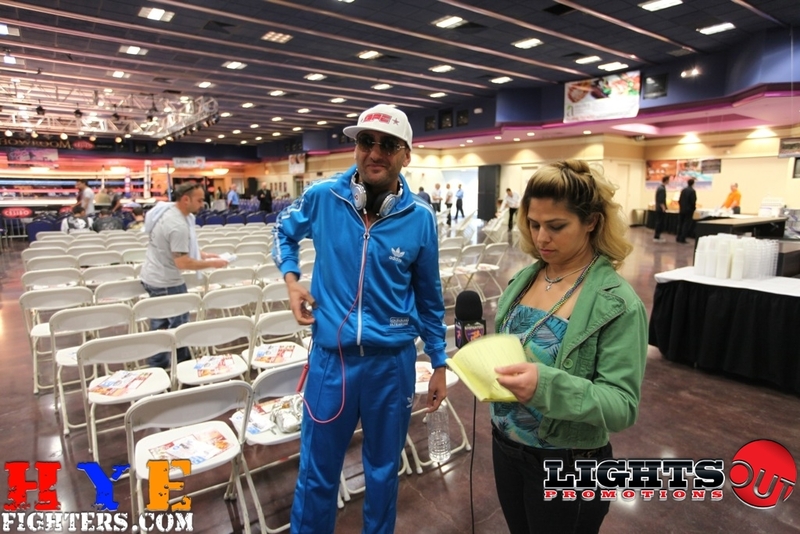 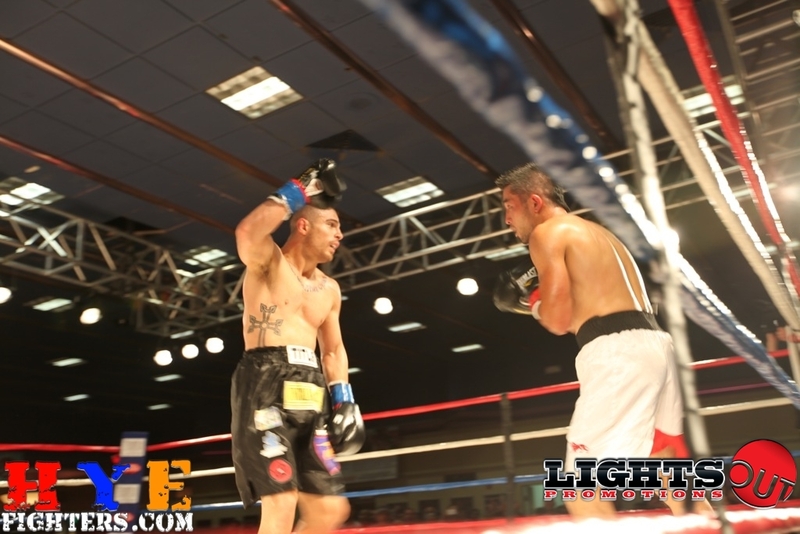 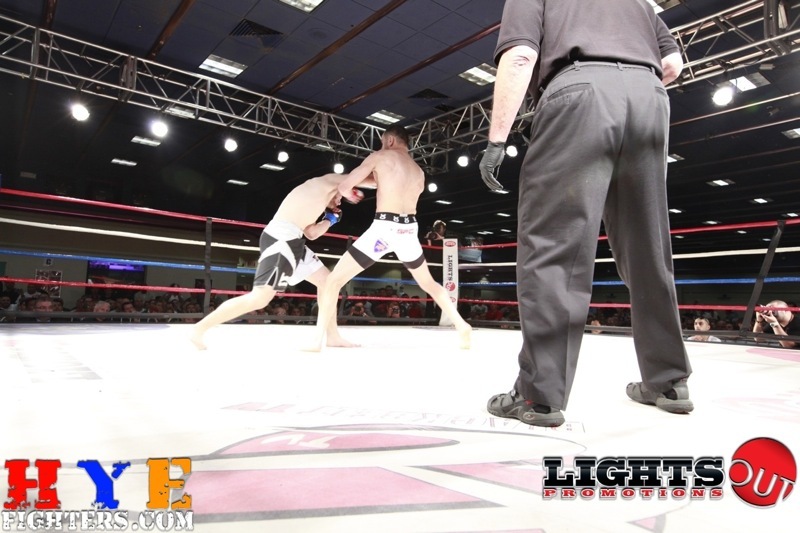 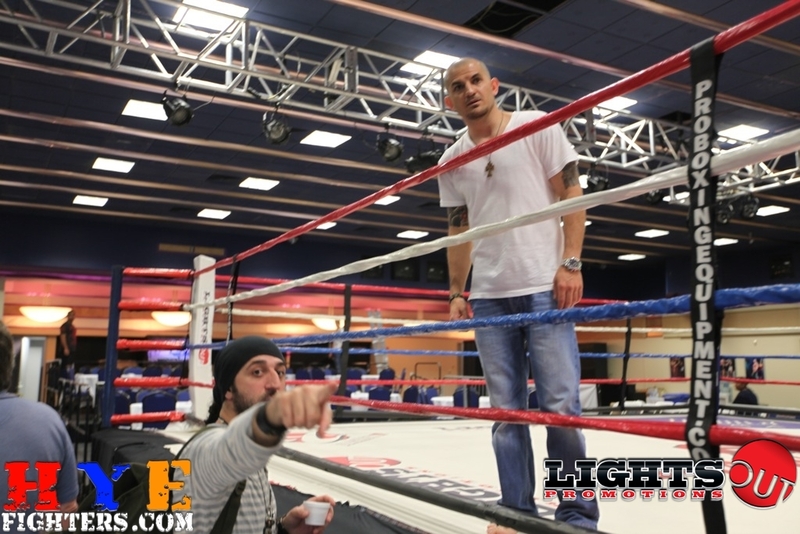 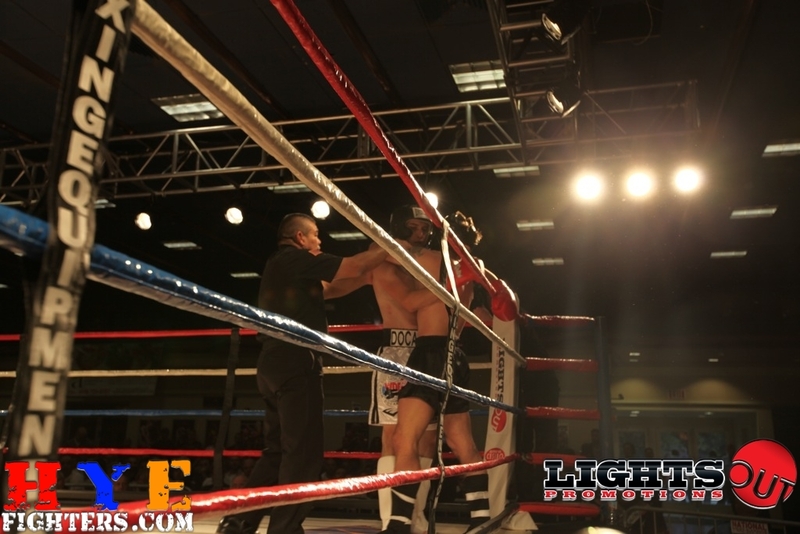 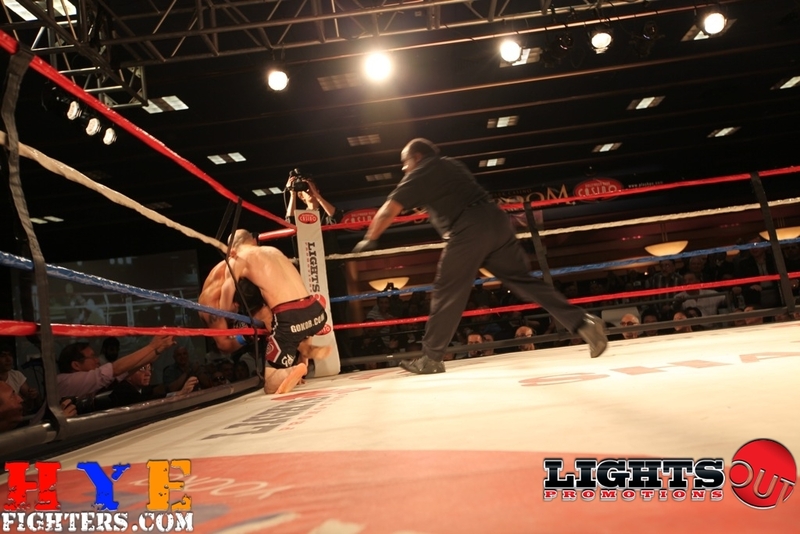 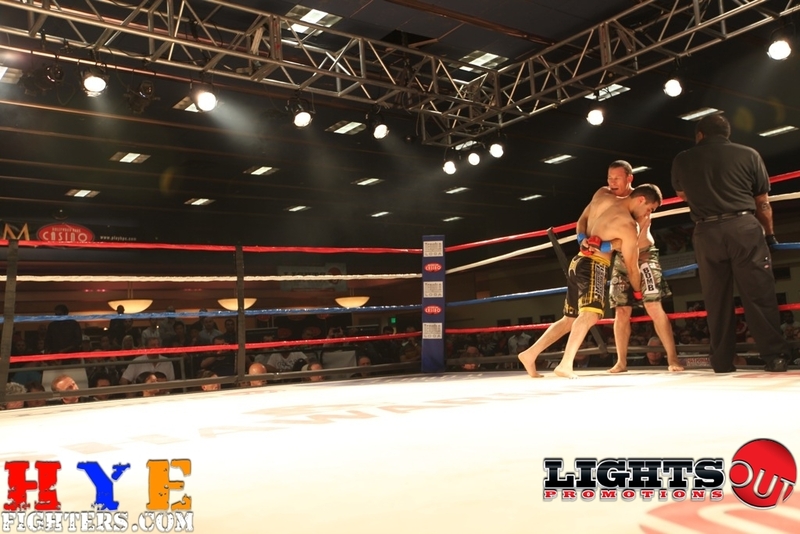 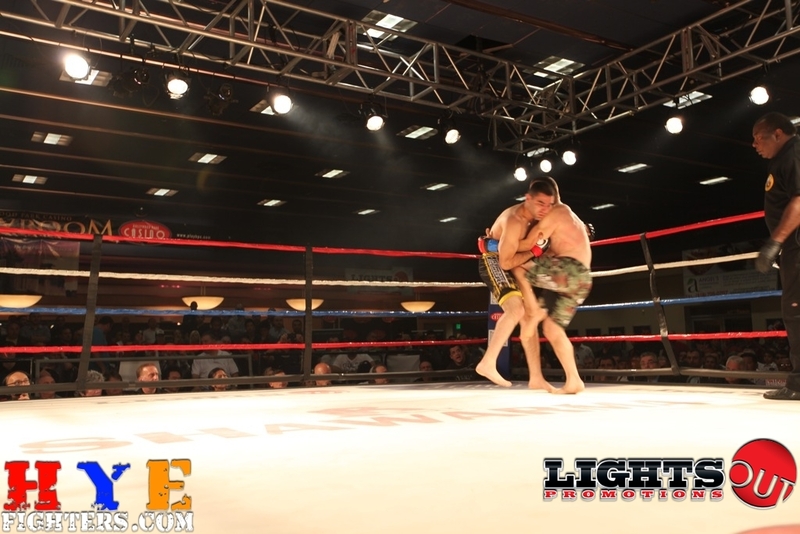 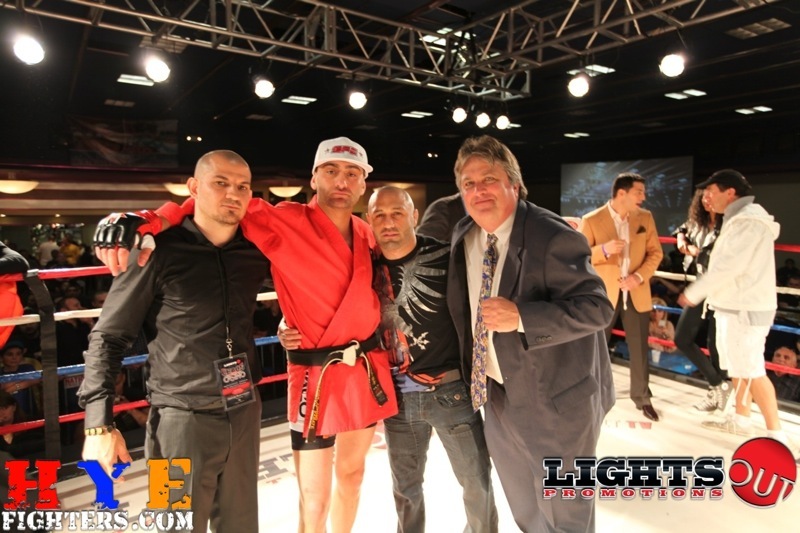 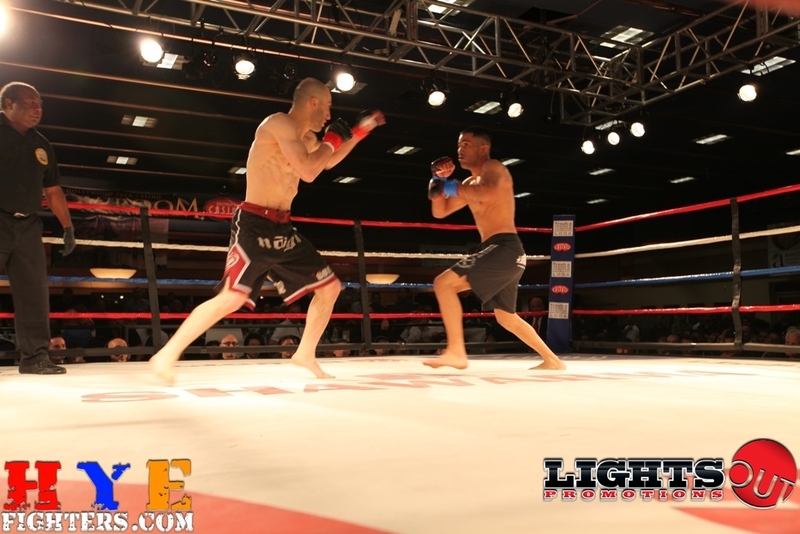 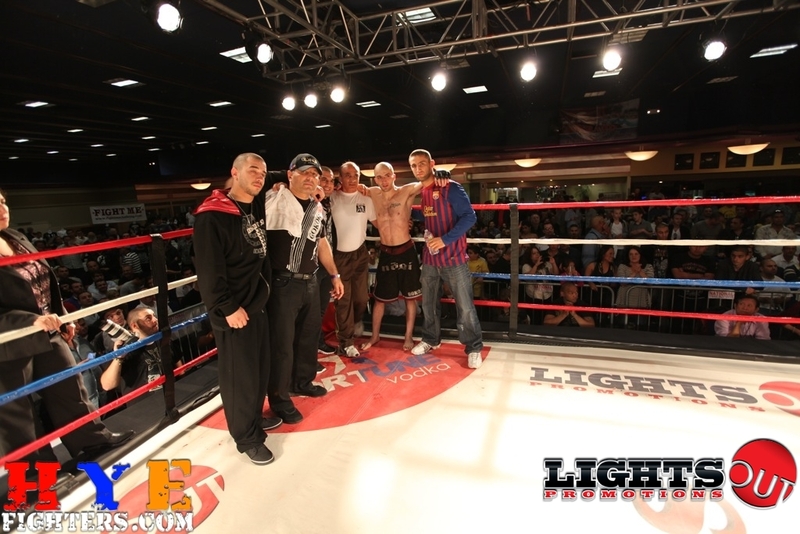 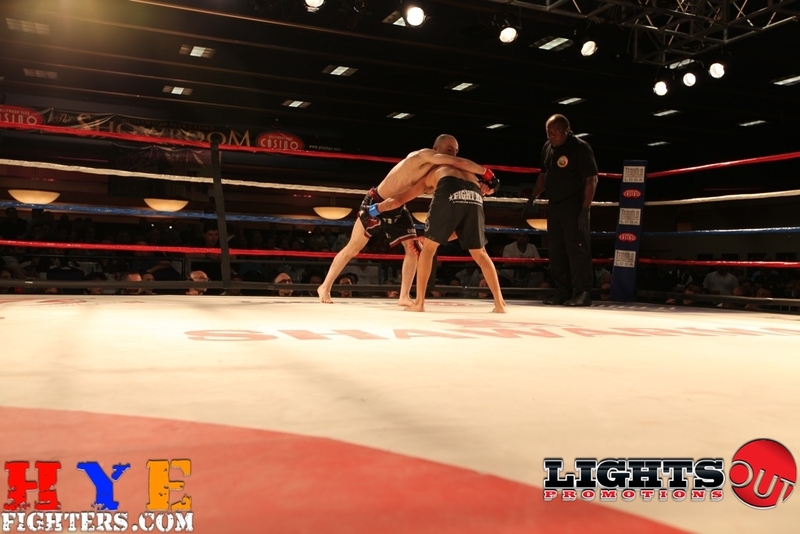 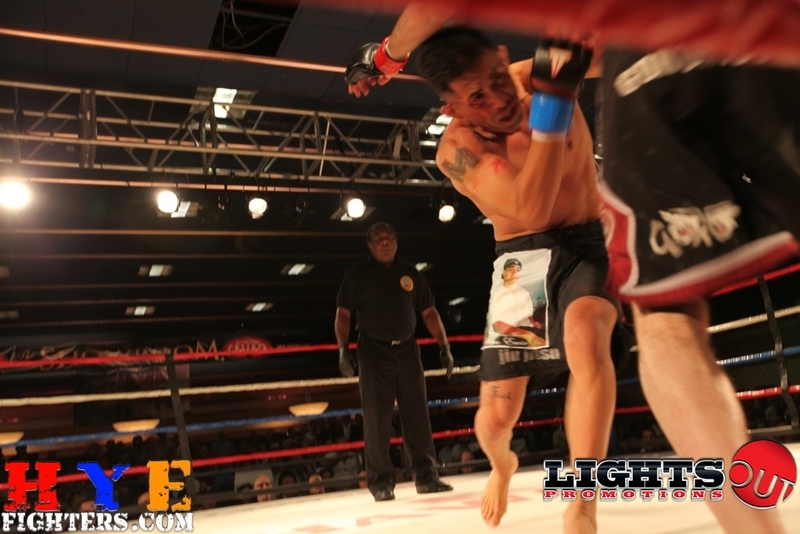 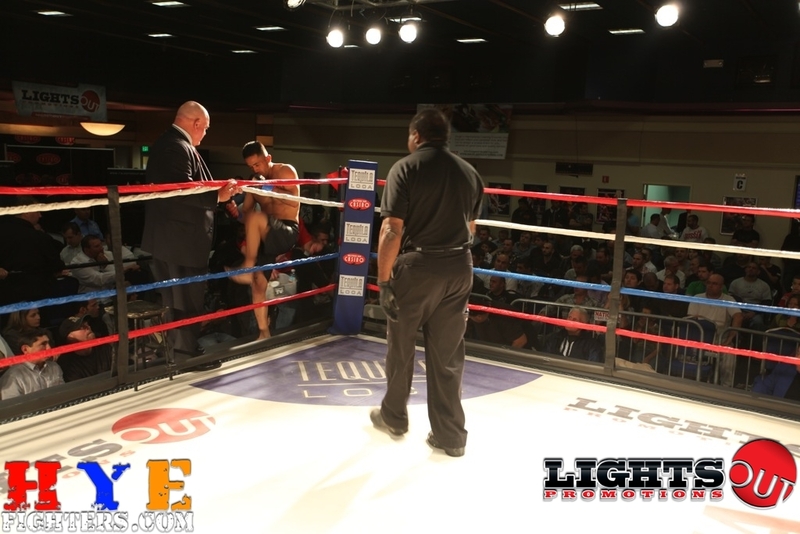 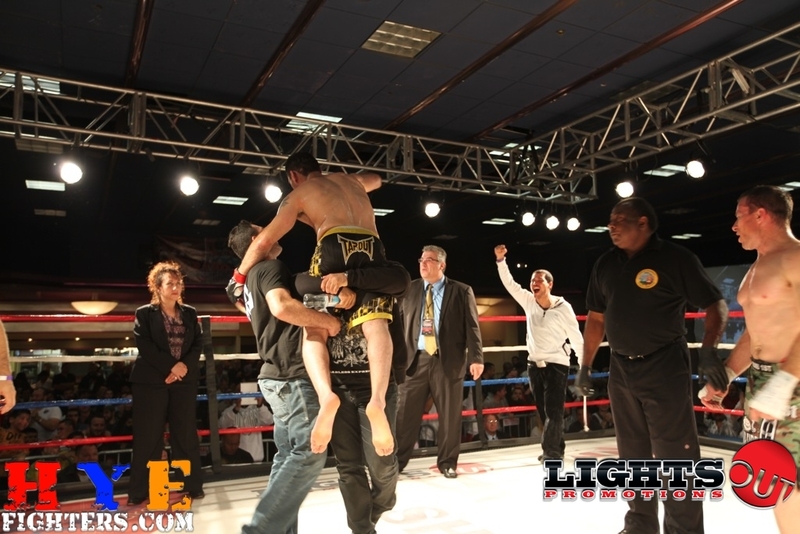 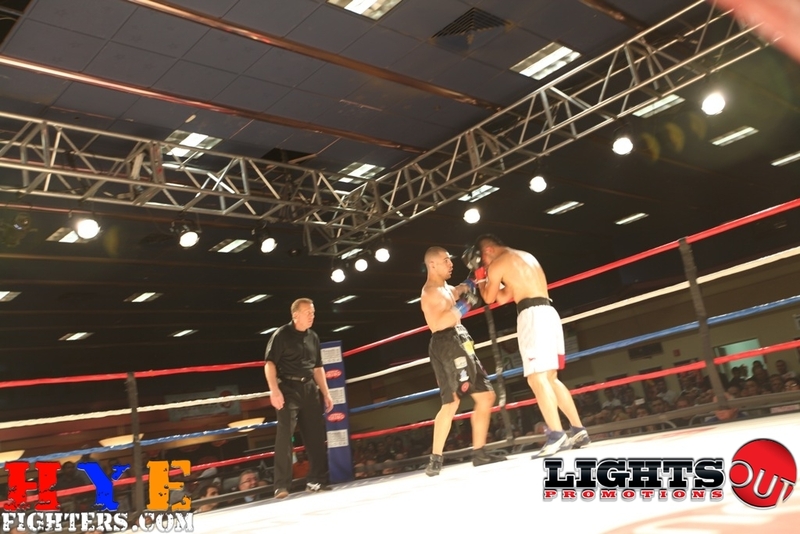 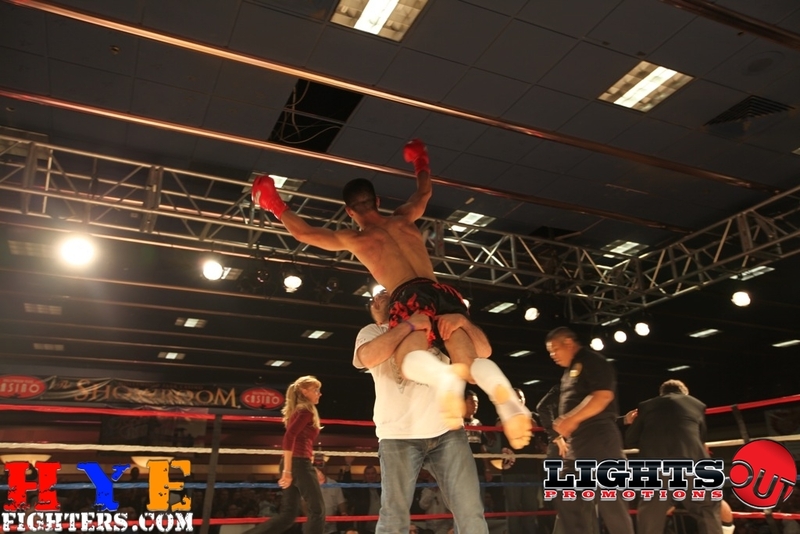 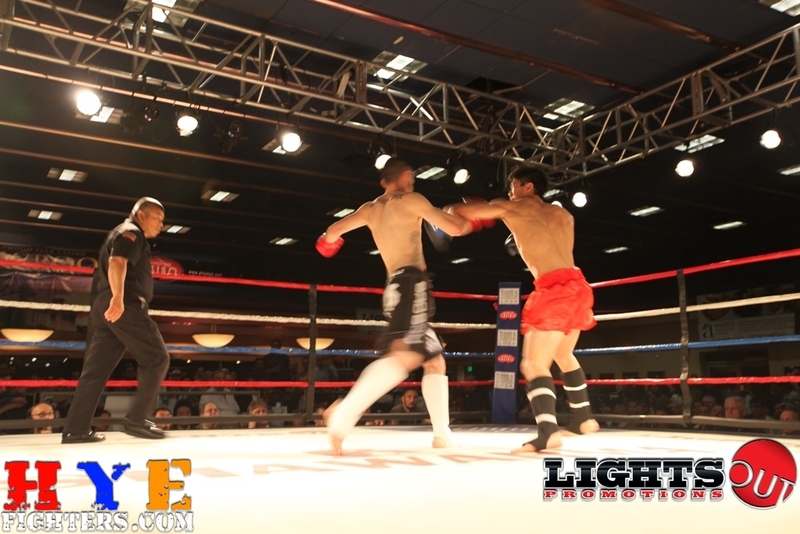 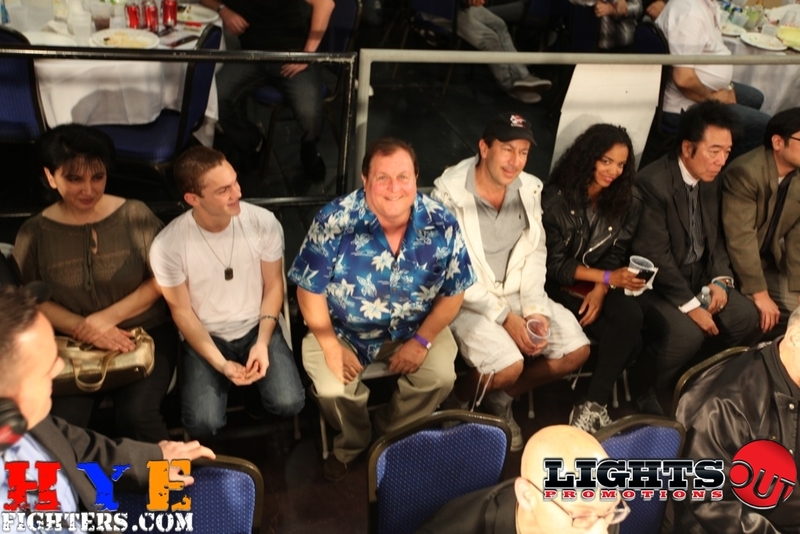 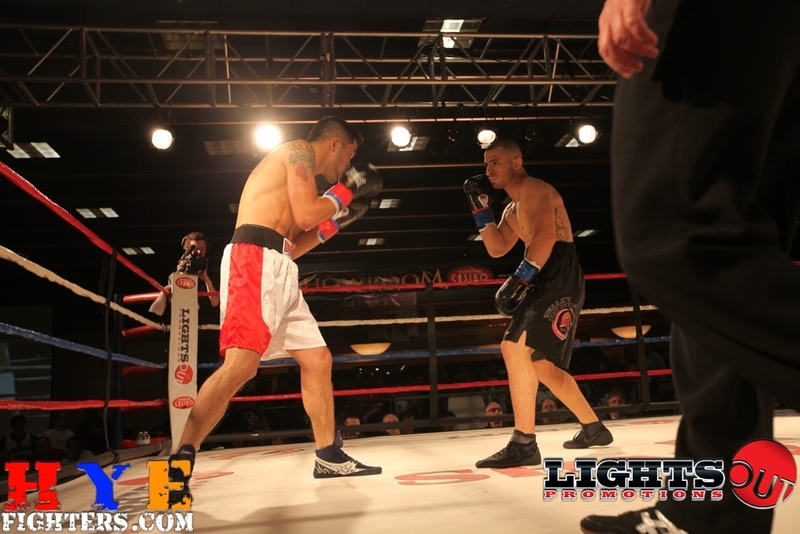 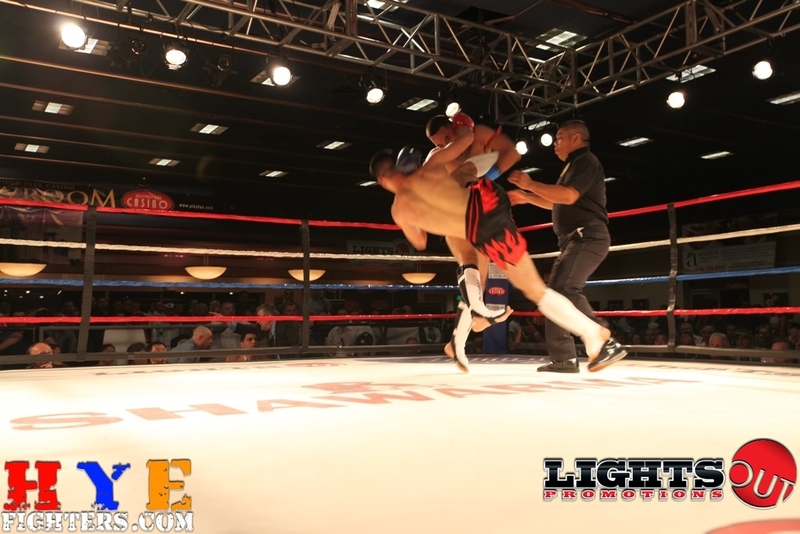 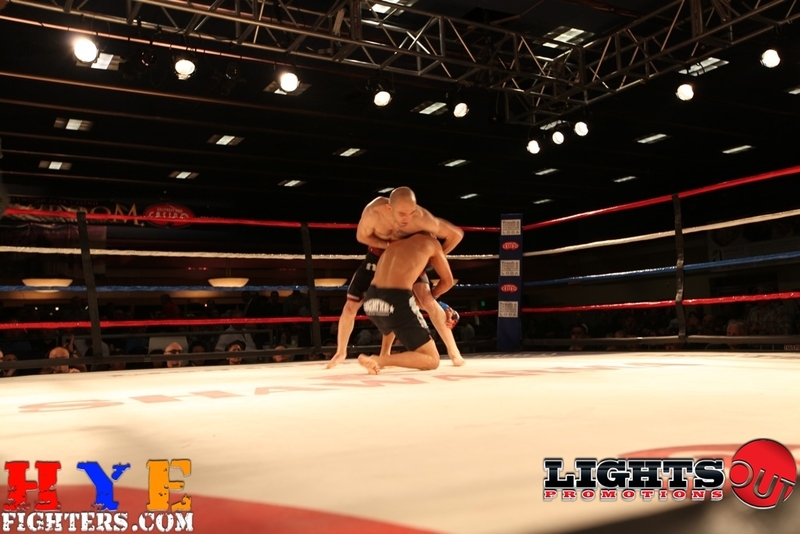 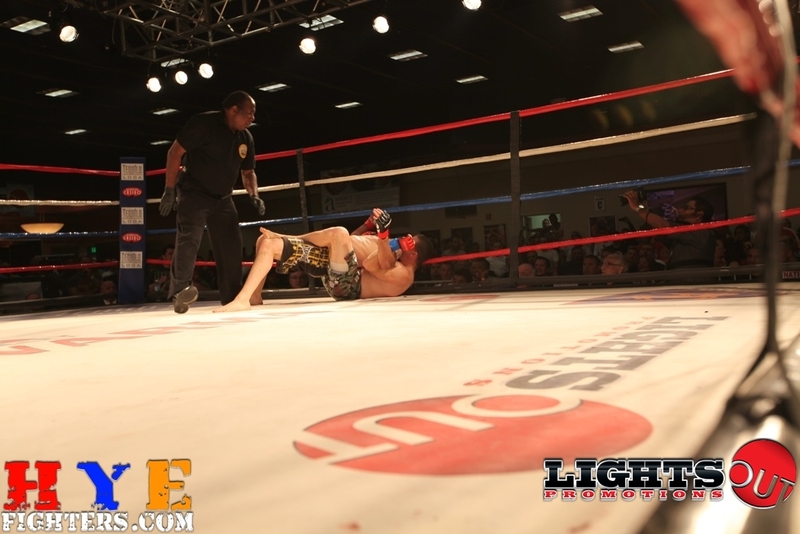 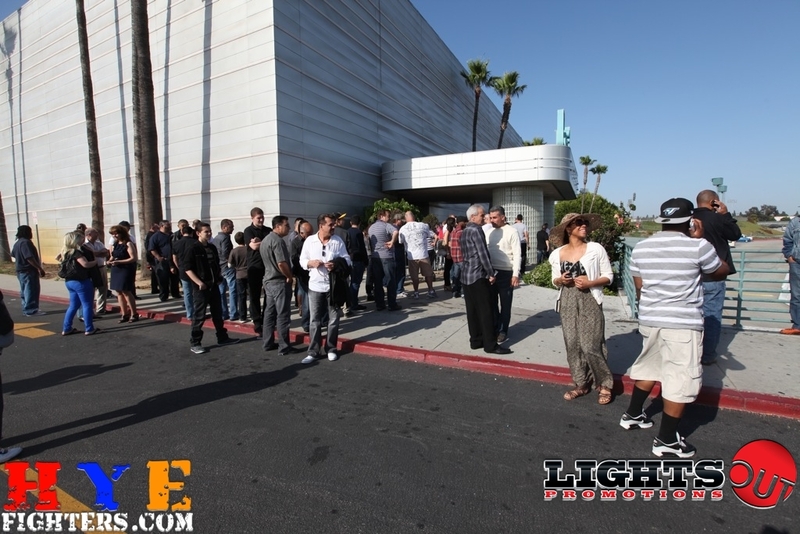 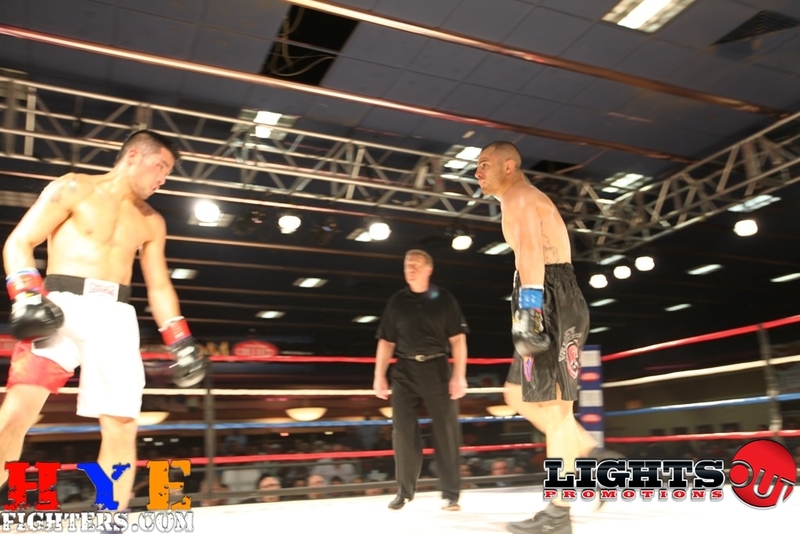 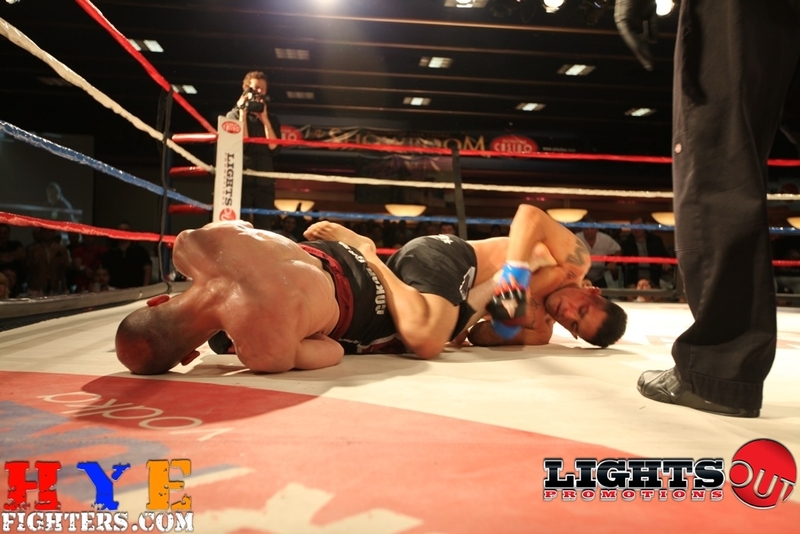 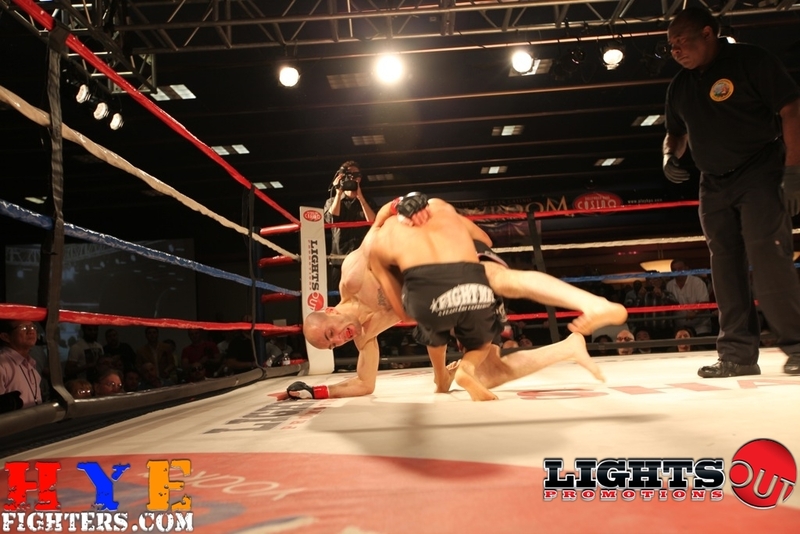 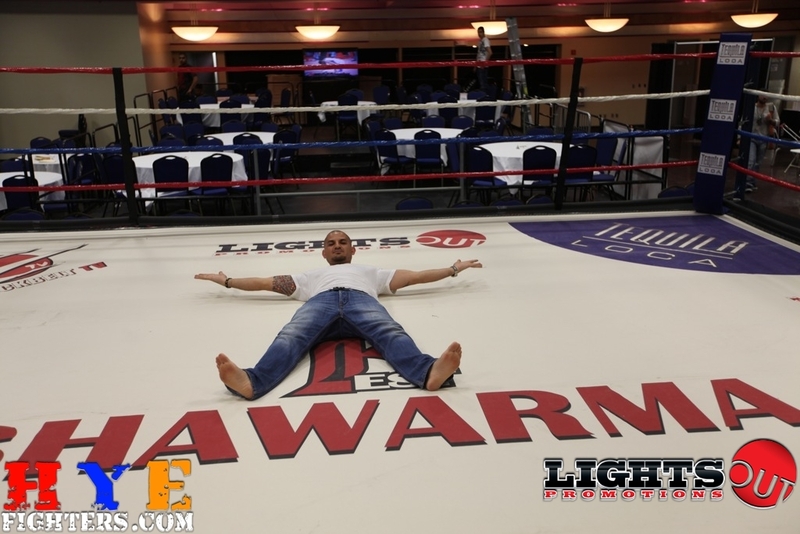 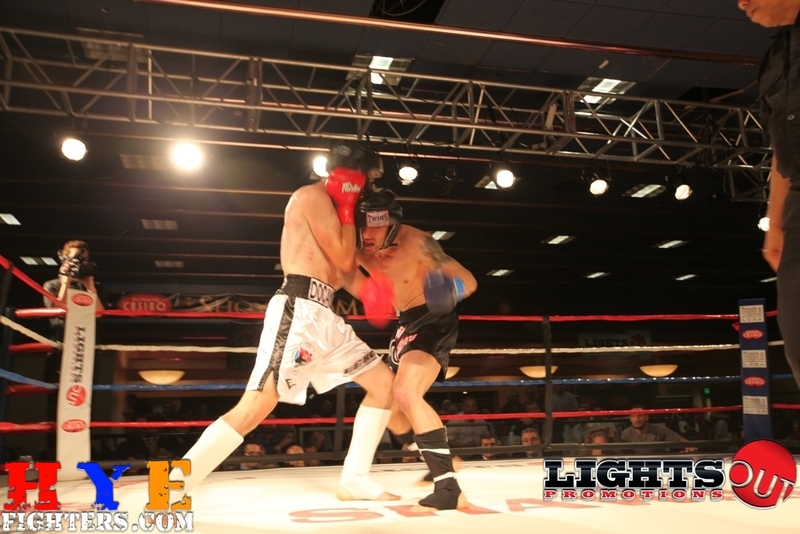 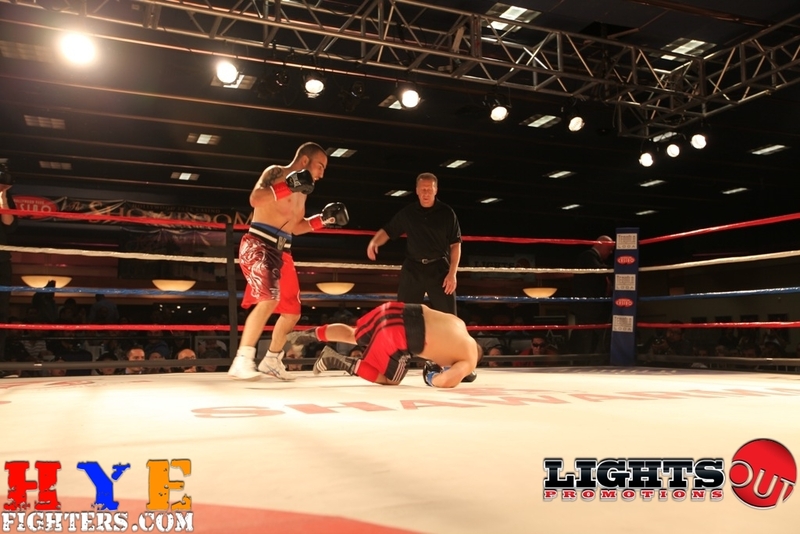 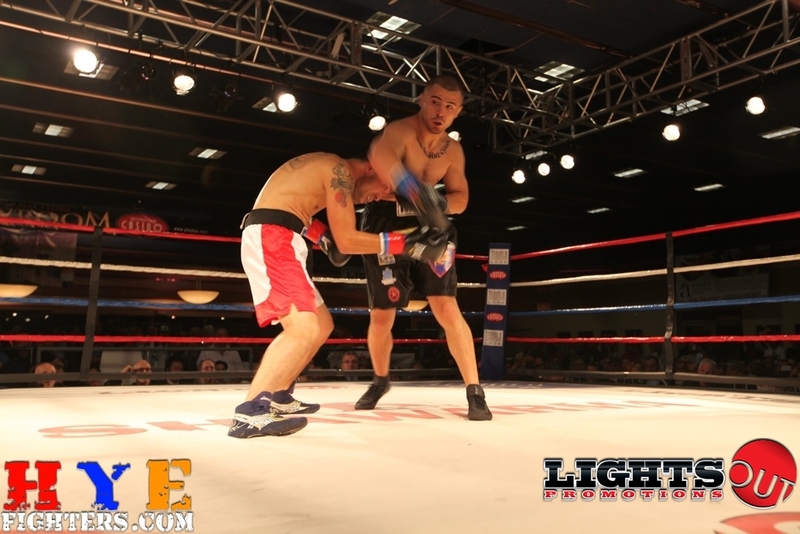 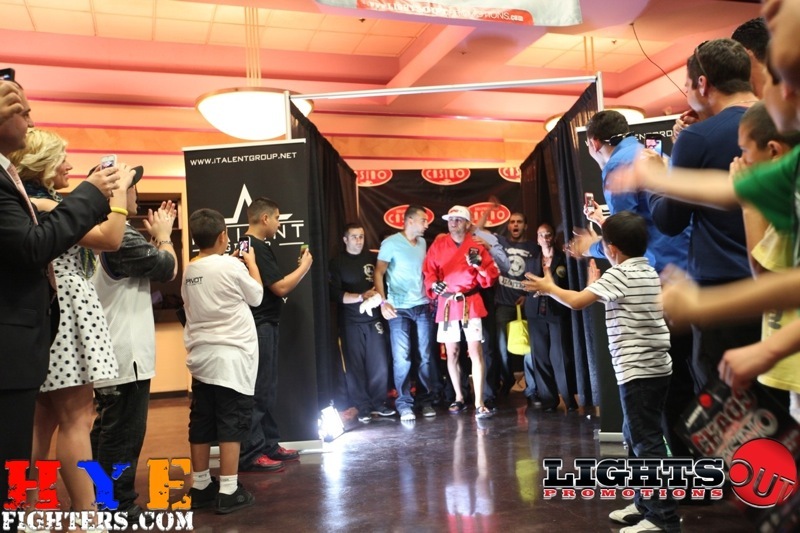 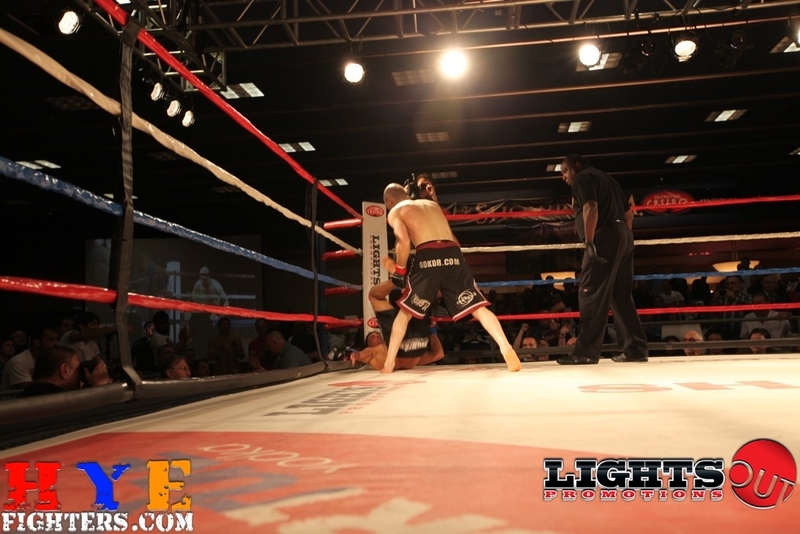 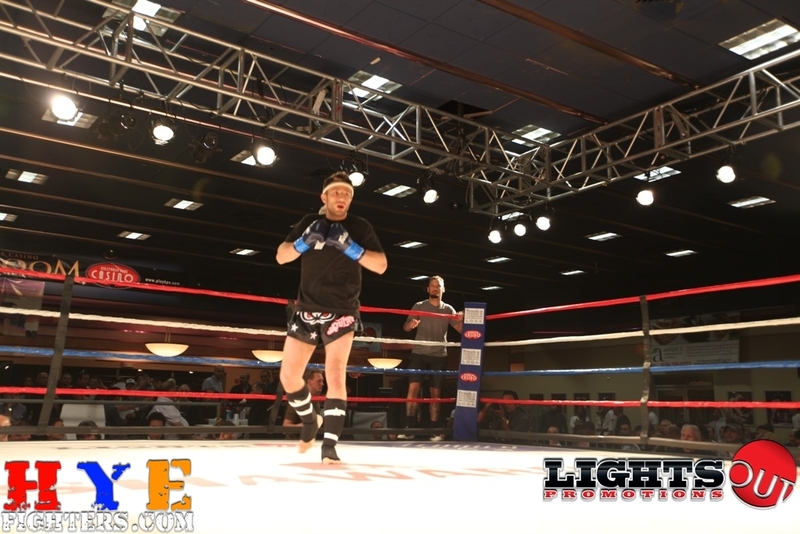 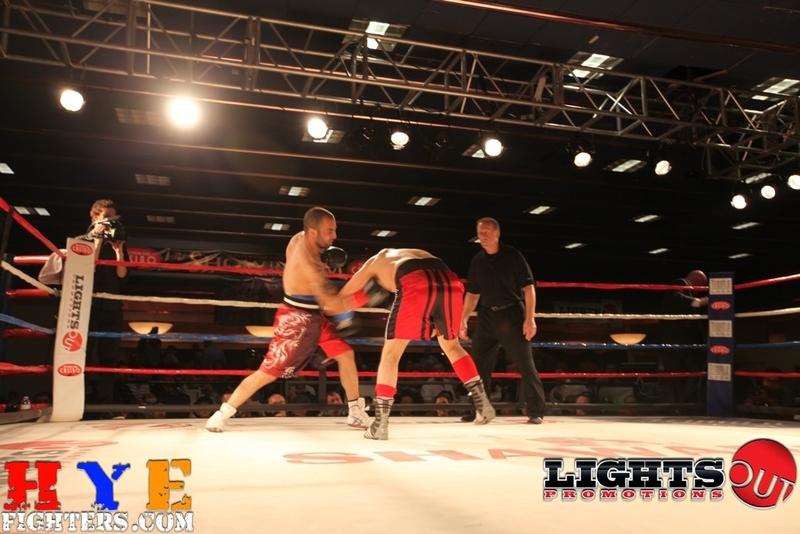 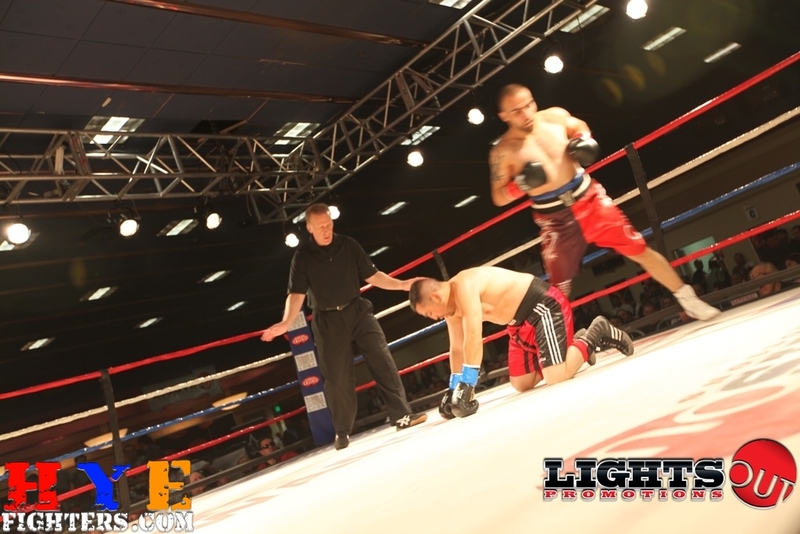 What a night it was for the 9 HyeFighters on the Lights Out Promotion’s Chaos In The Casino event on Saturday night. 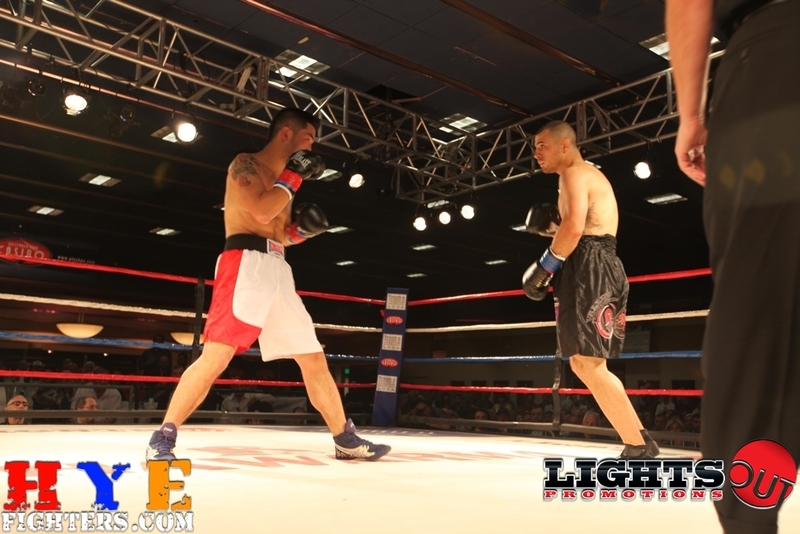 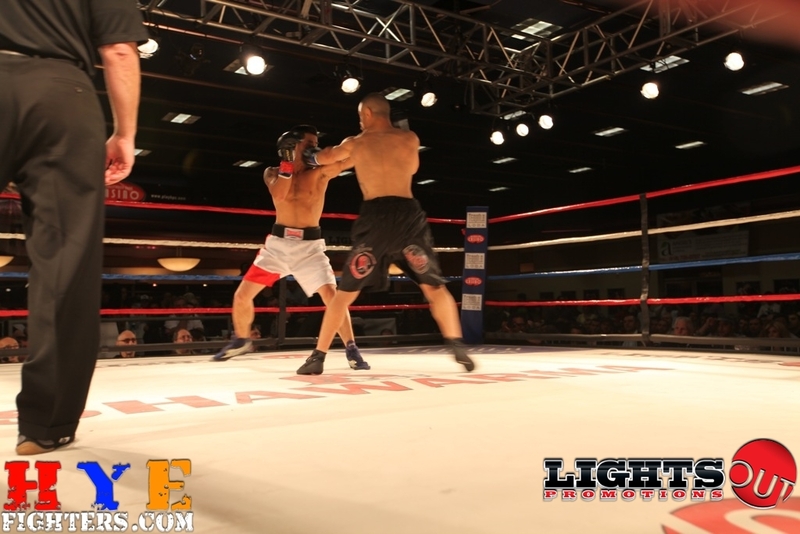 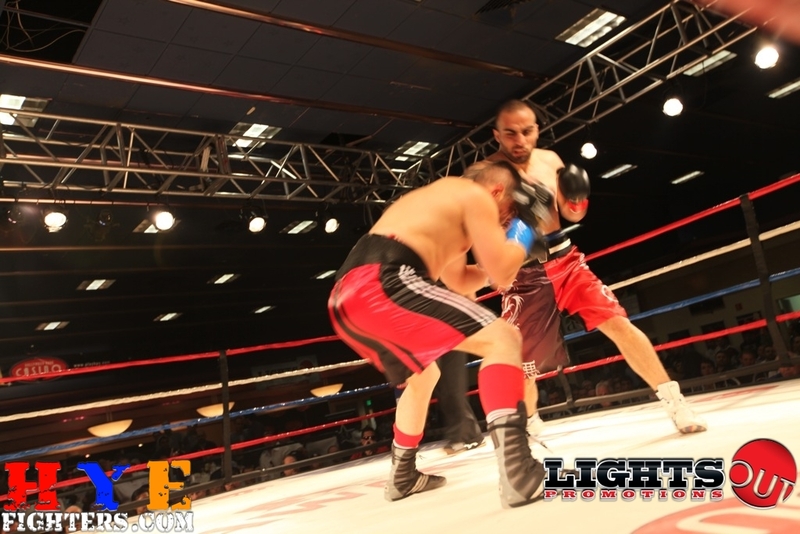 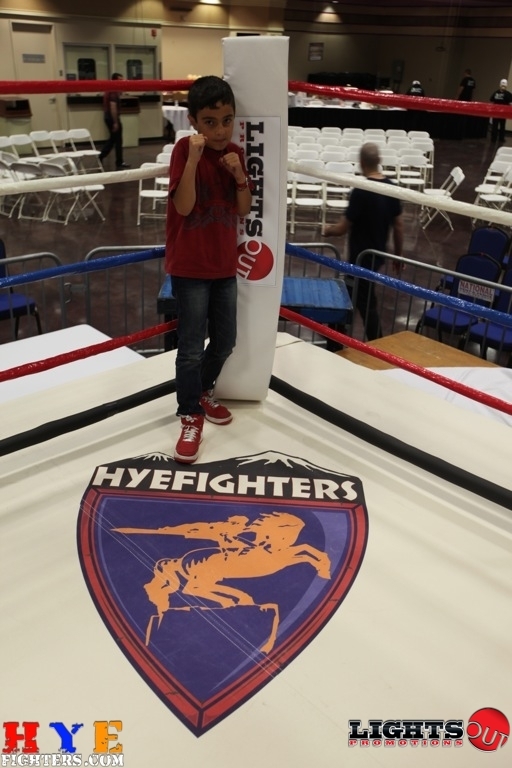 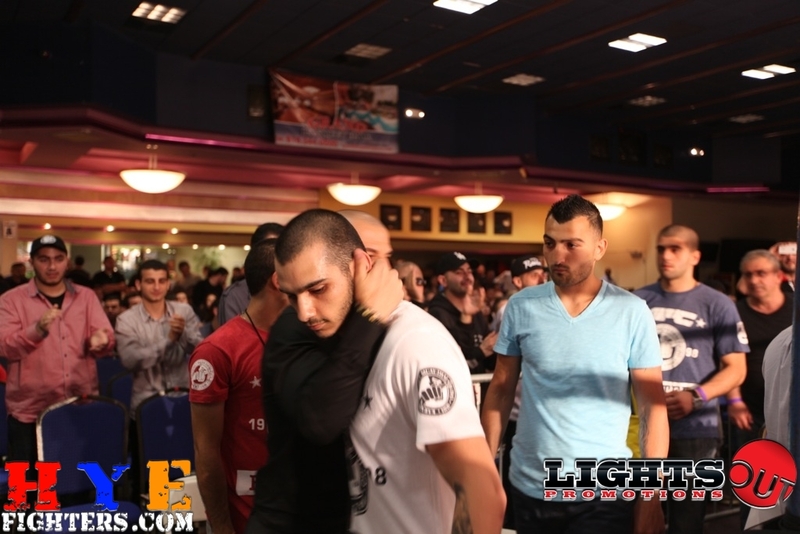 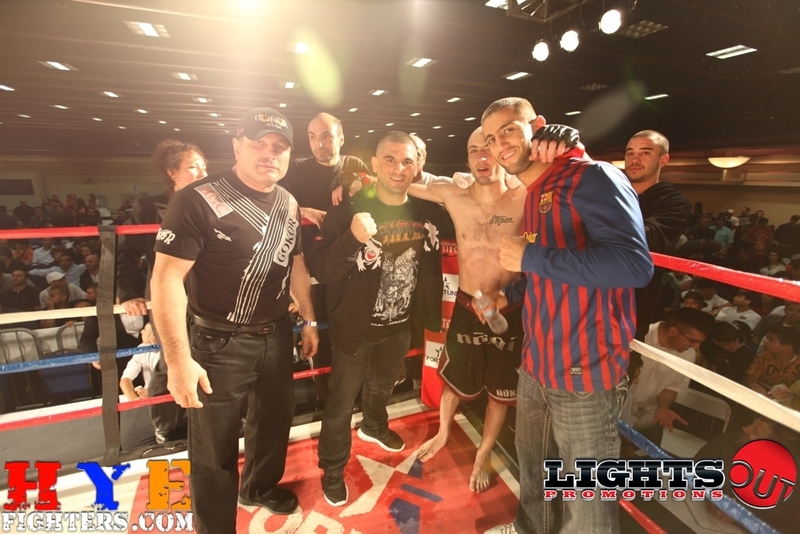 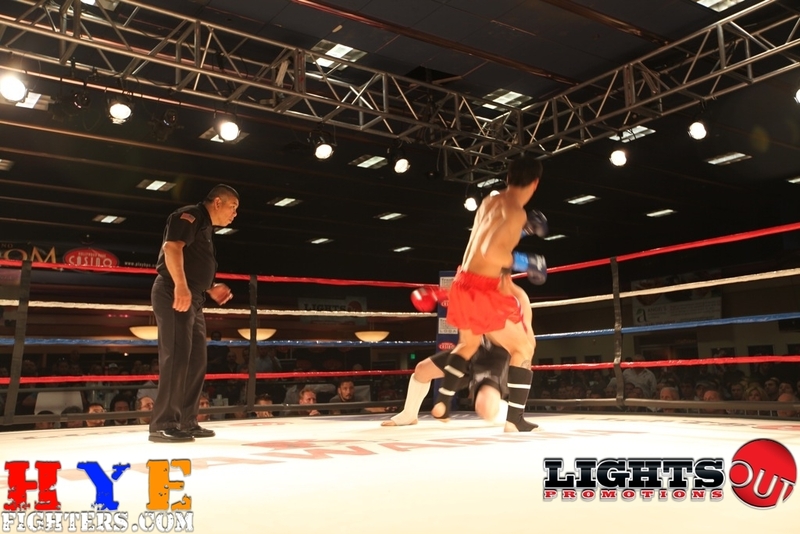 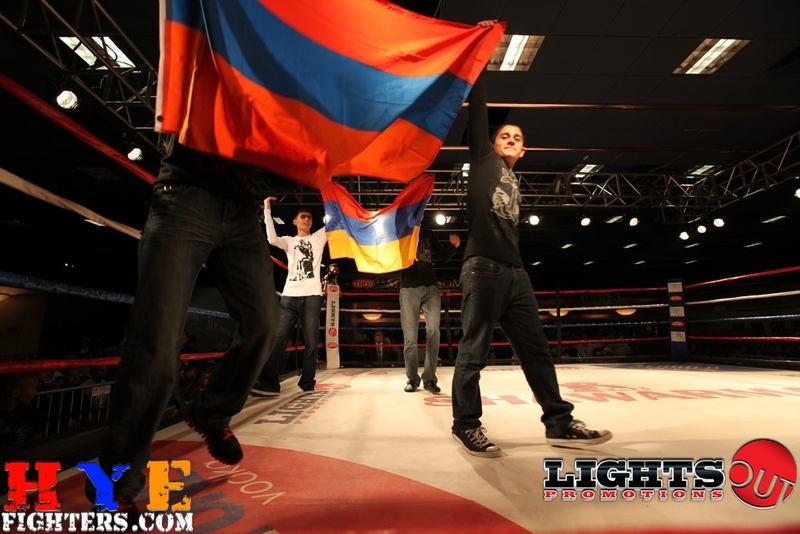 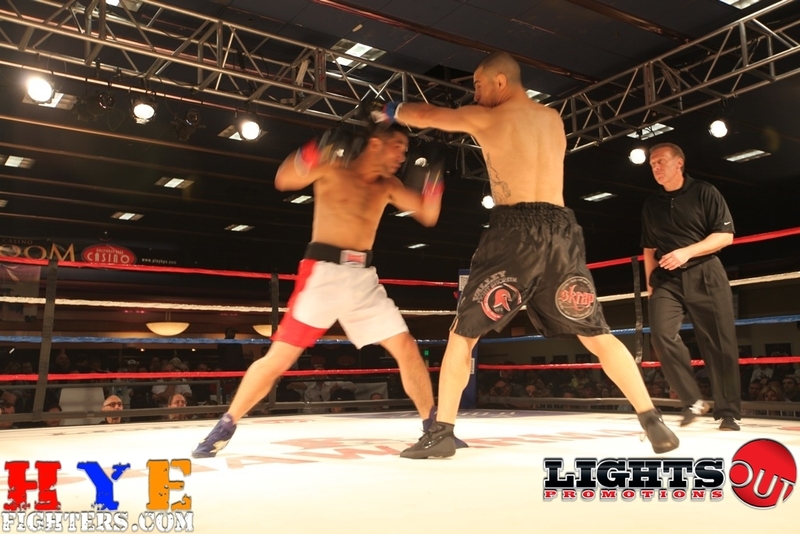 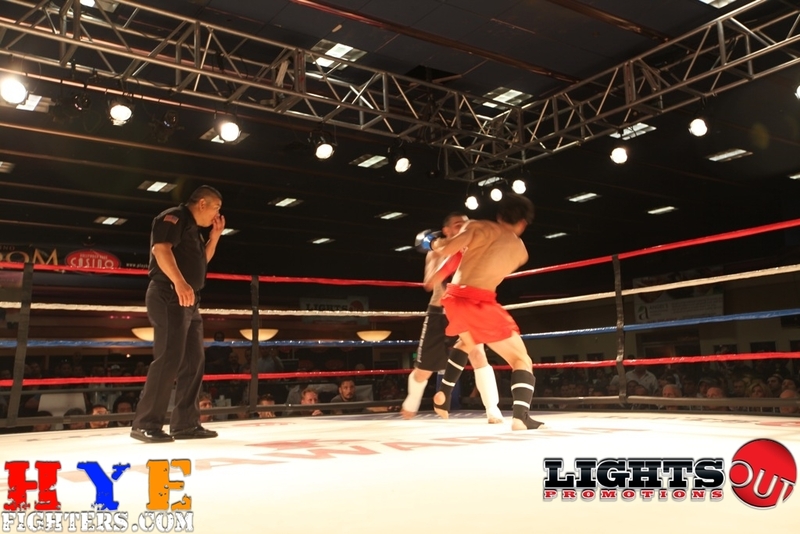 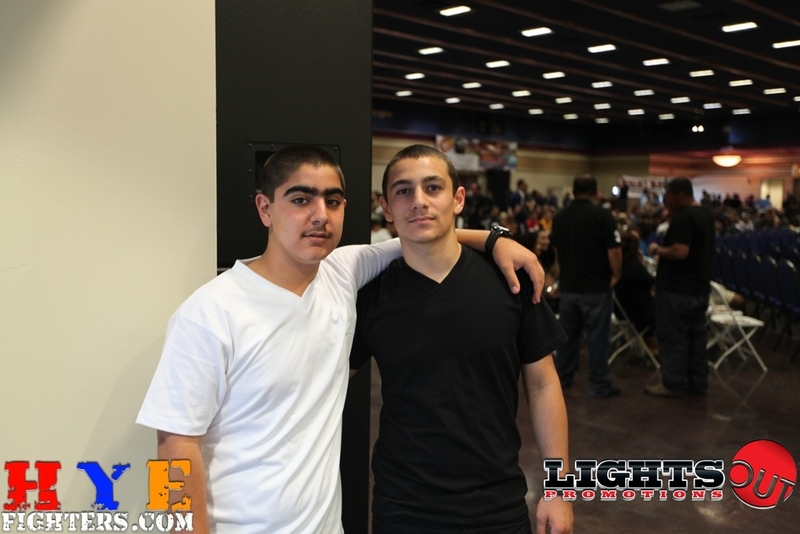 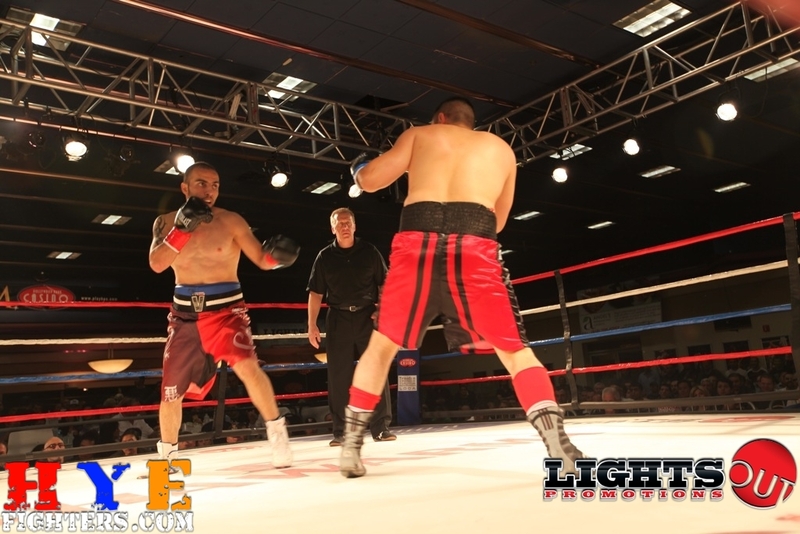 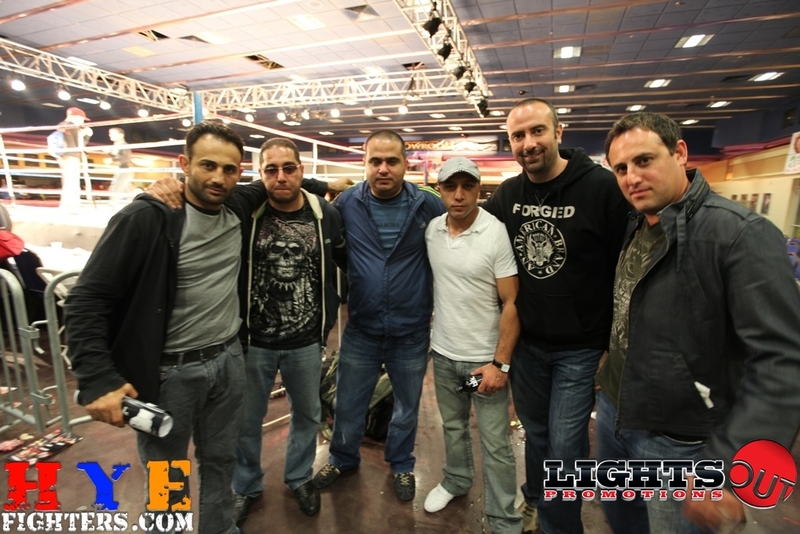 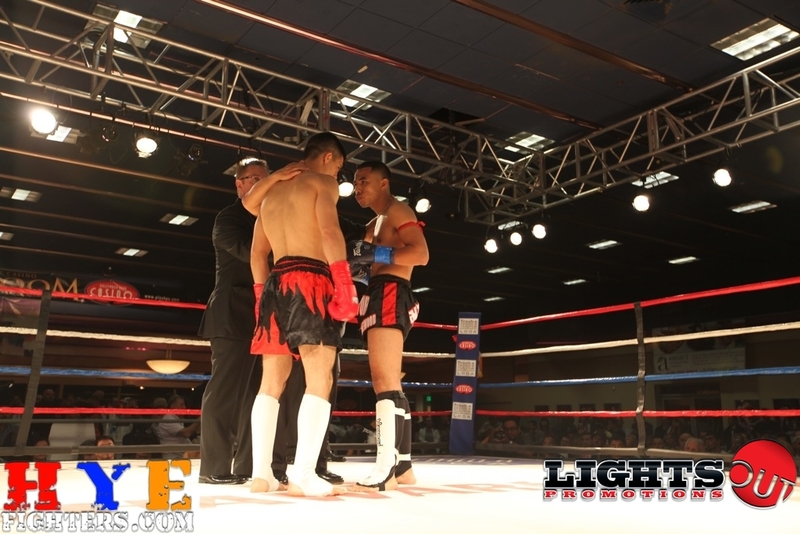 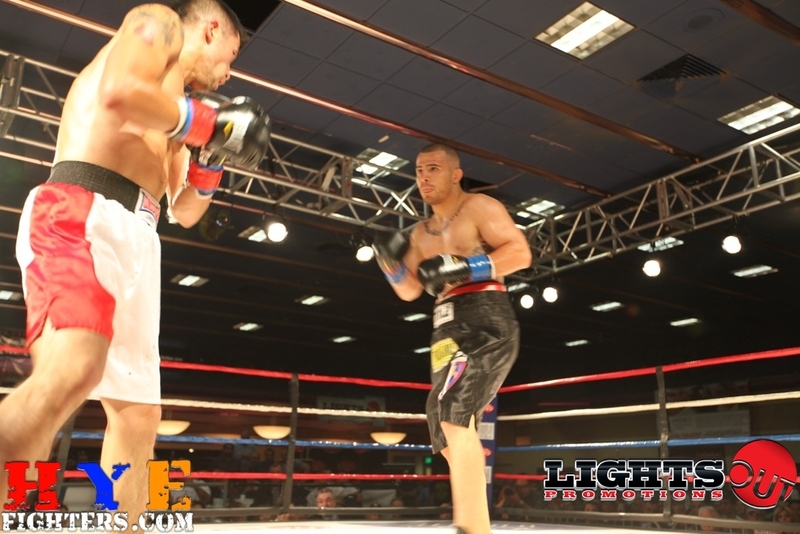 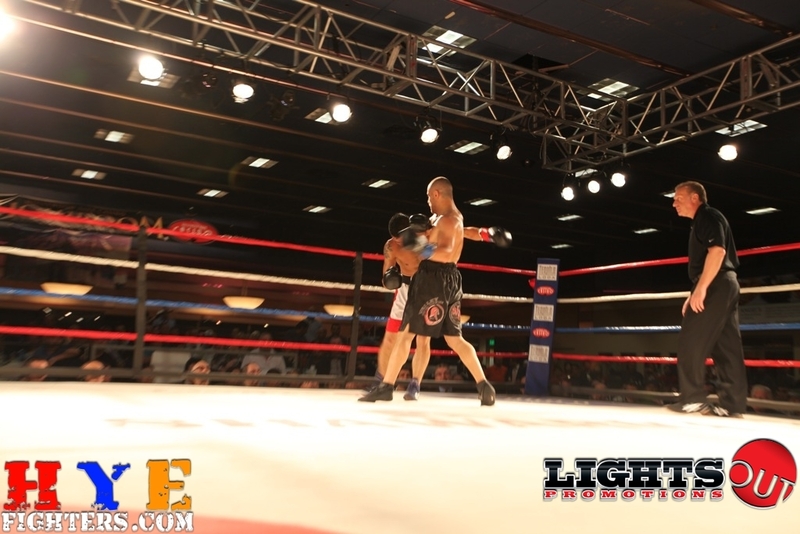 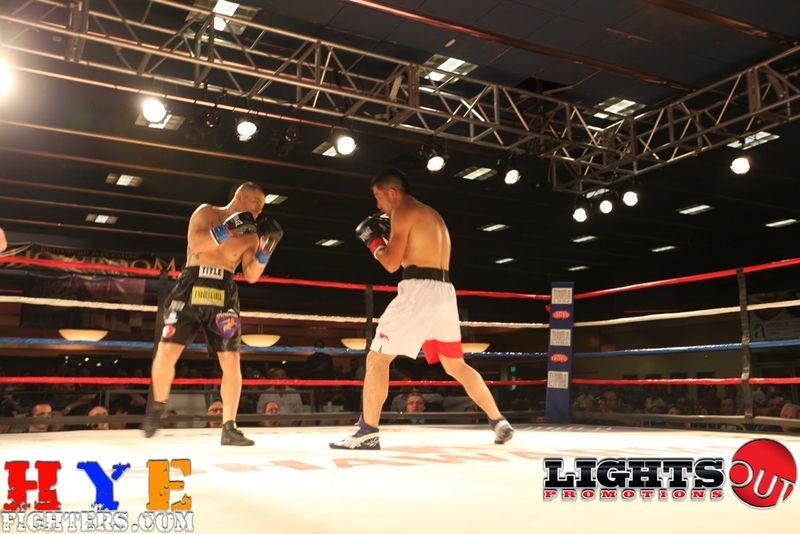 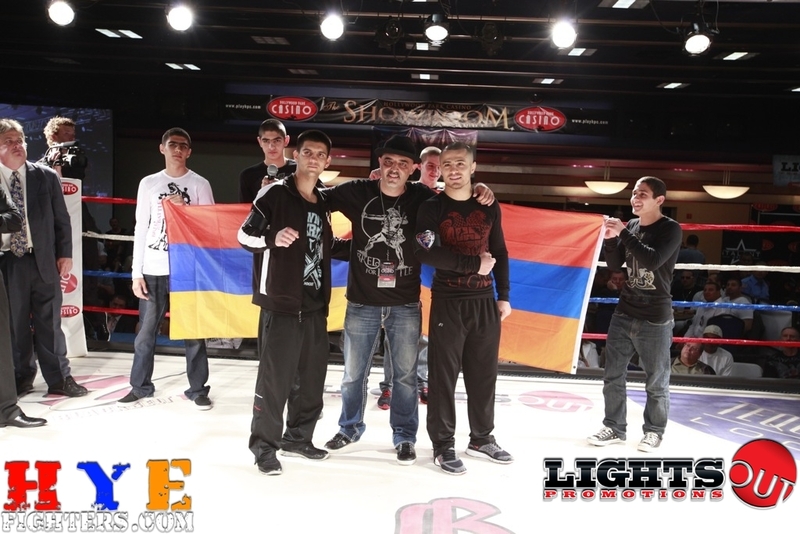 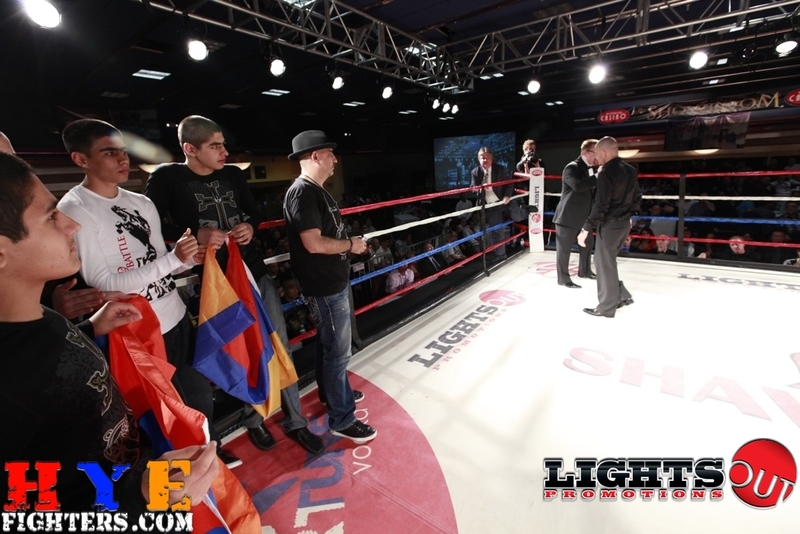 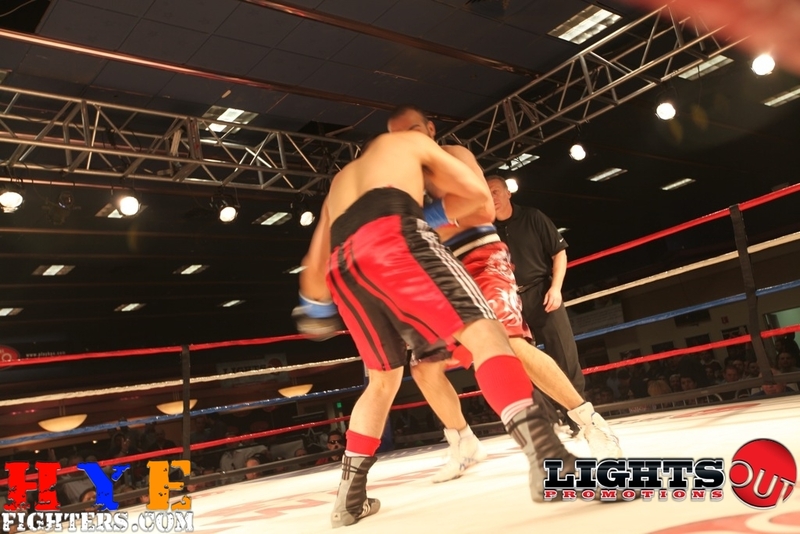 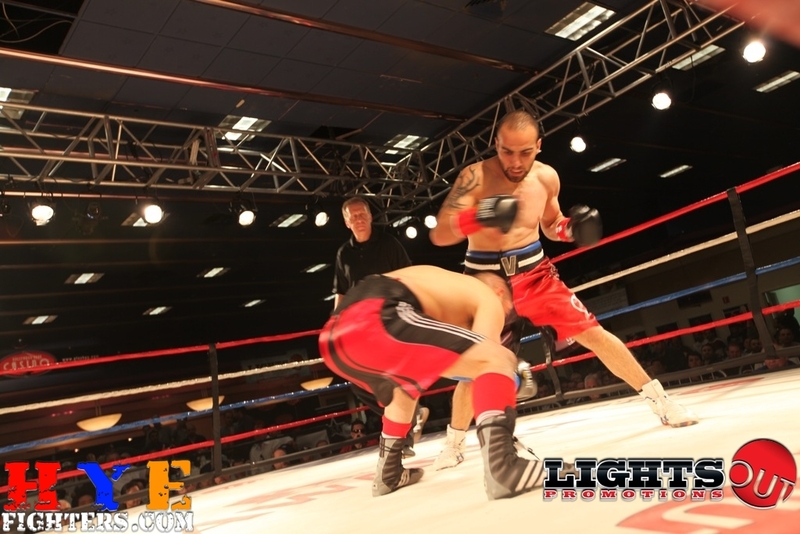 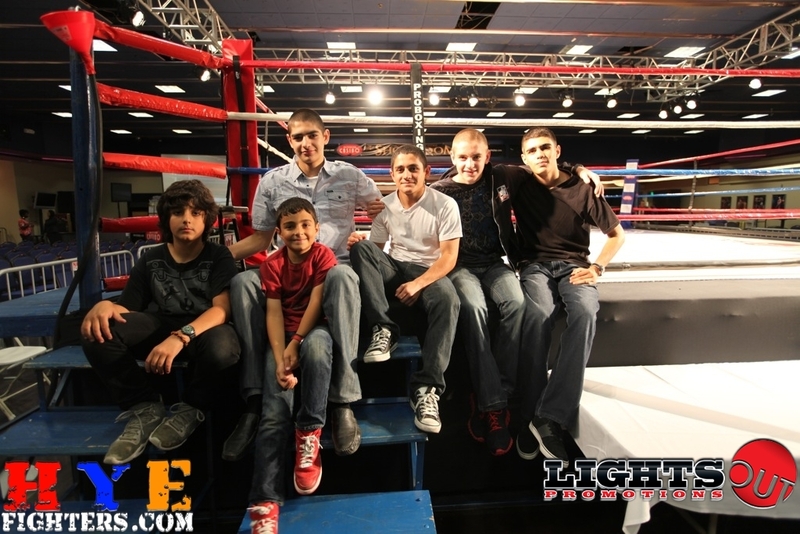 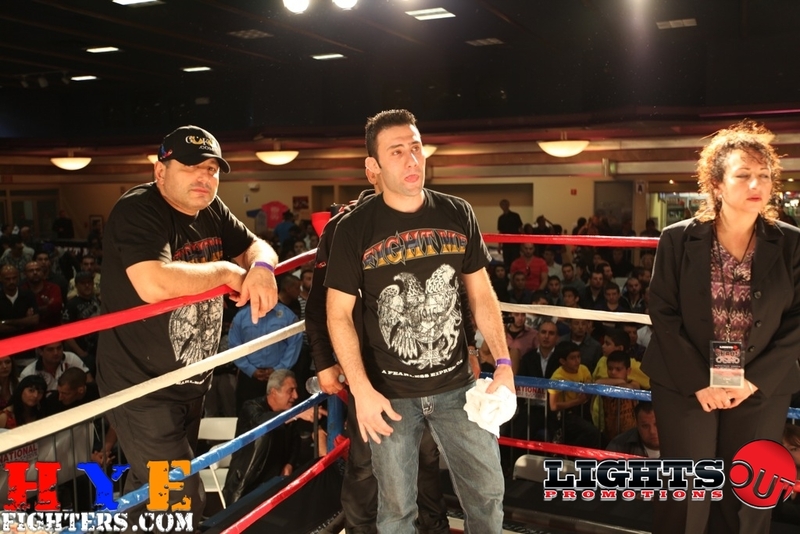 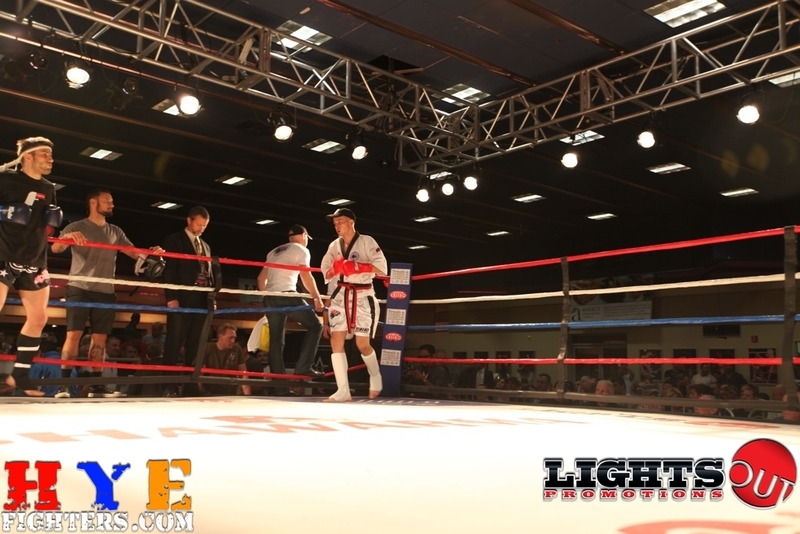 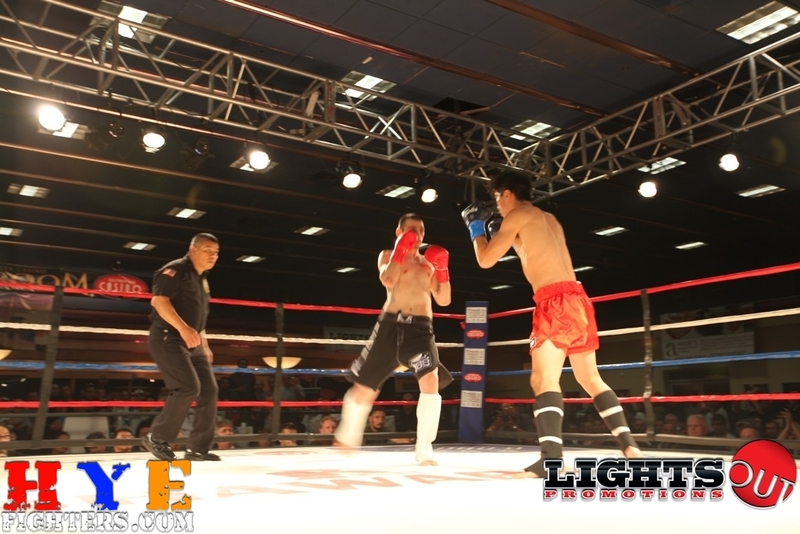 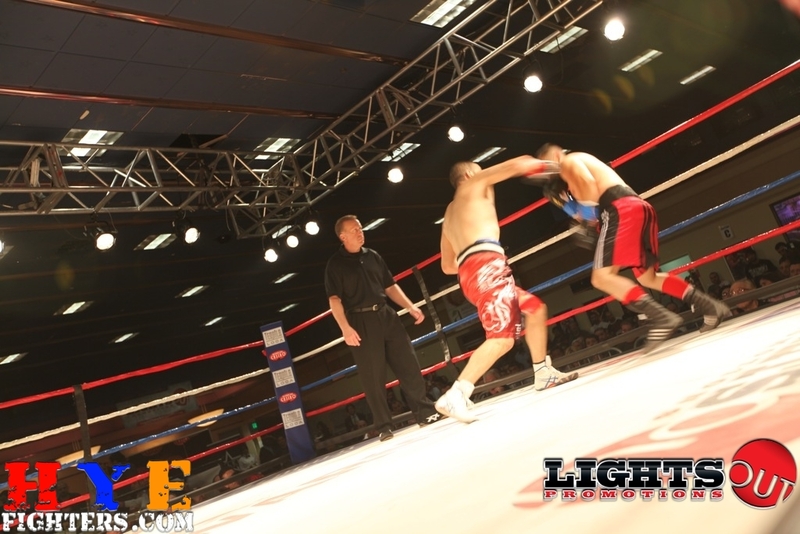 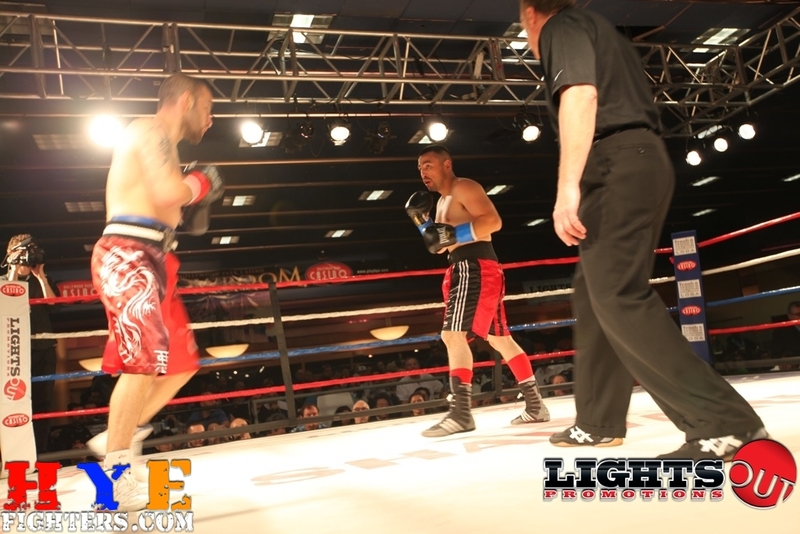 HyeFighters were victorious in 8 out of the 9 bouts they were featured in. 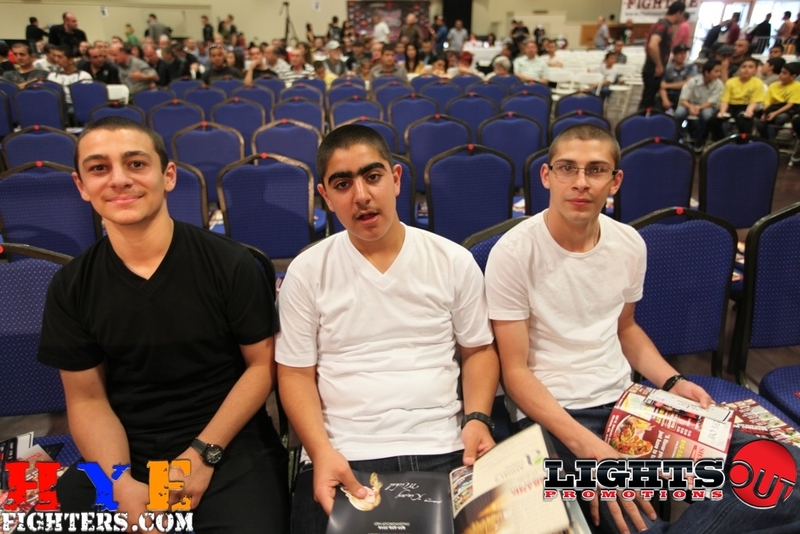 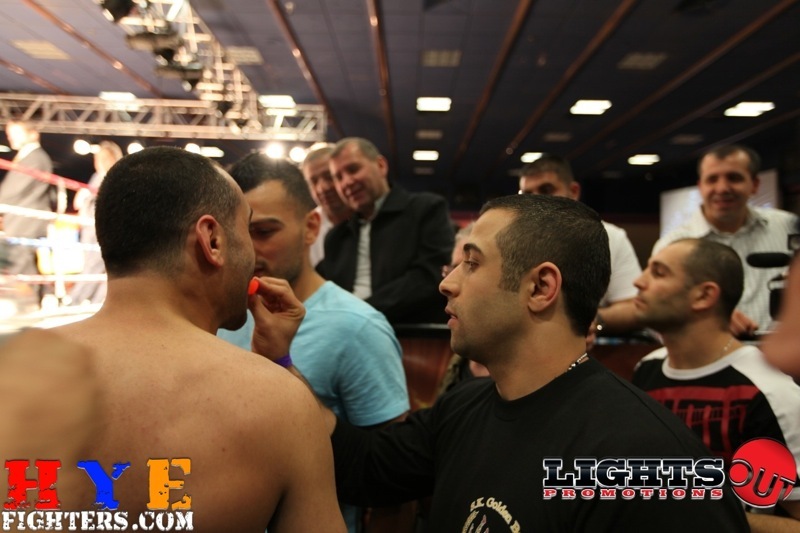 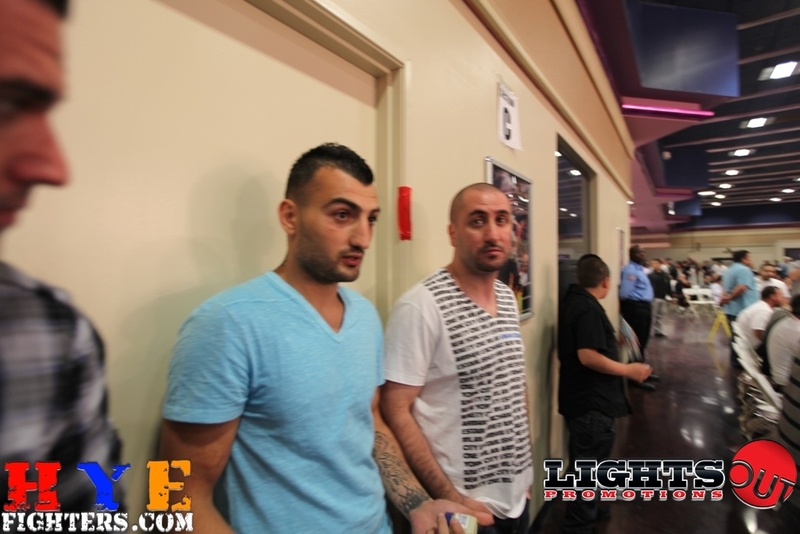 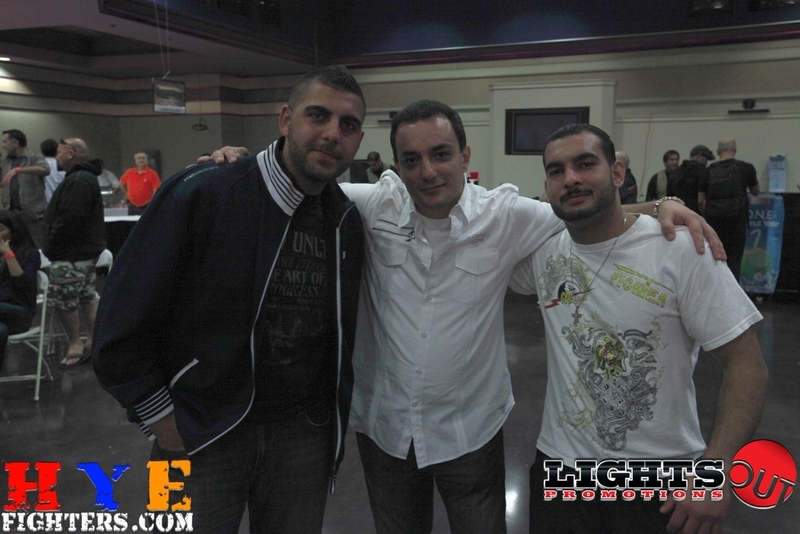 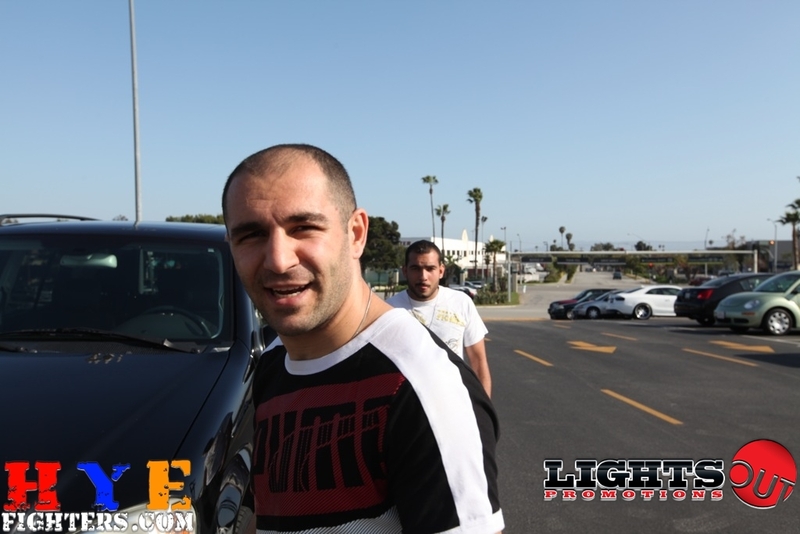 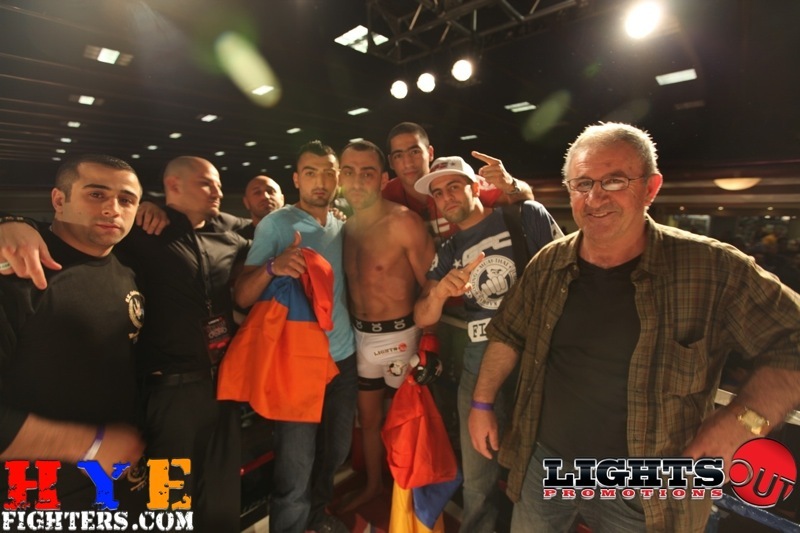 Edmond Tarverdyan KO’d Phil Nunez, Georgi Karakhanyan, in his professional boxing debut beat Tatsuro Ire, Roman Mitichyan put a quick stop to his fight by submitting William Sriyapa in the first minute of the first round, Sako Chivitchian pulled off a hard fought victory against Preston Scharf after having been off for over a year to heal his injusry, Ara Muradyan put on a stiking and grappling show on his way to victory against Octavio Morales, Vardan Gaspatyan KO’d Sergio De La Torre in the 2nd round, Alfred Khashakyan TKO’d Victor Jovel in spectacular fashion in the 2nd round, young Sergey Martirosyan beat Bogtan Gretchka, and Ando Janoyan was KO’d in his kickboxing match. 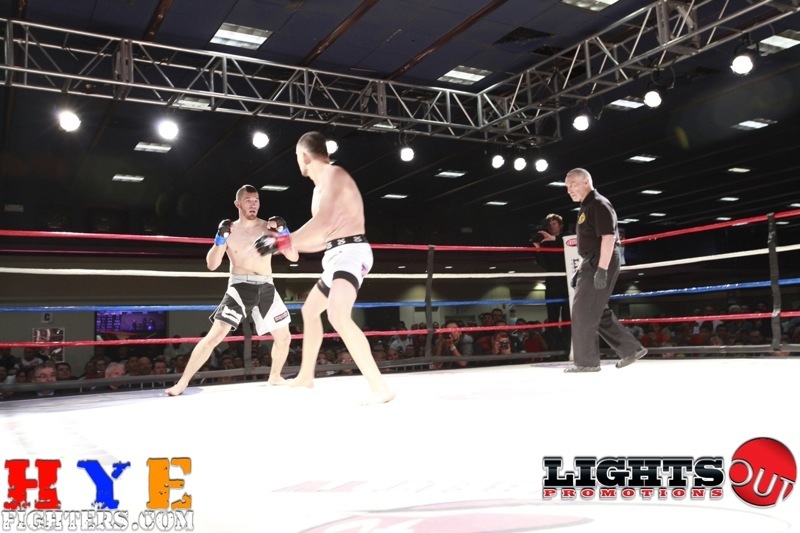 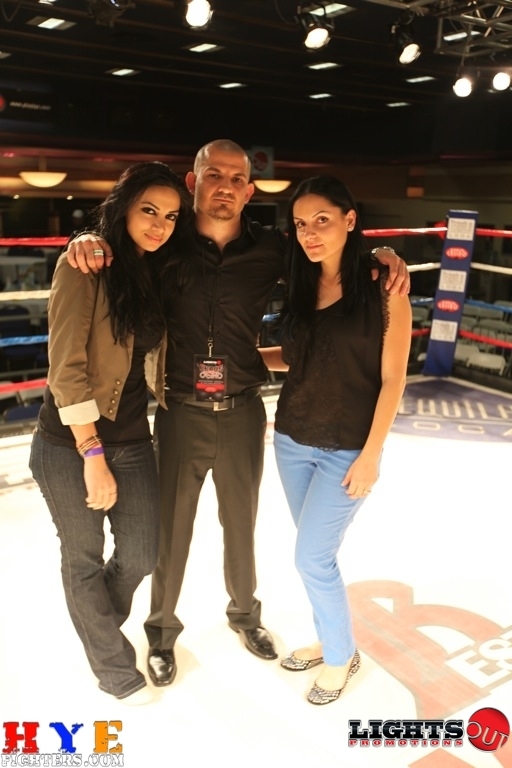 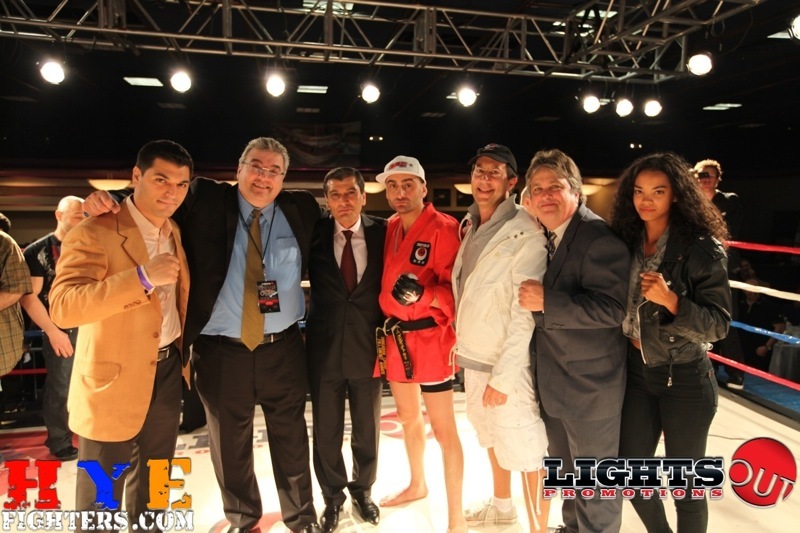 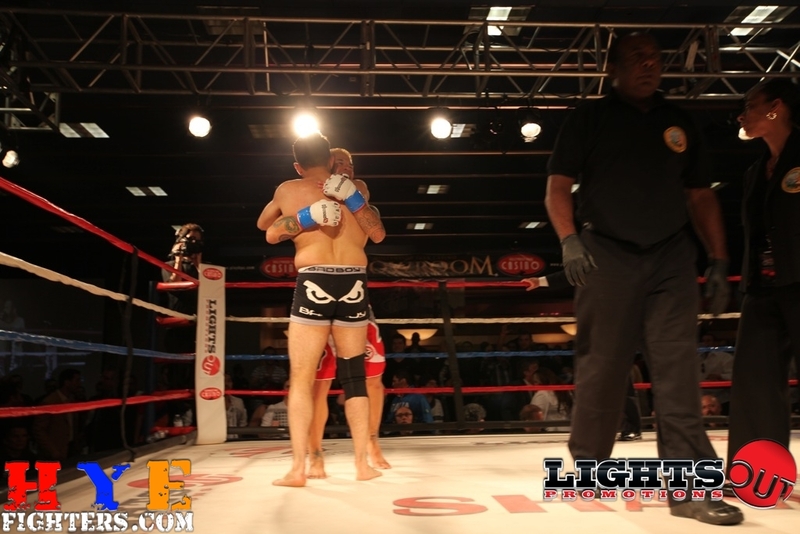 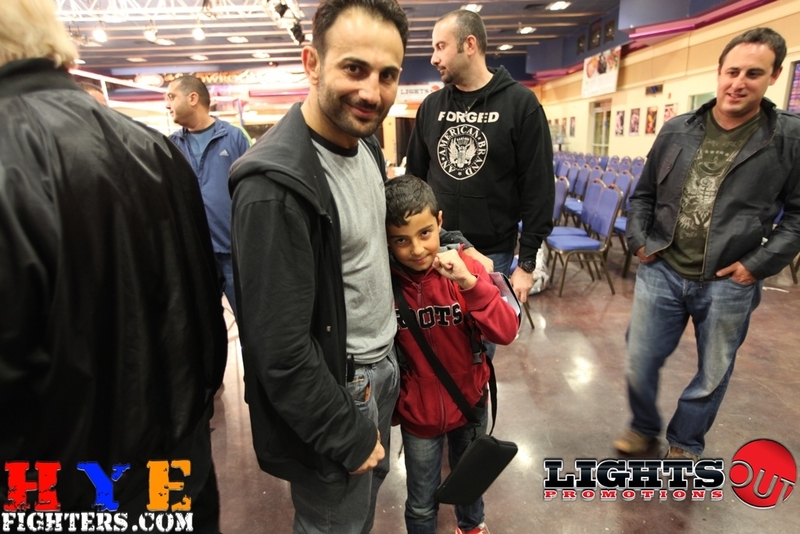 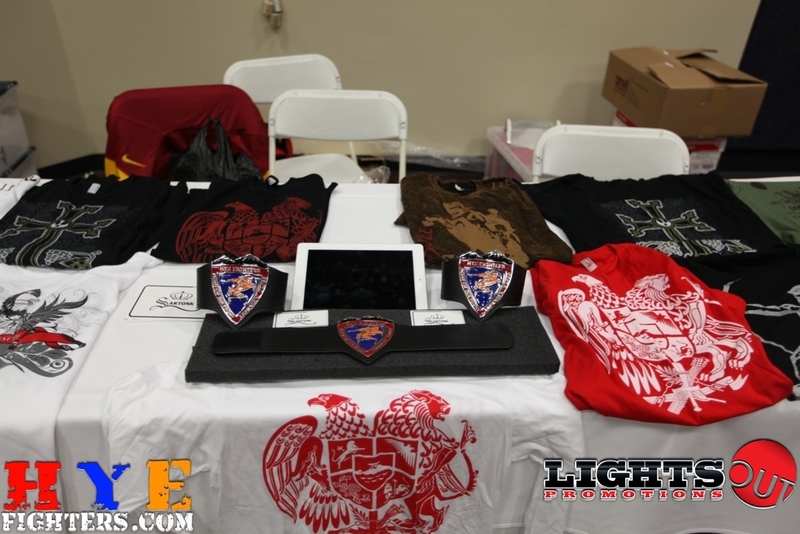 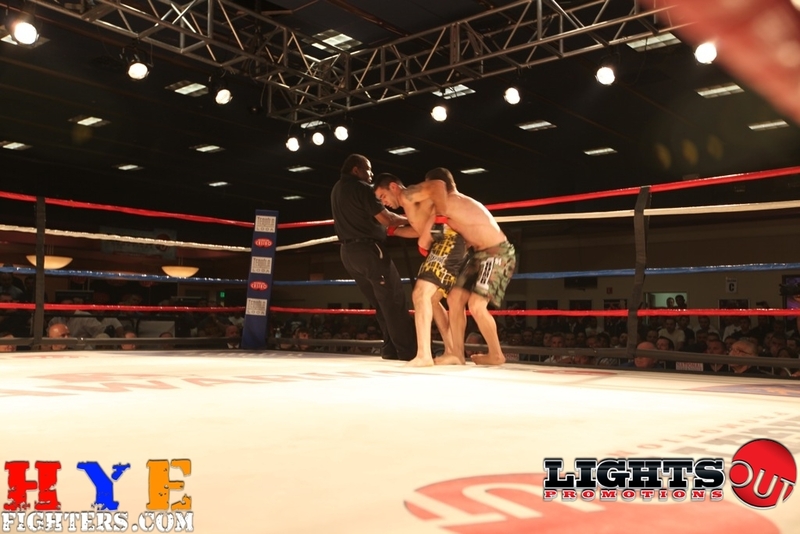 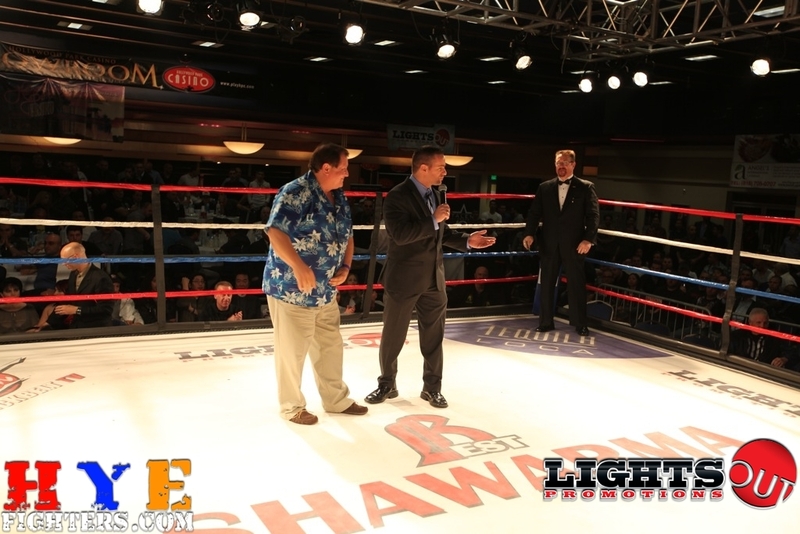 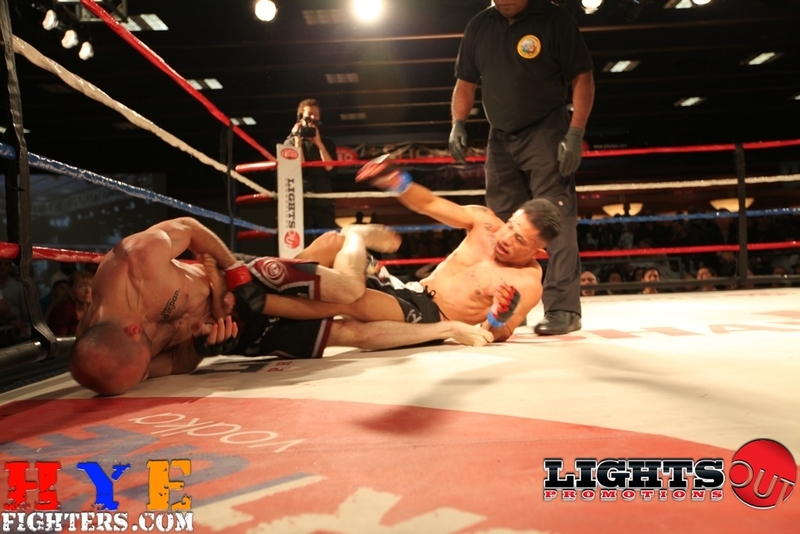 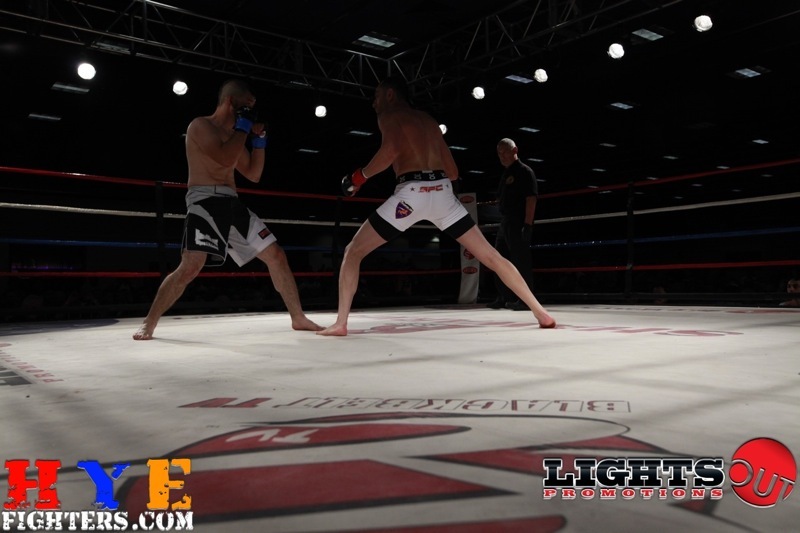 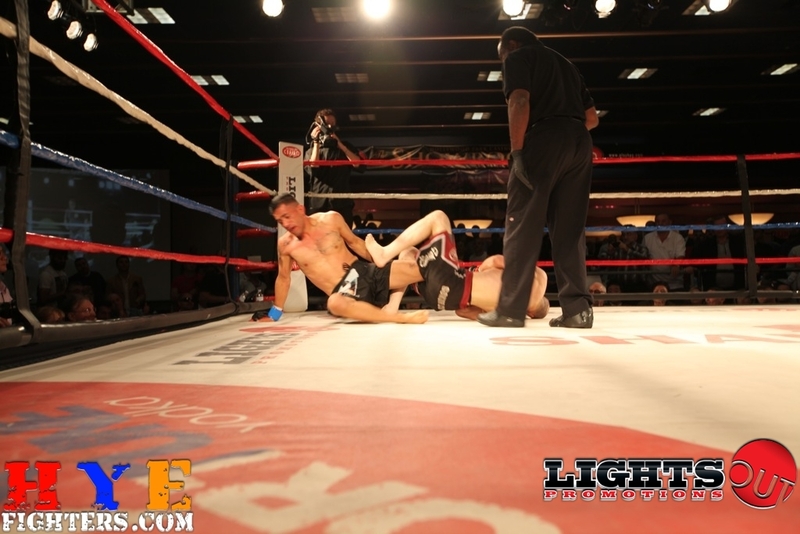 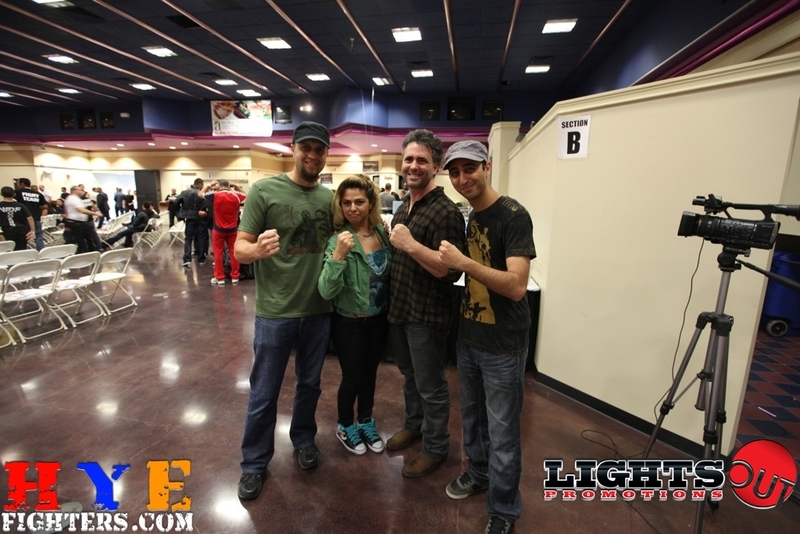 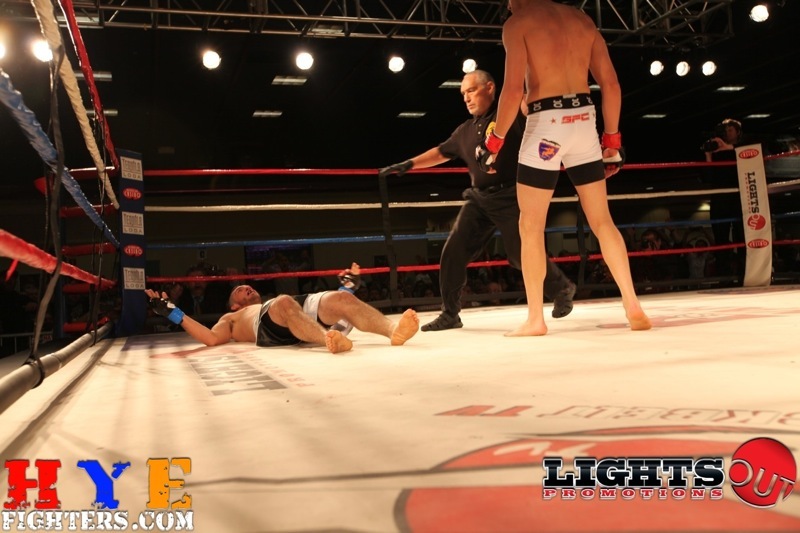 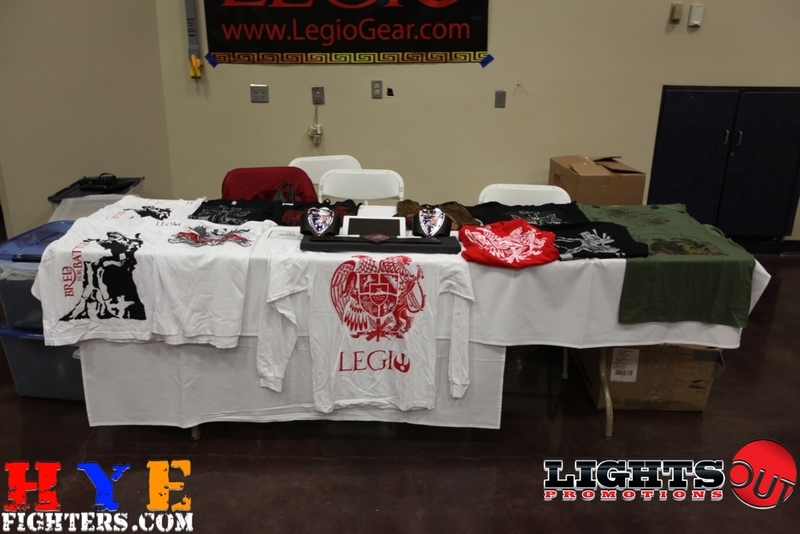 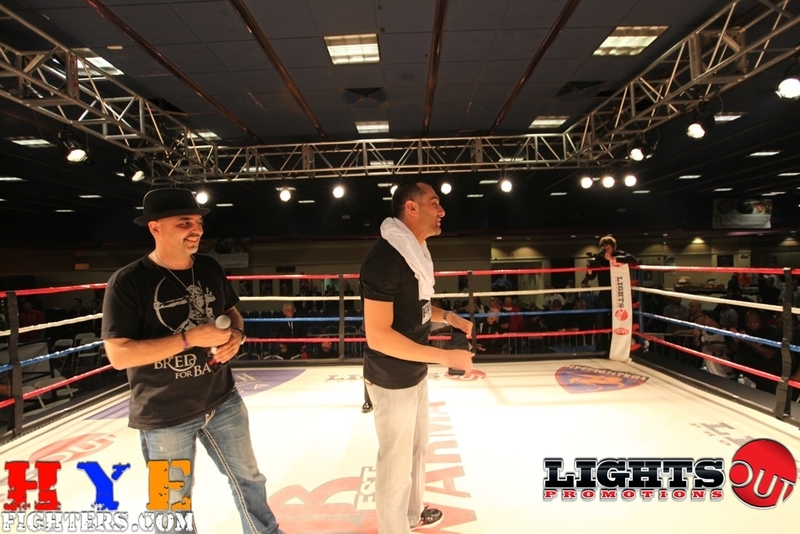 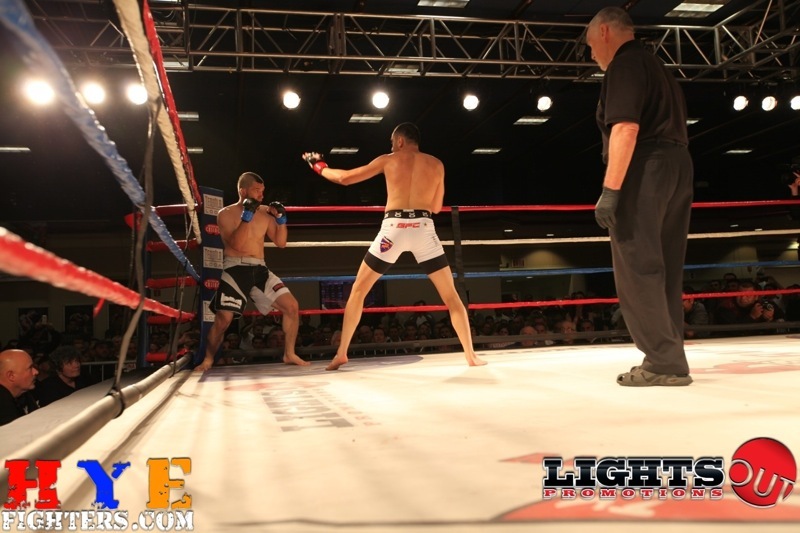 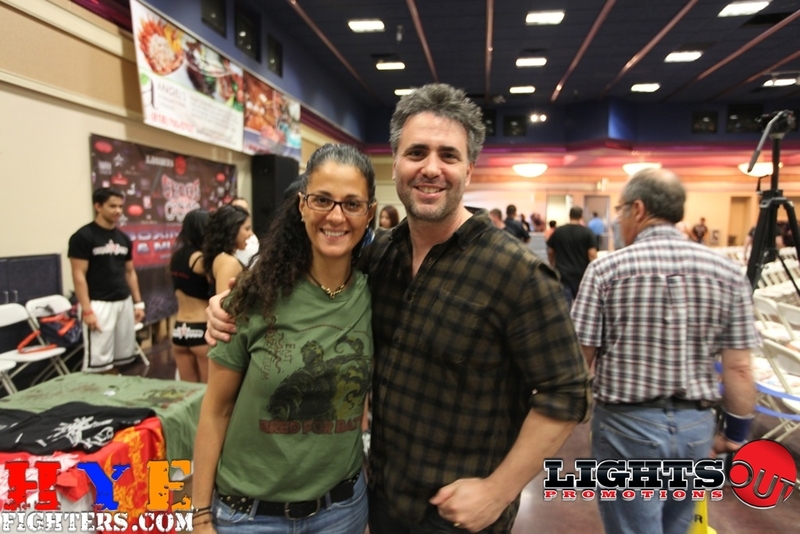 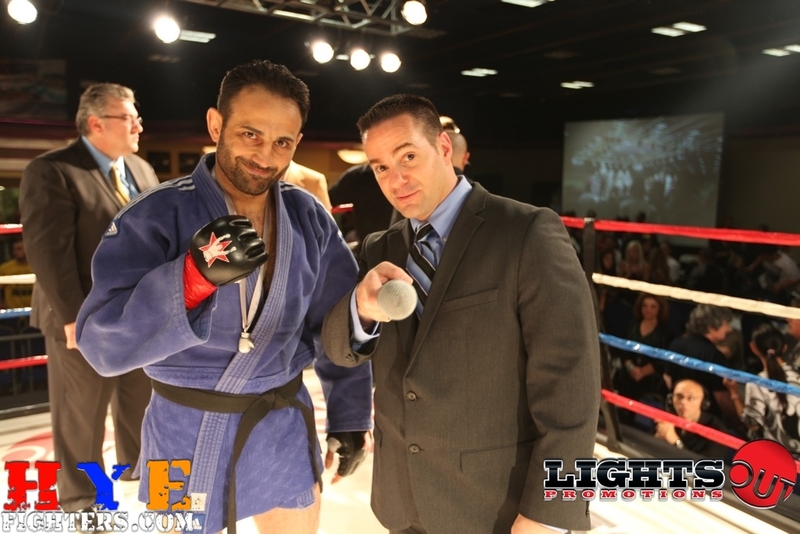 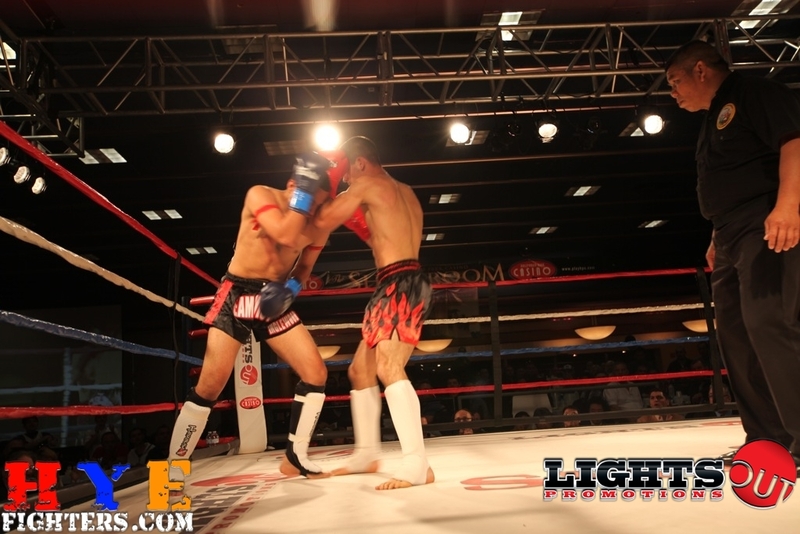 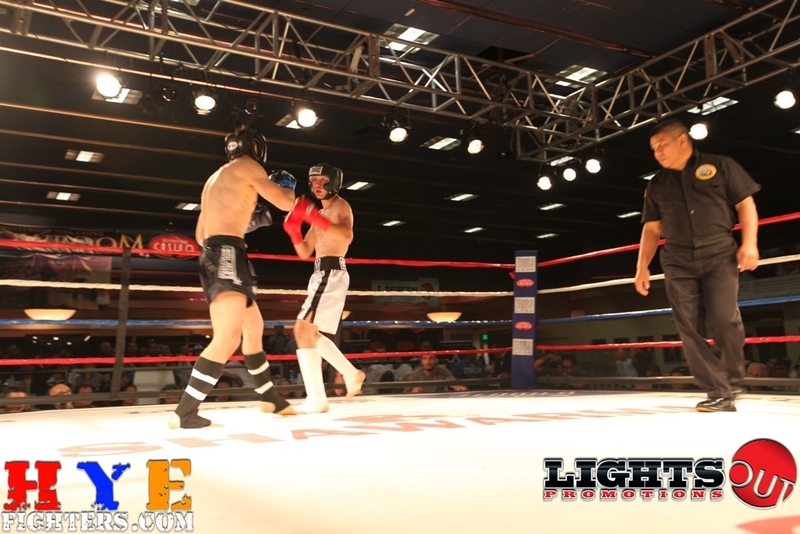 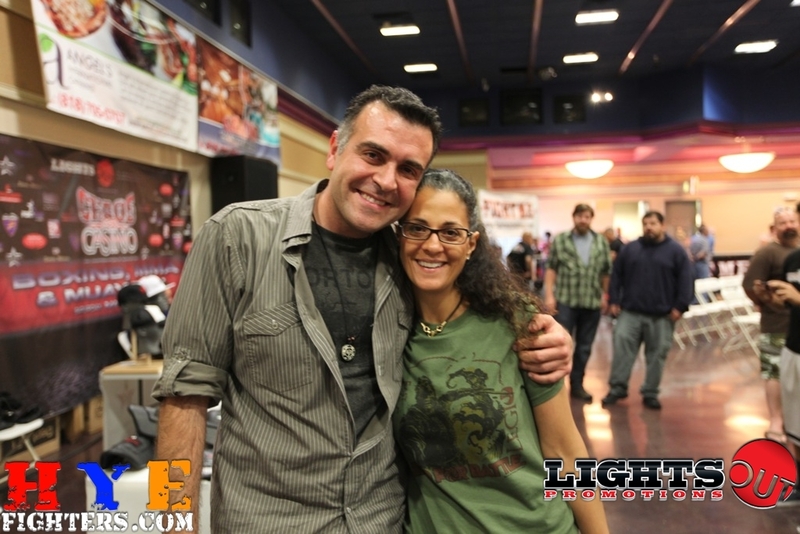 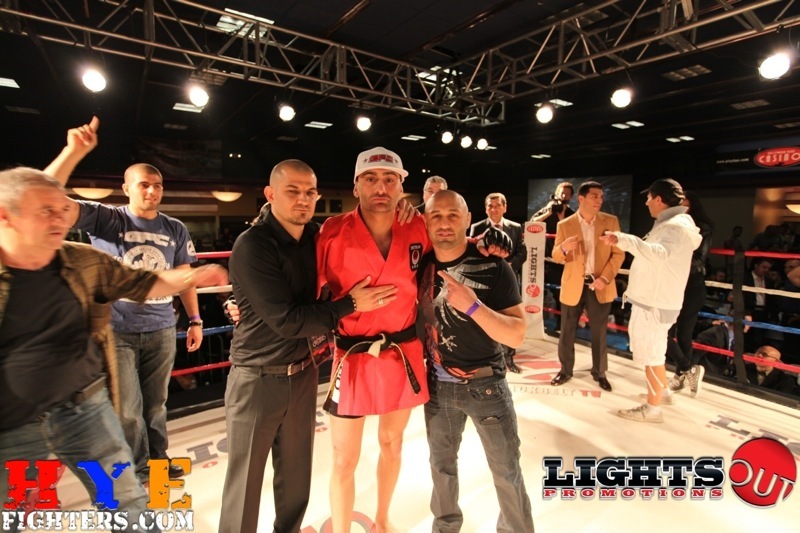 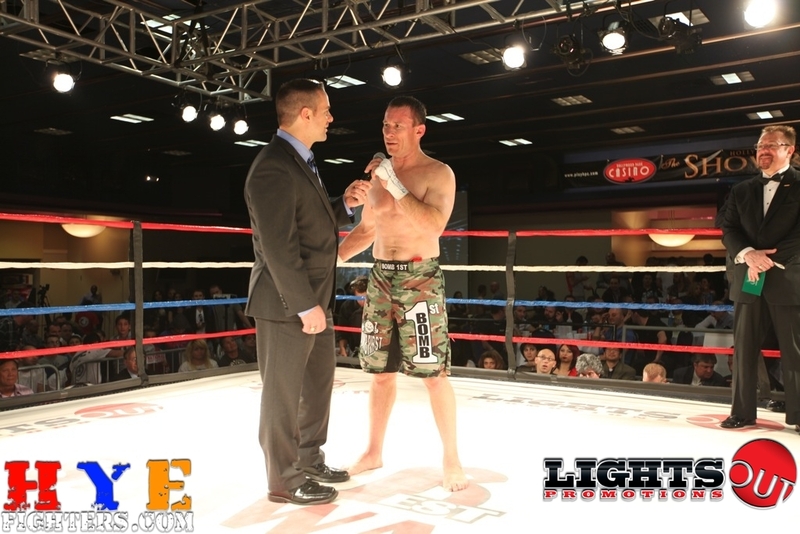 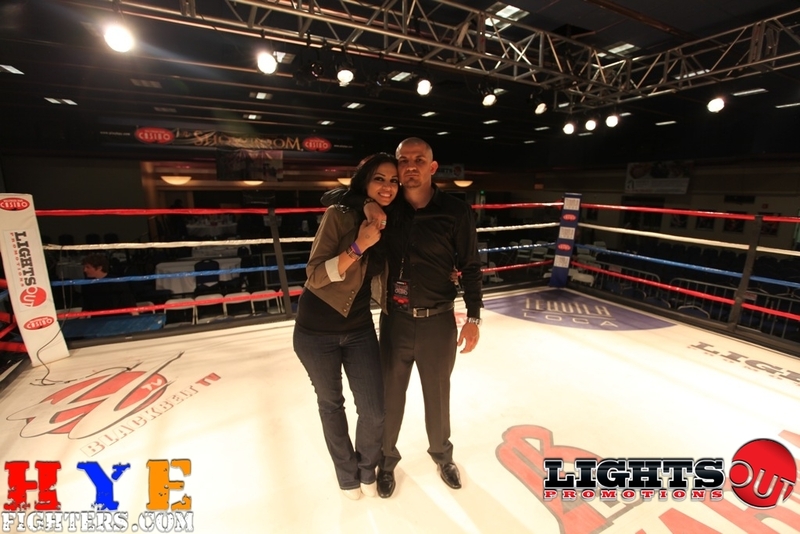 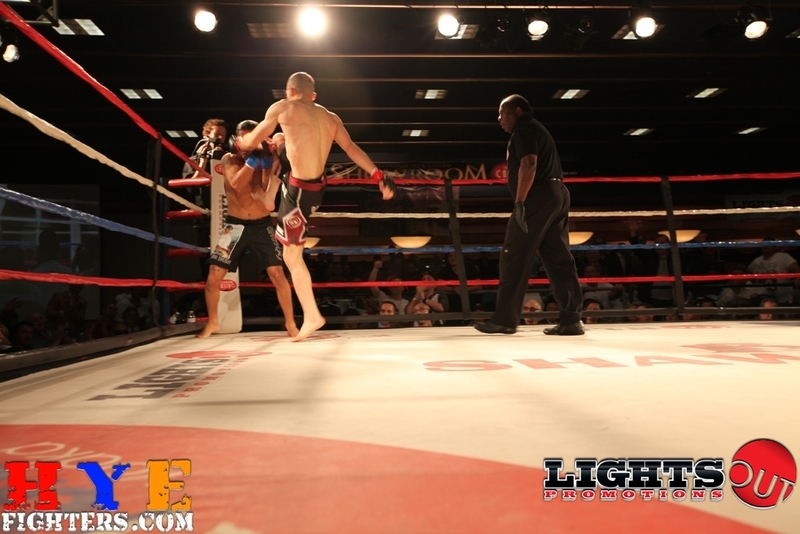 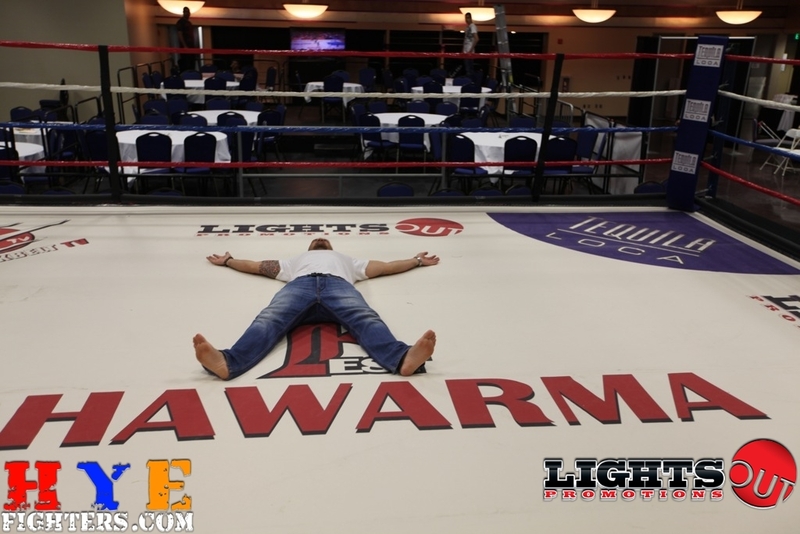 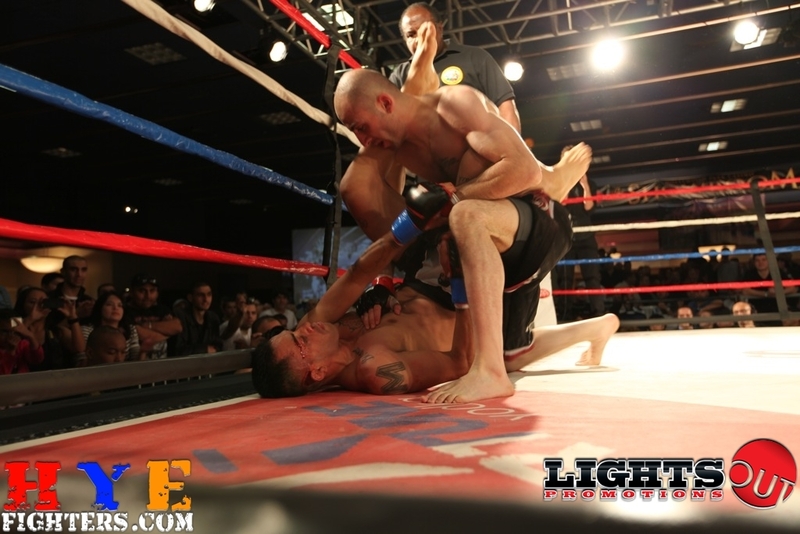 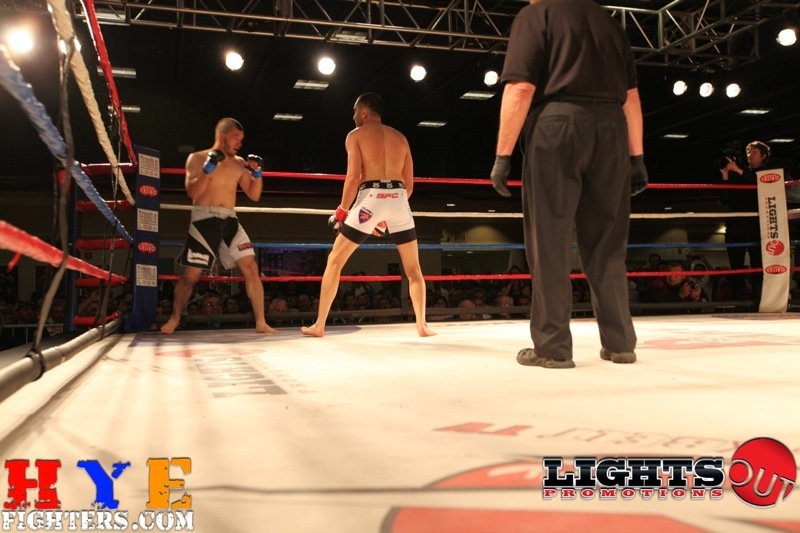 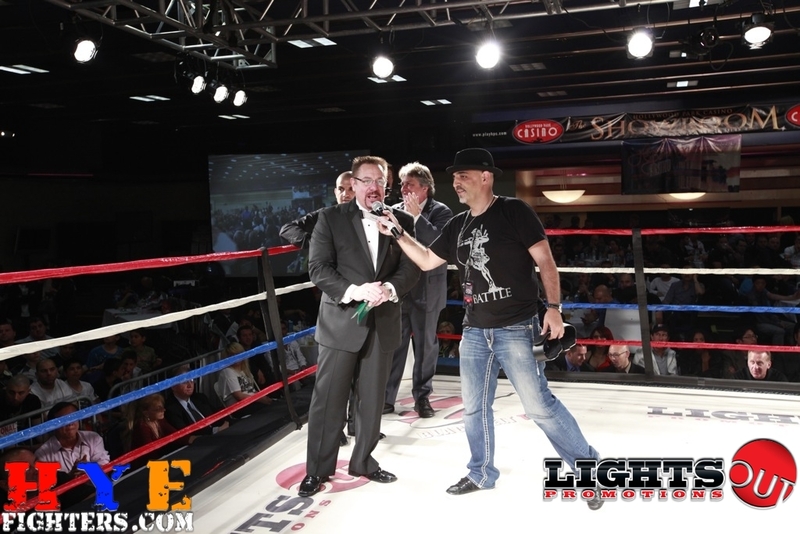 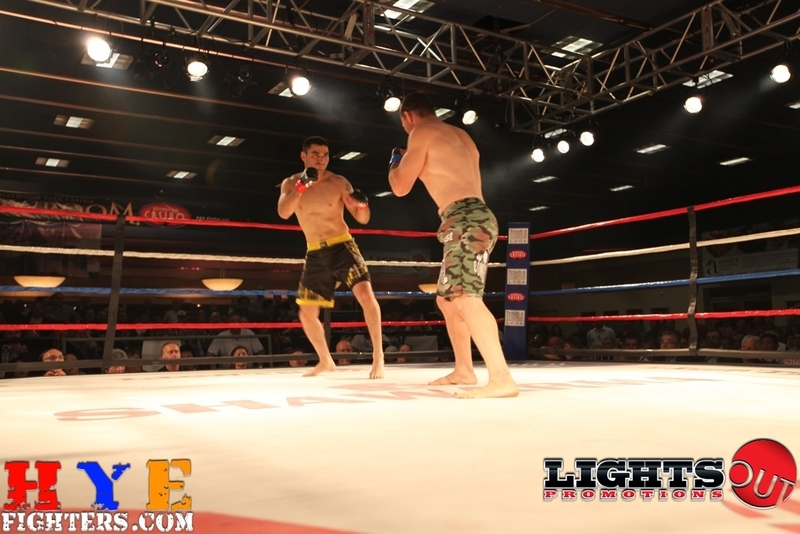 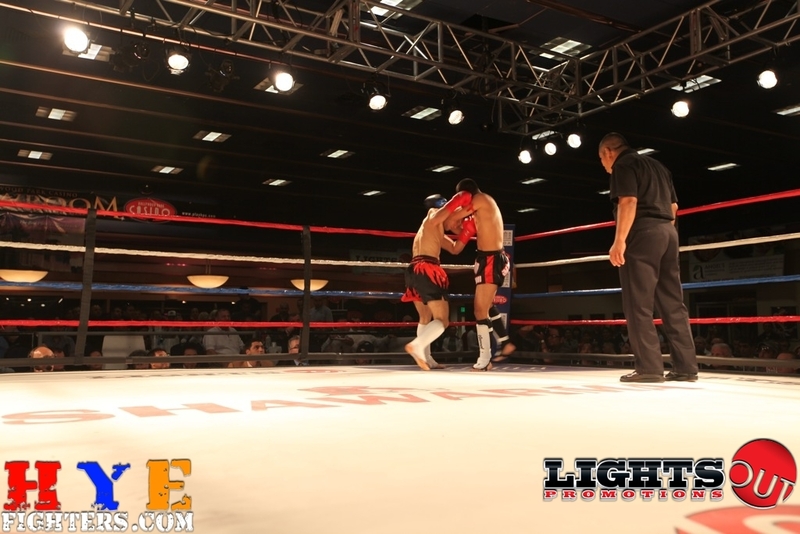 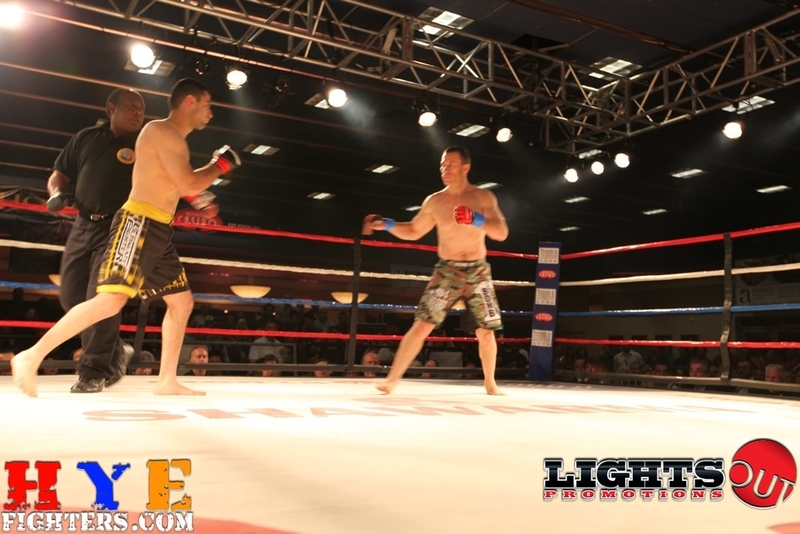 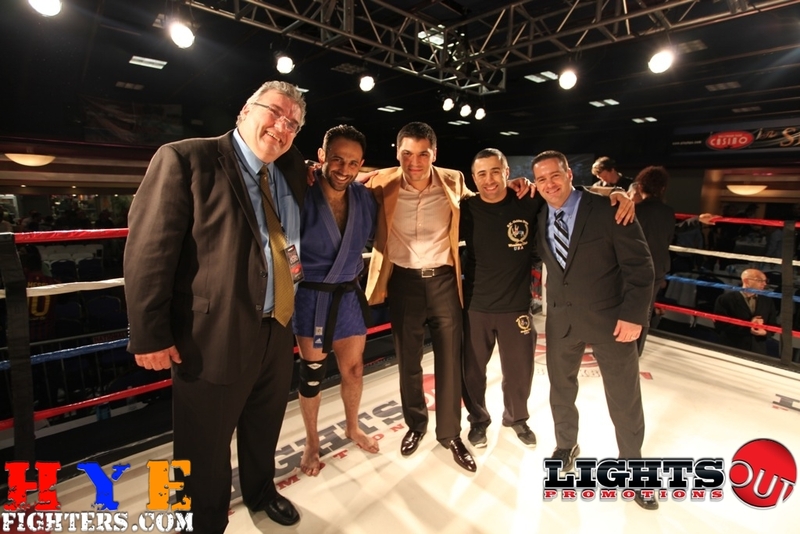 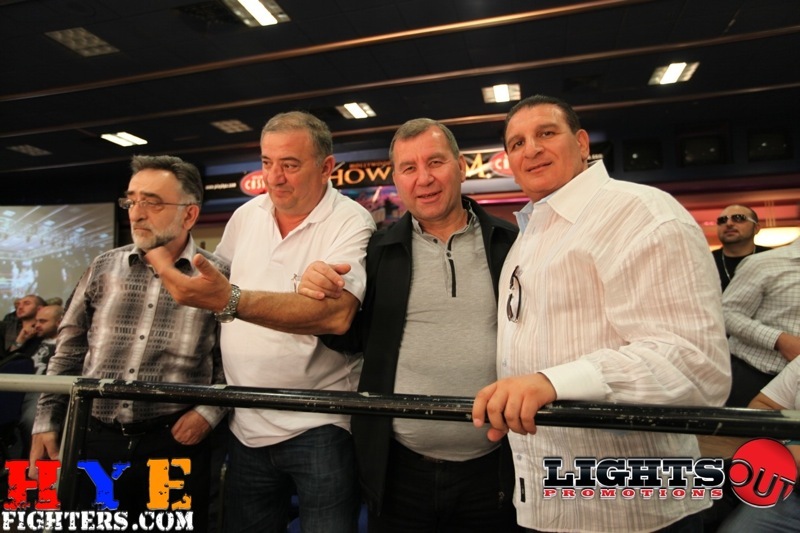 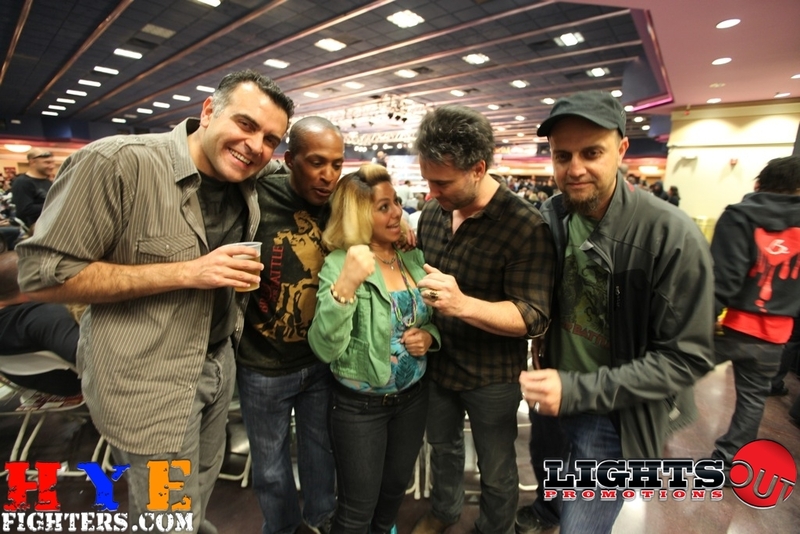 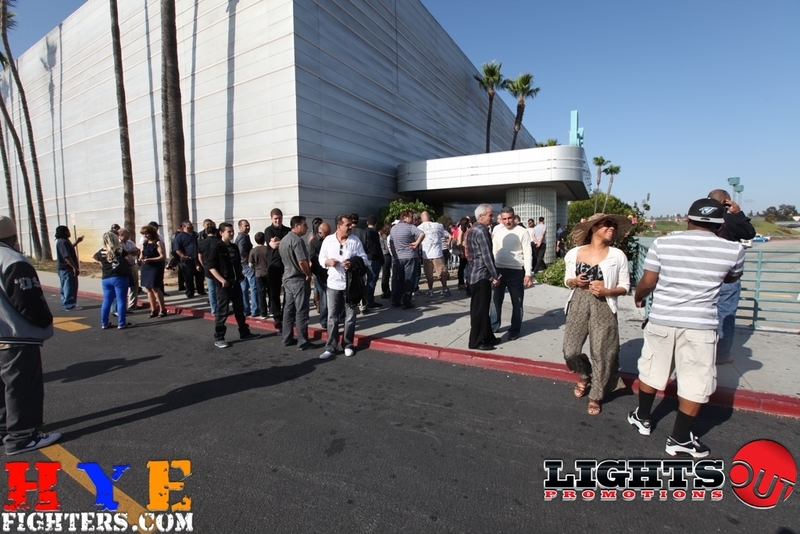 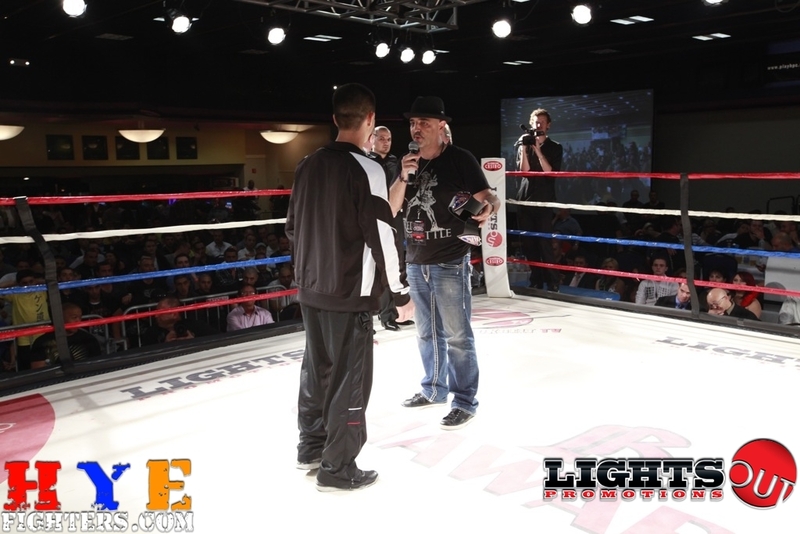 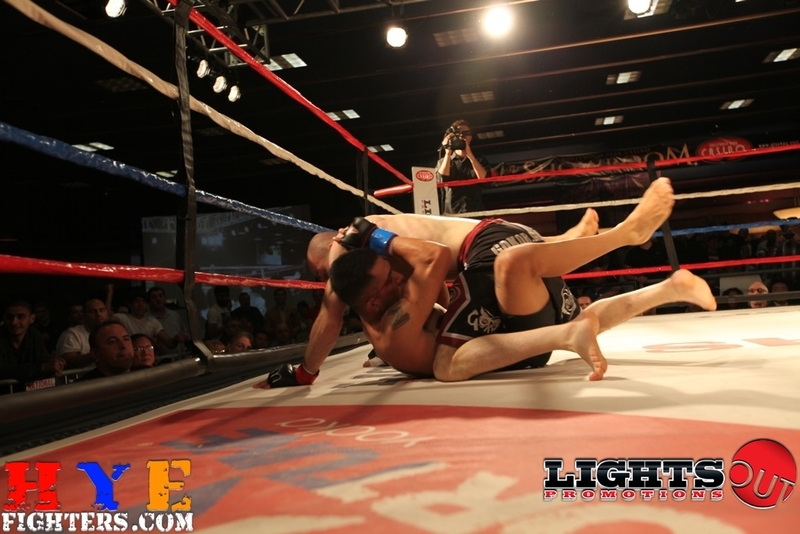 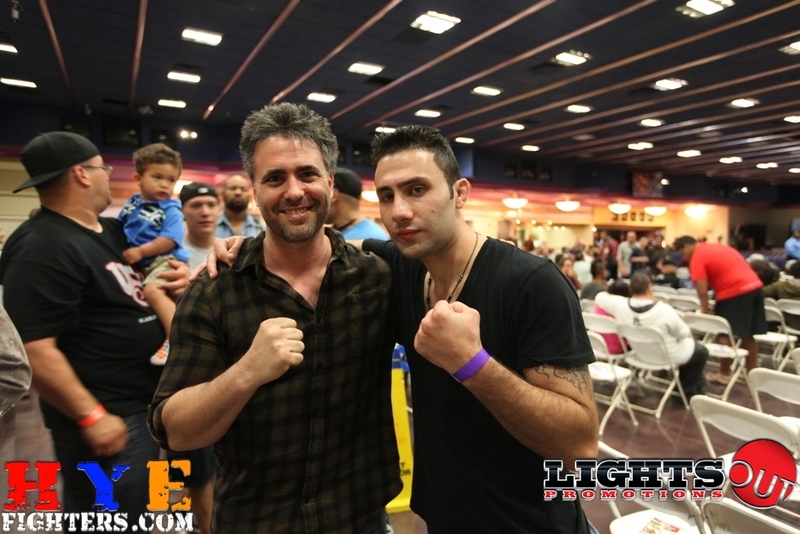 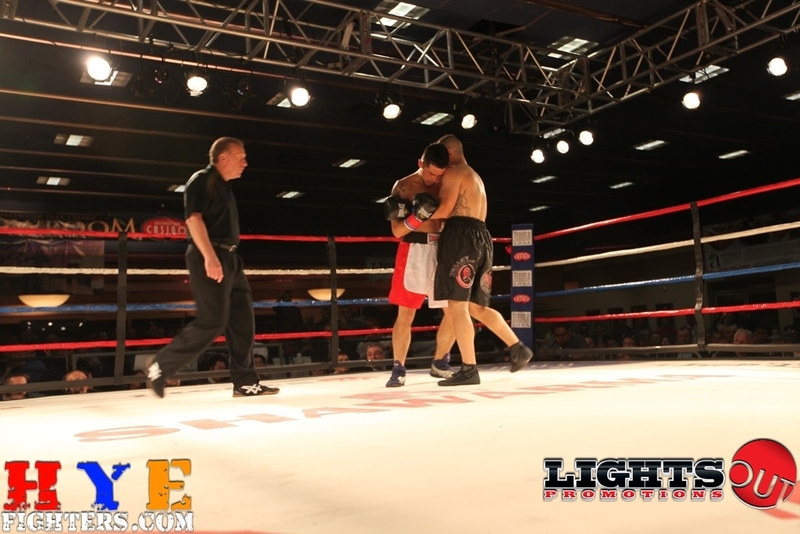 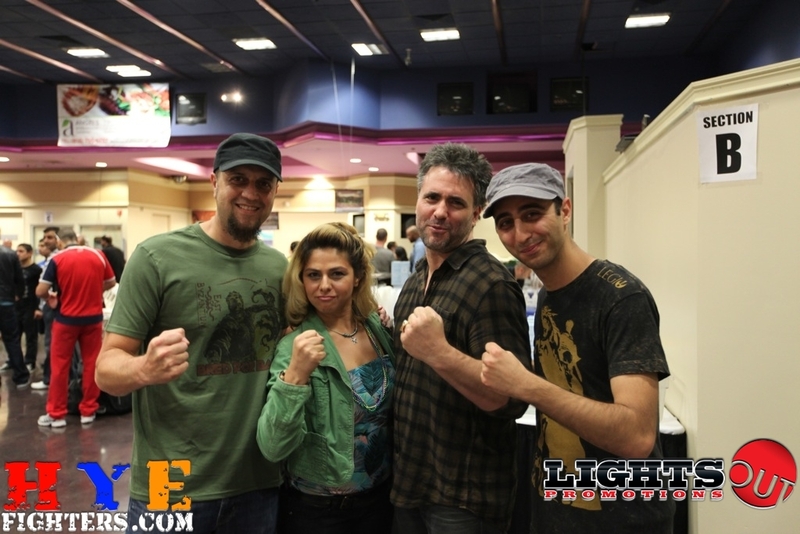 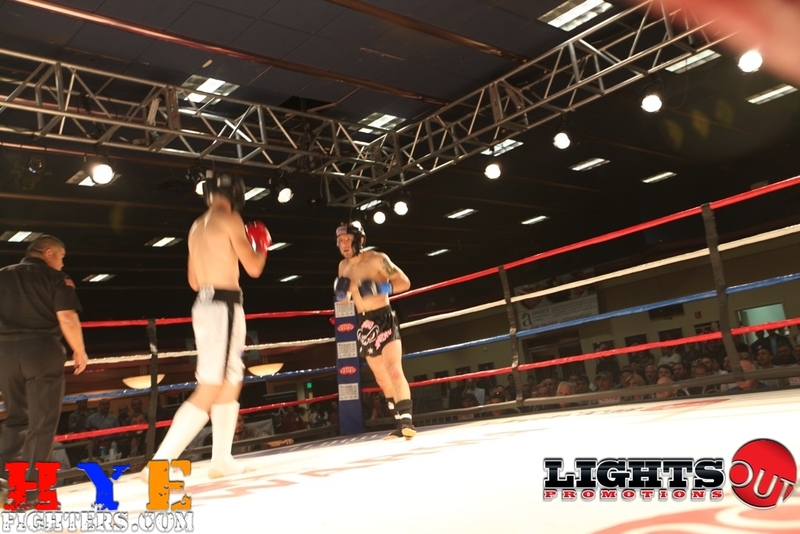 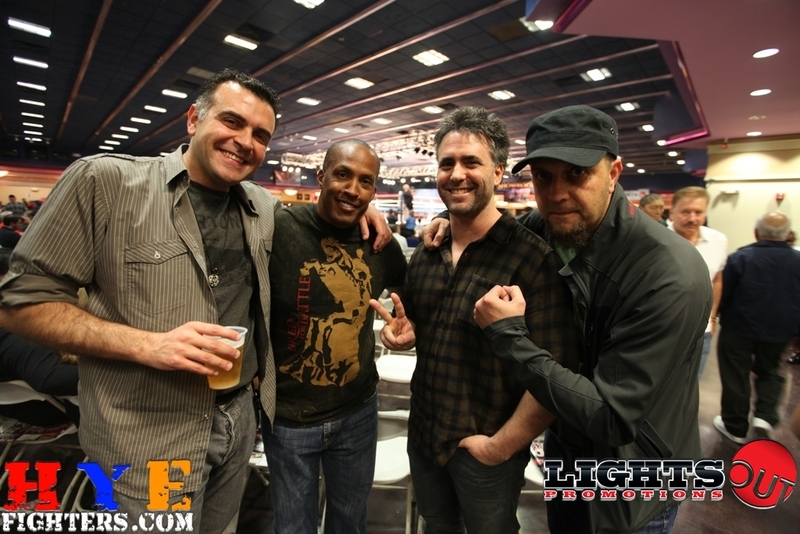 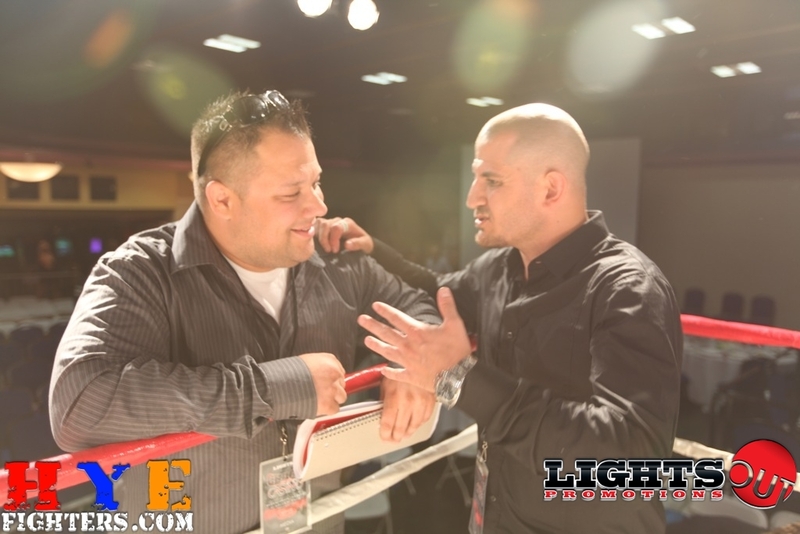 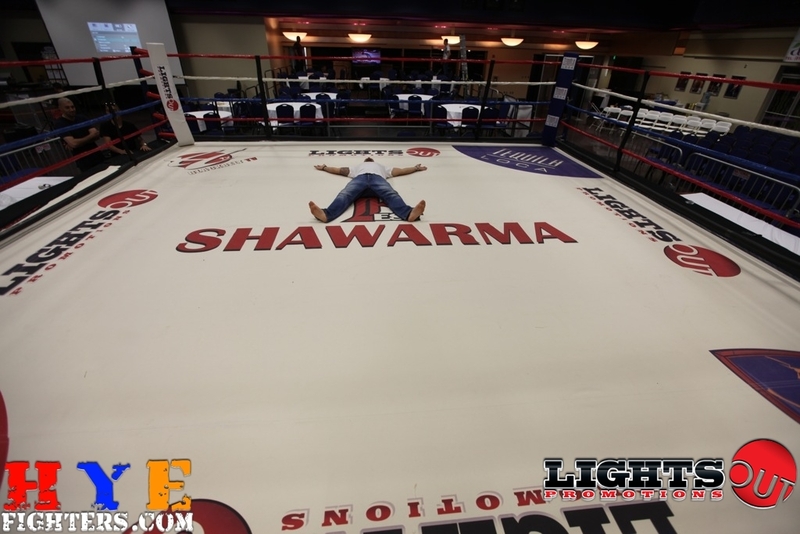 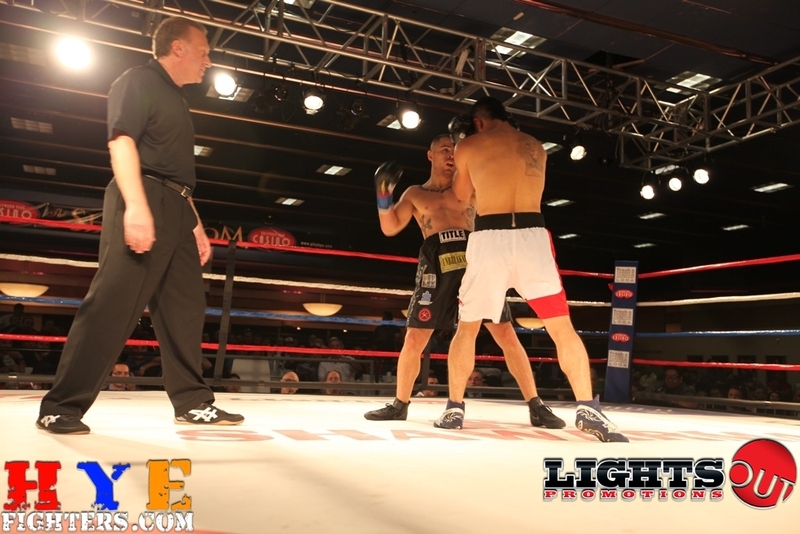 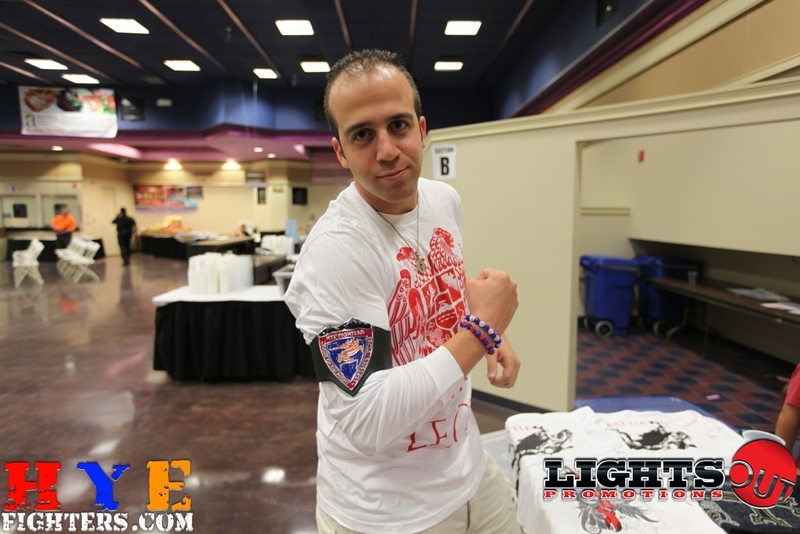 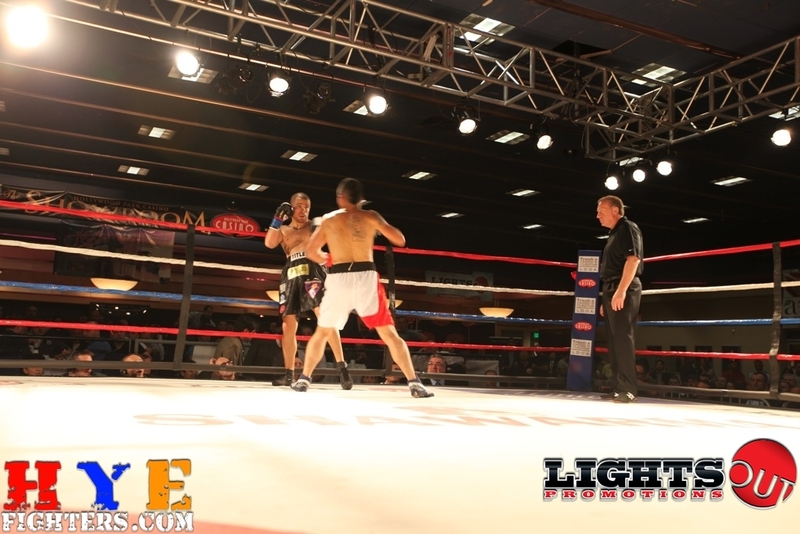 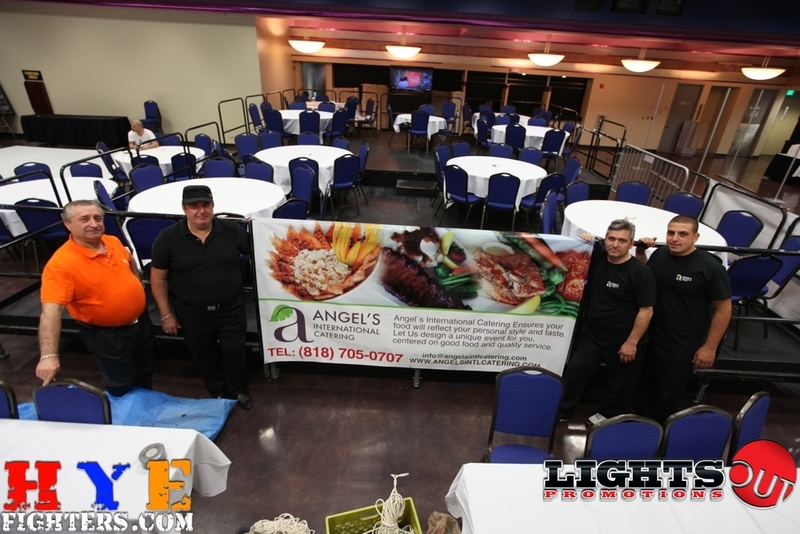 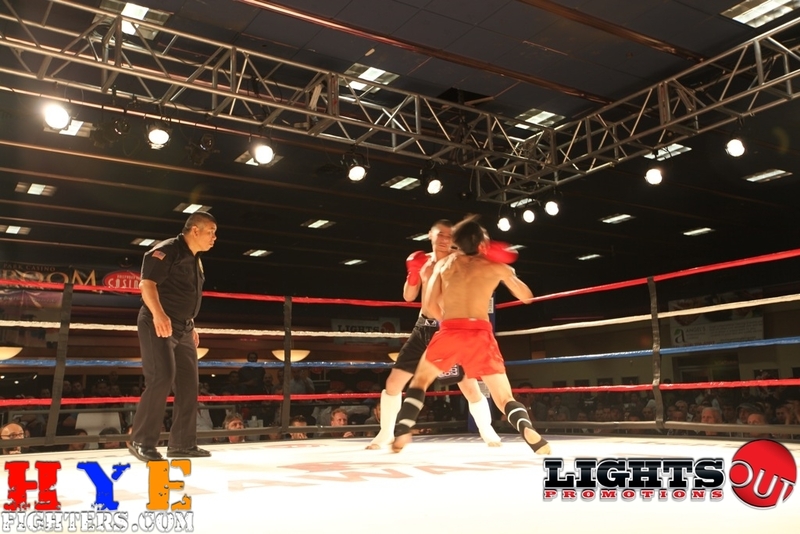 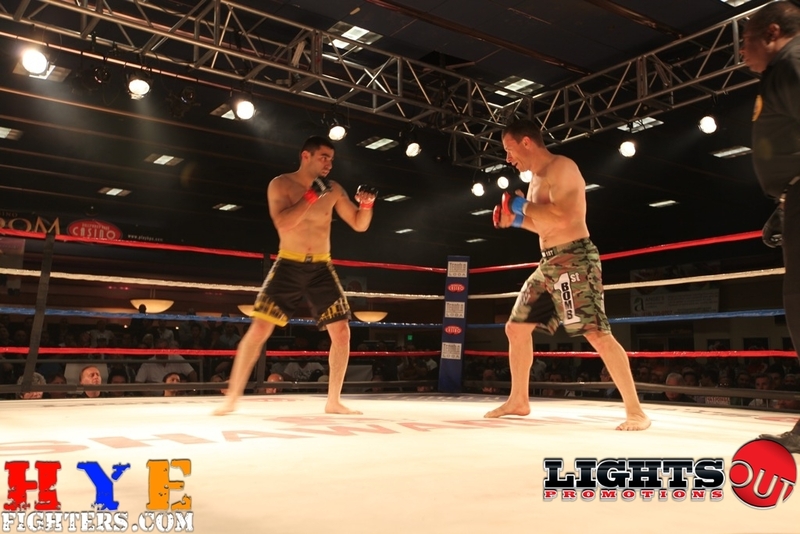 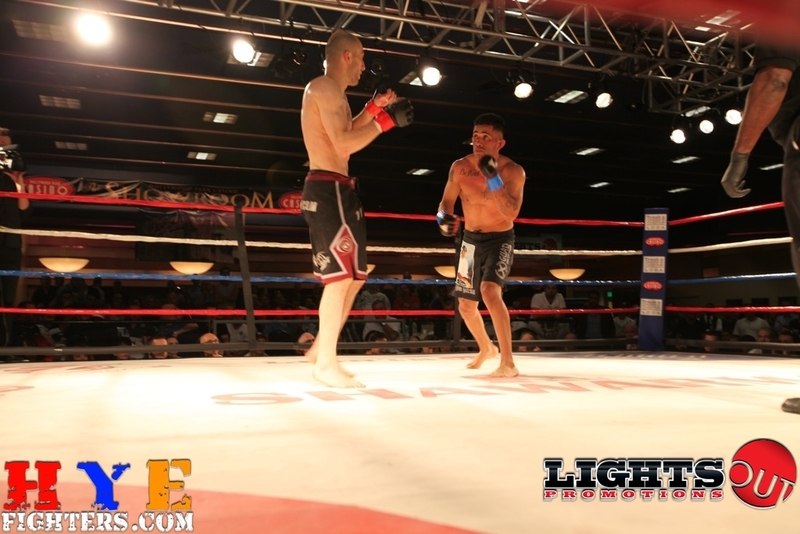 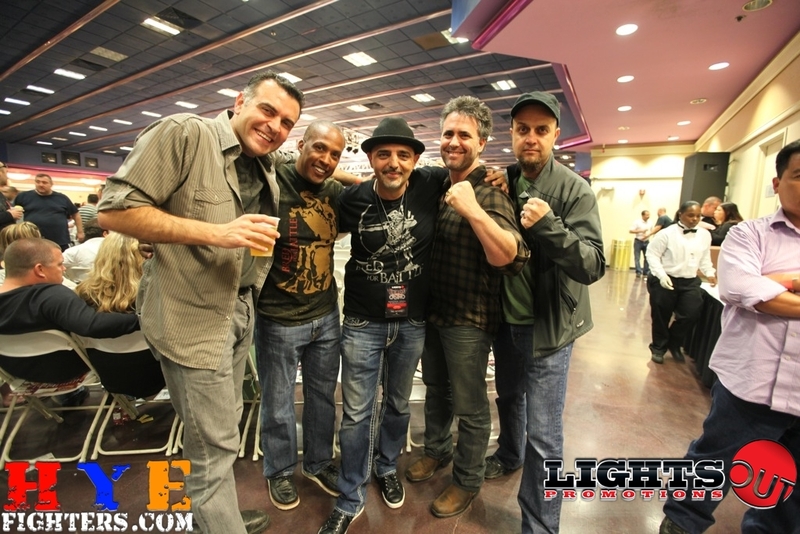 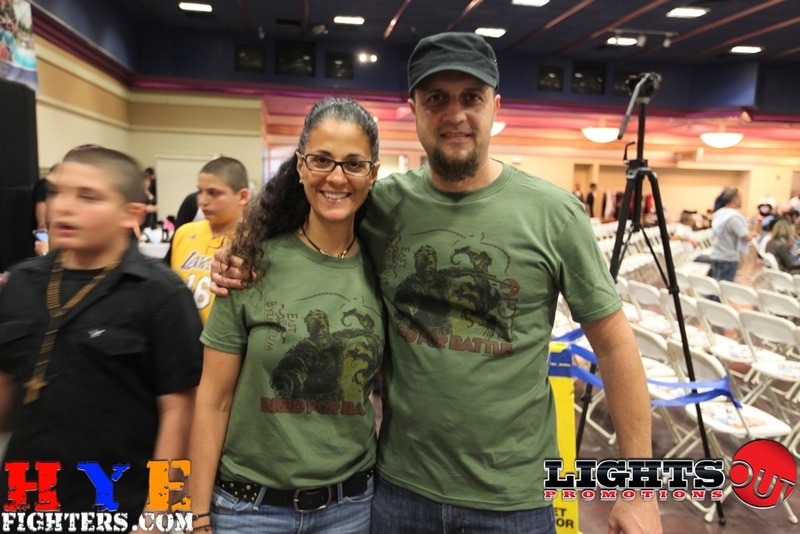 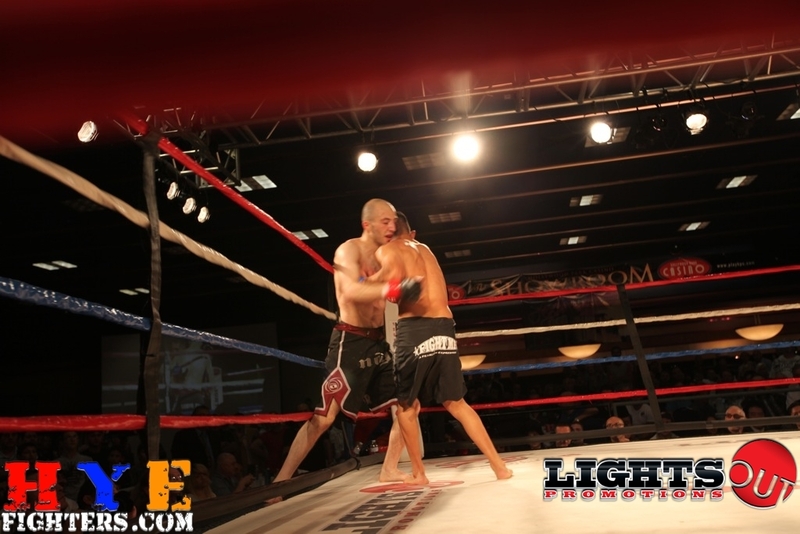 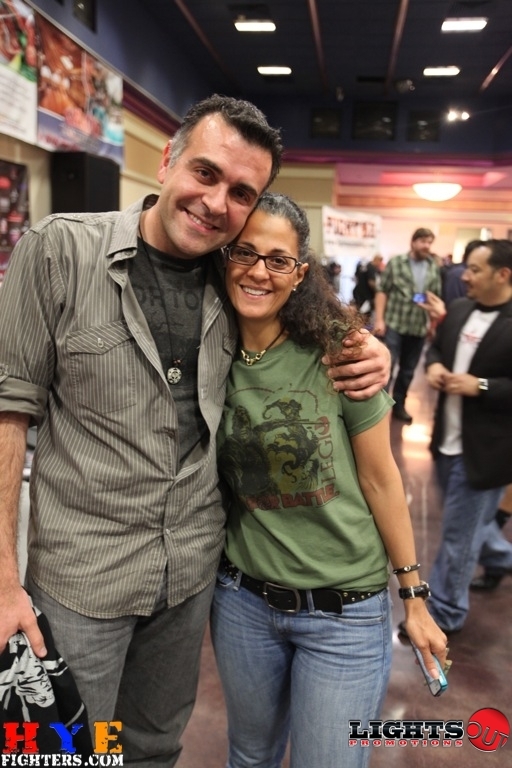 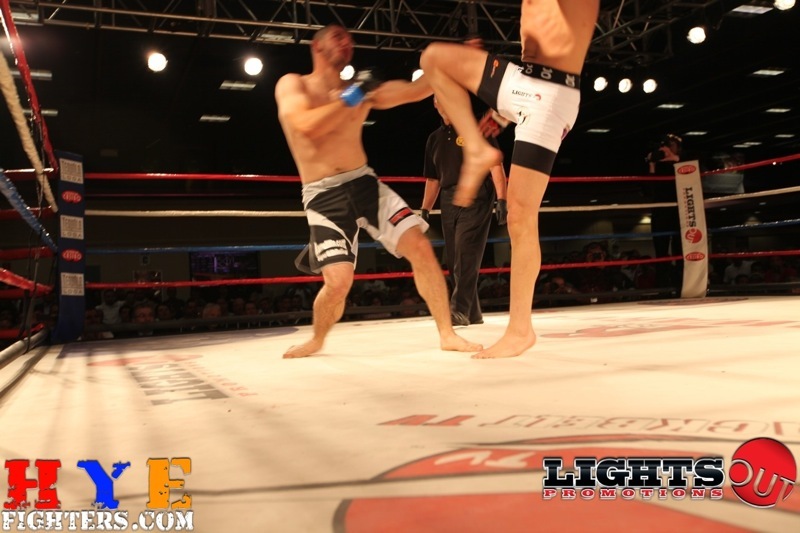 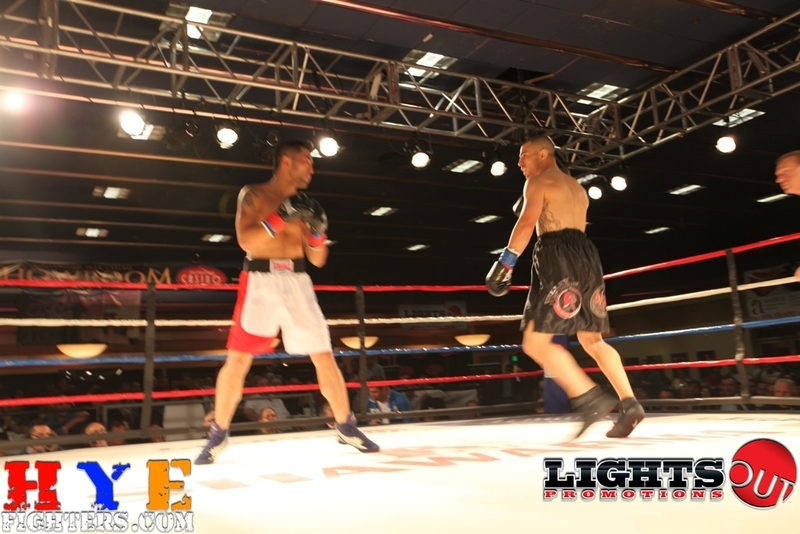 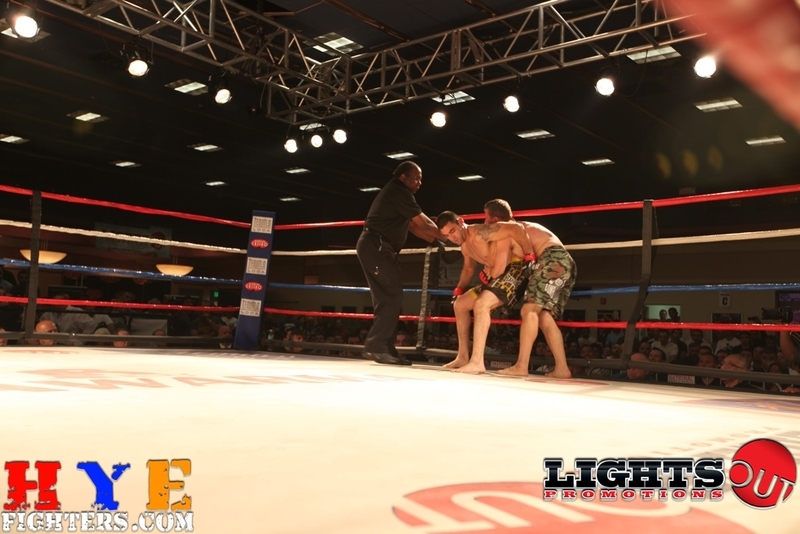 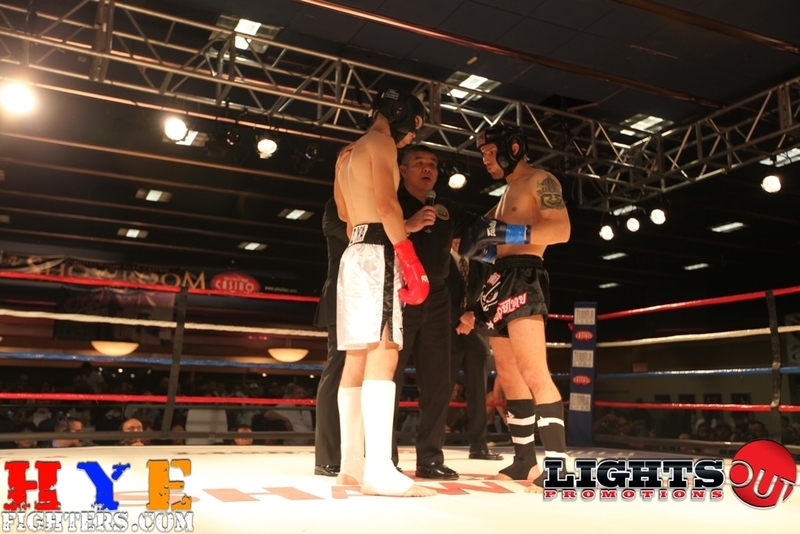 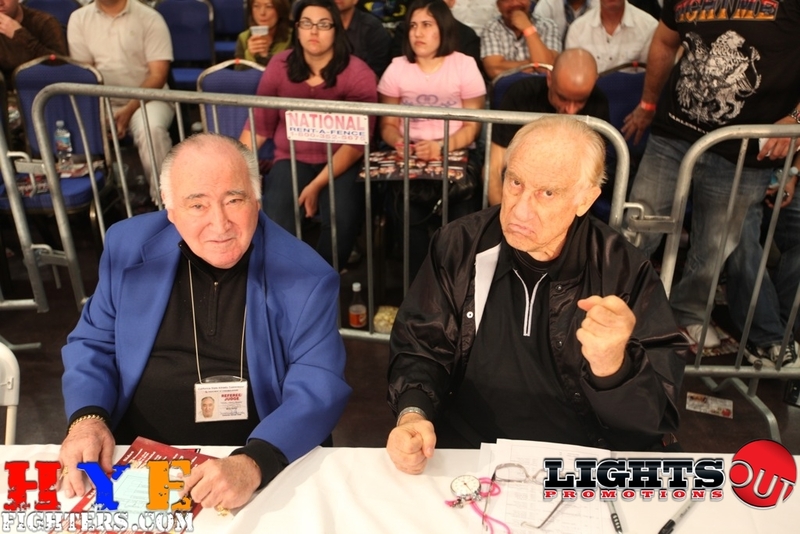 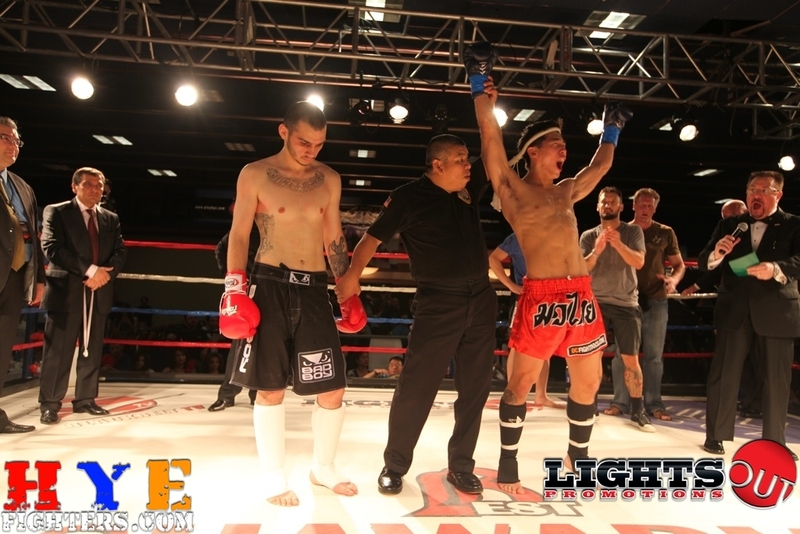 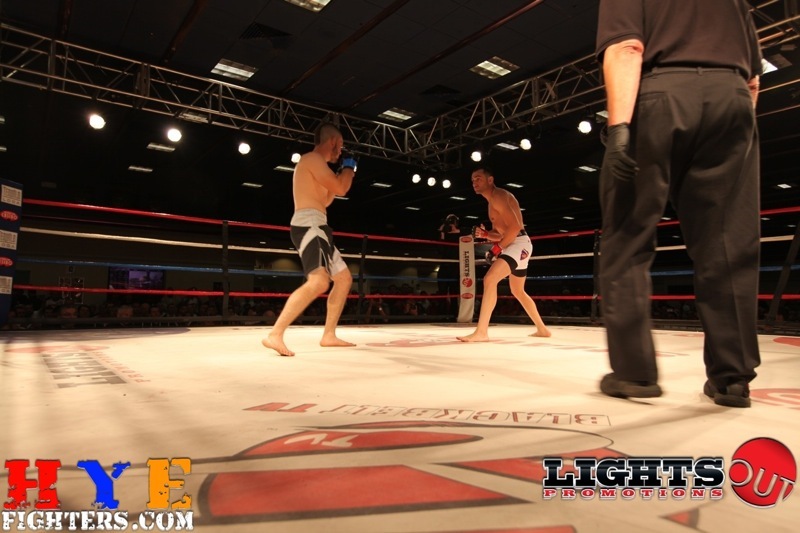 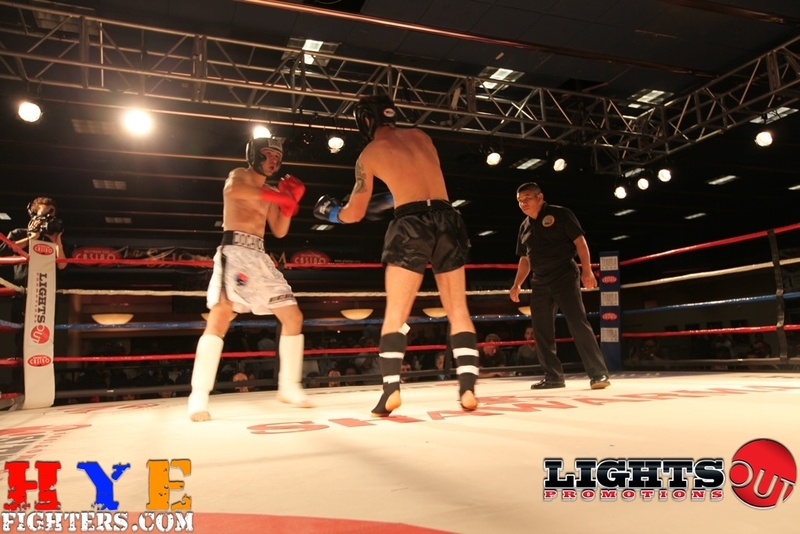 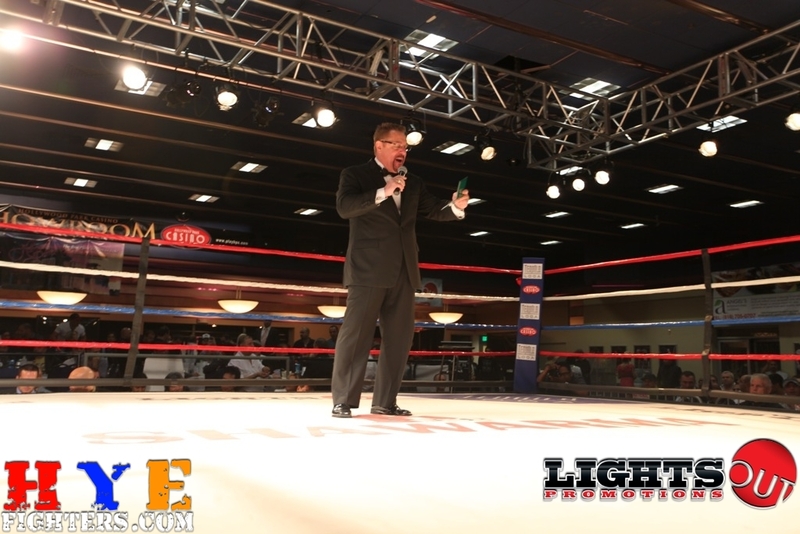 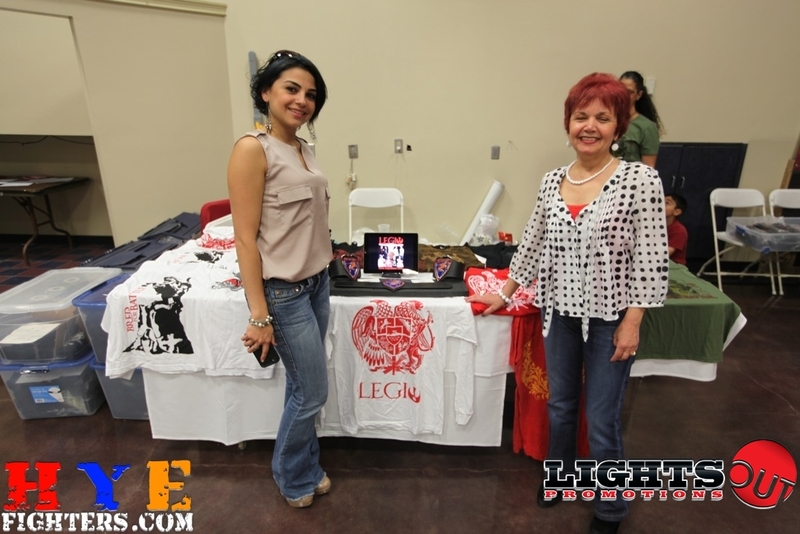 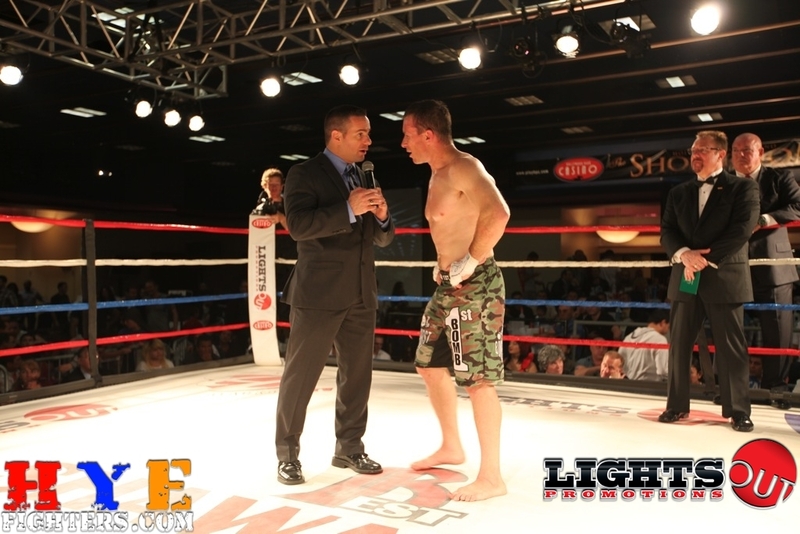 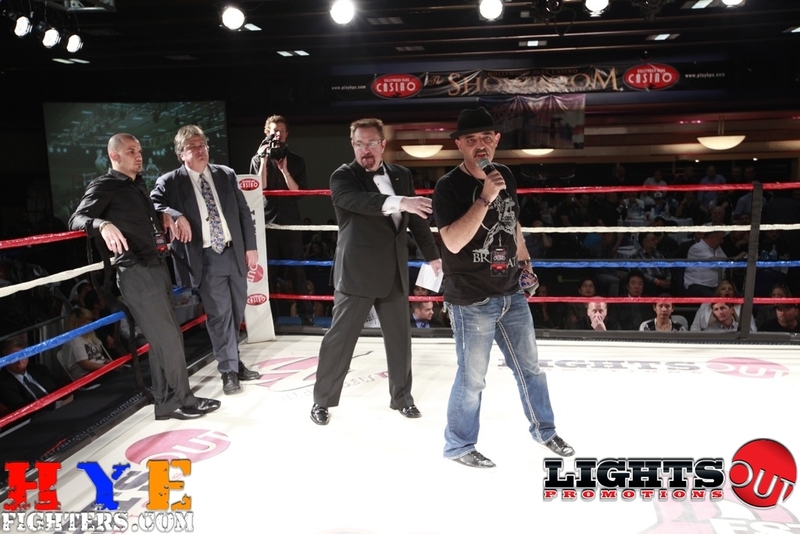 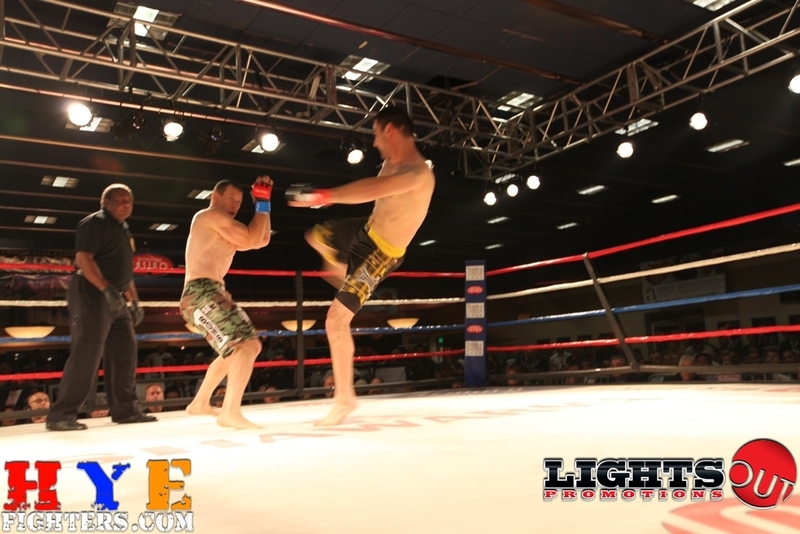 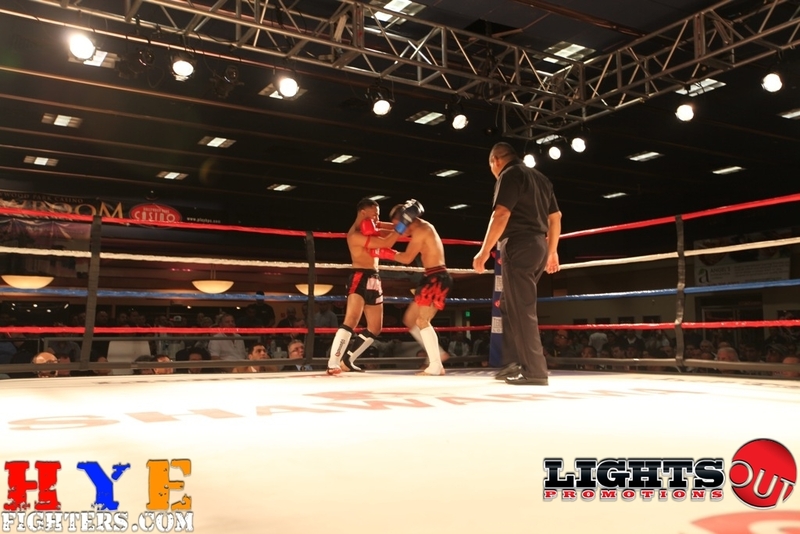 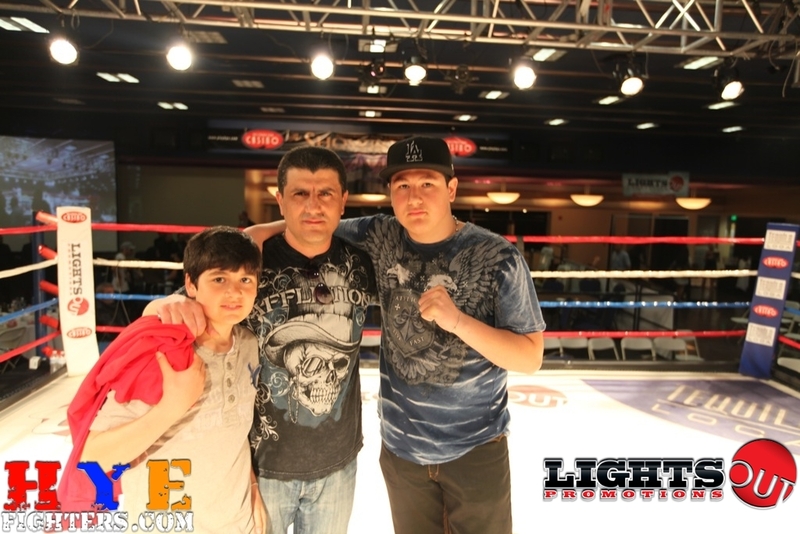 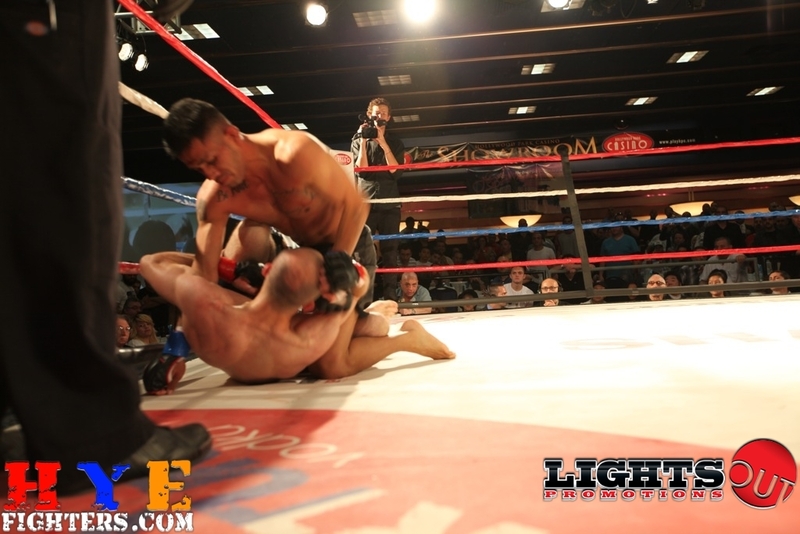 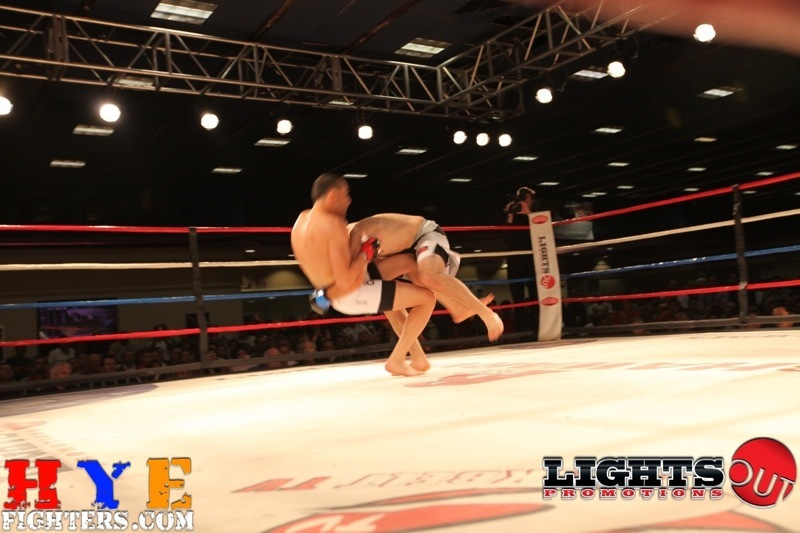 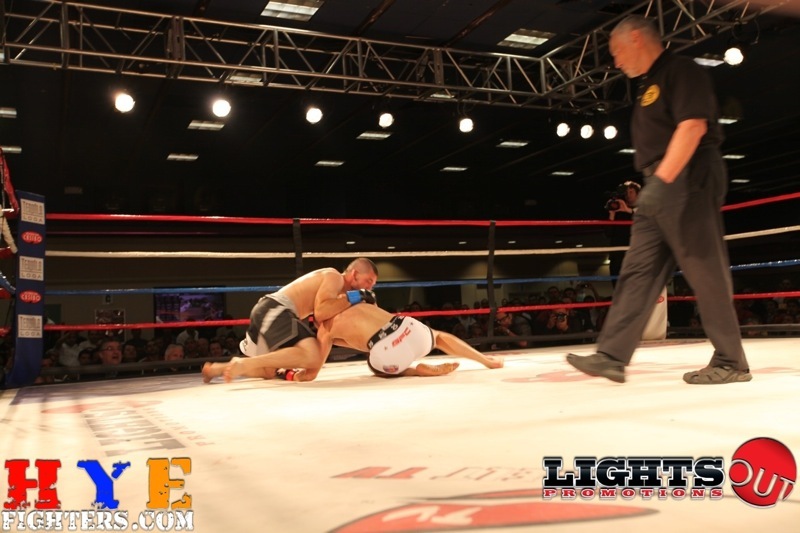 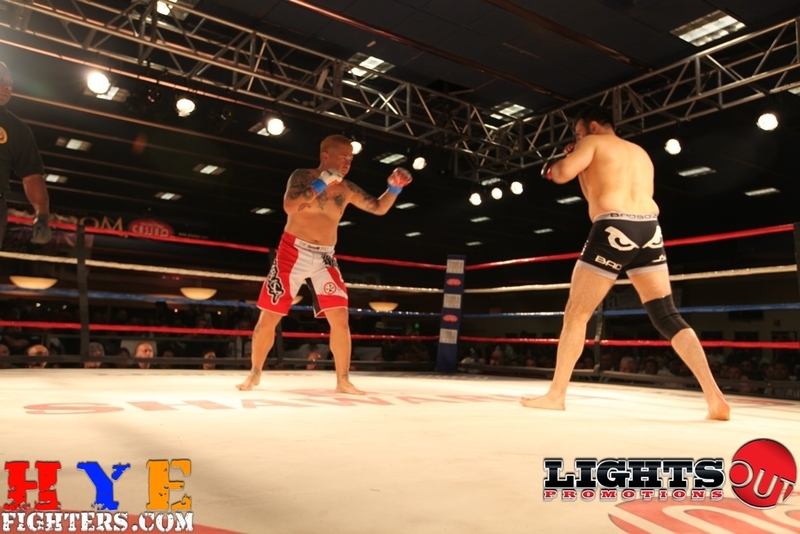 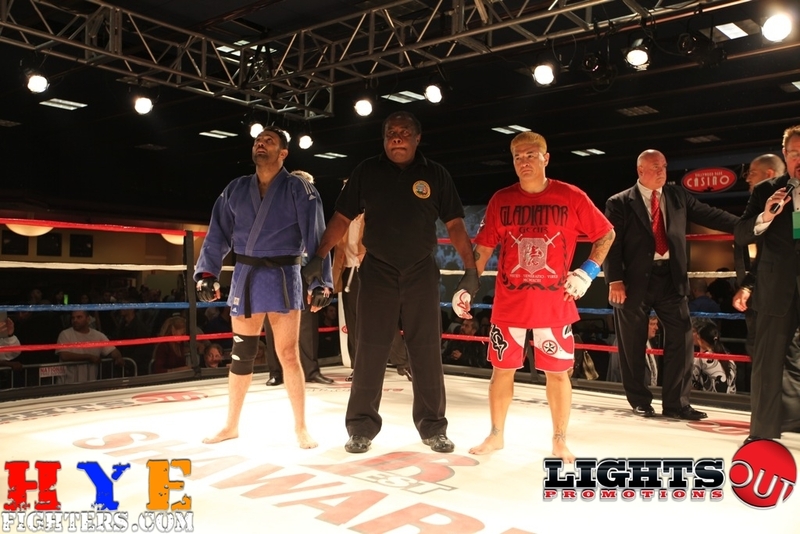 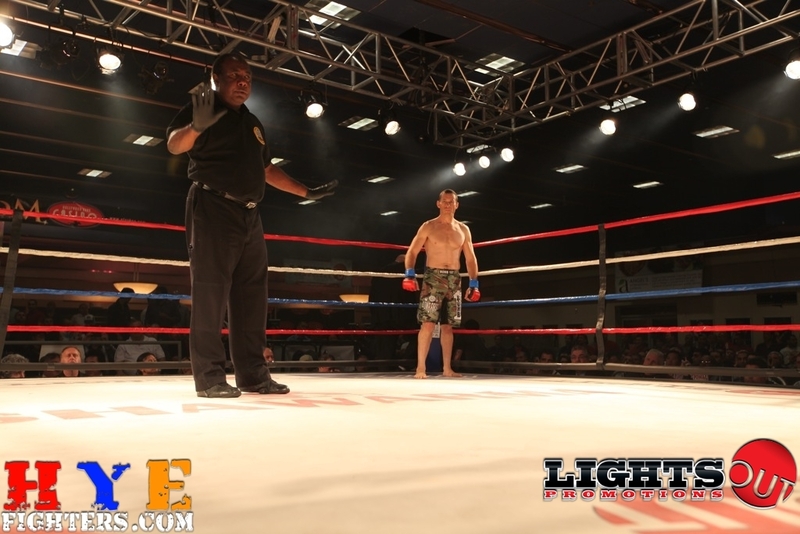 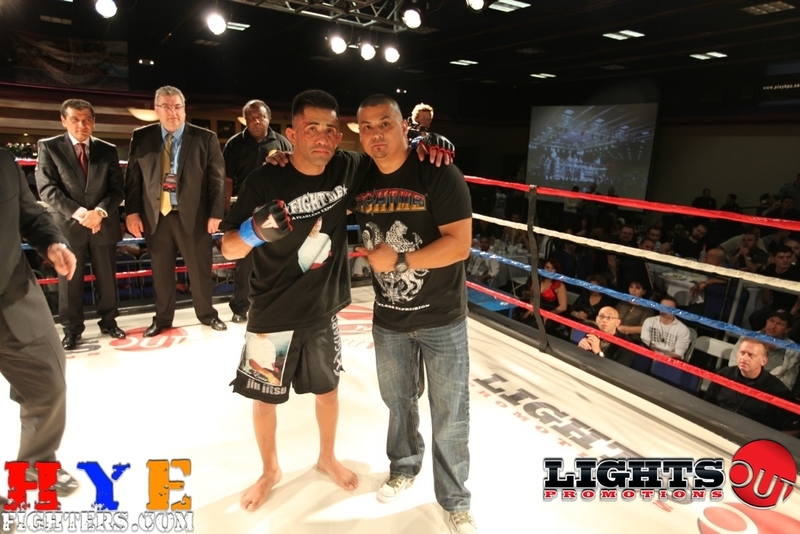 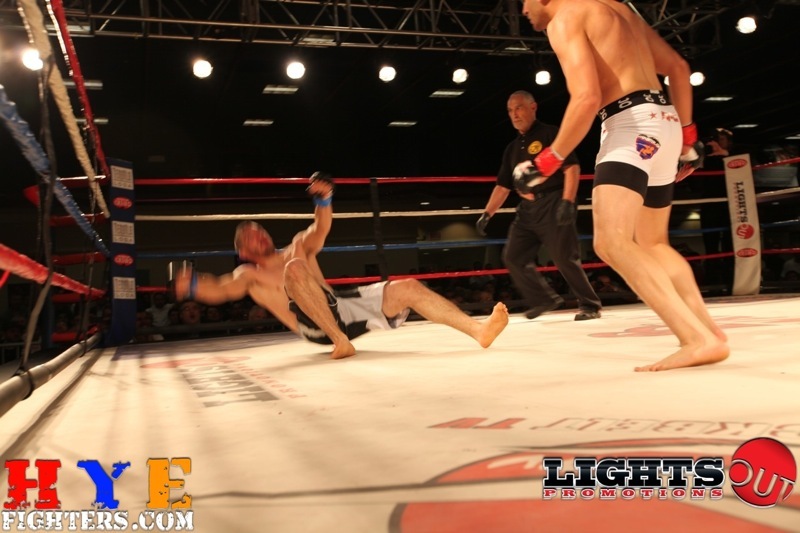 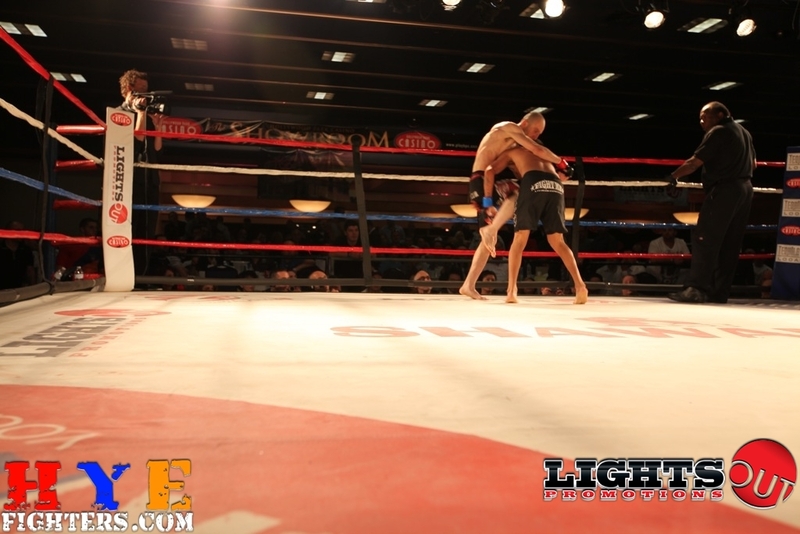 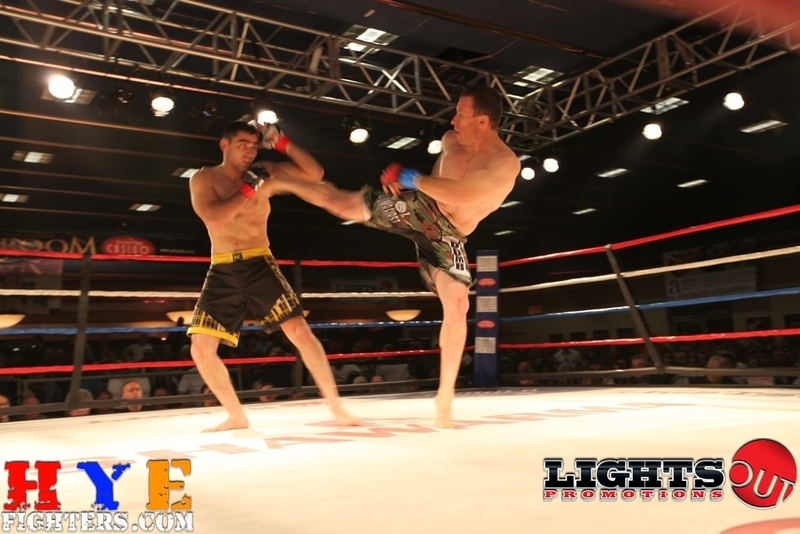 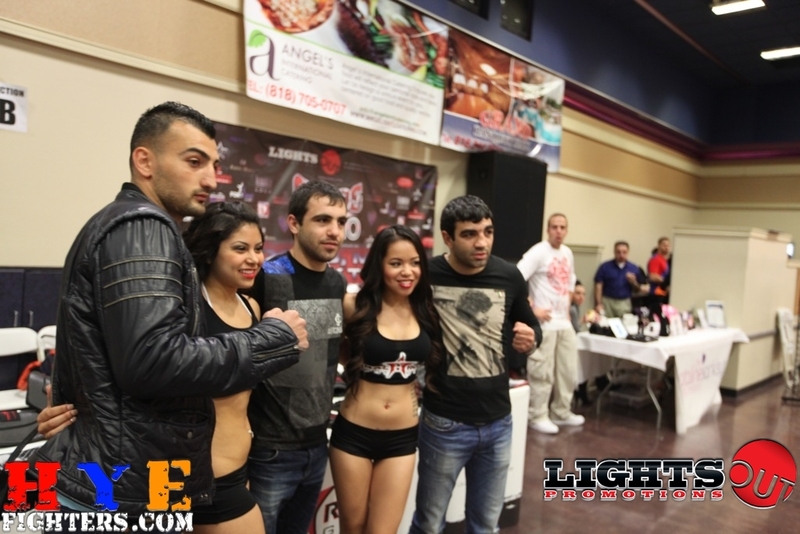 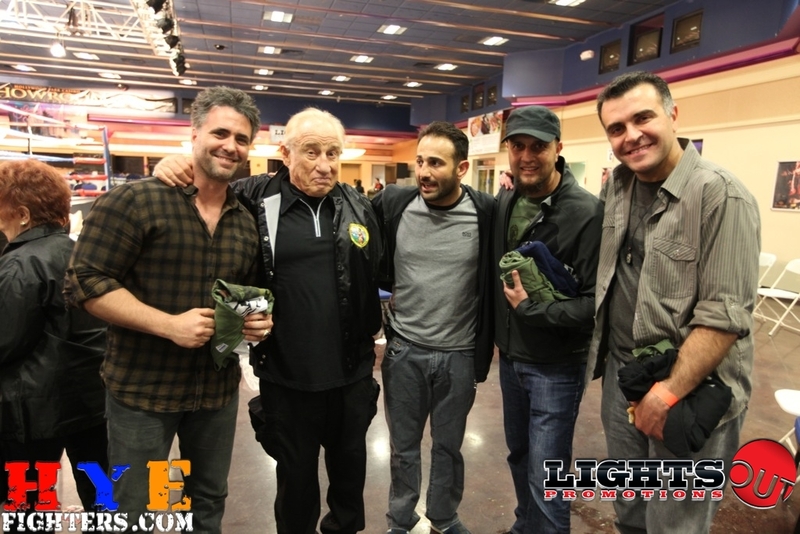 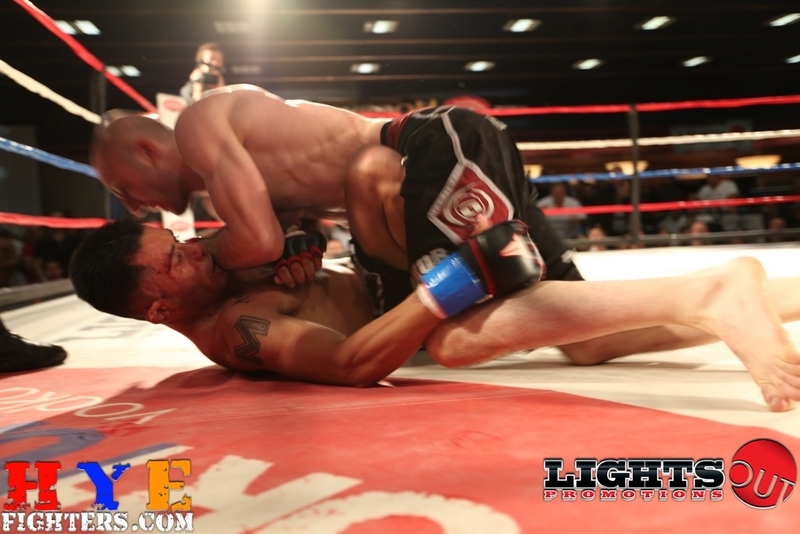 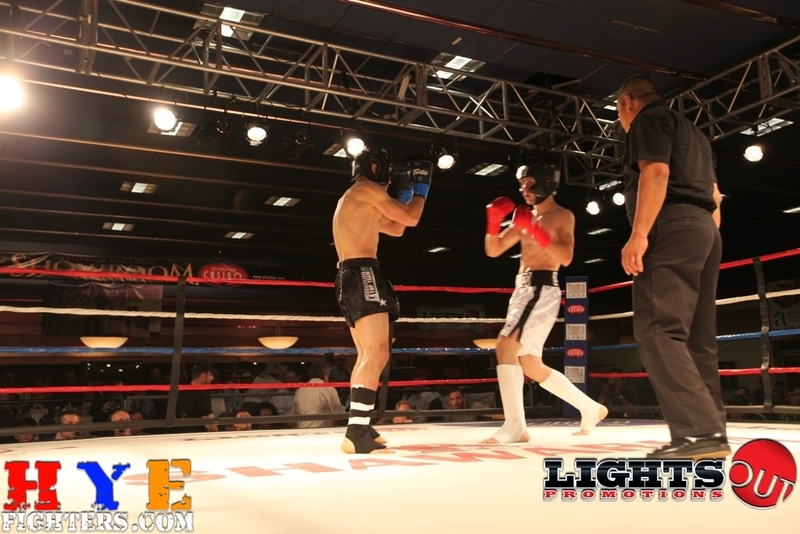 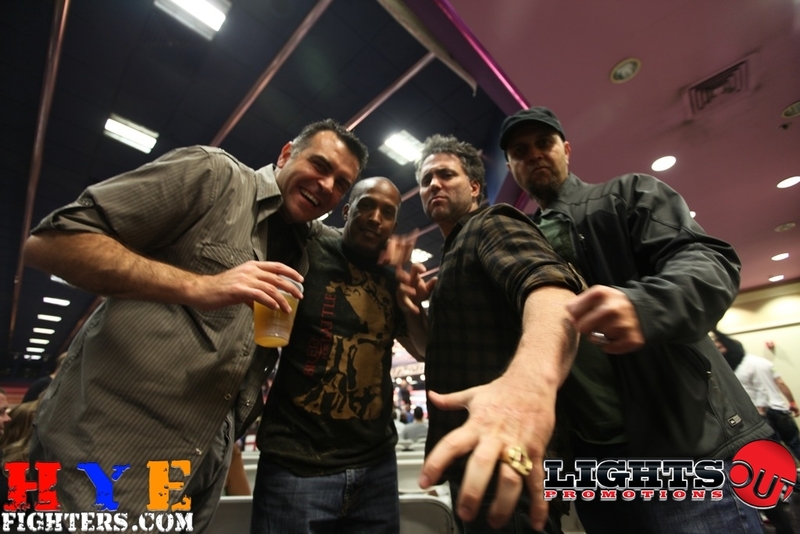 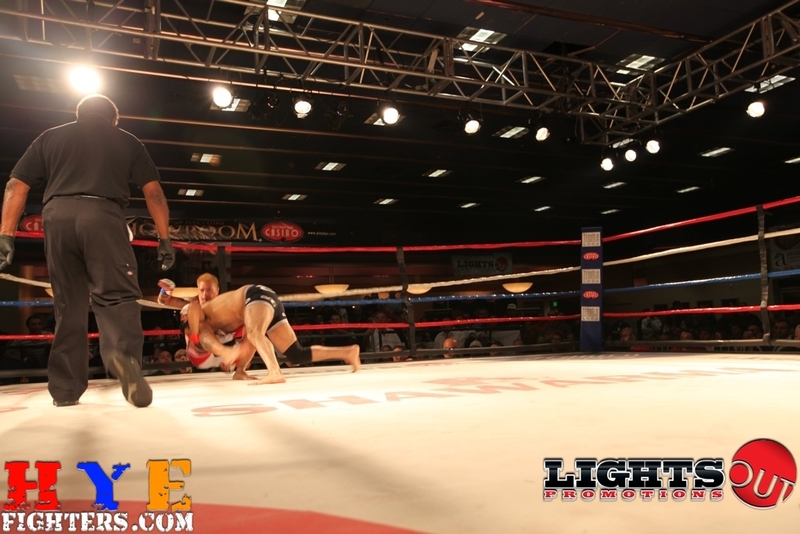 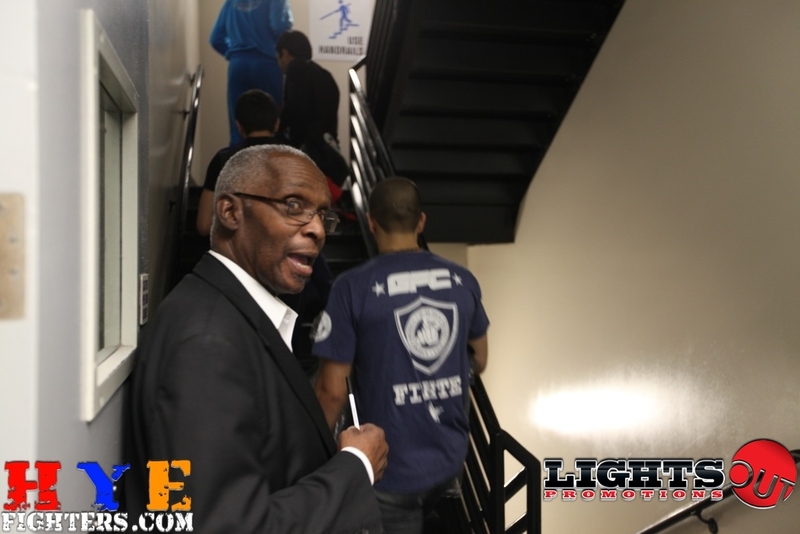 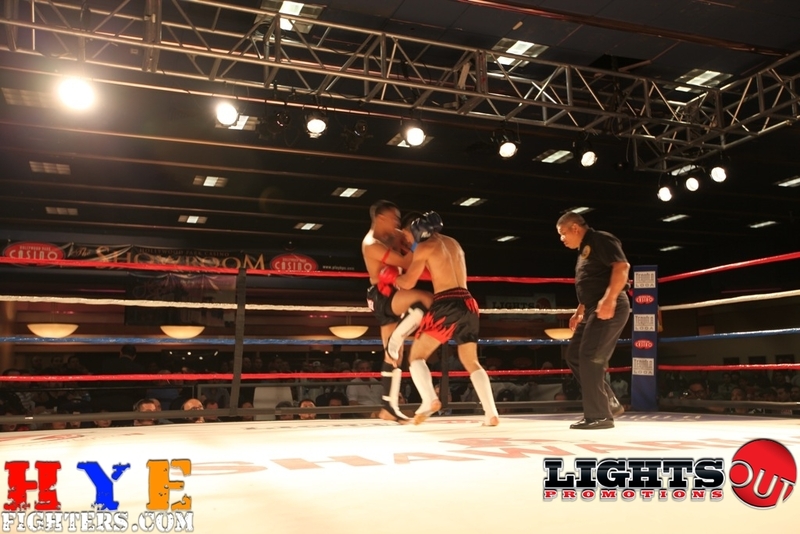 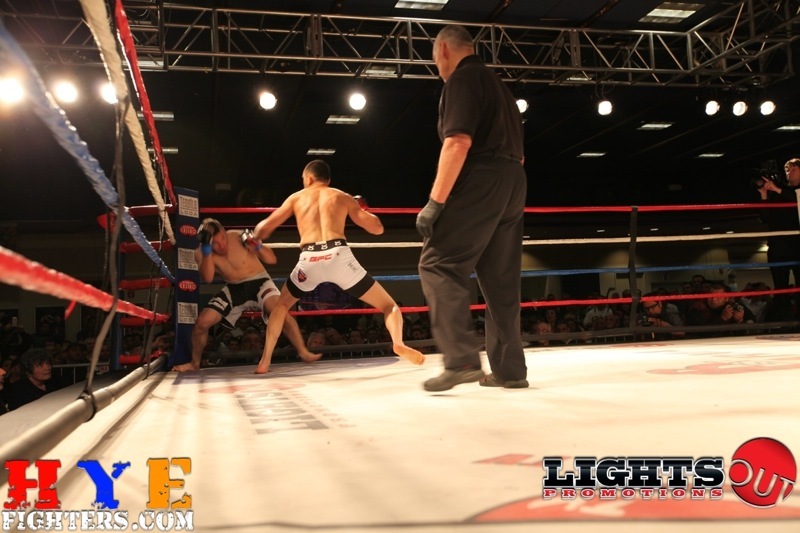 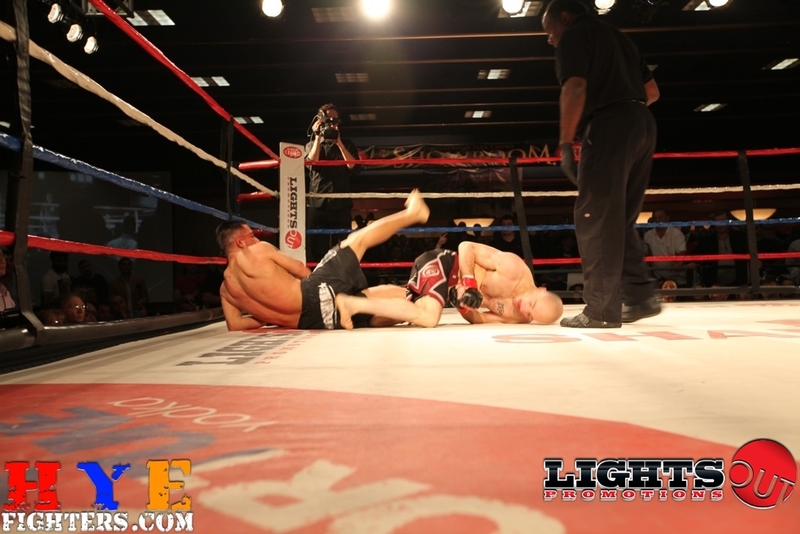 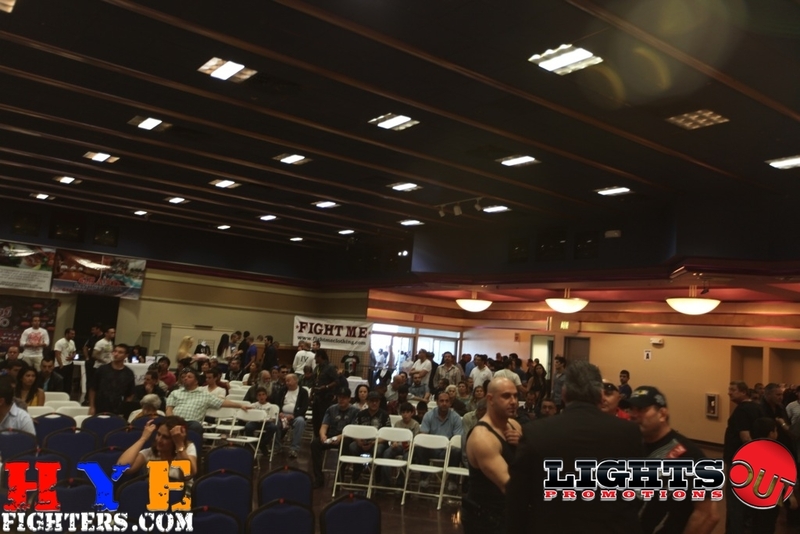 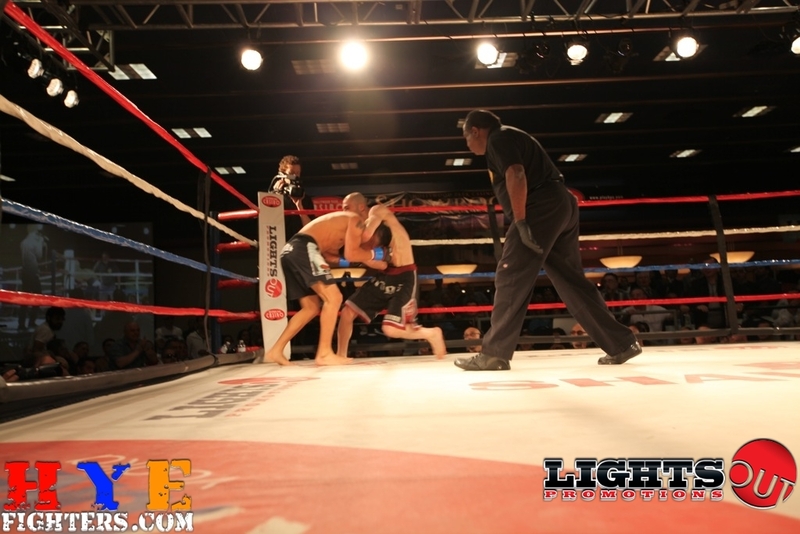 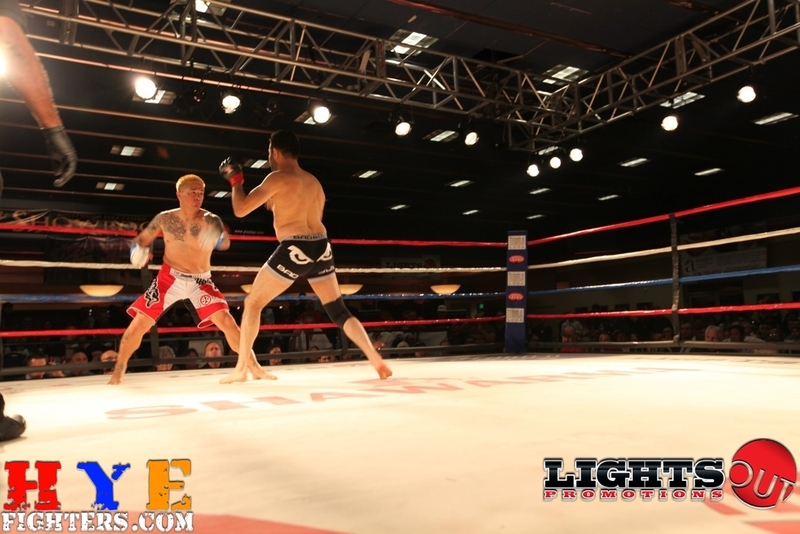 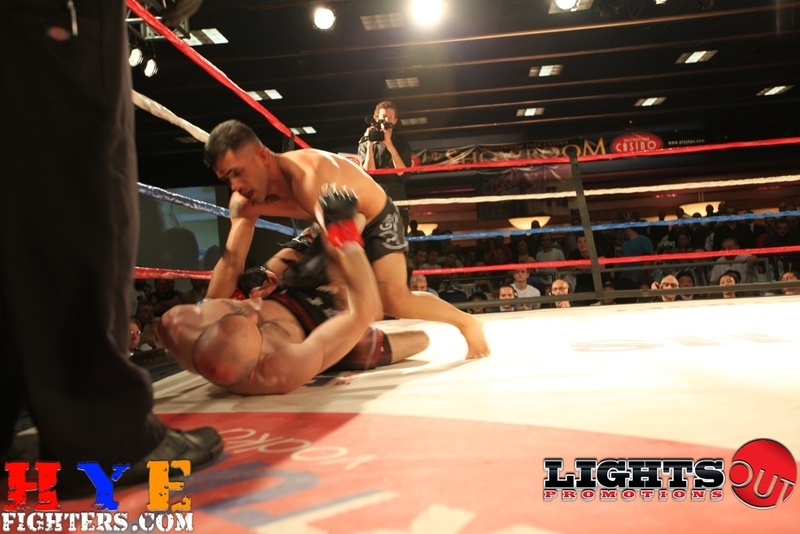 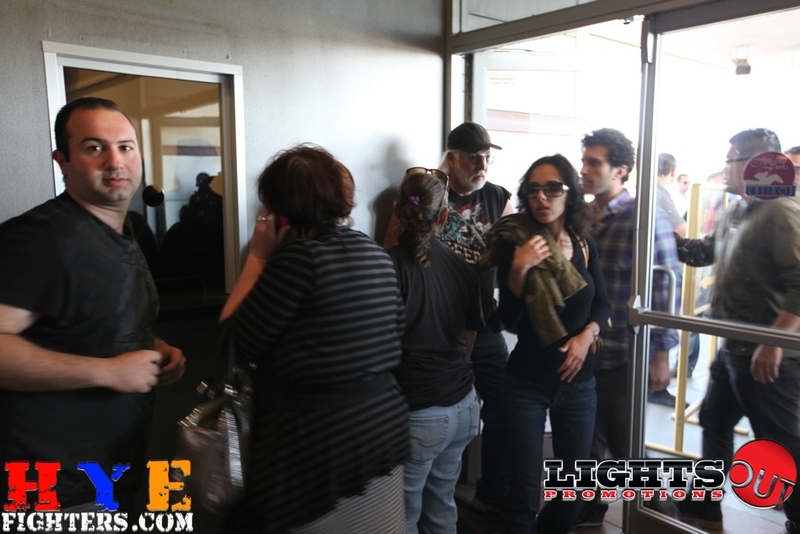 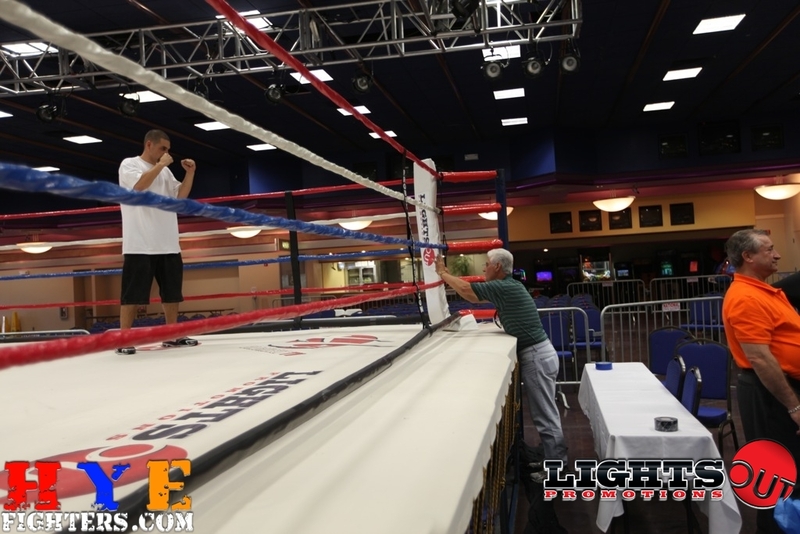 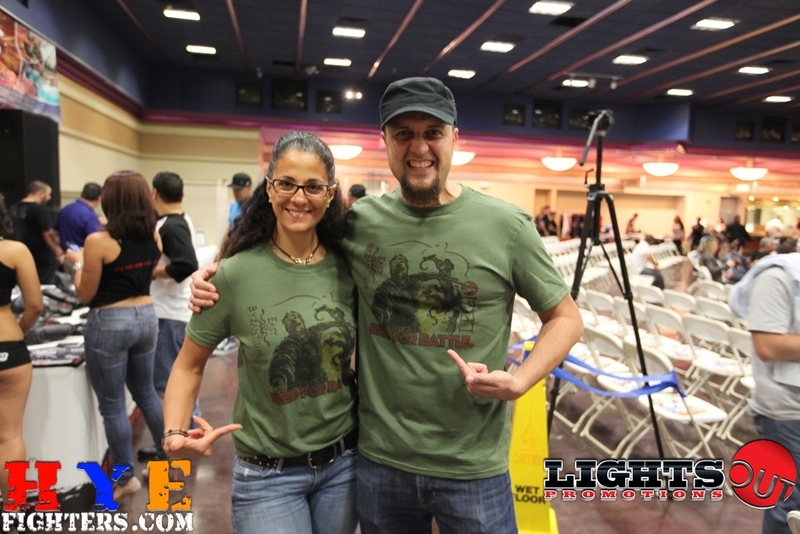 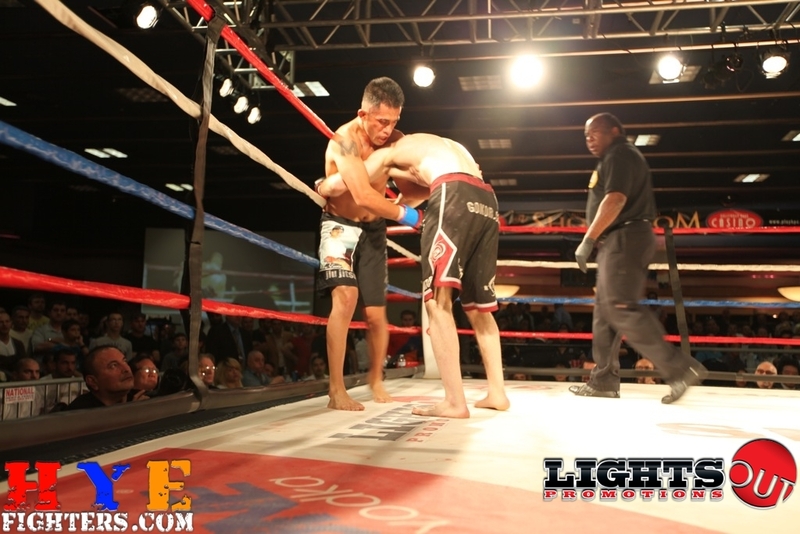 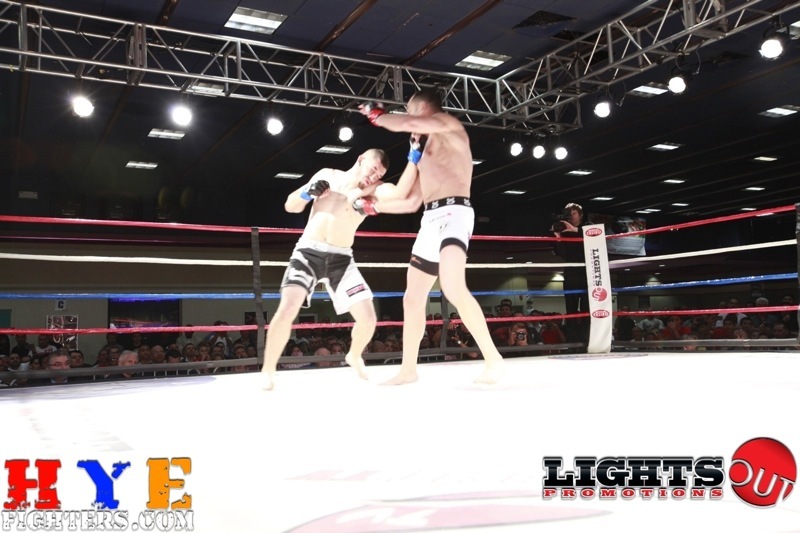 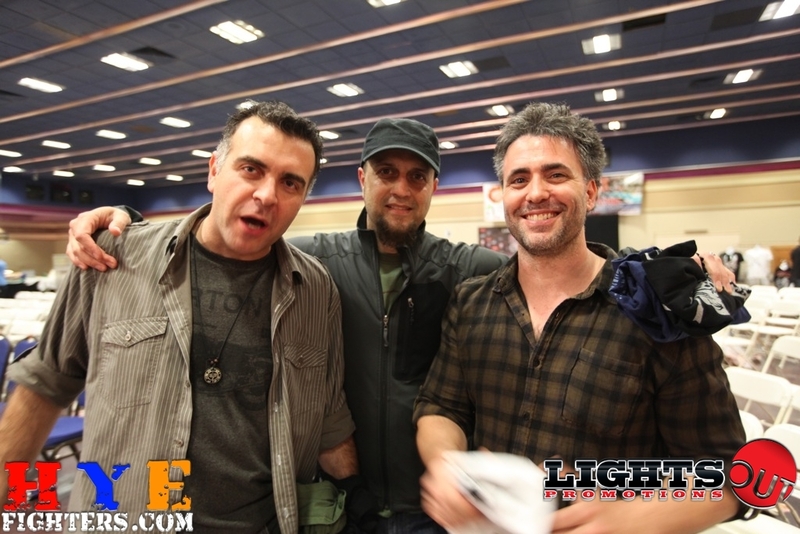 All in all, the night was a great success and the fights kept everyone entertained from beginning to end. 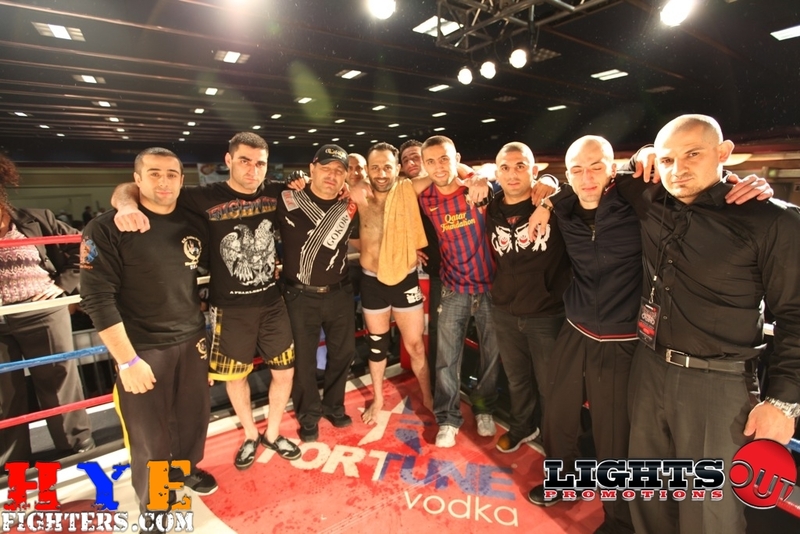 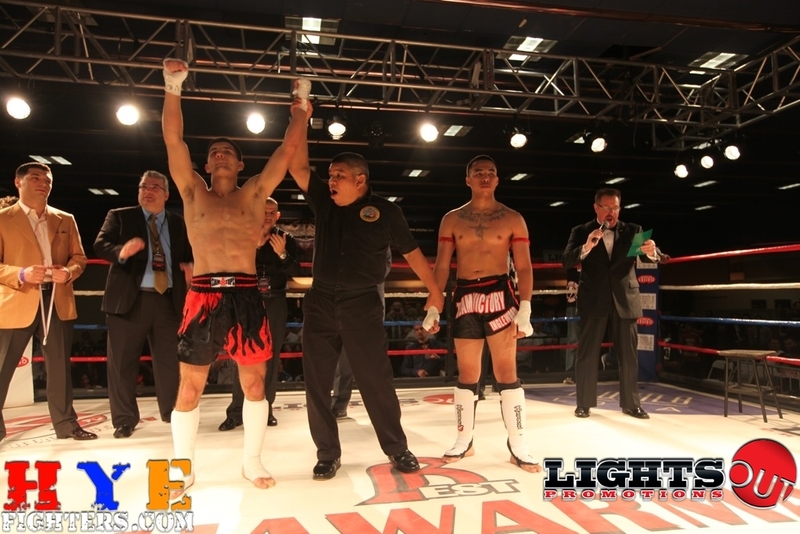 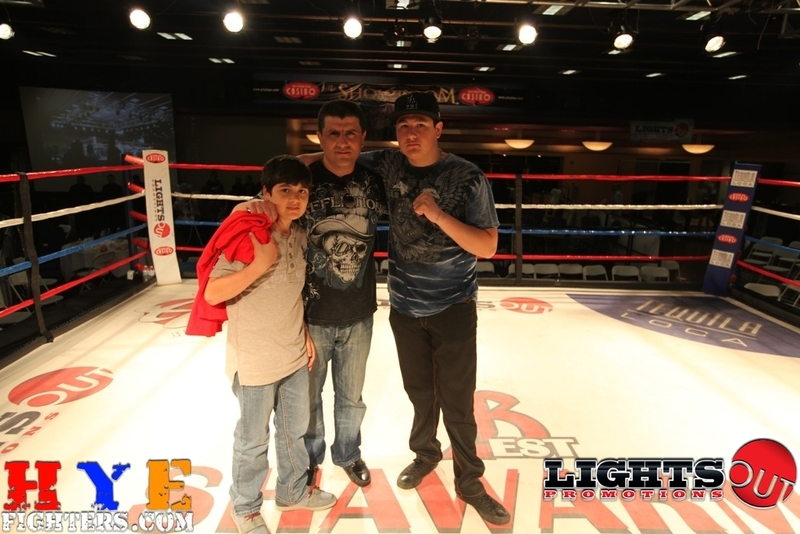 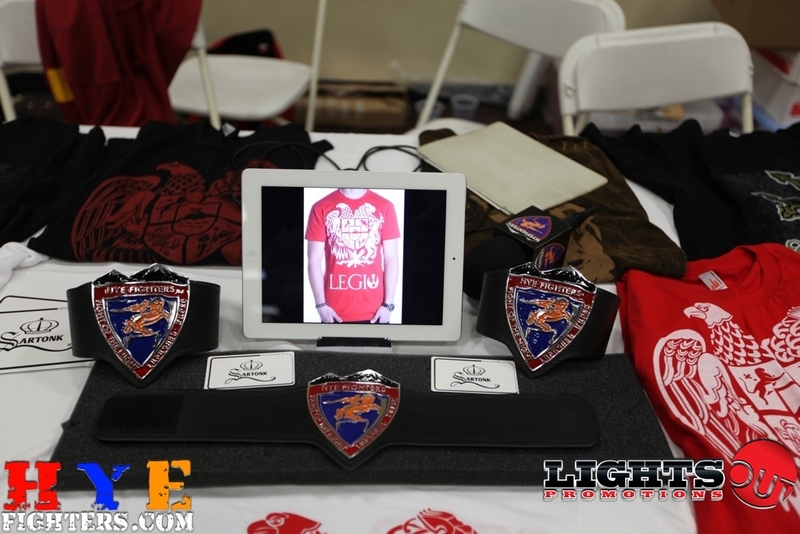 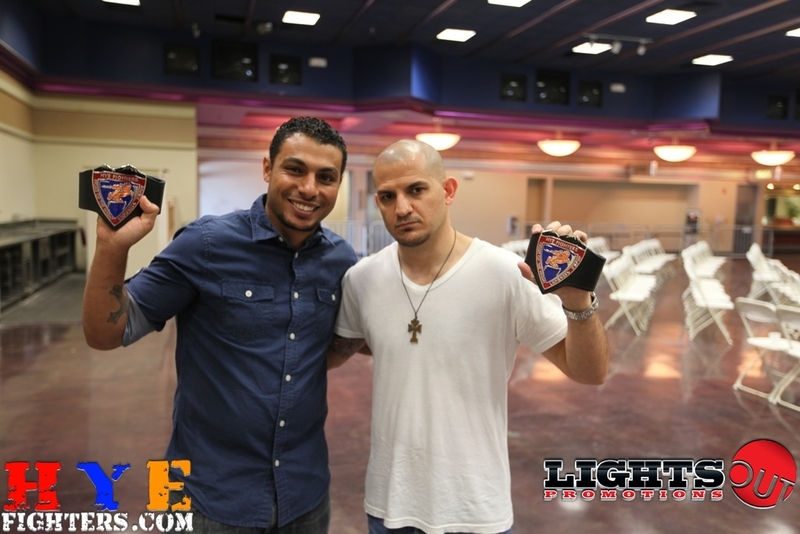 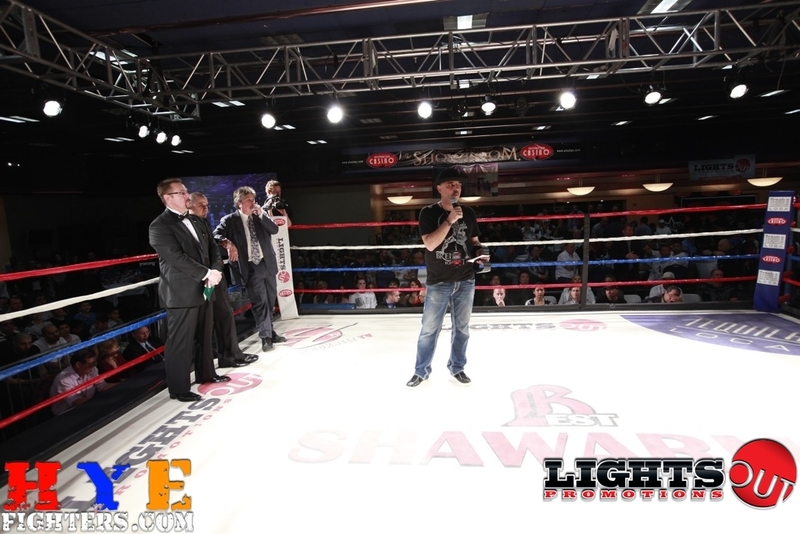 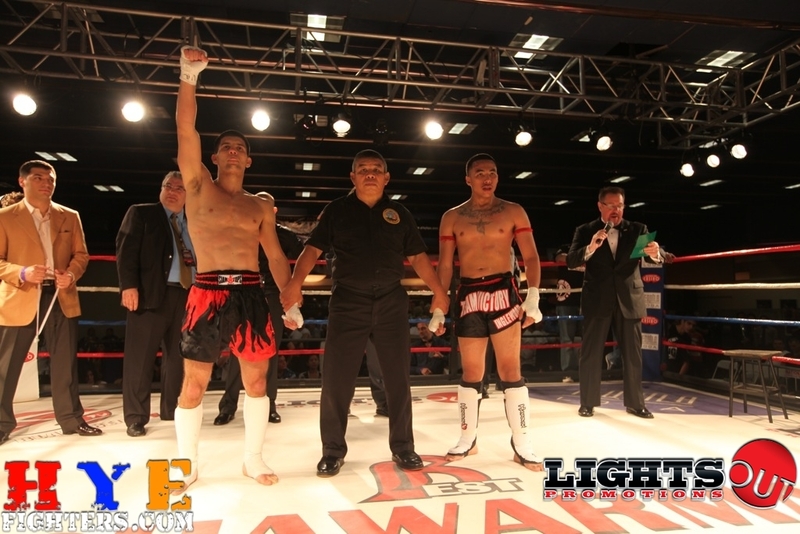 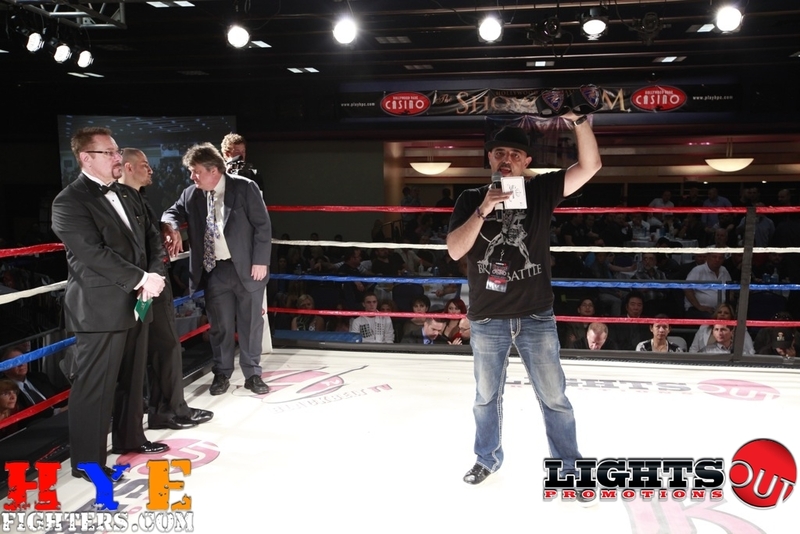 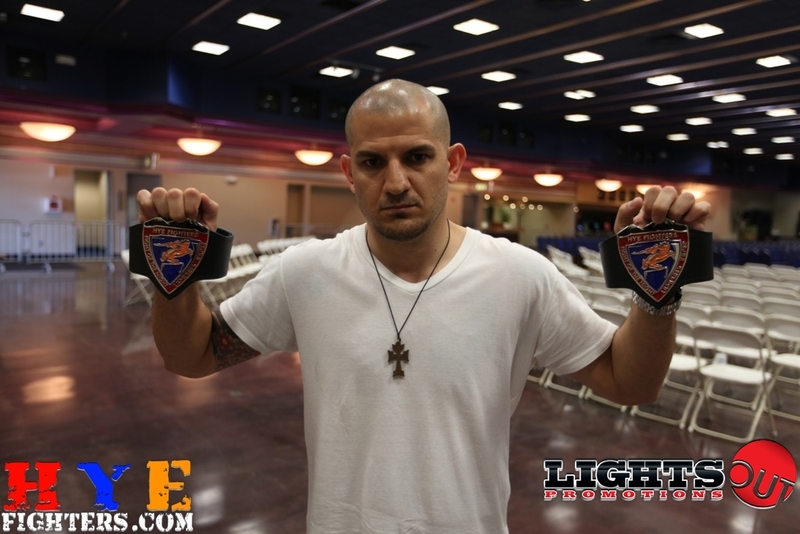 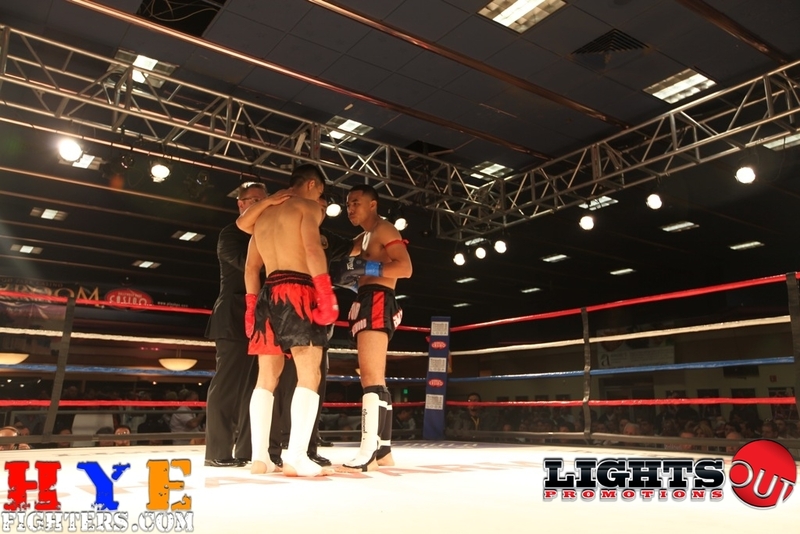 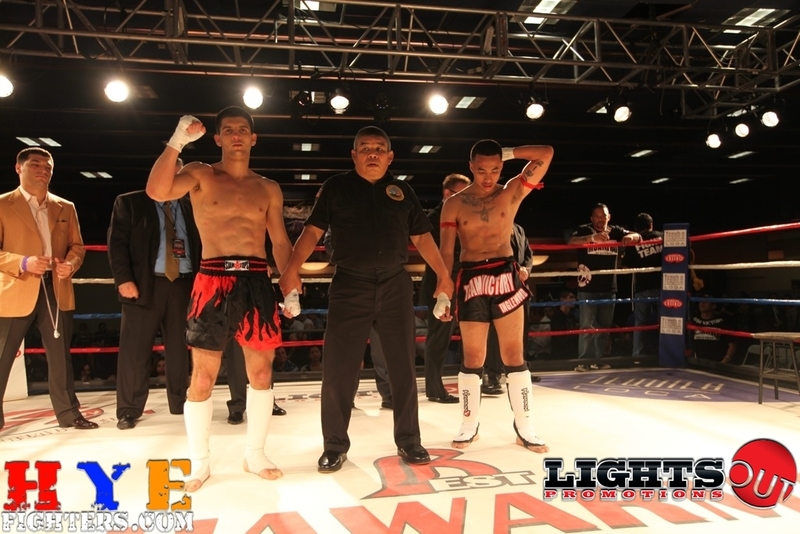 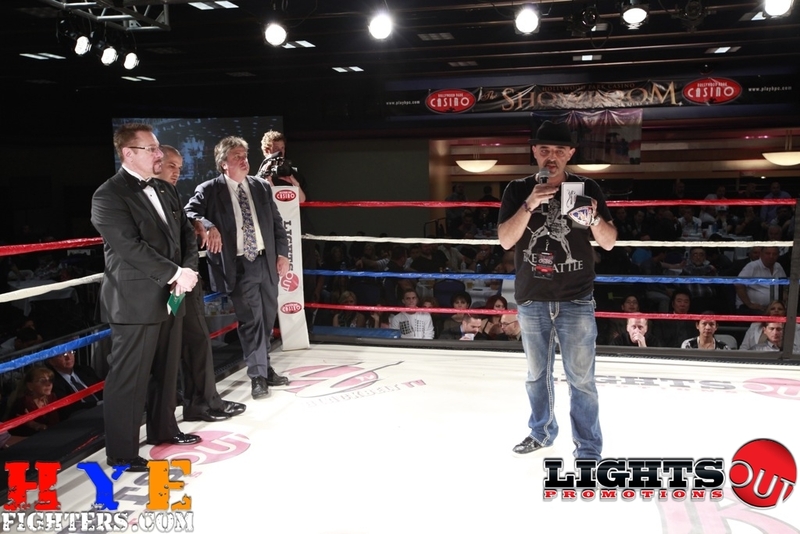 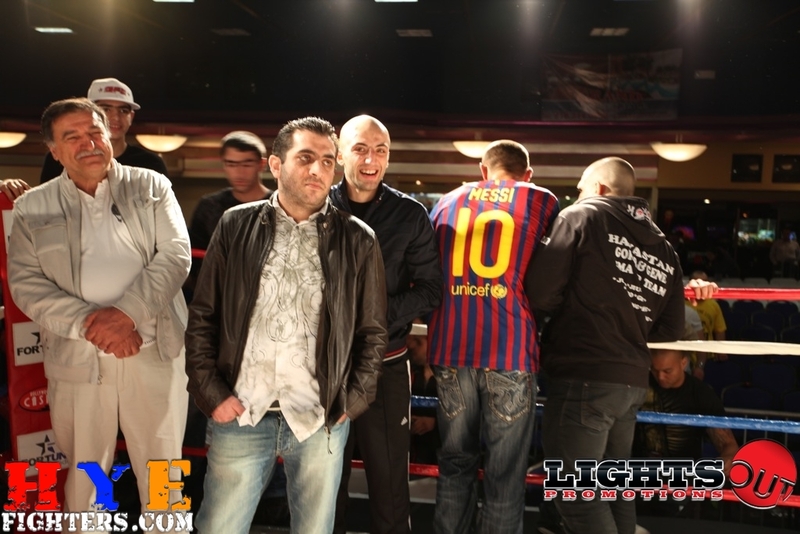 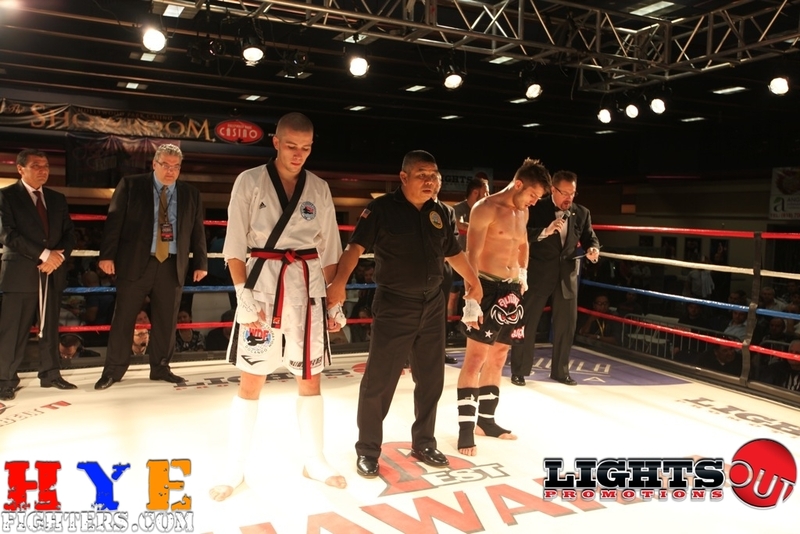 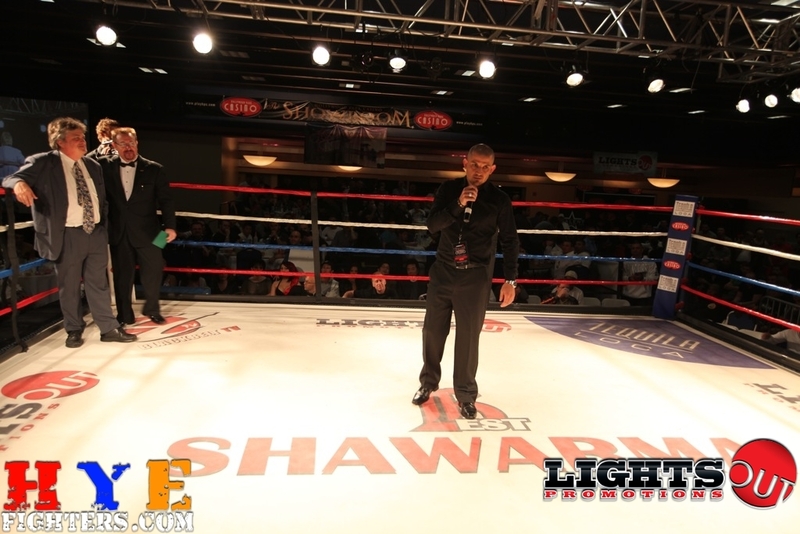 HyeFIghters was very proud to provide 3 Fight Of The Night awards, 1 for Boxing, 1 for MMA and 1 for Muay Thai. 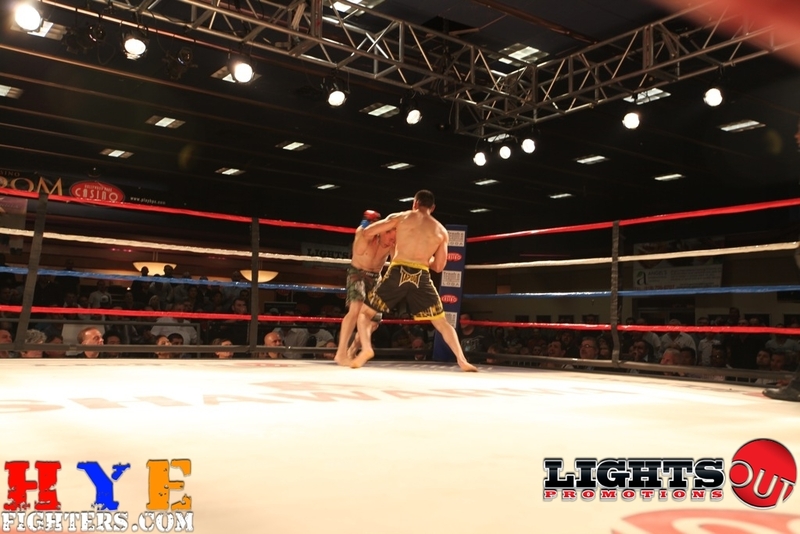 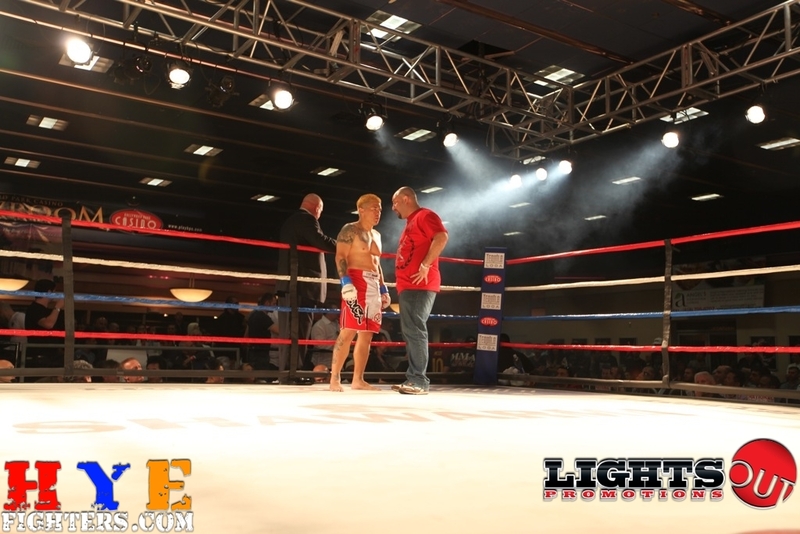 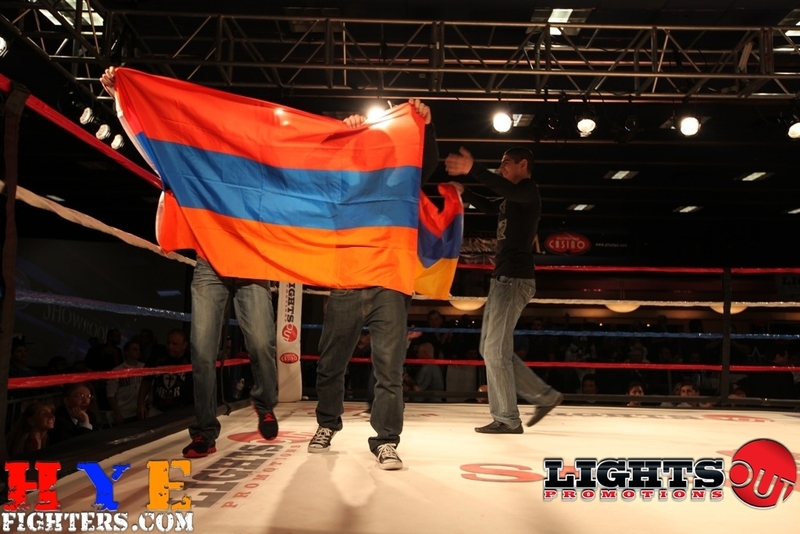 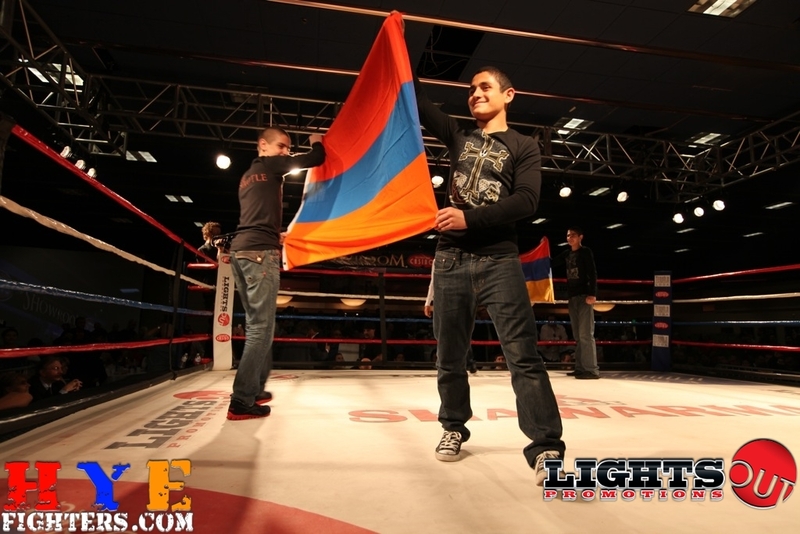 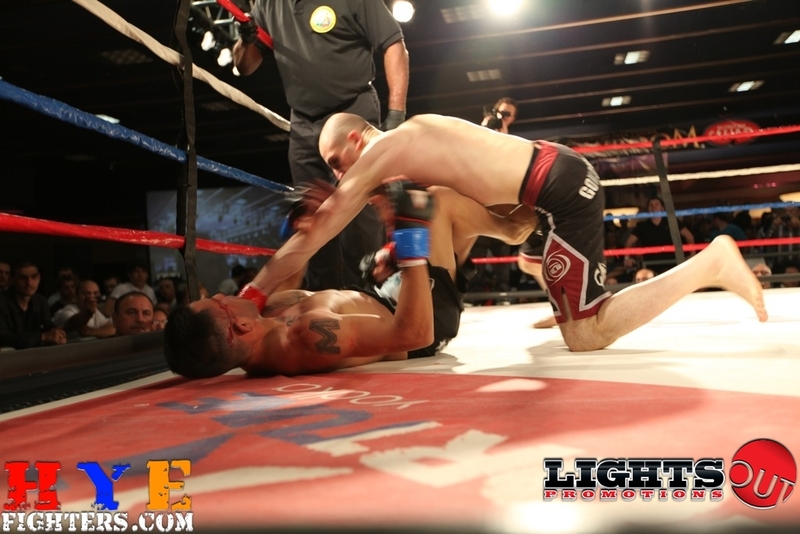 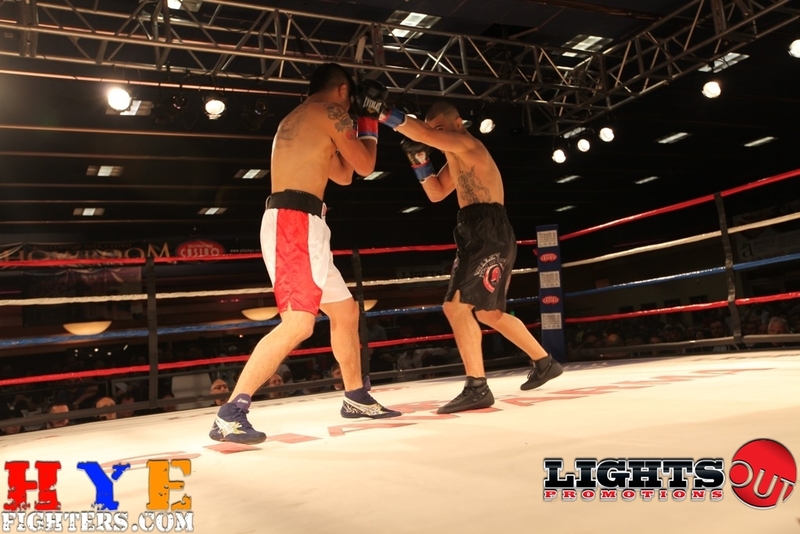 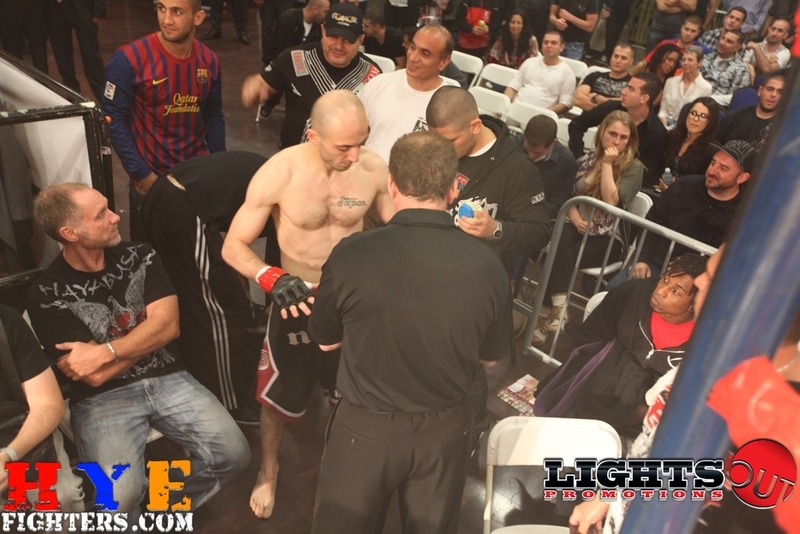 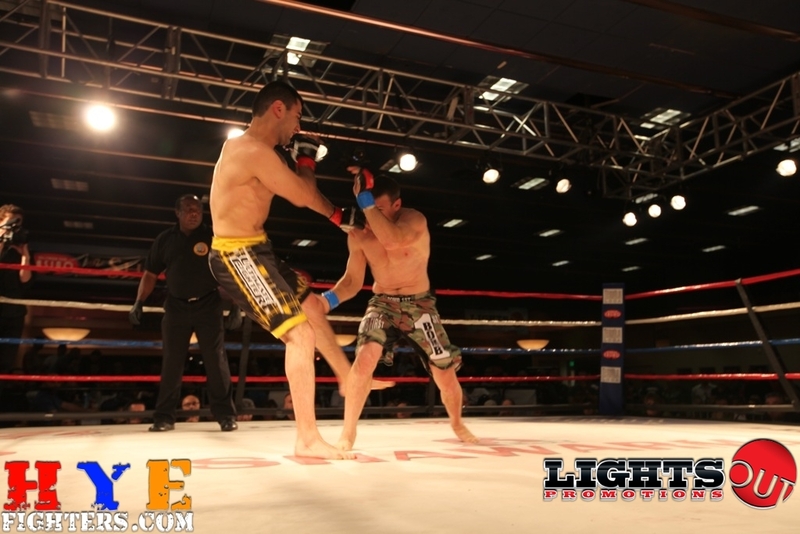 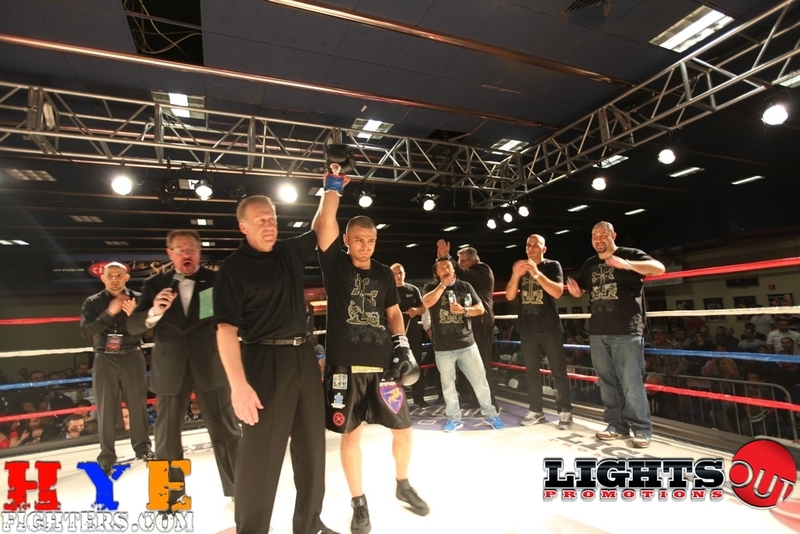 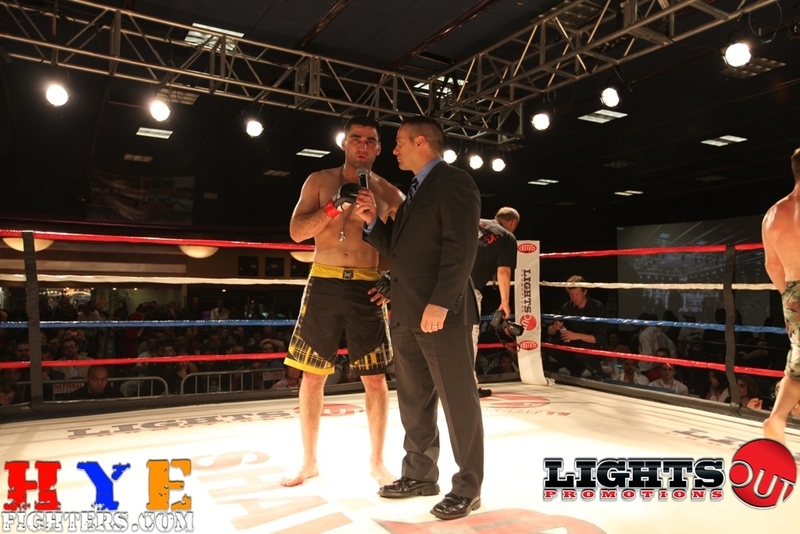 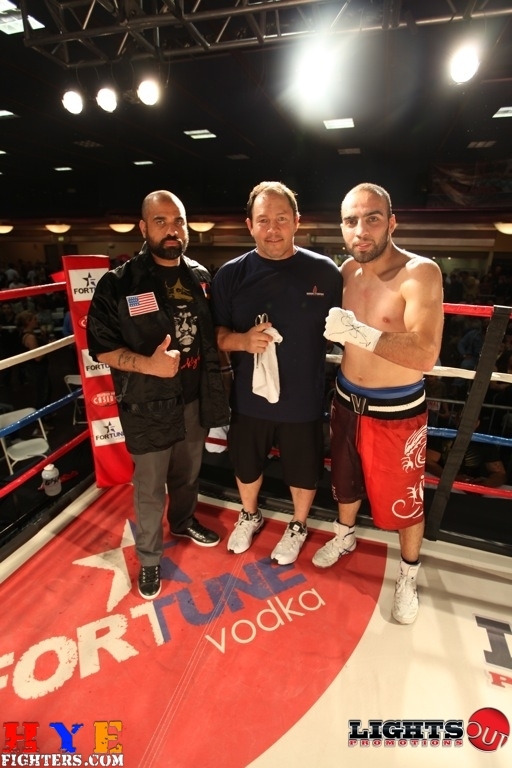 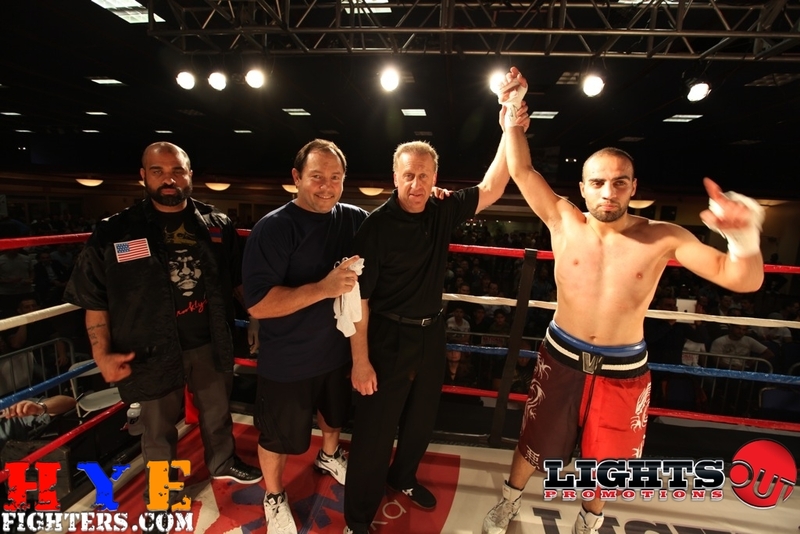 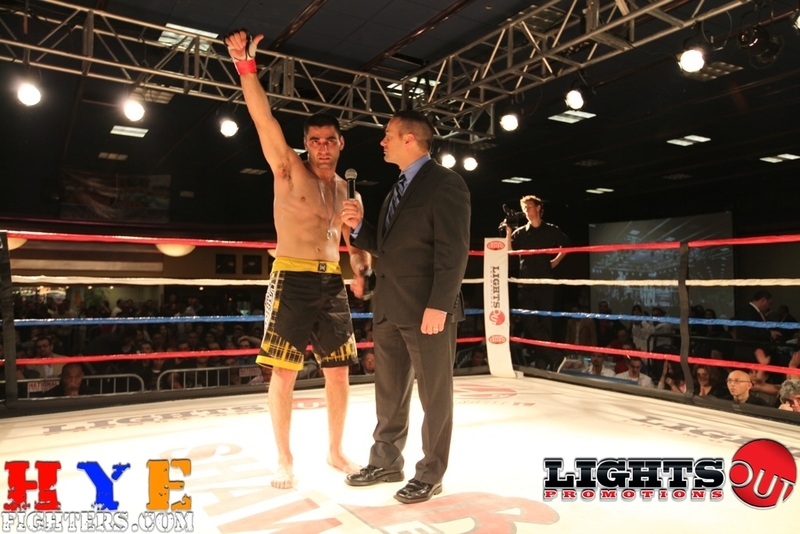 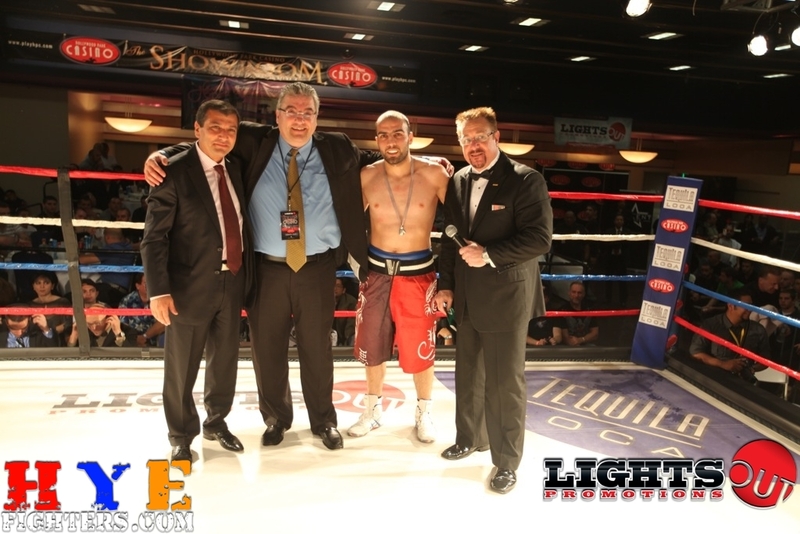 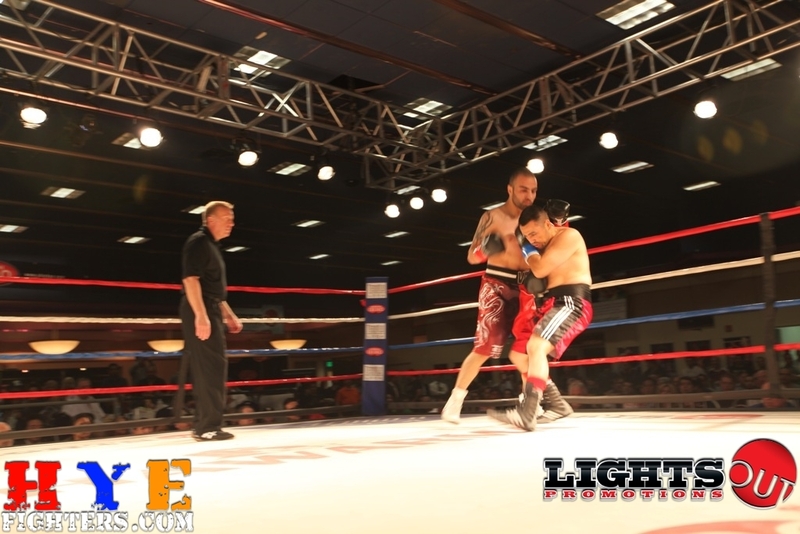 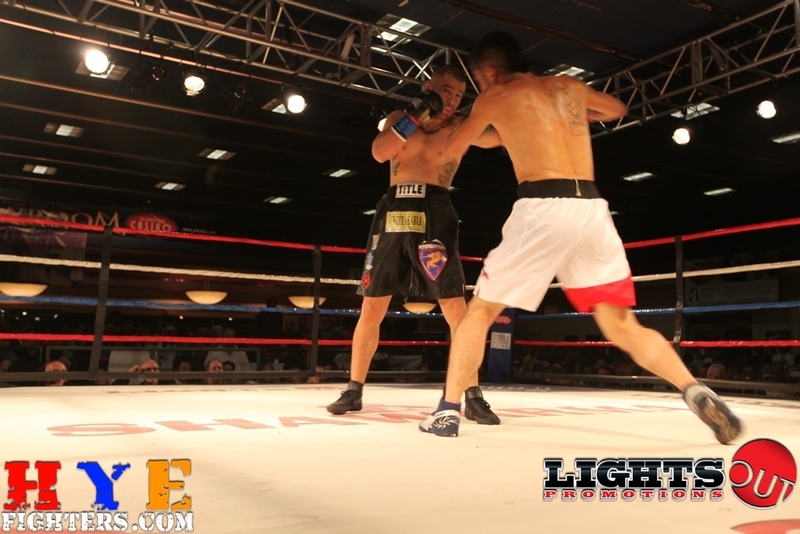 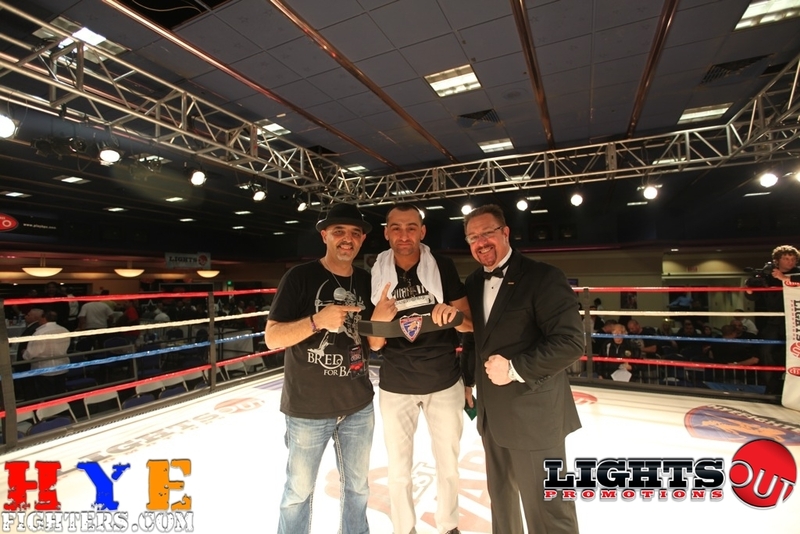 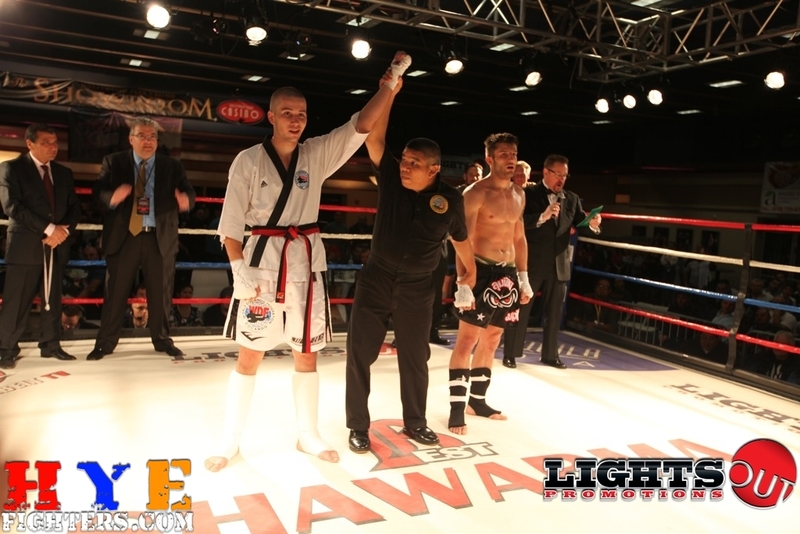 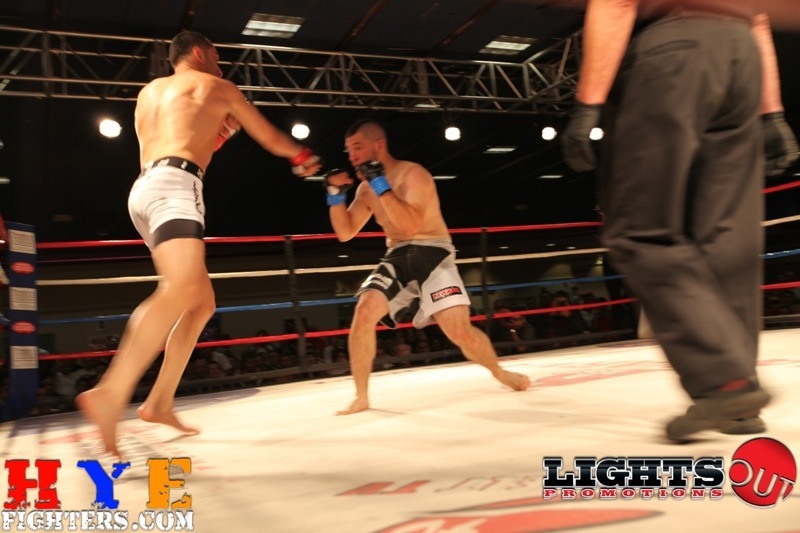 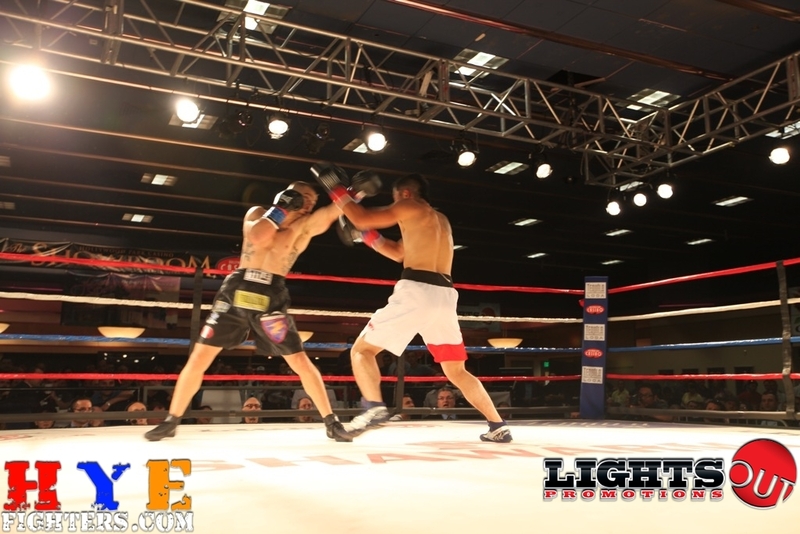 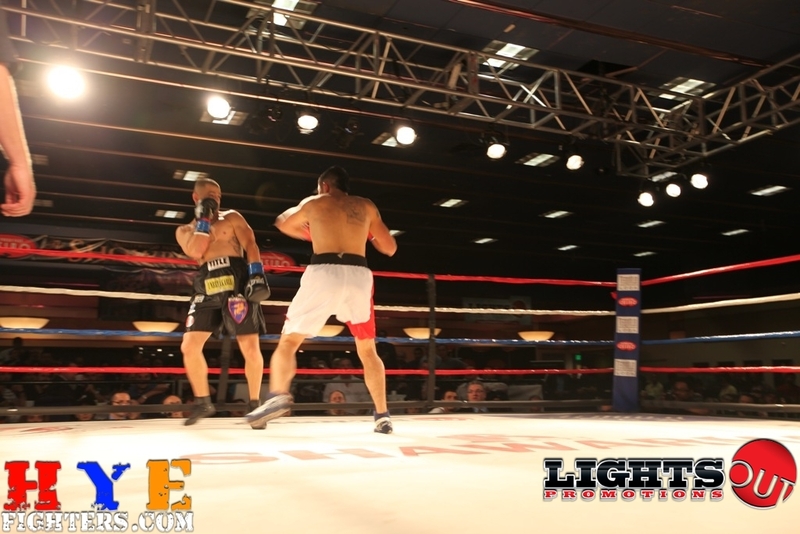 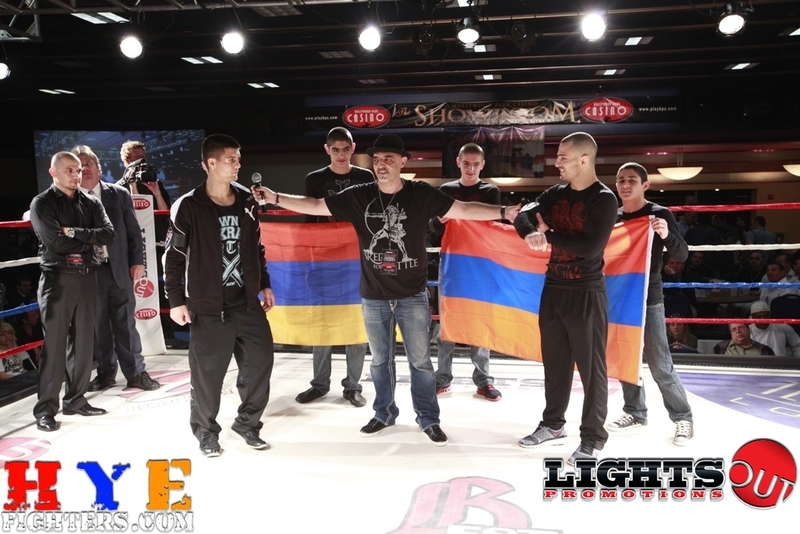 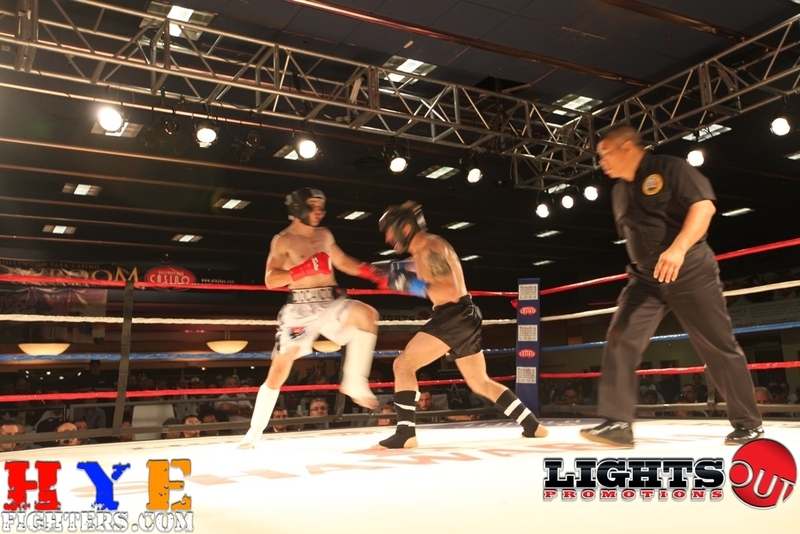 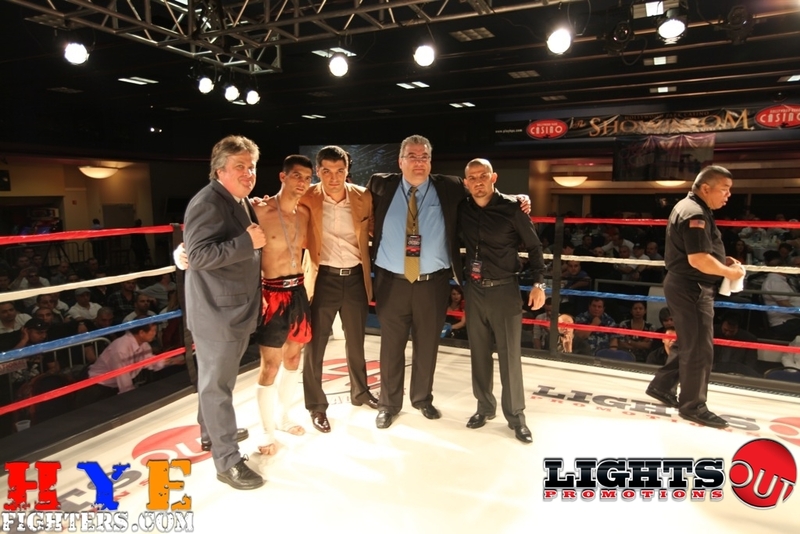 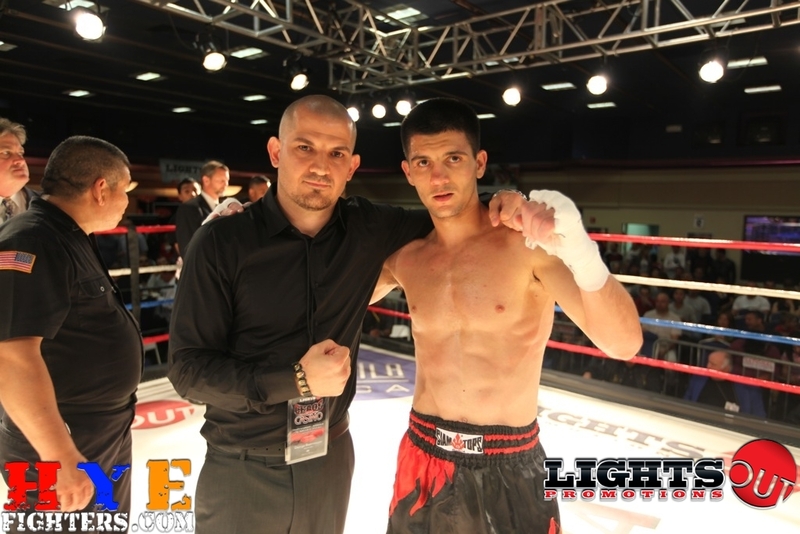 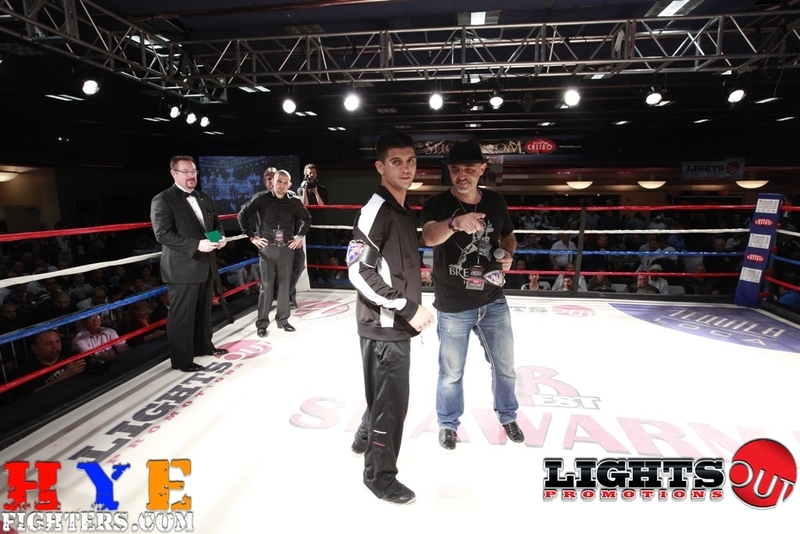 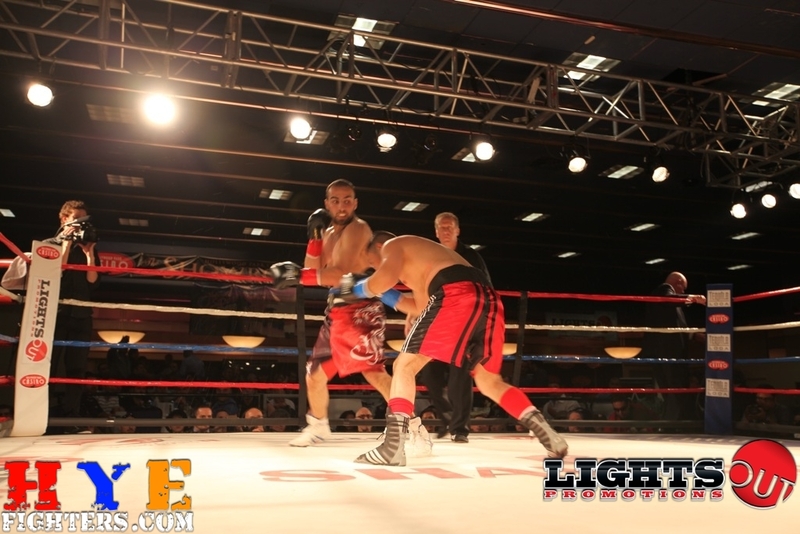 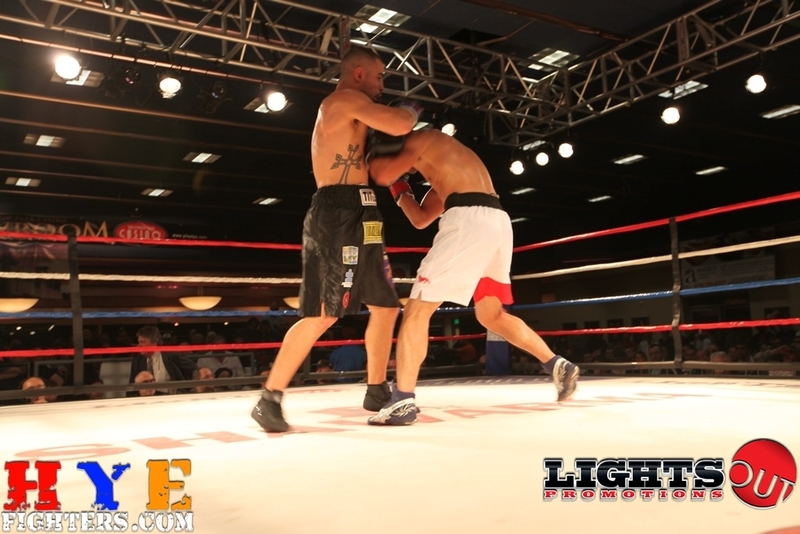 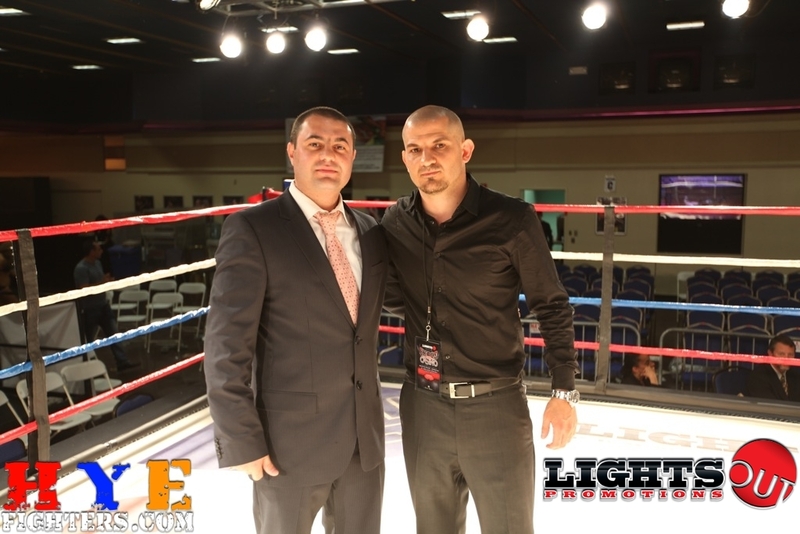 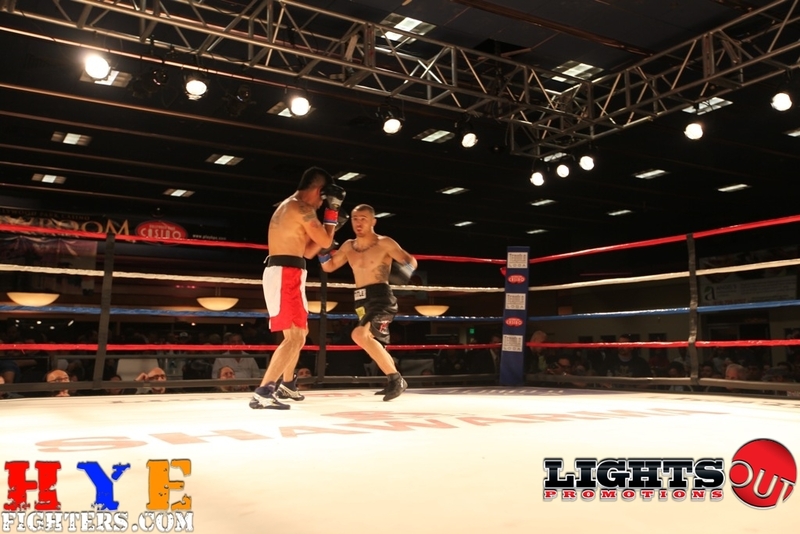 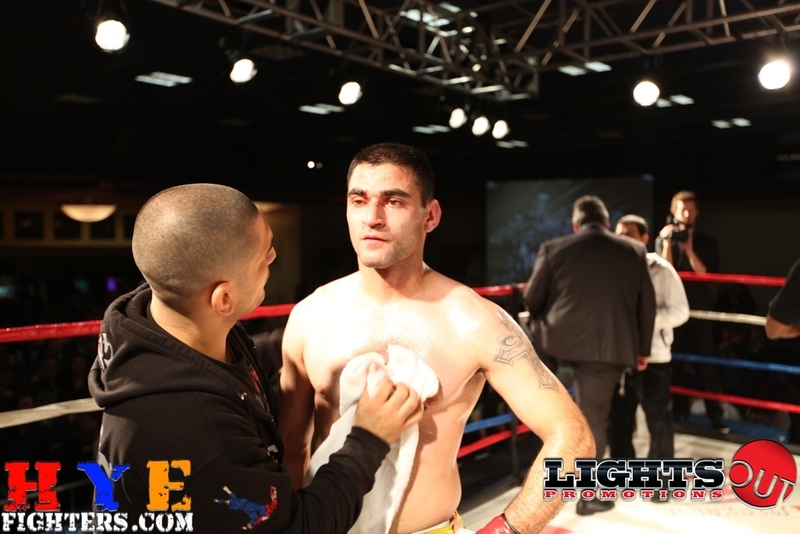 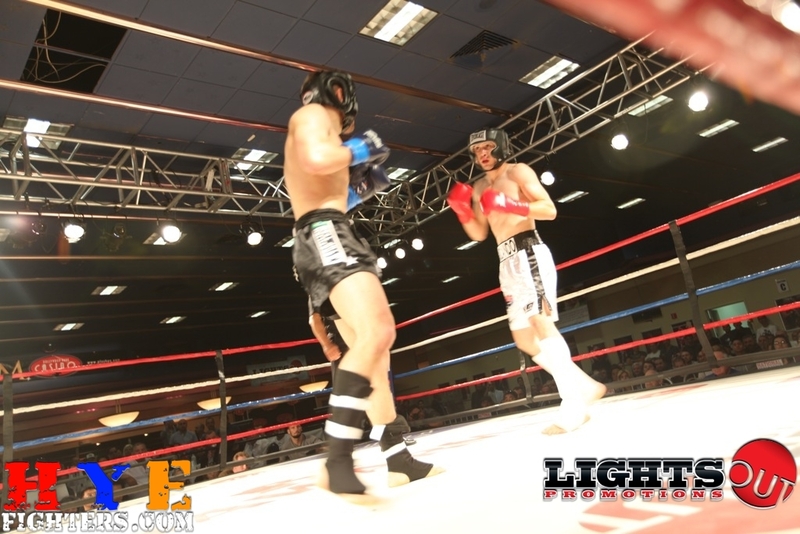 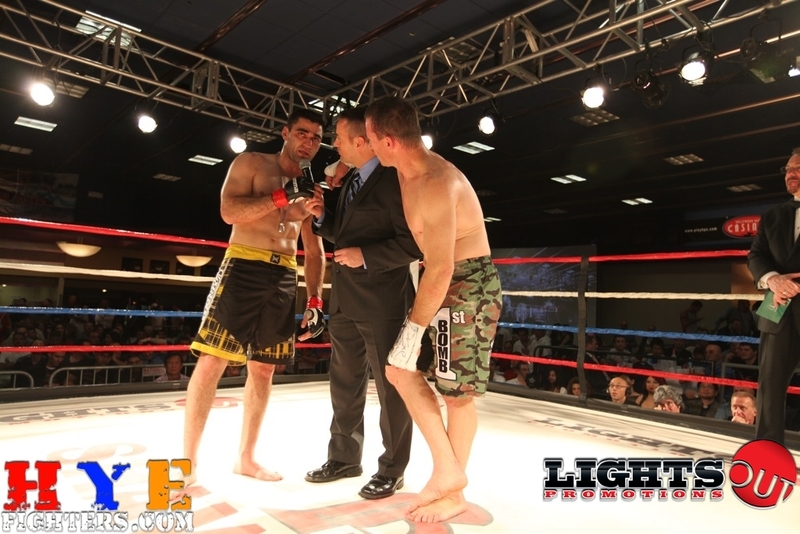 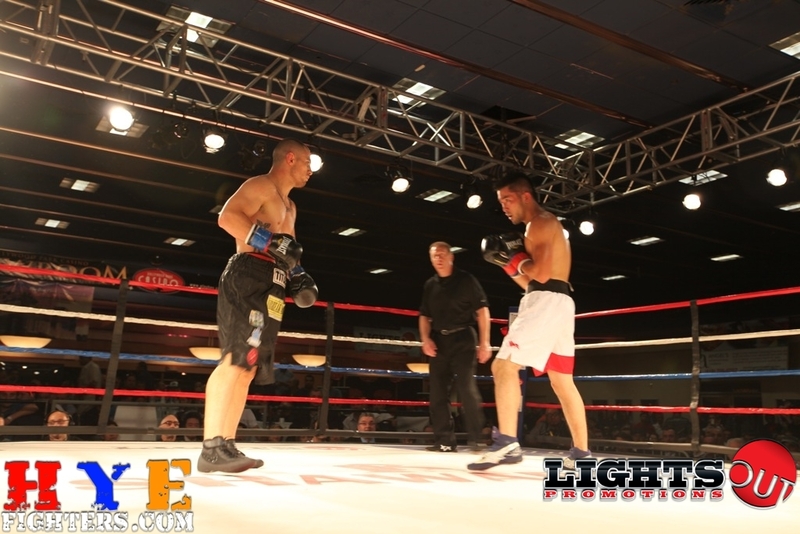 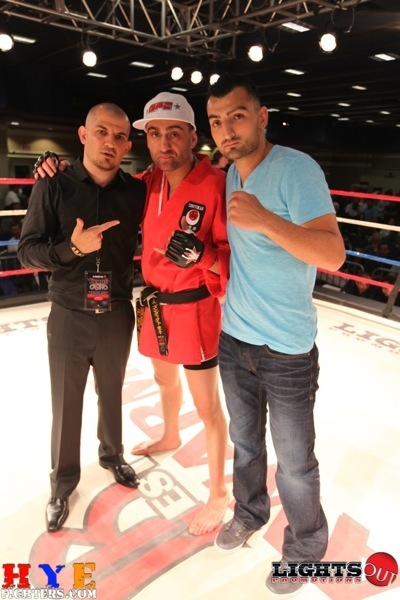 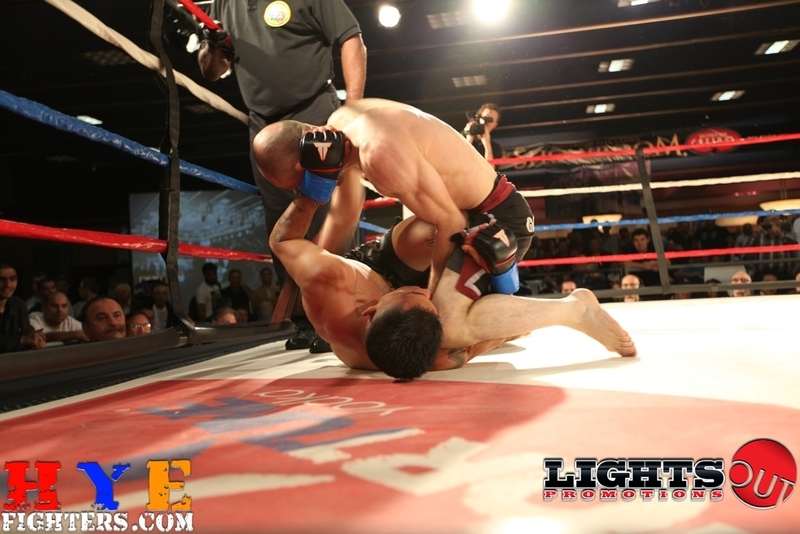 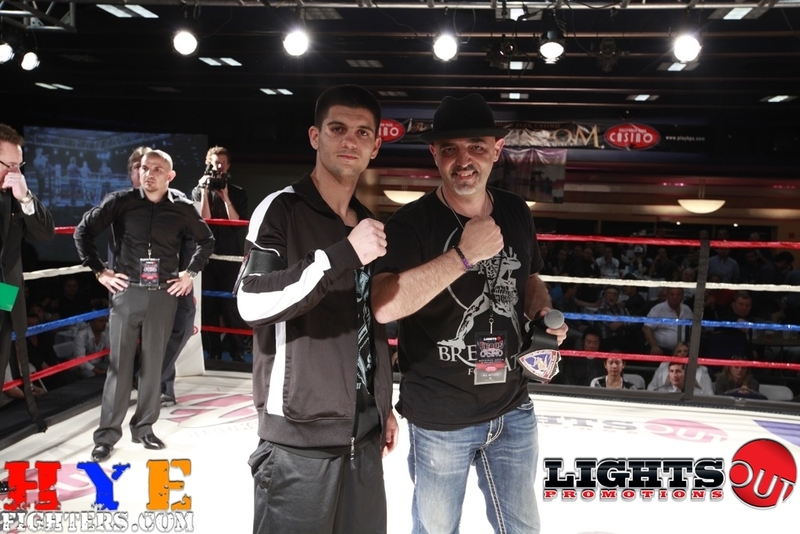 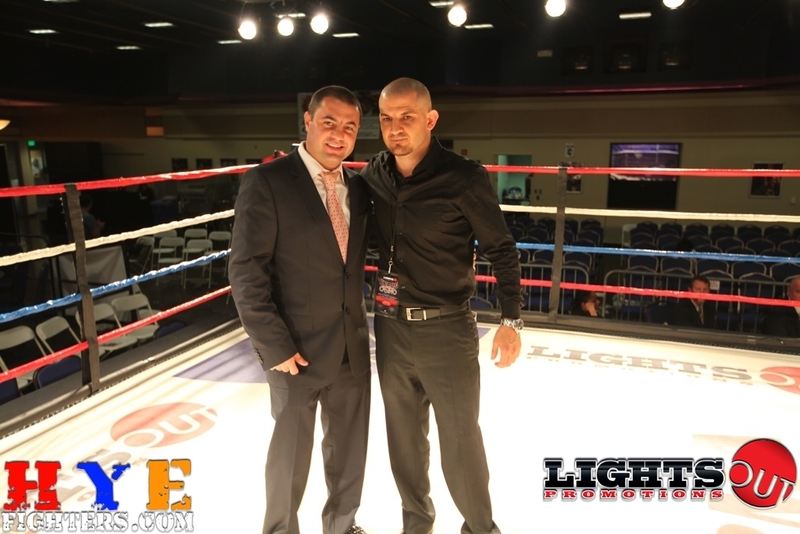 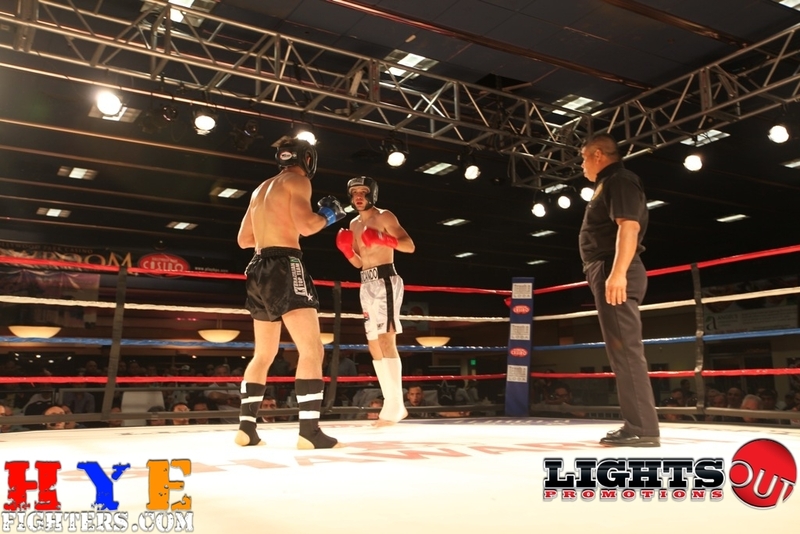 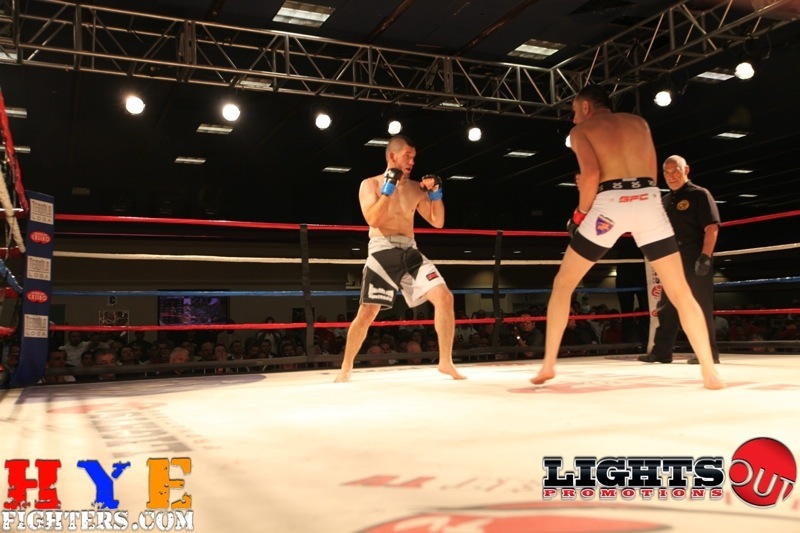 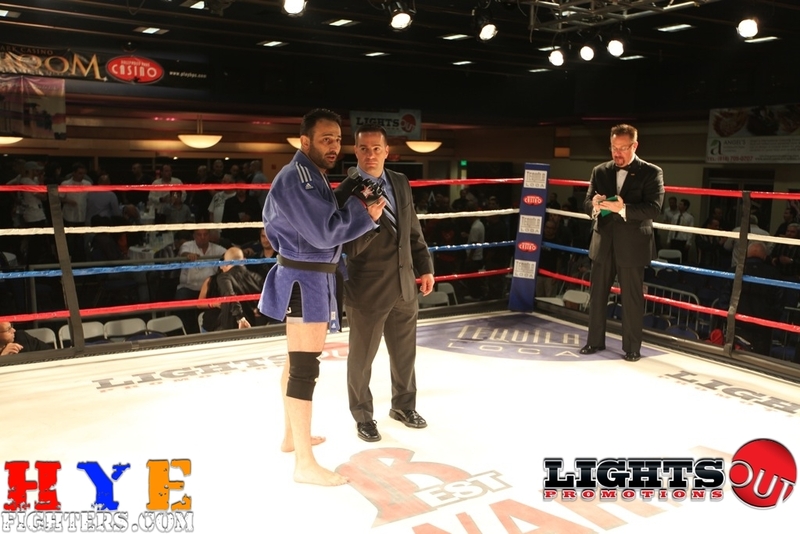 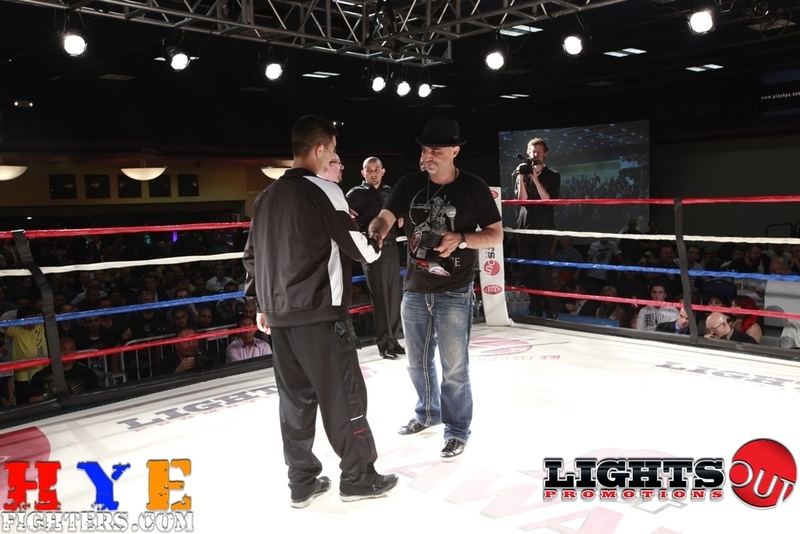 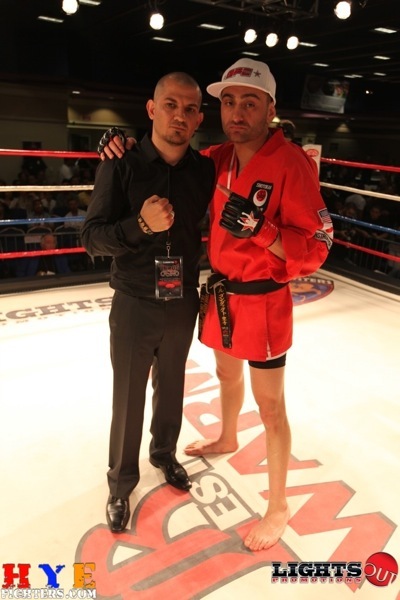 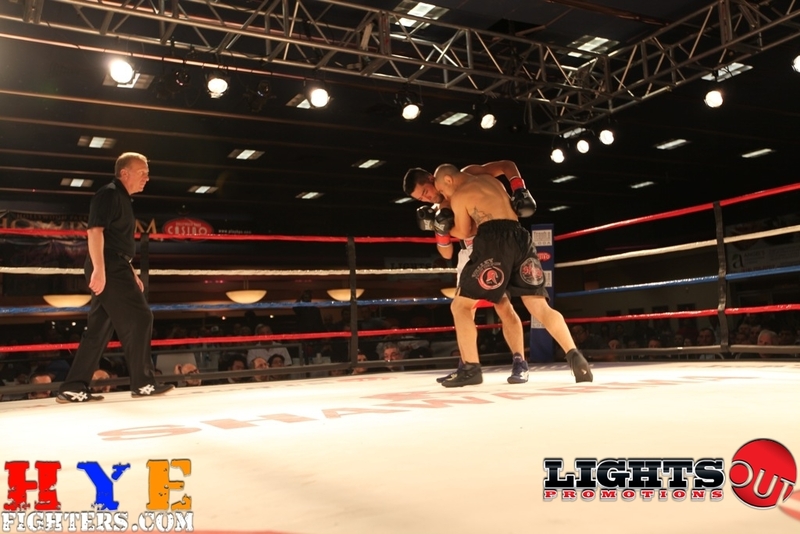 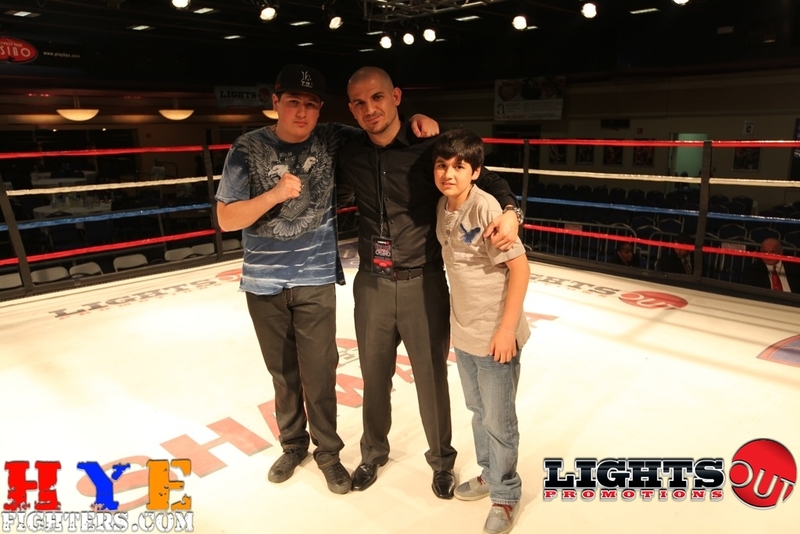 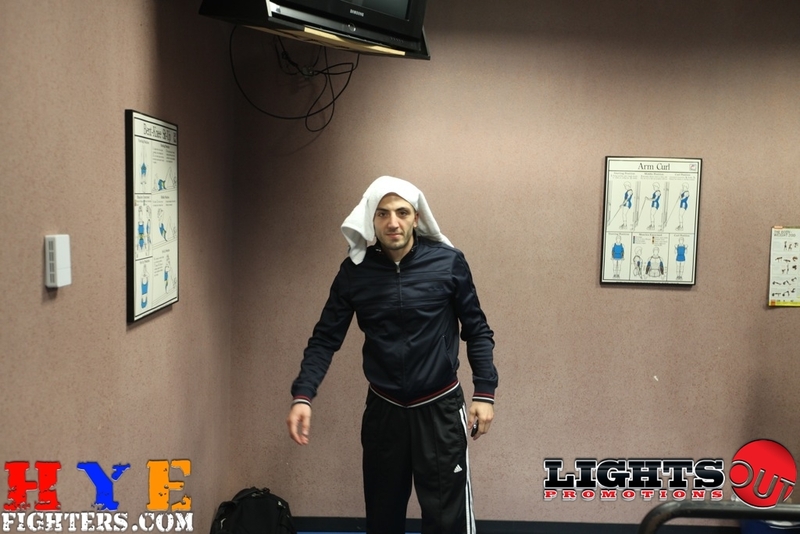 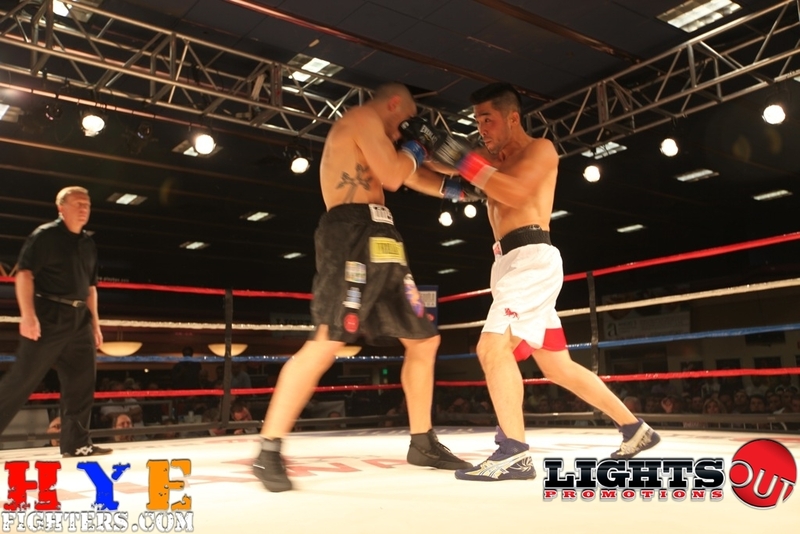 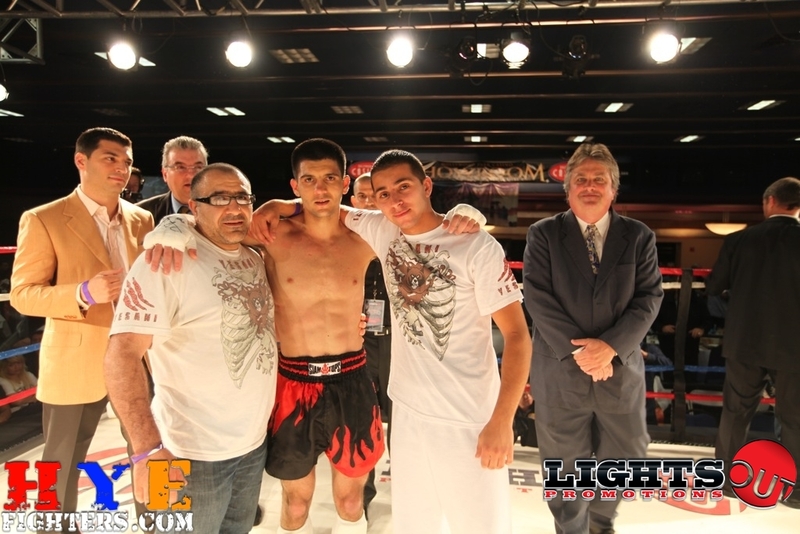 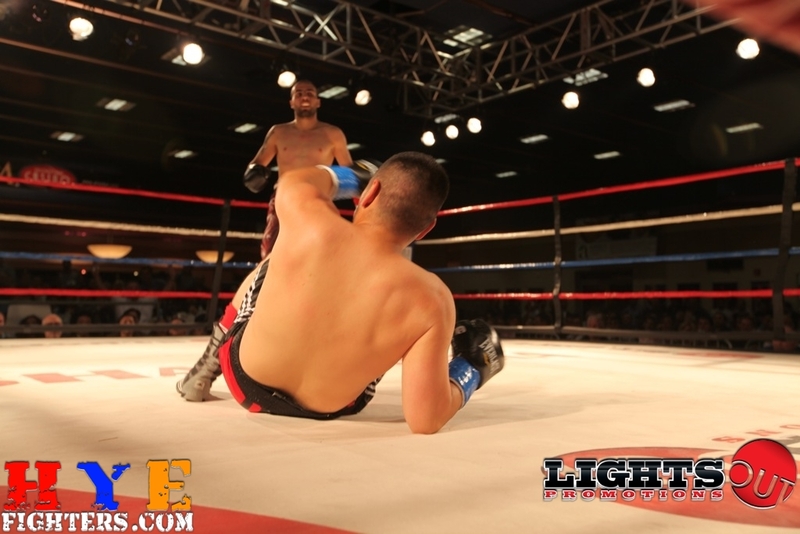 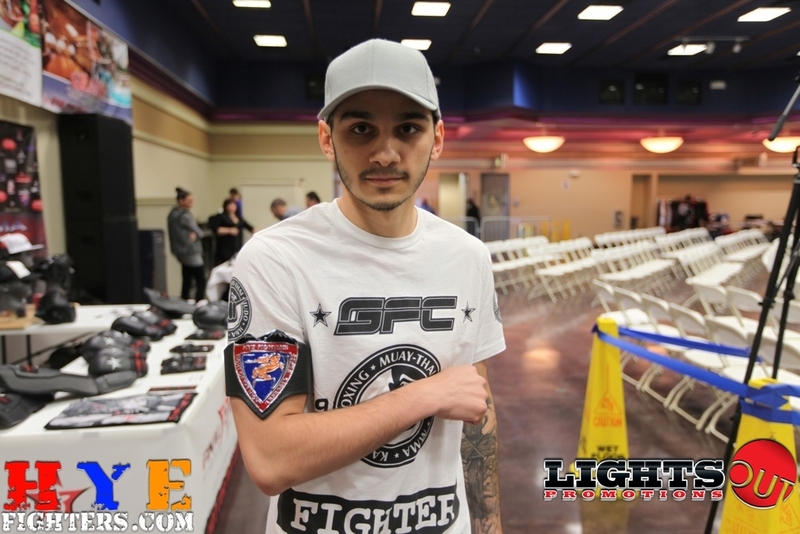 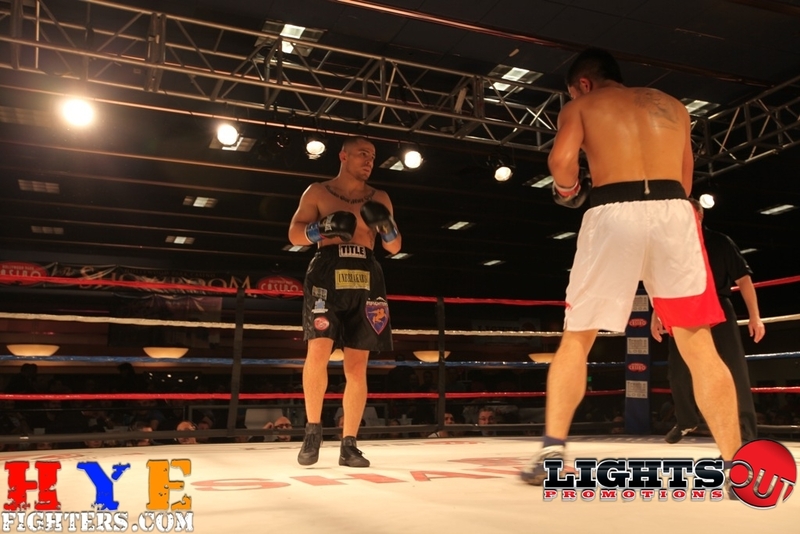 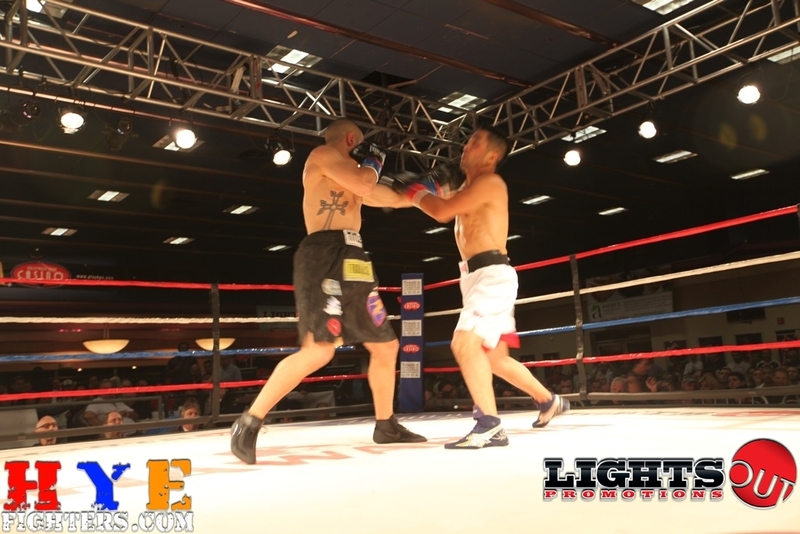 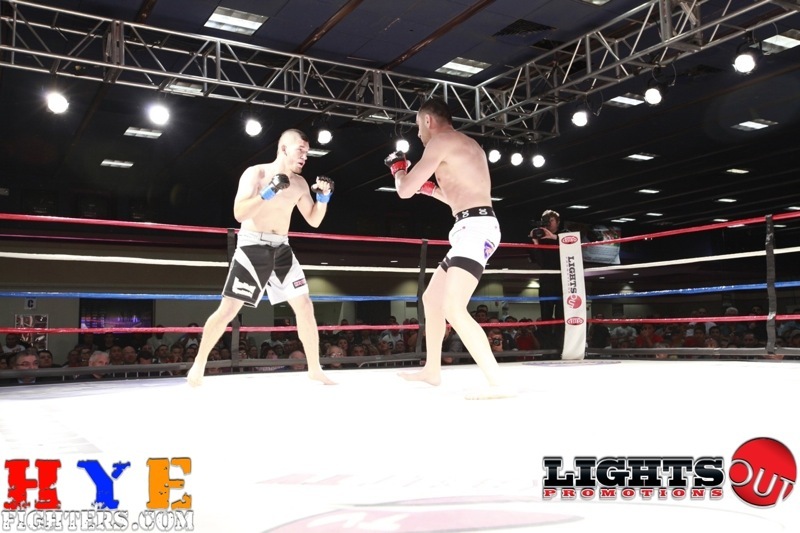 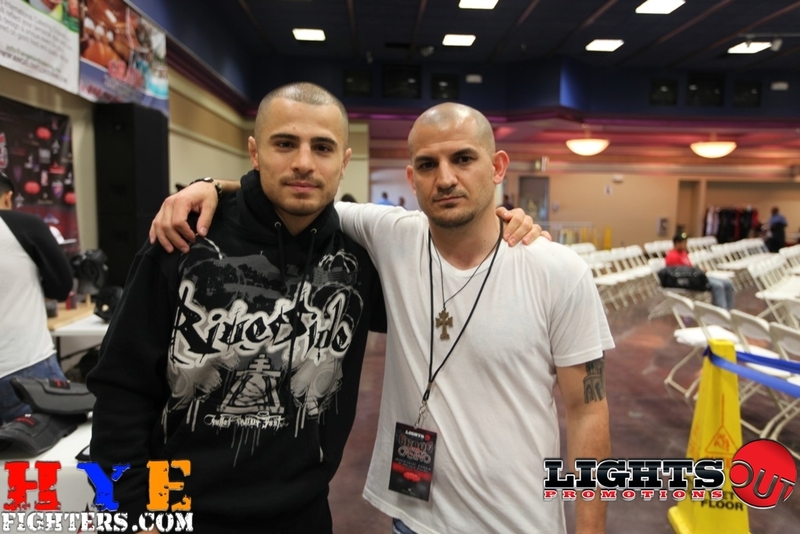 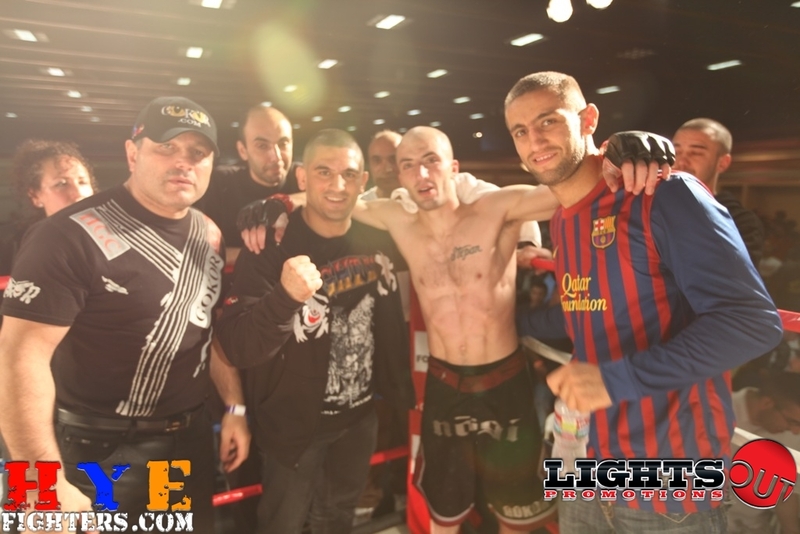 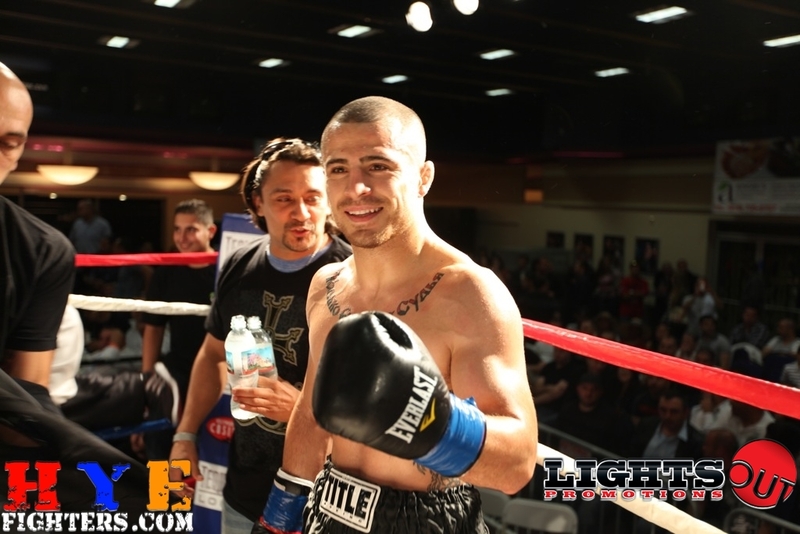 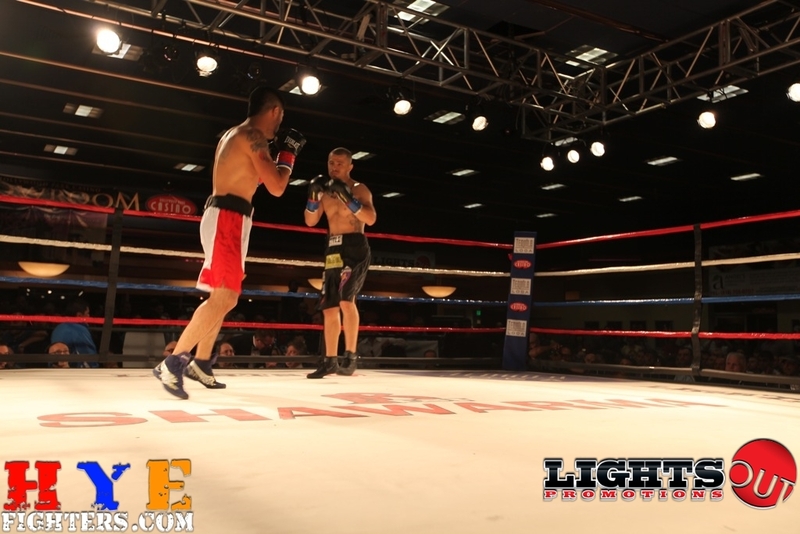 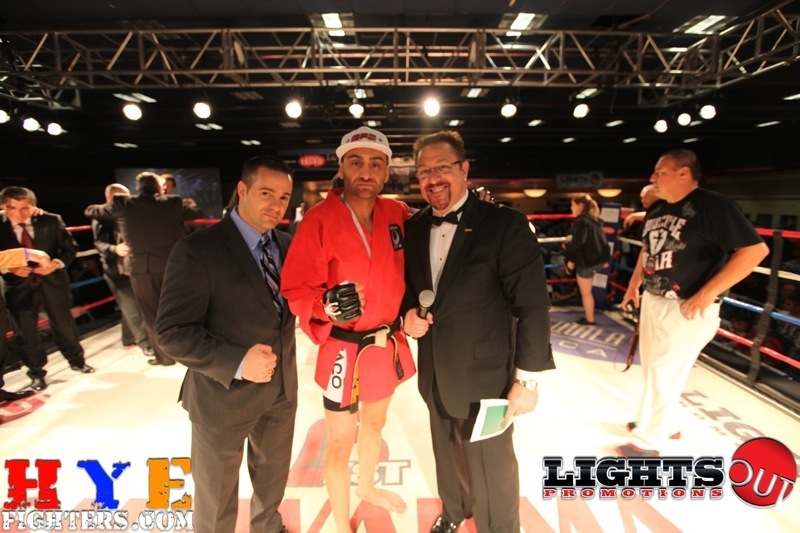 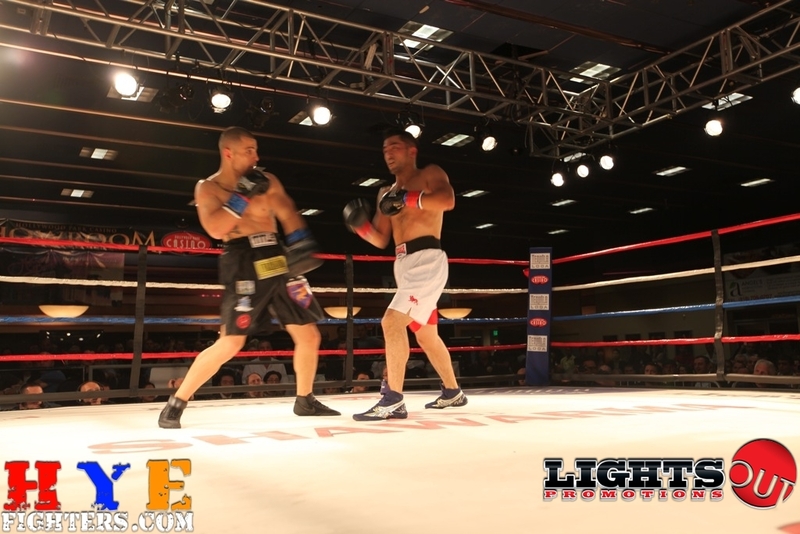 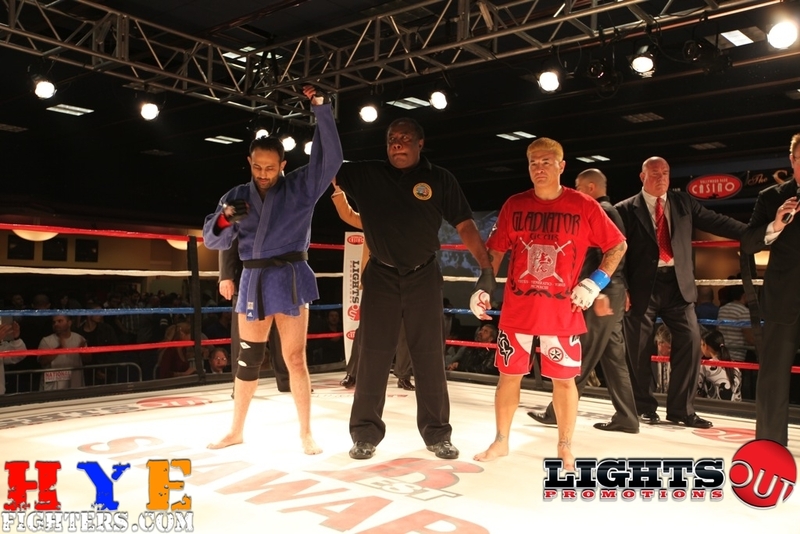 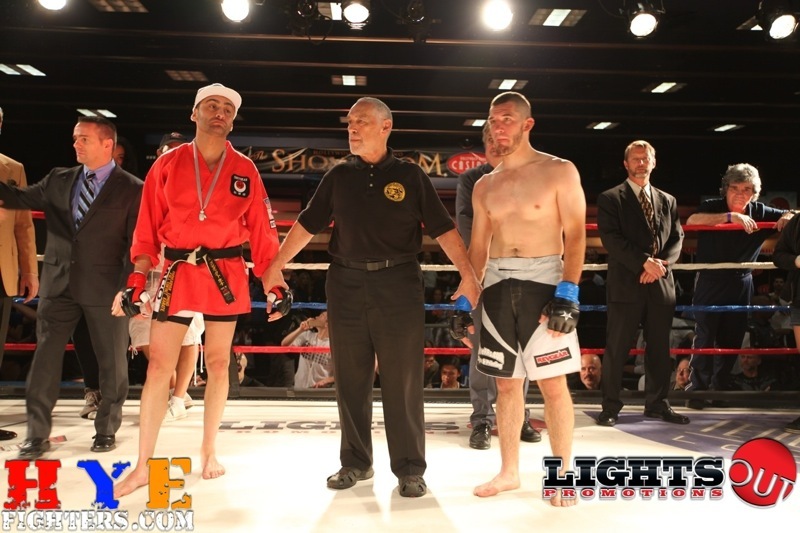 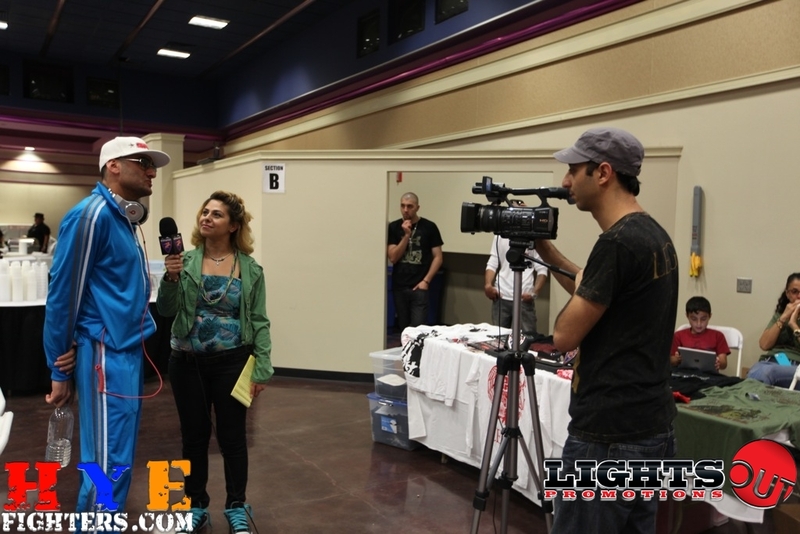 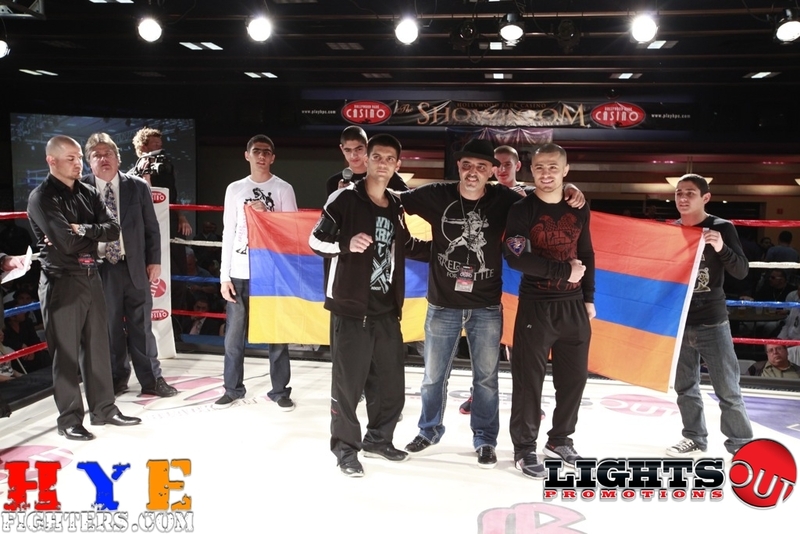 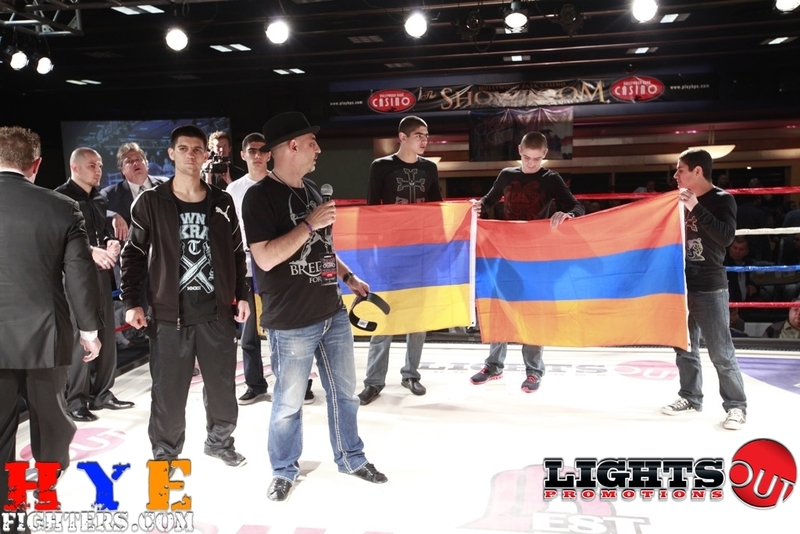 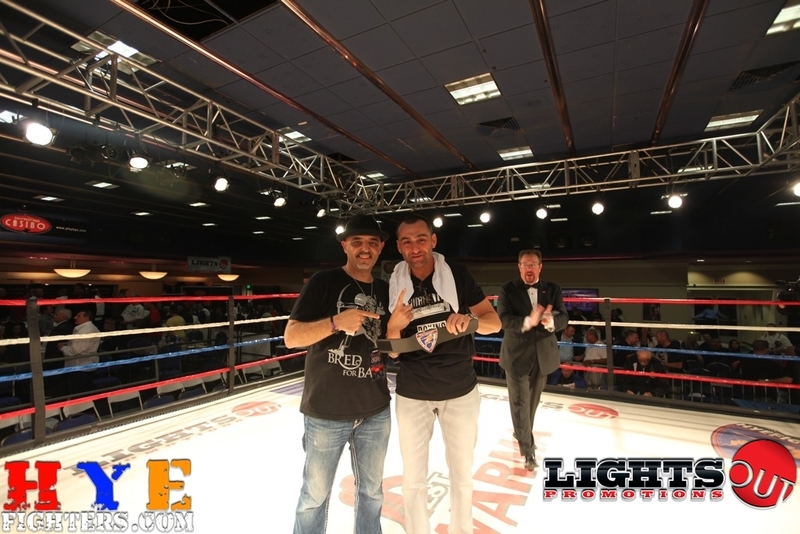 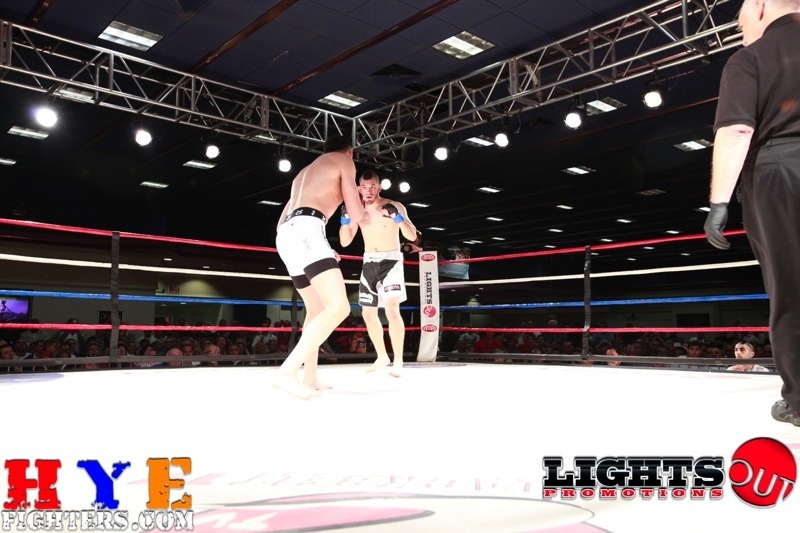 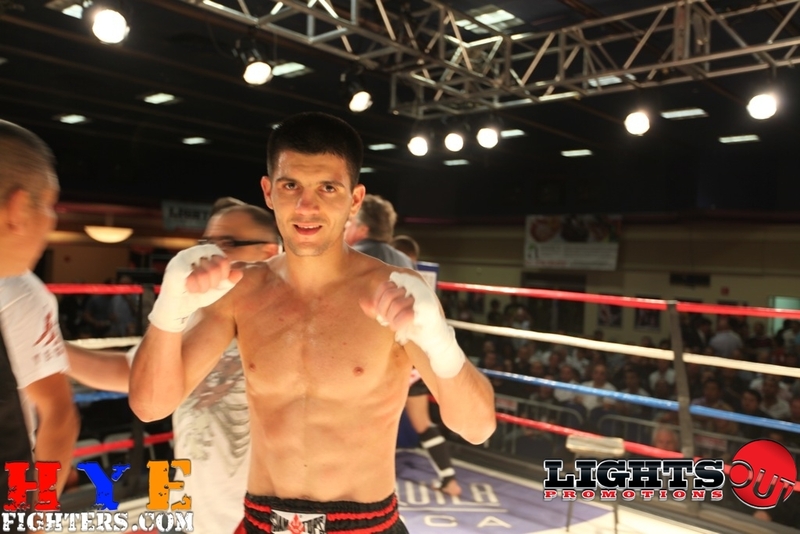 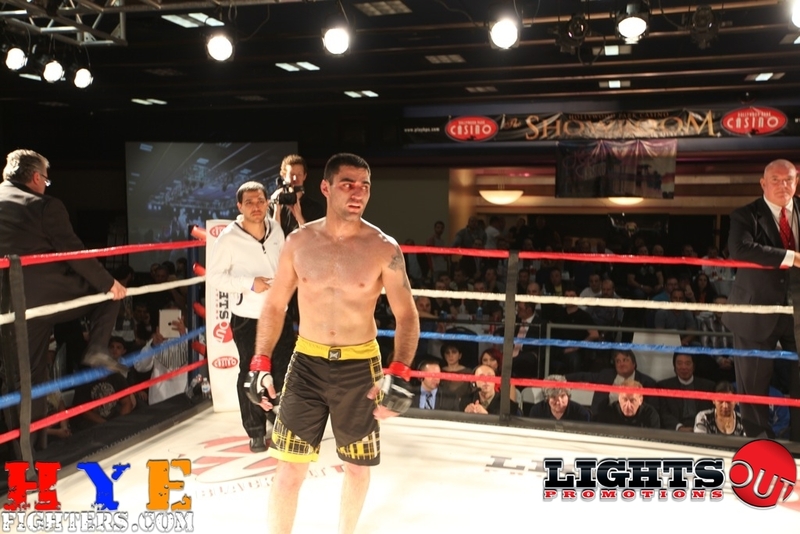 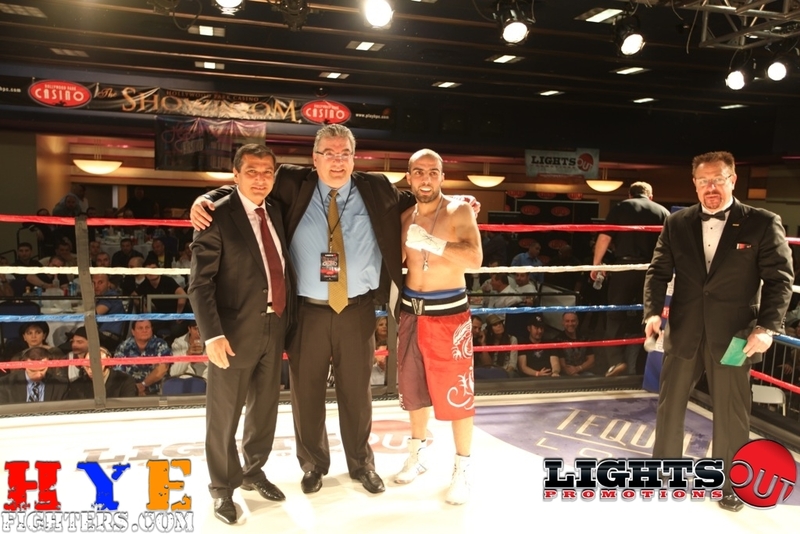 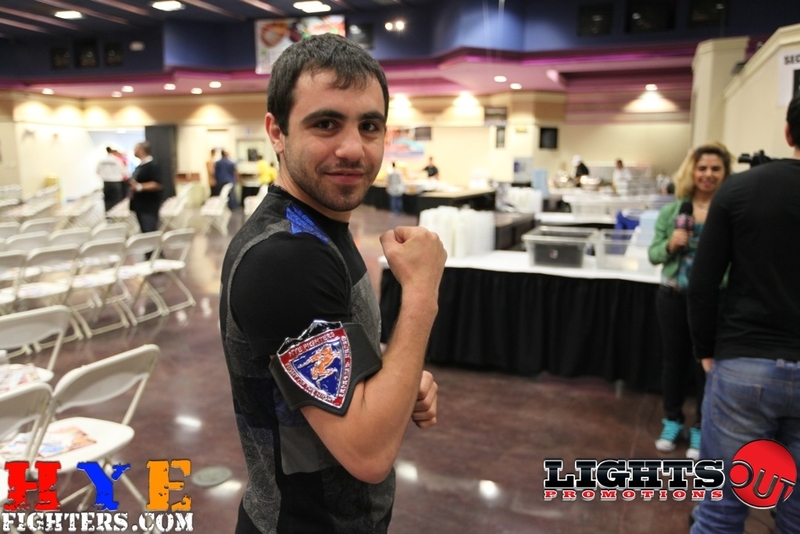 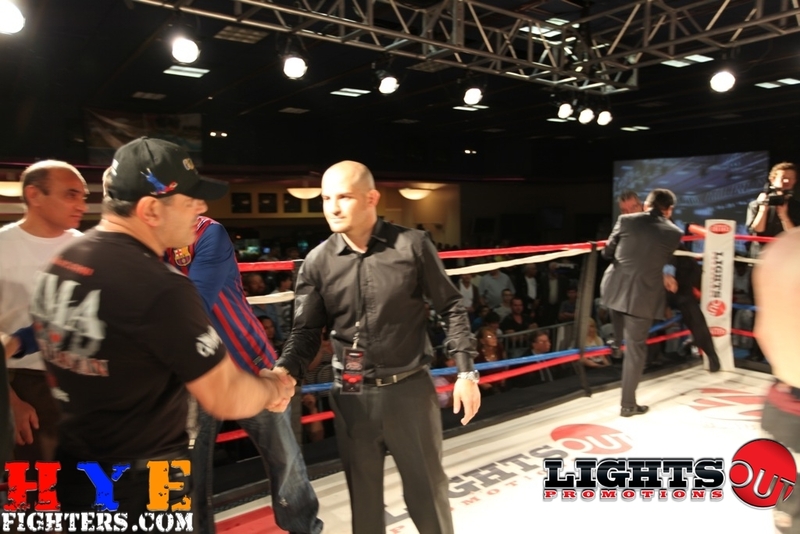 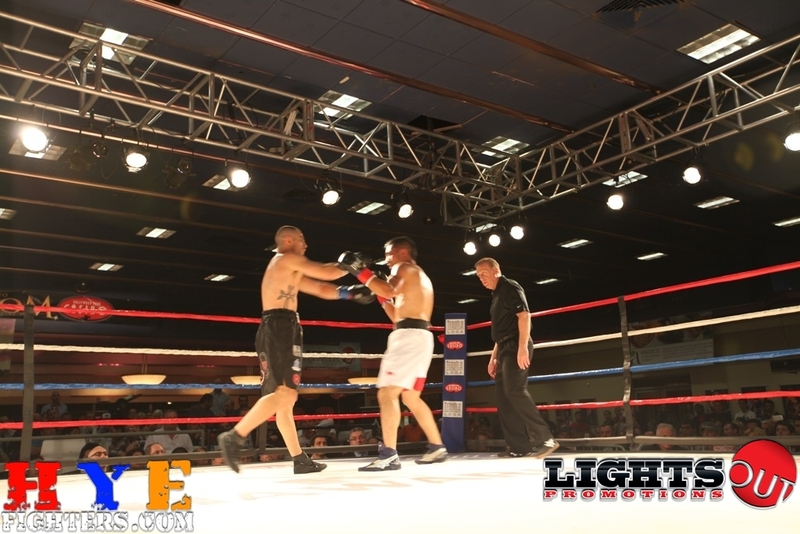 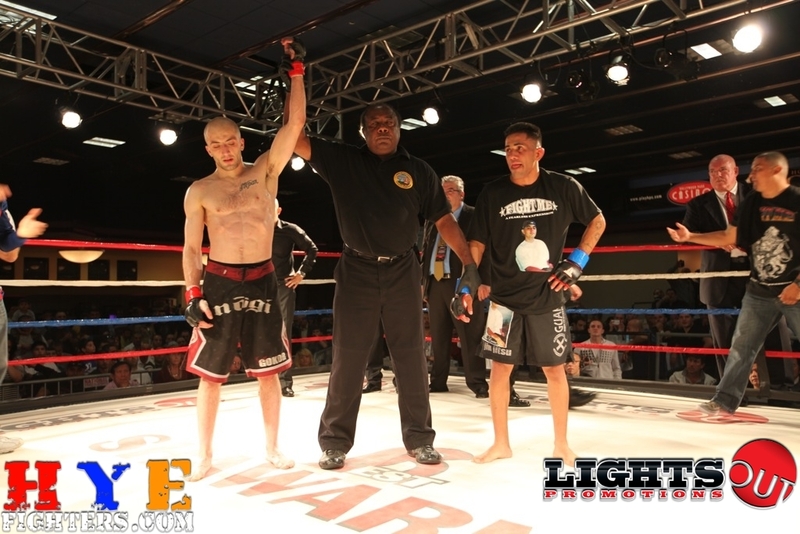 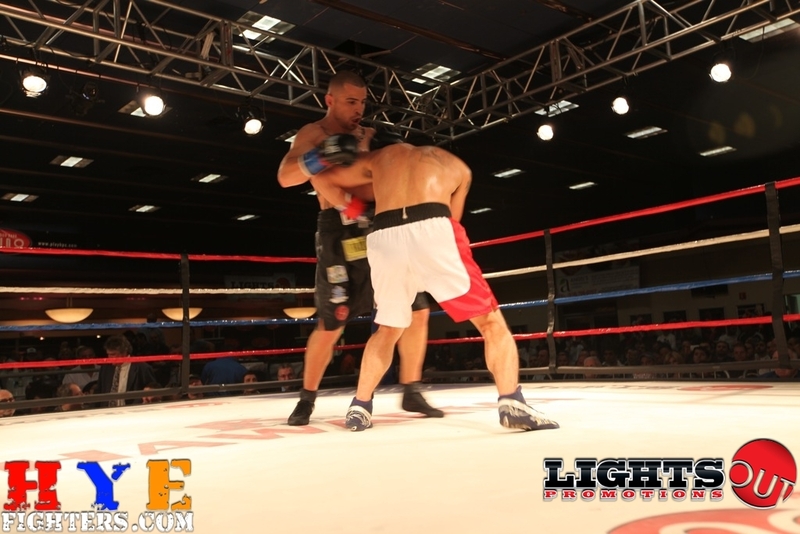 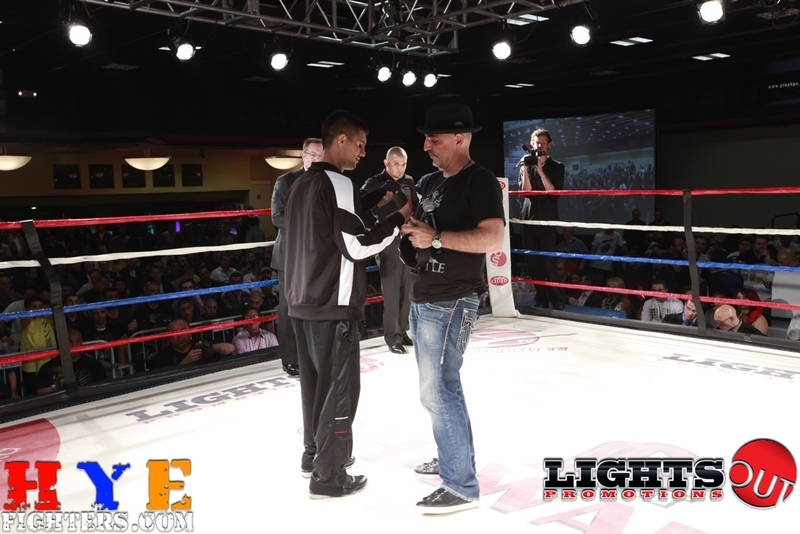 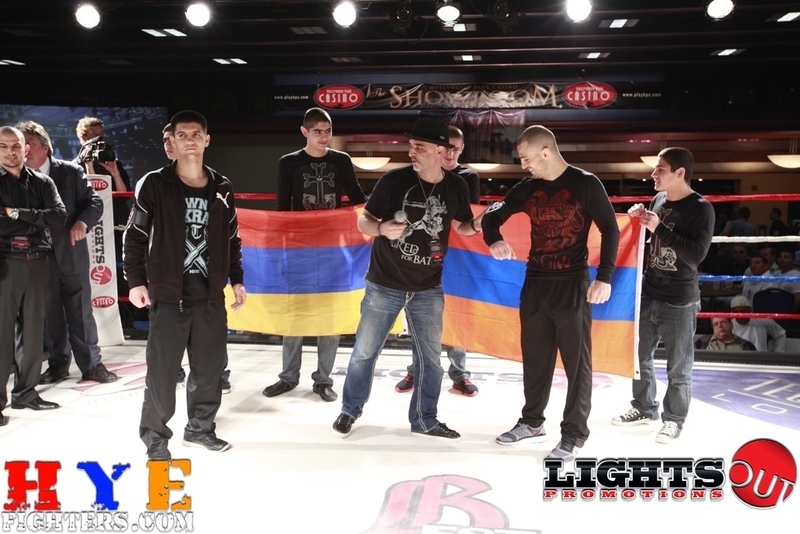 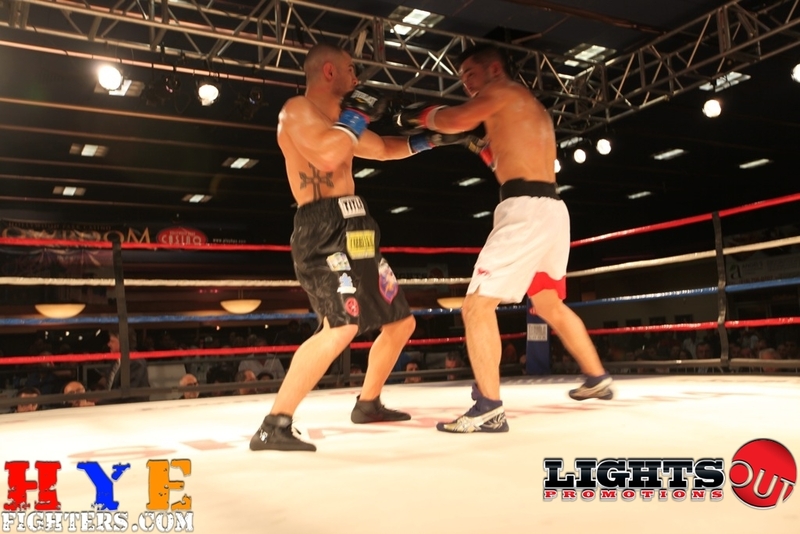 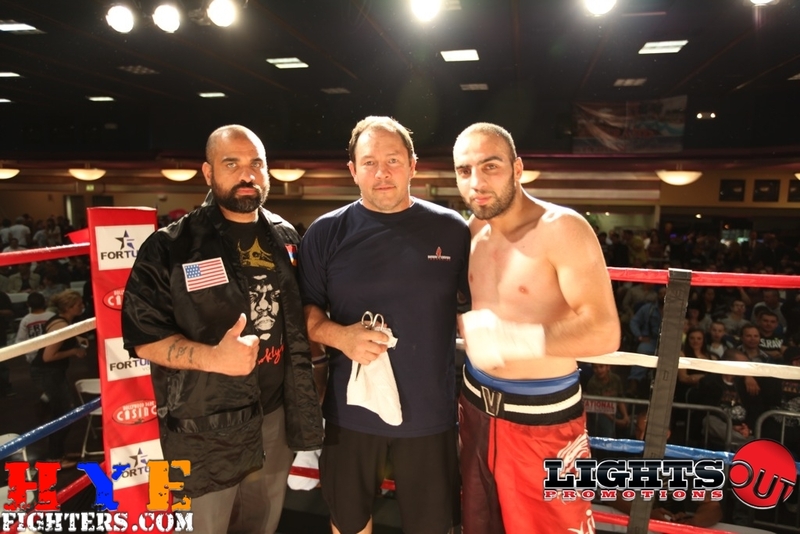 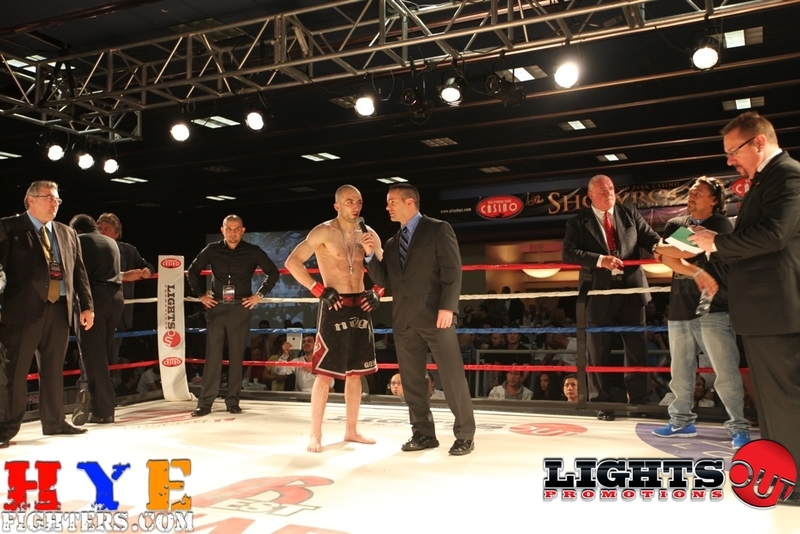 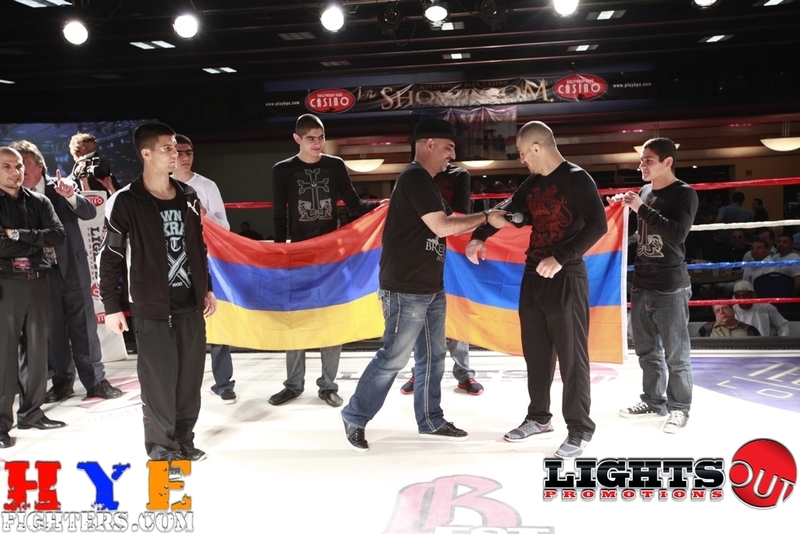 Georgi Karakhanyan was awarded the Boxing fight of the night for his action packed fight where he showed poise and patience and was able to work and tear down his opponent with every jab to eventually land the devastating upper cuts. 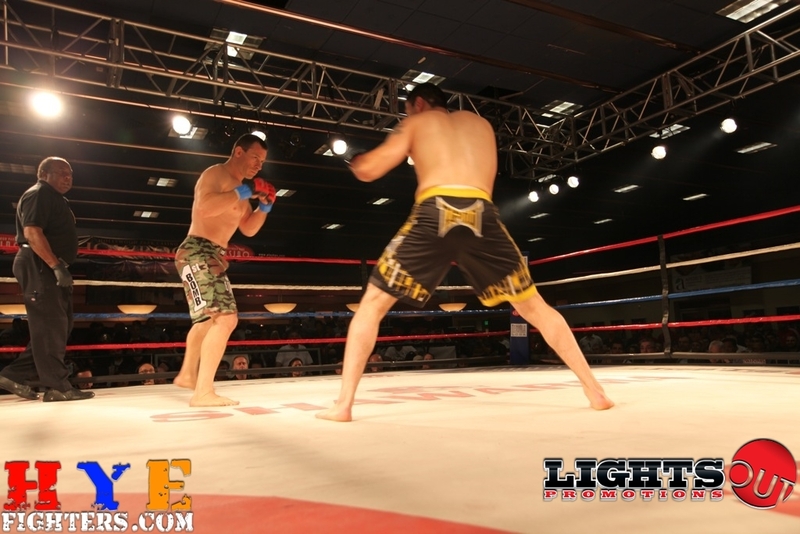 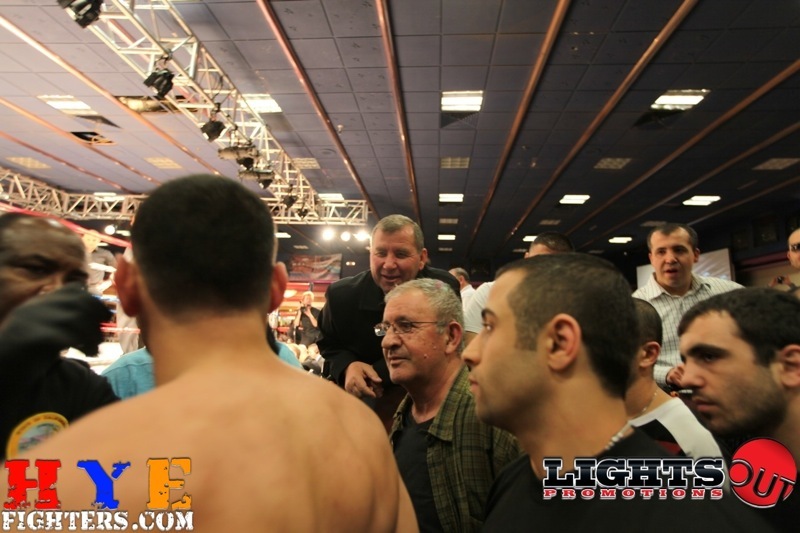 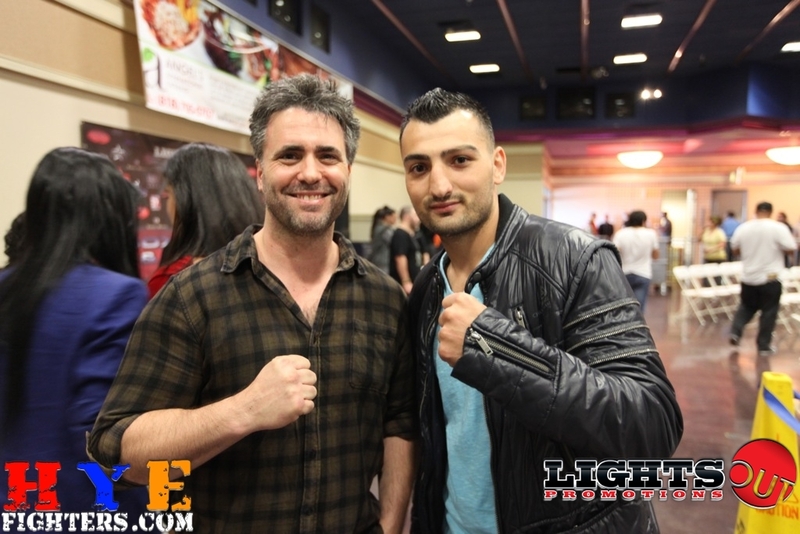 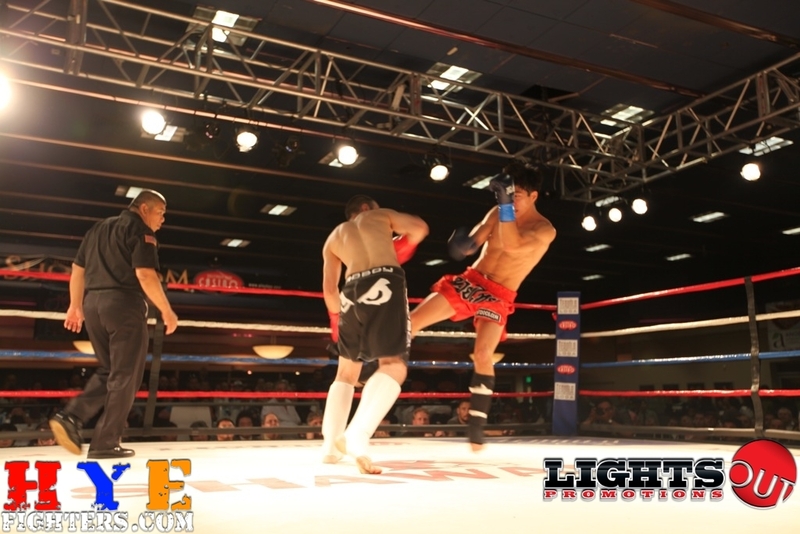 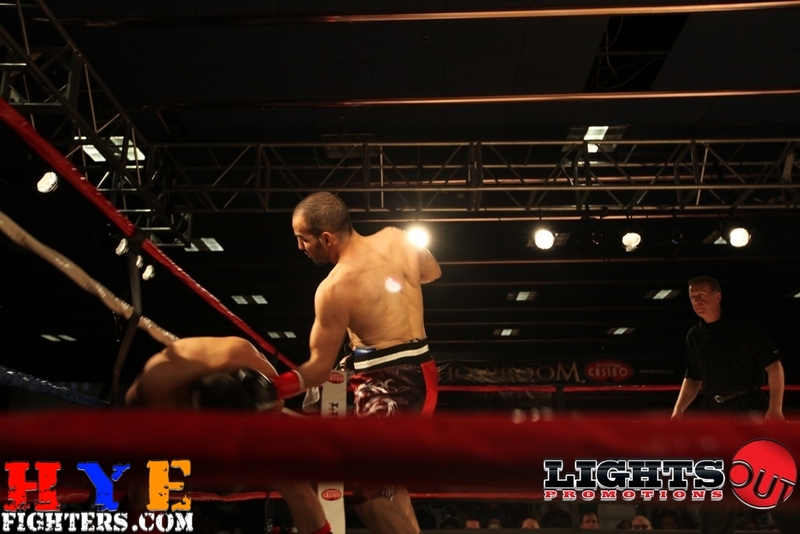 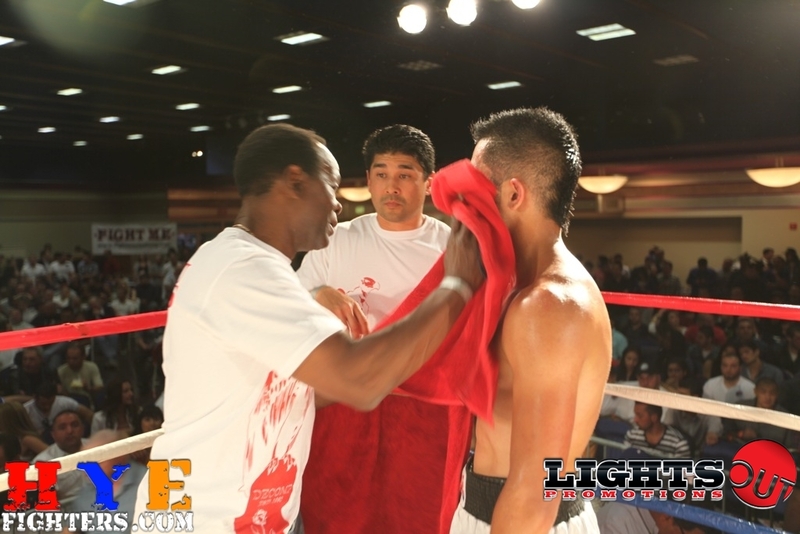 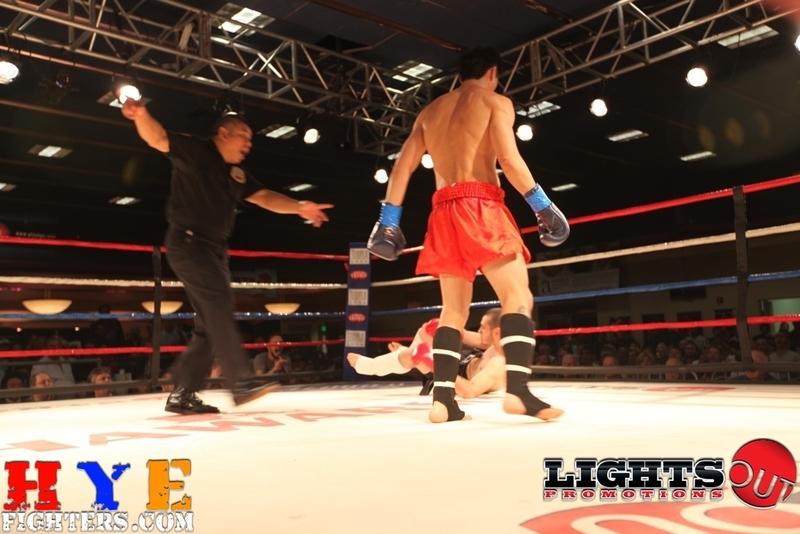 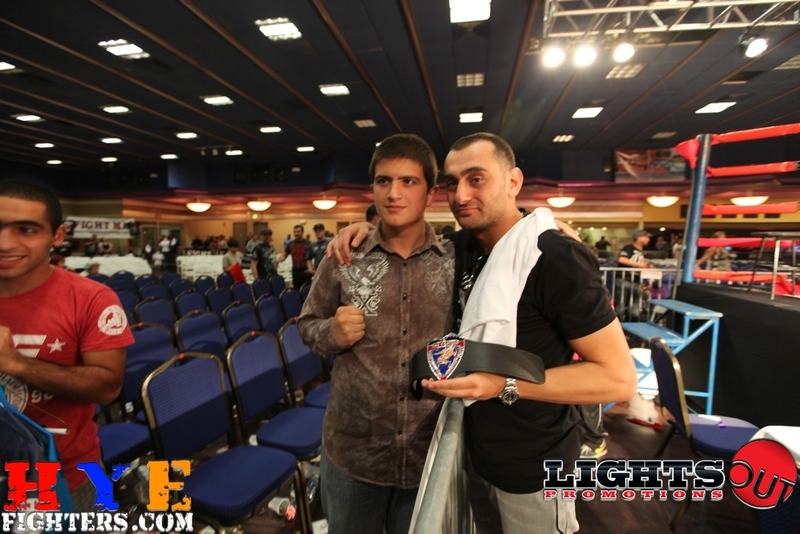 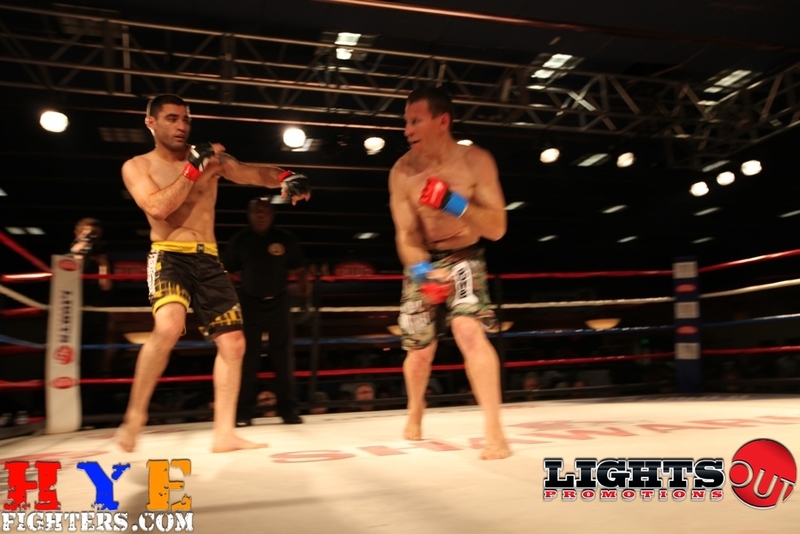 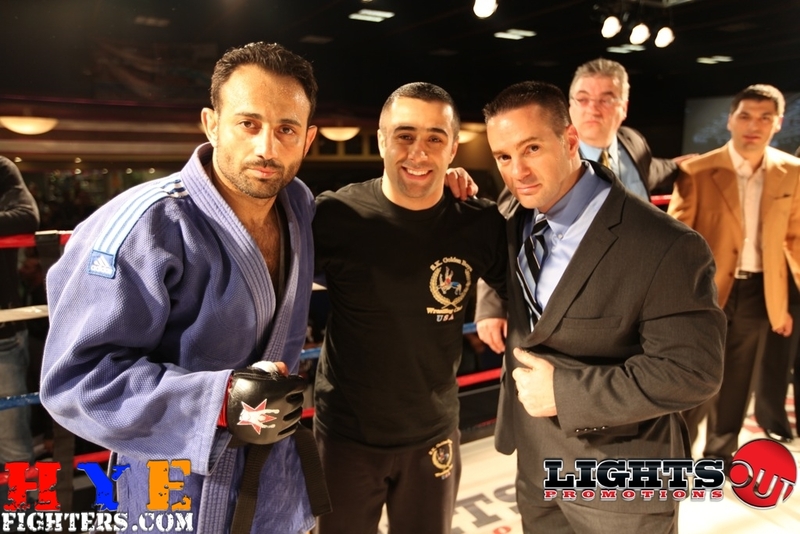 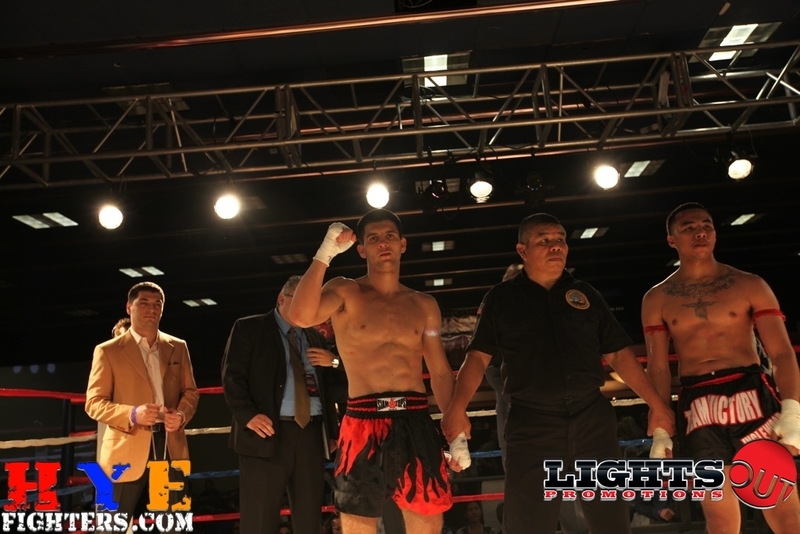 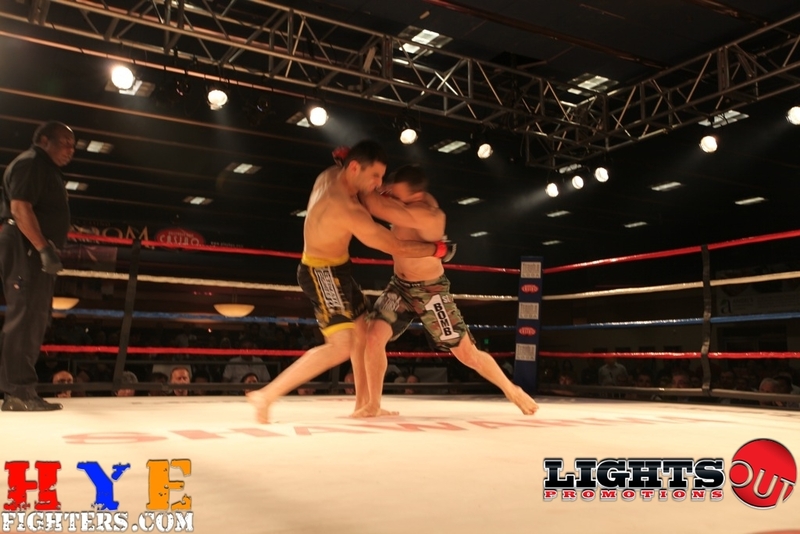 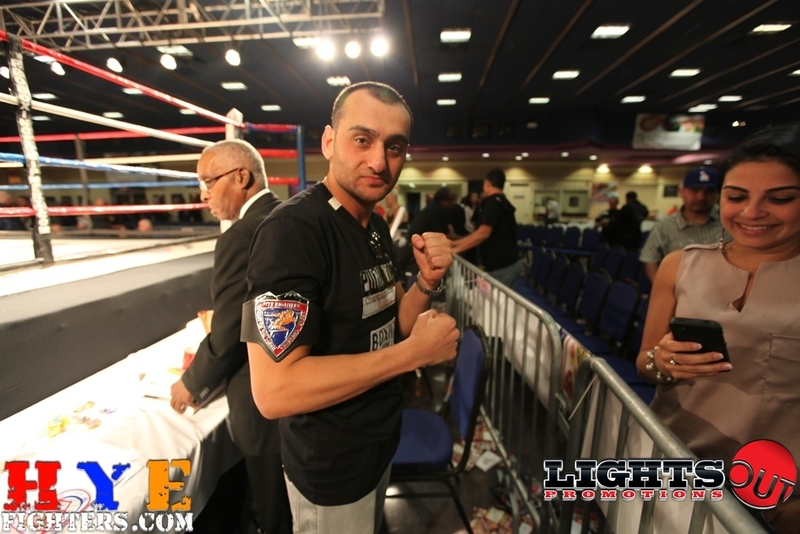 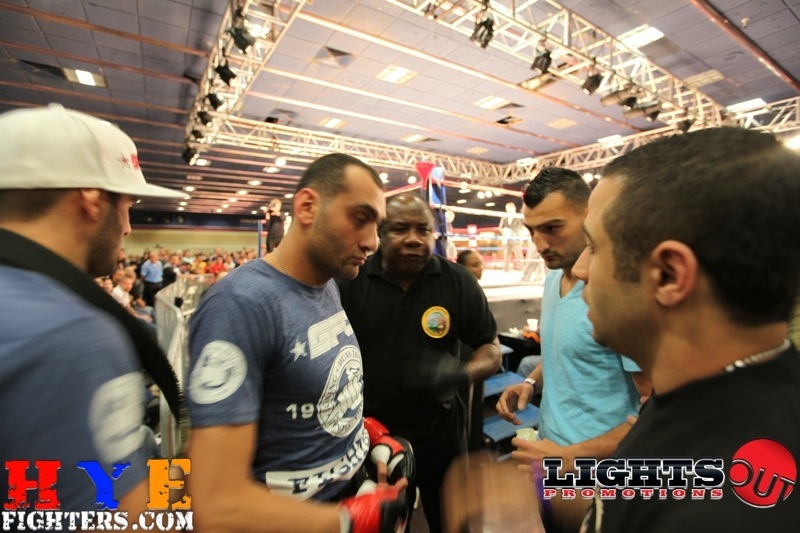 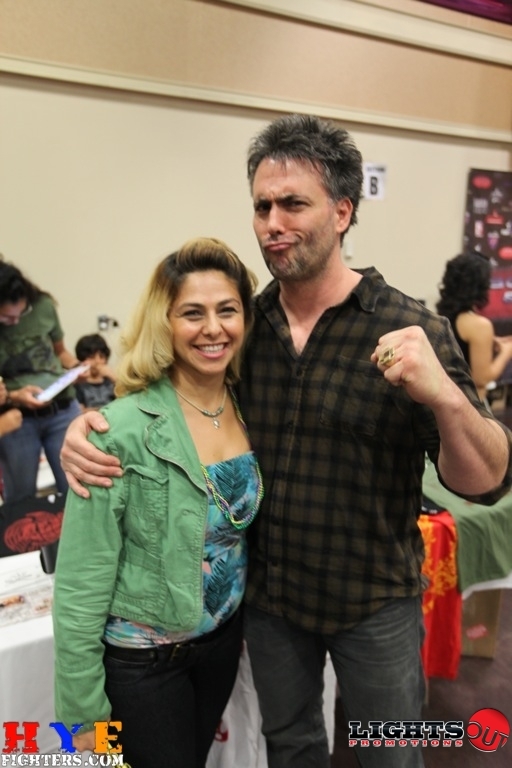 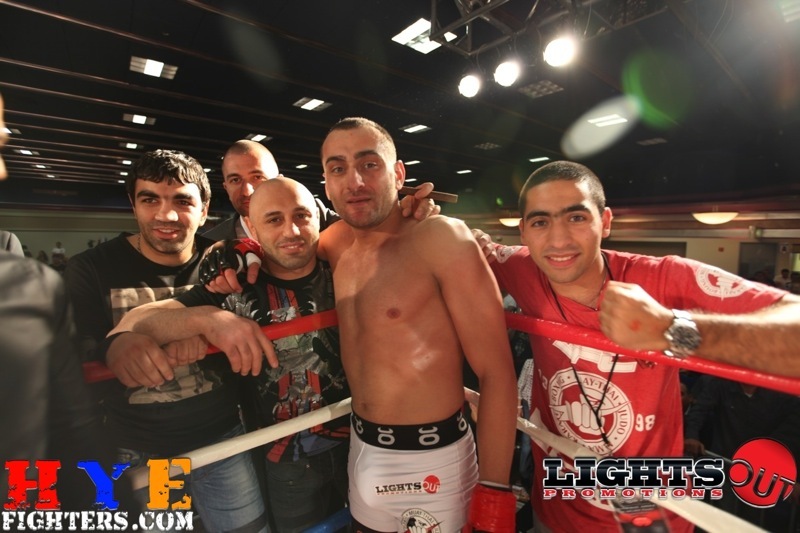 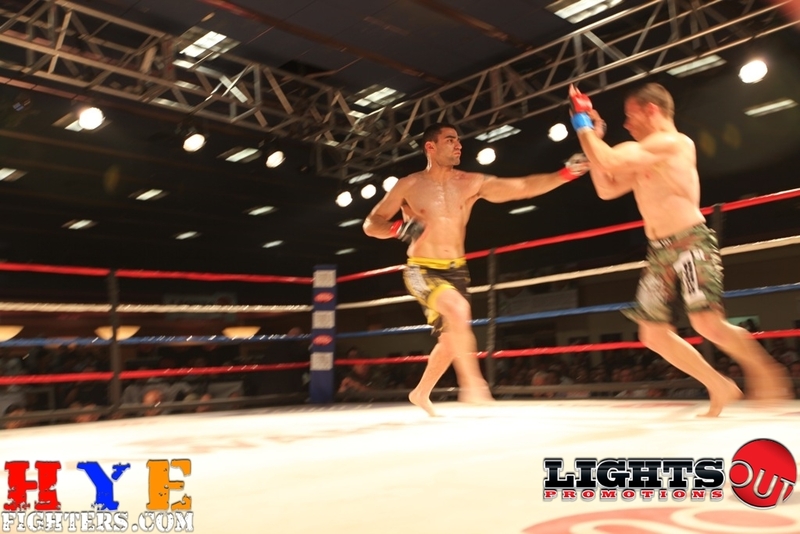 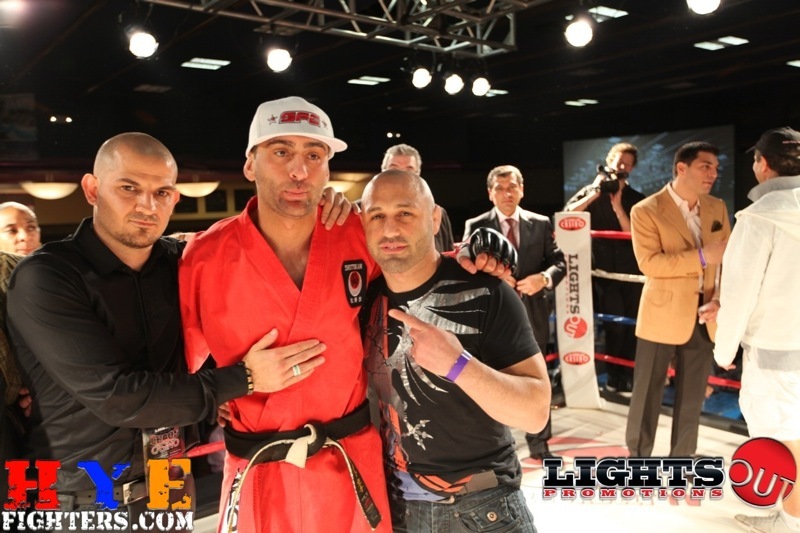 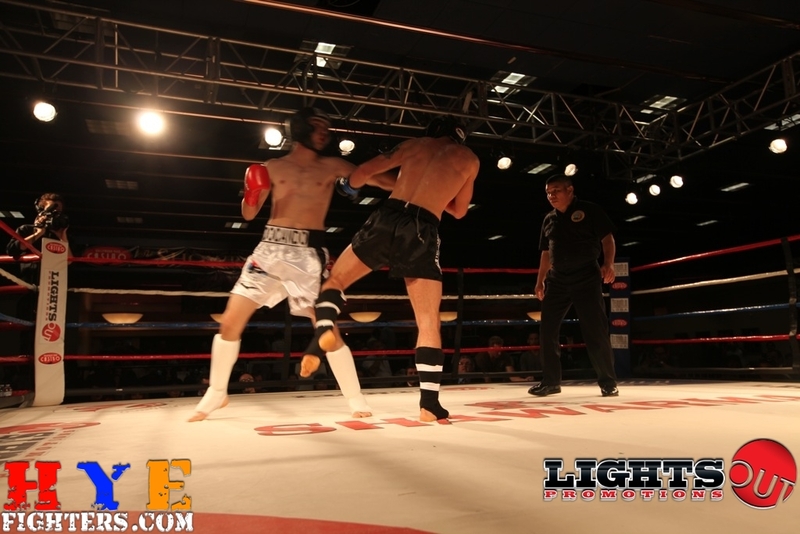 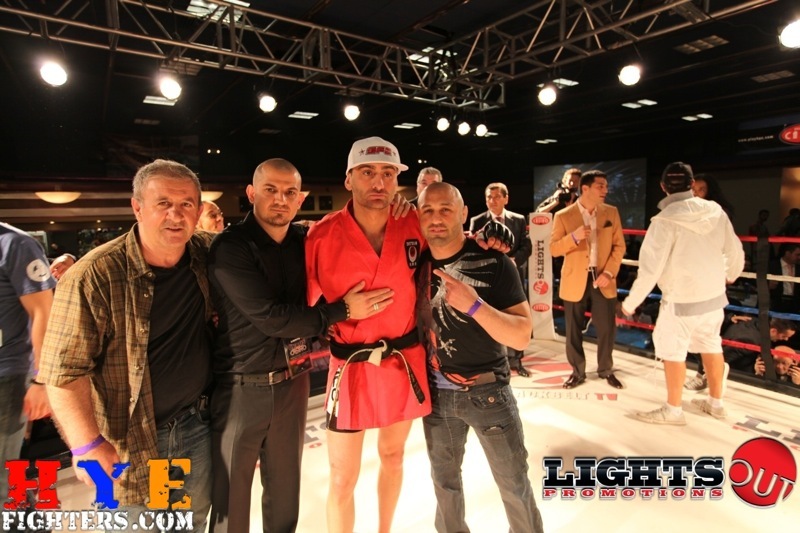 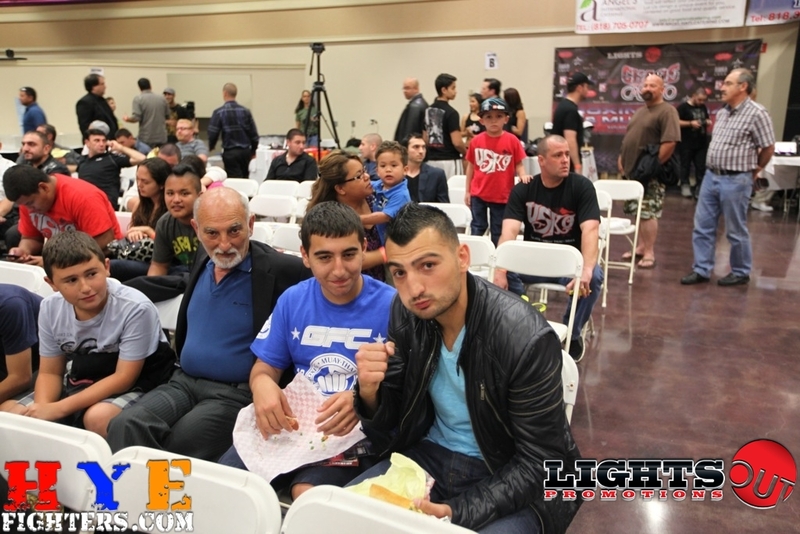 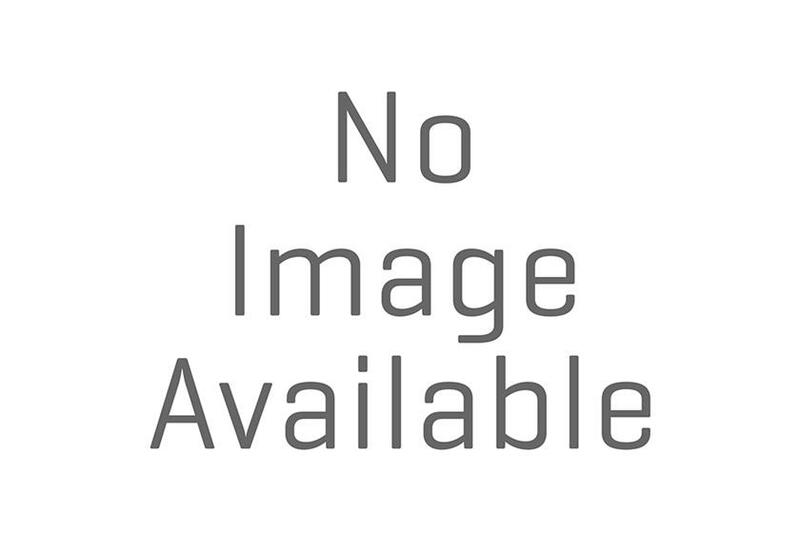 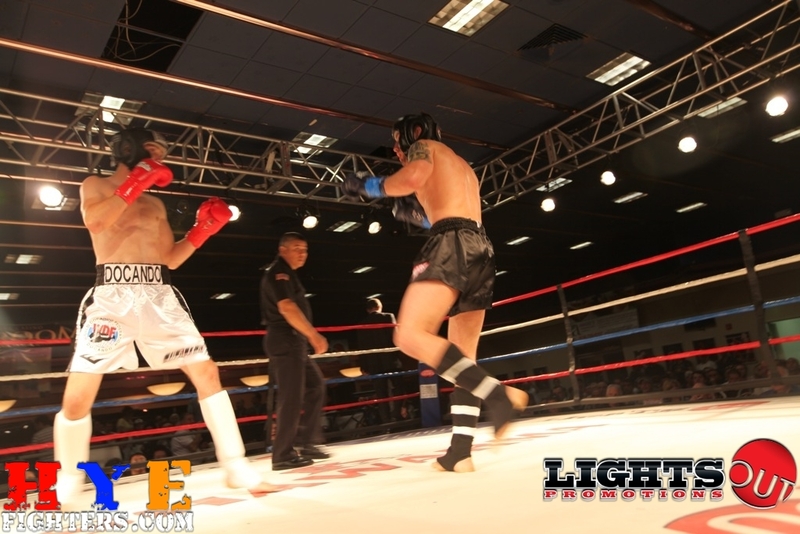 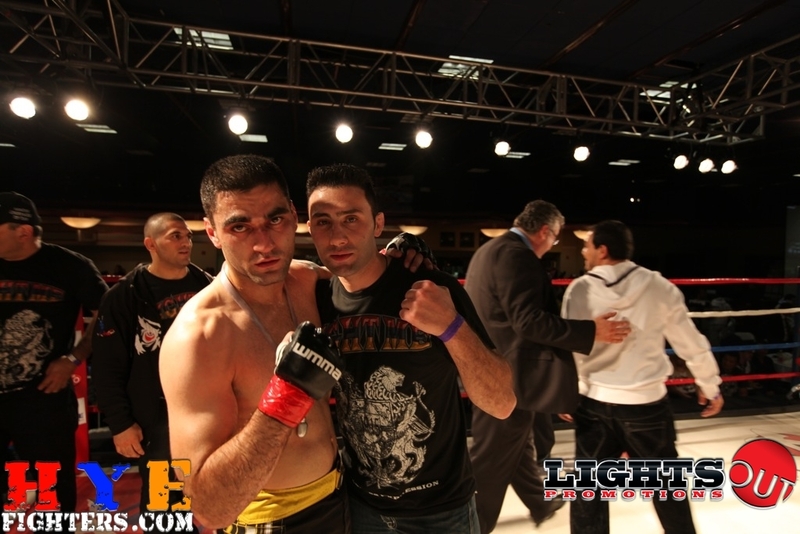 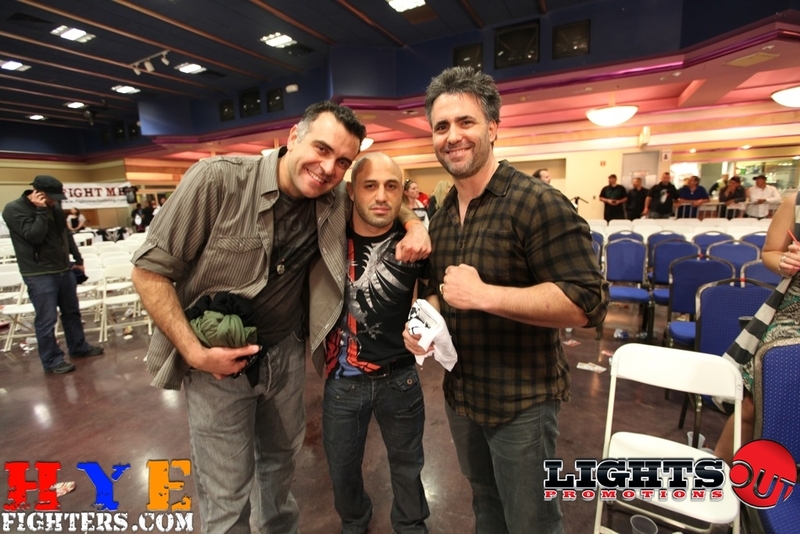 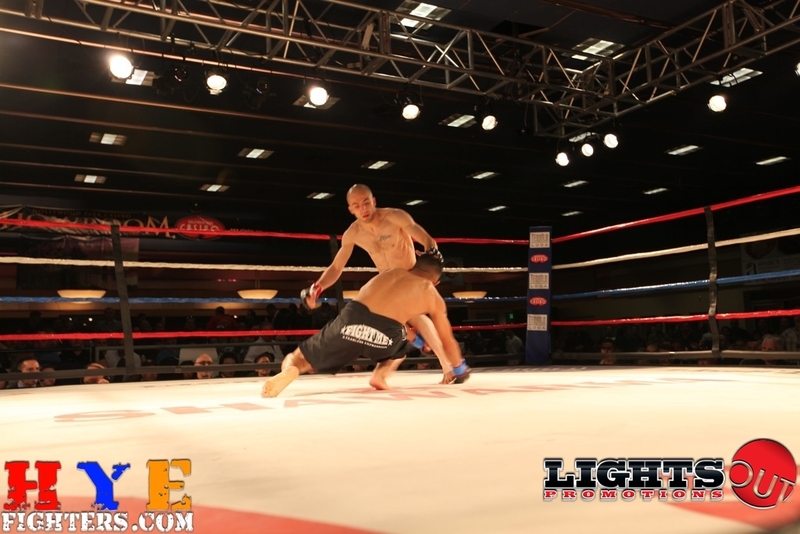 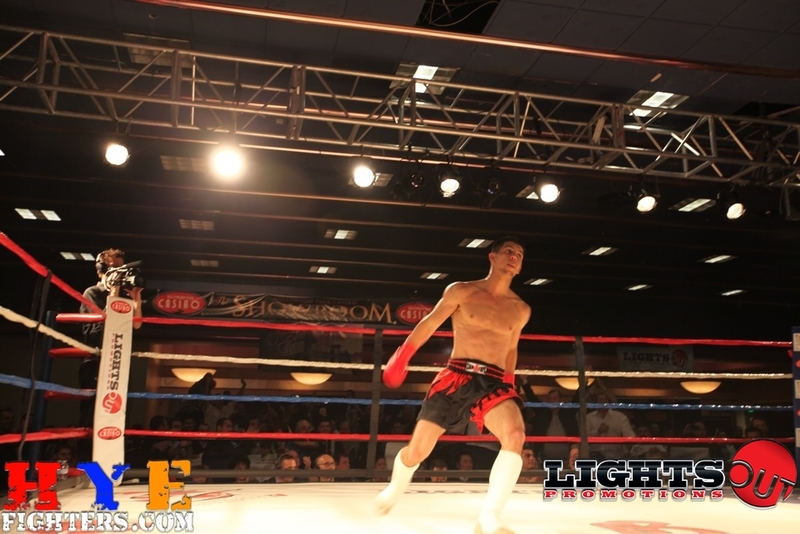 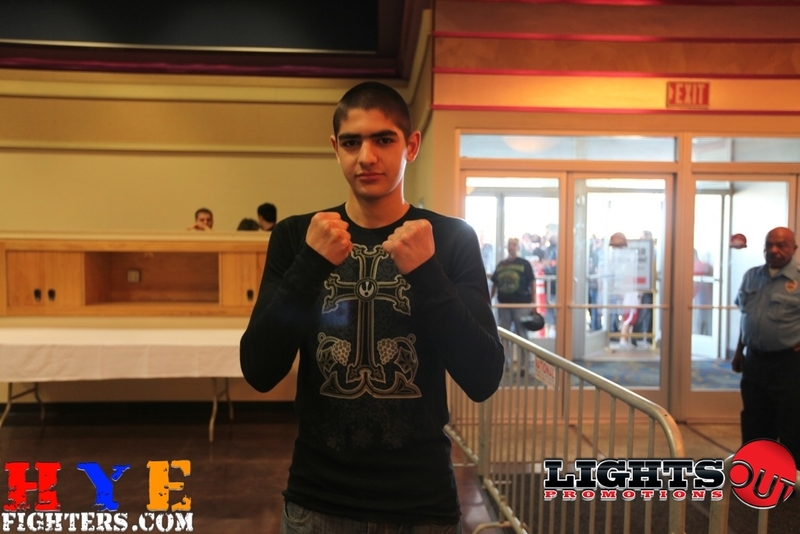 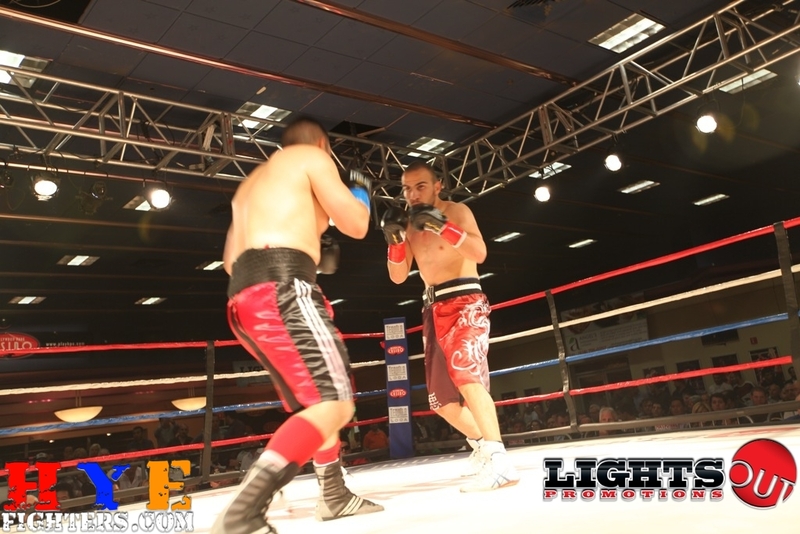 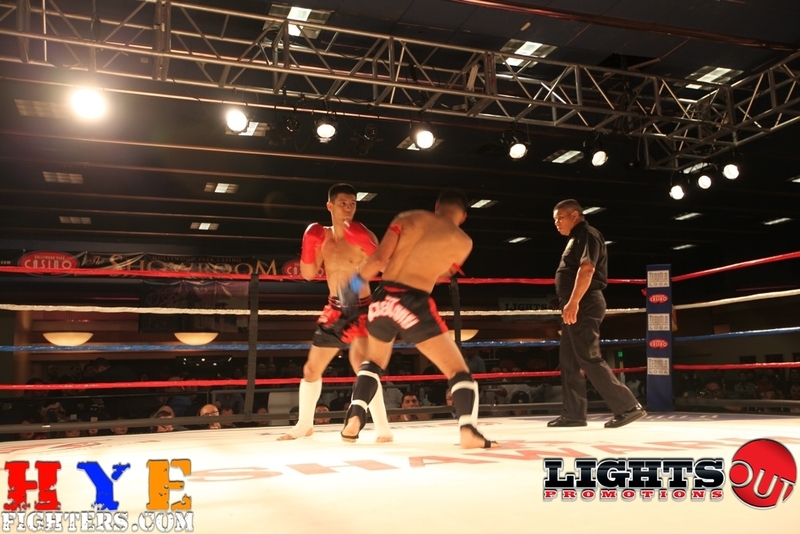 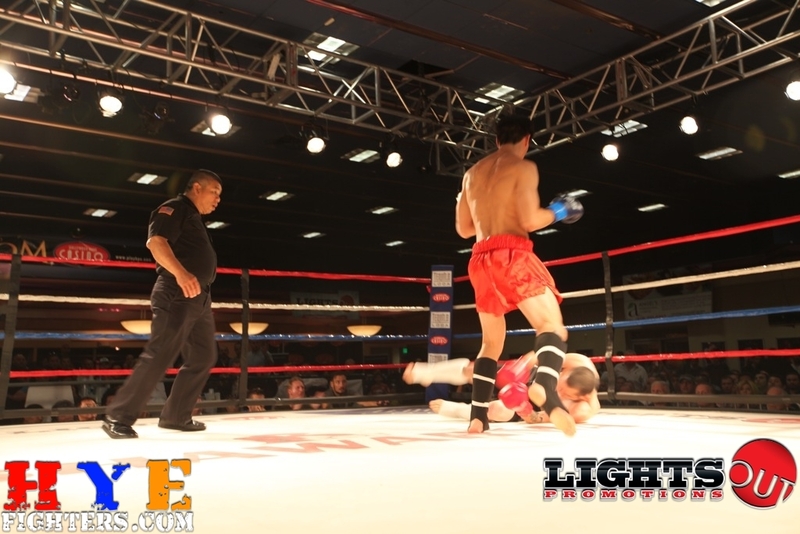 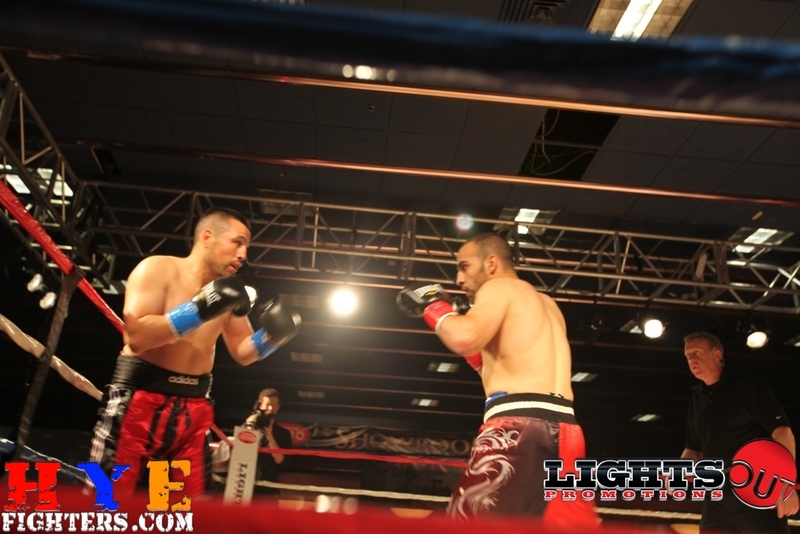 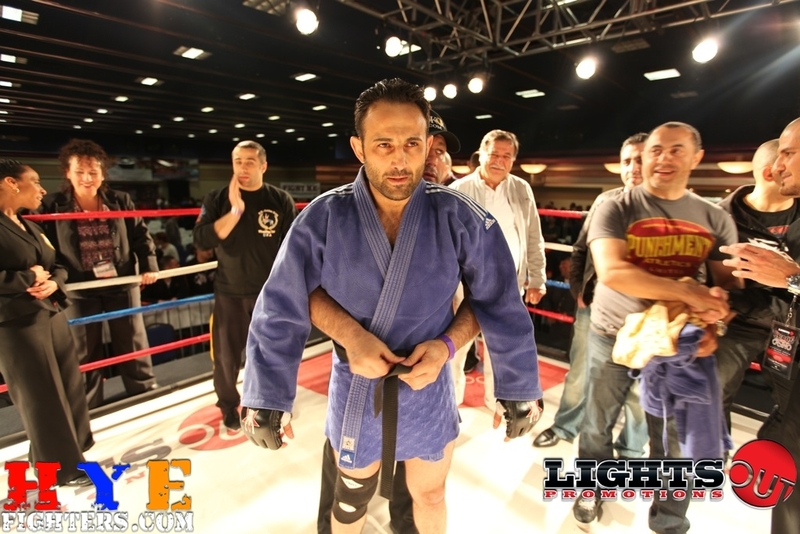 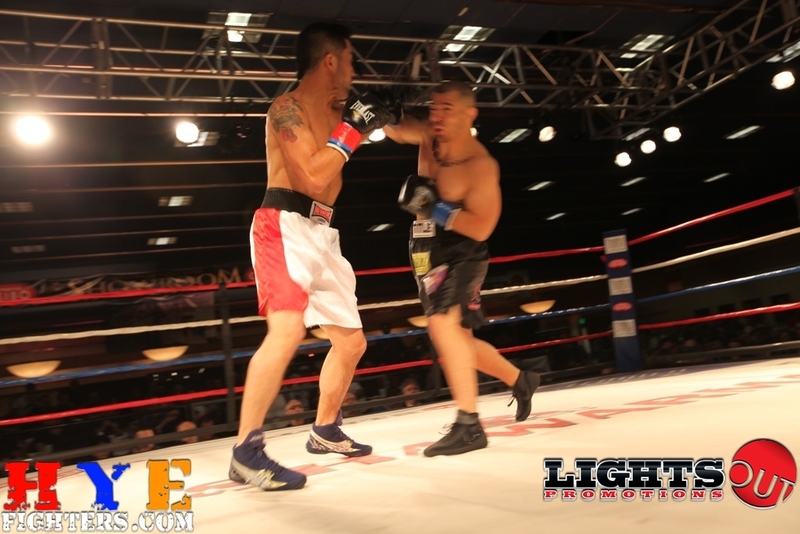 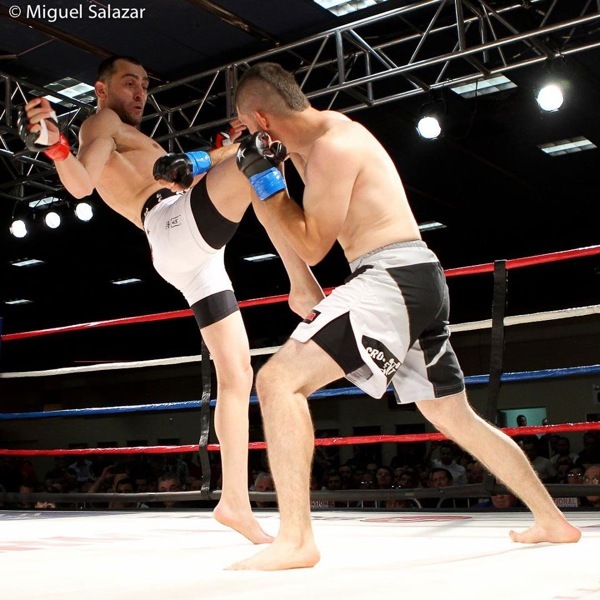 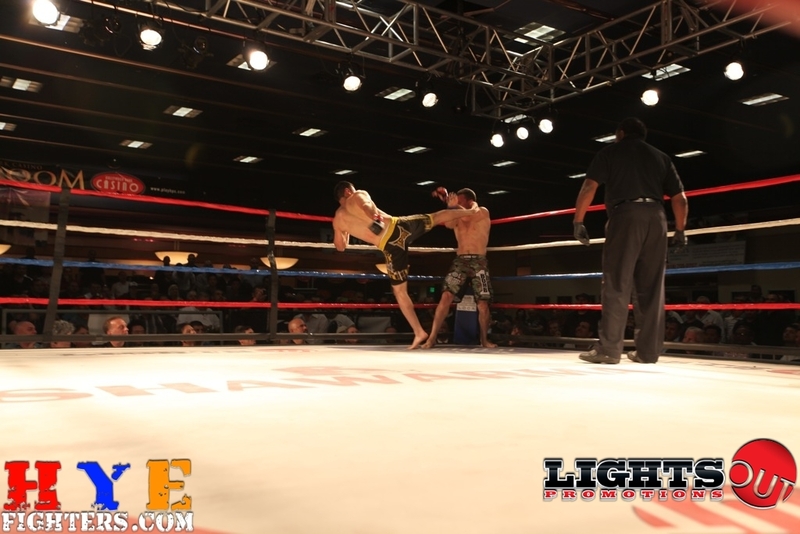 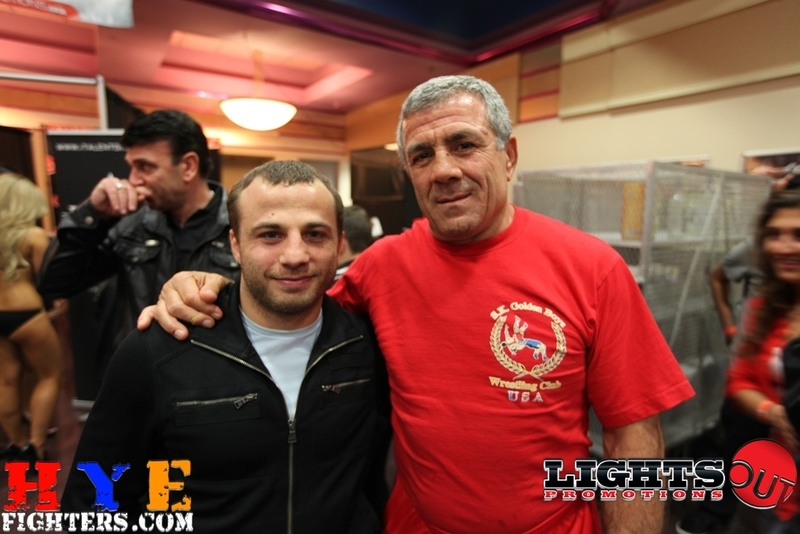 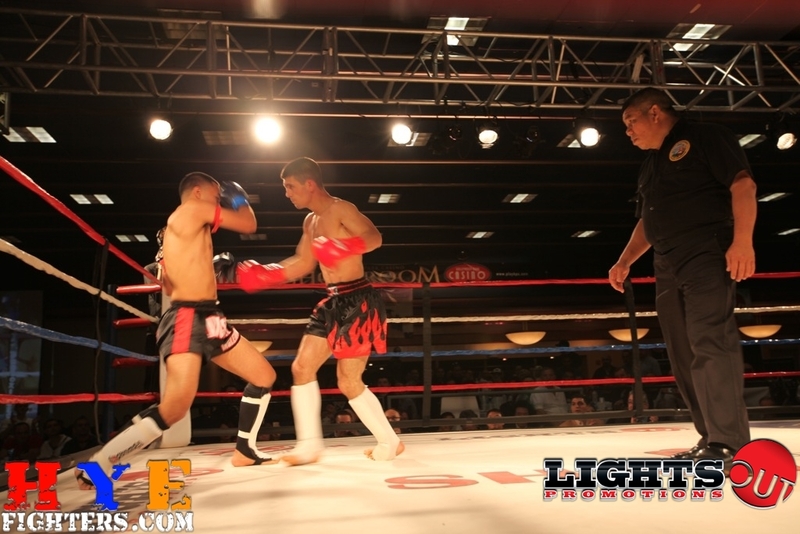 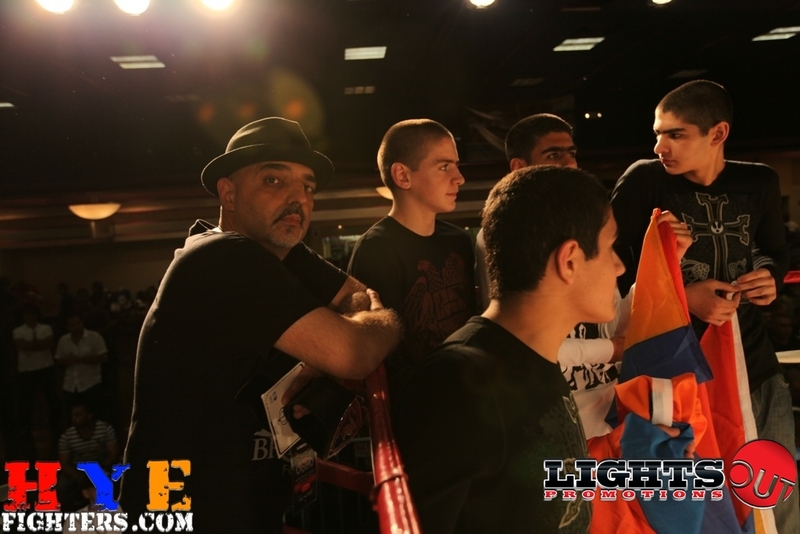 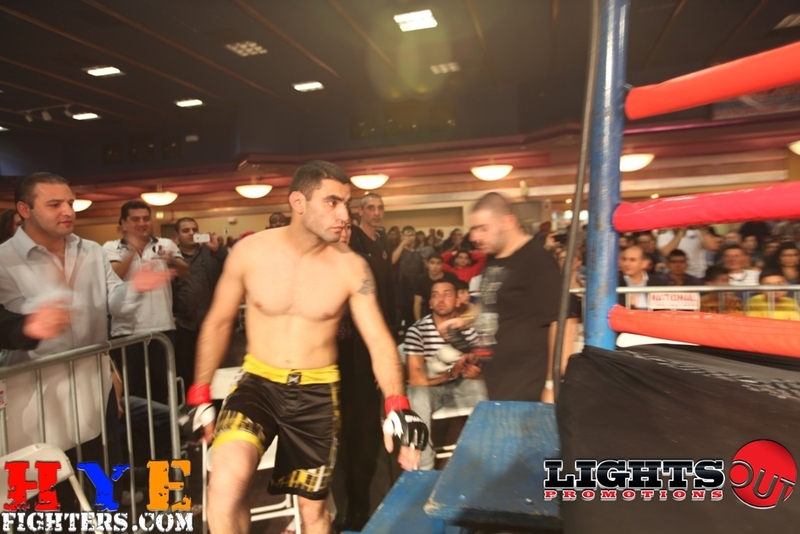 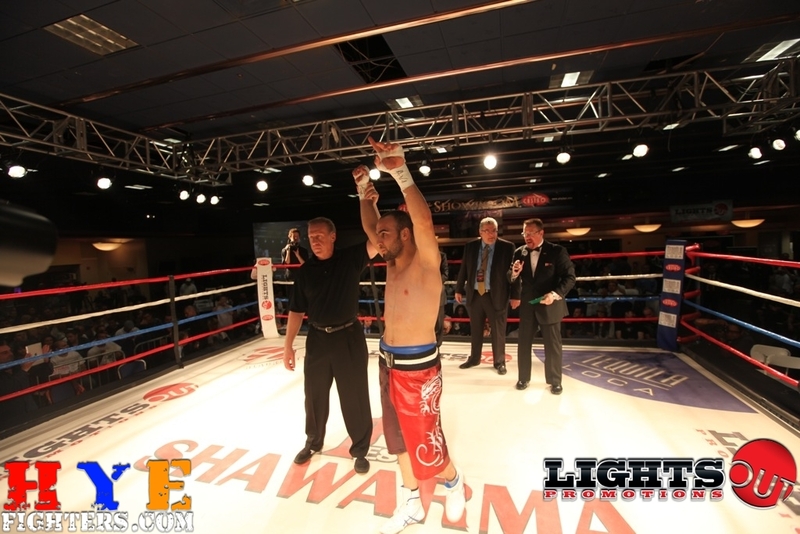 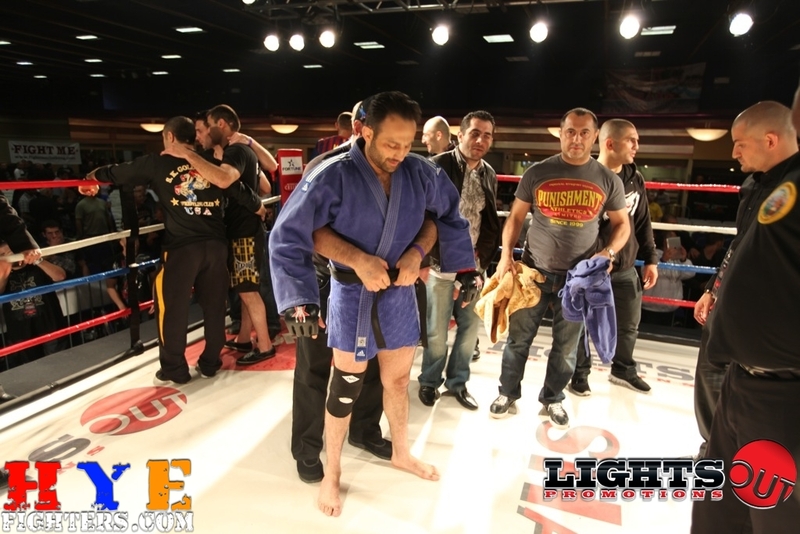 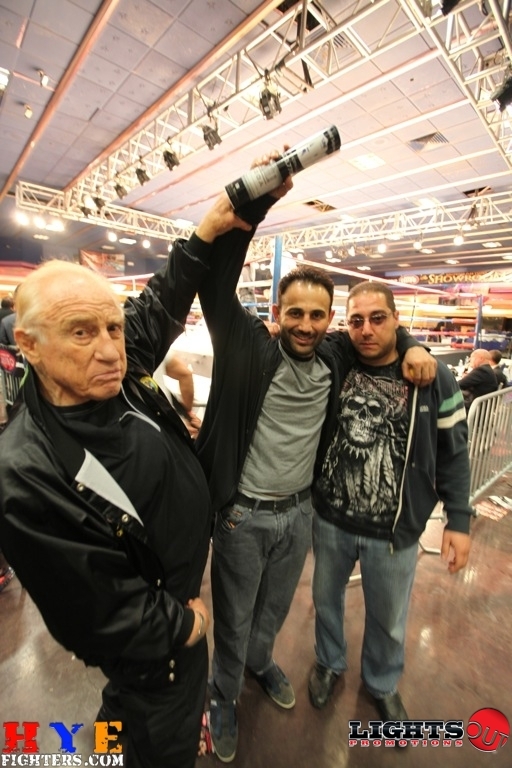 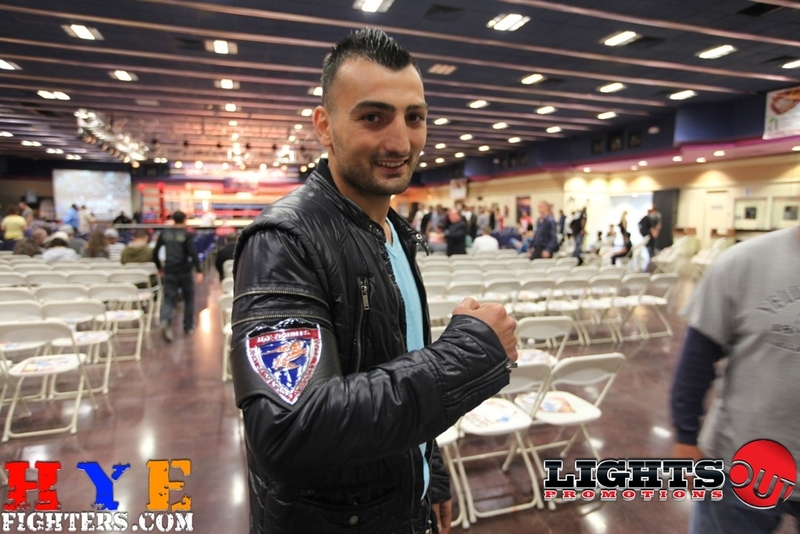 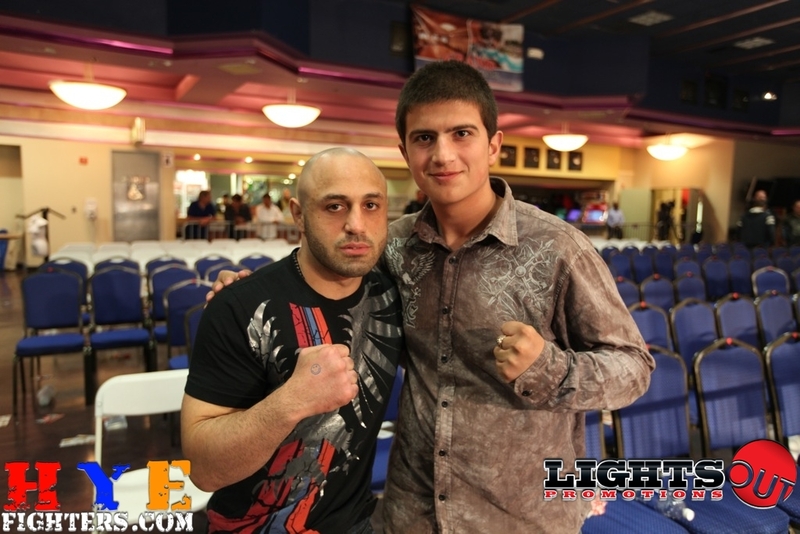 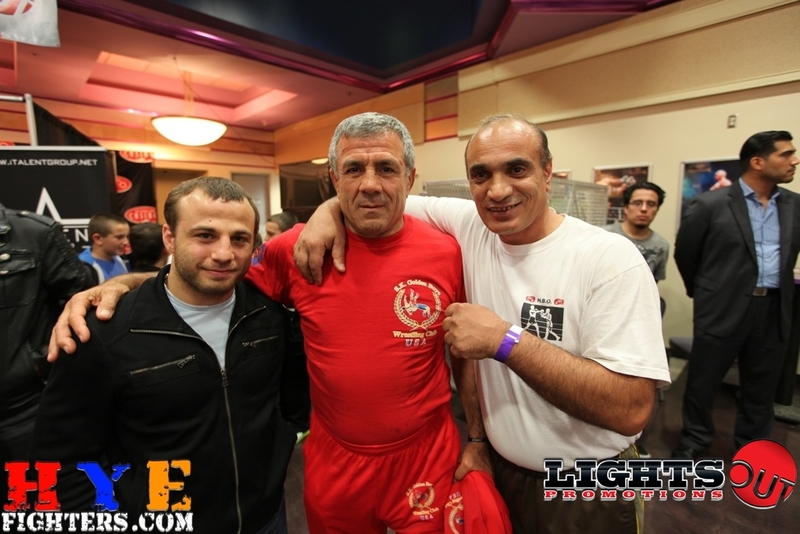 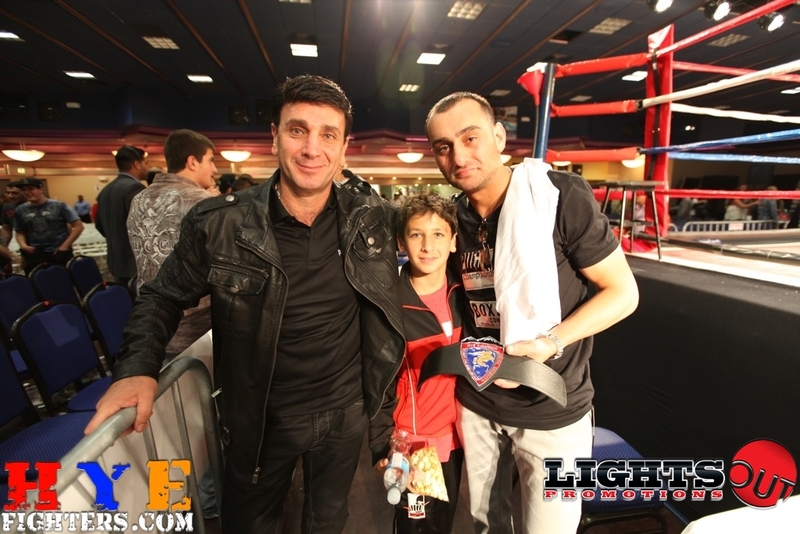 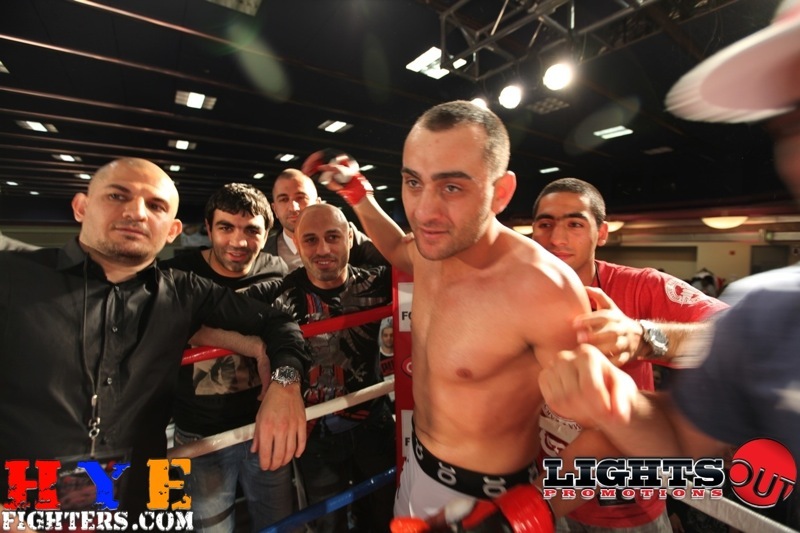 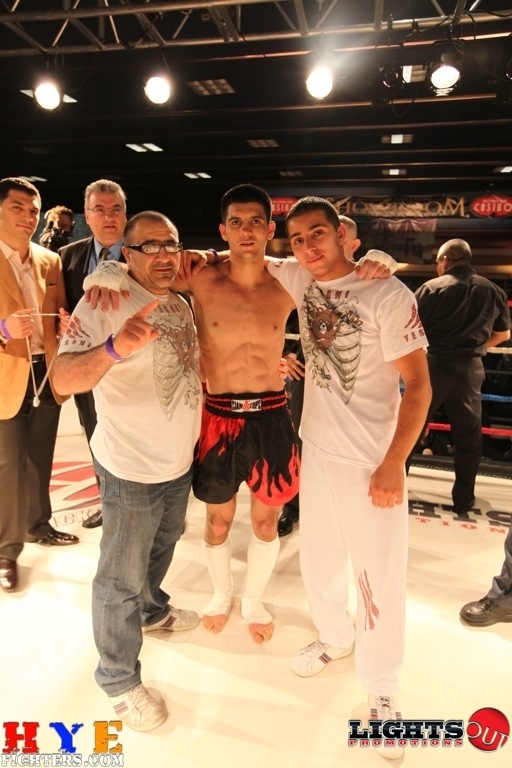 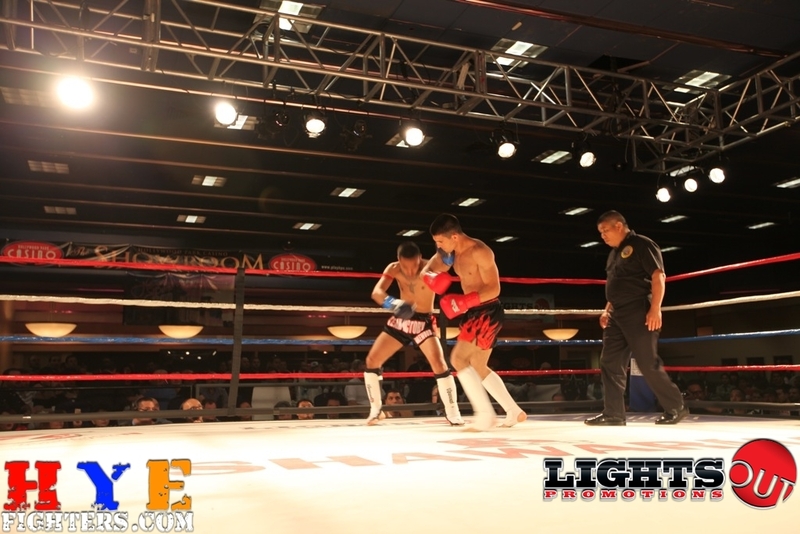 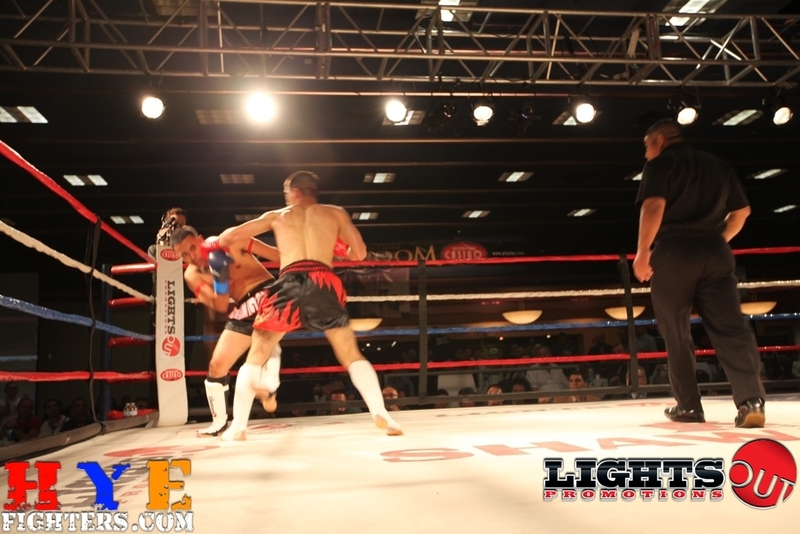 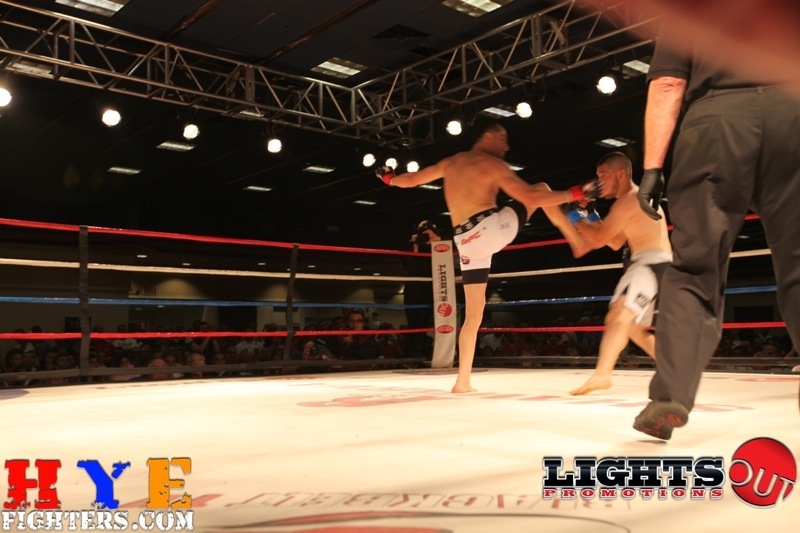 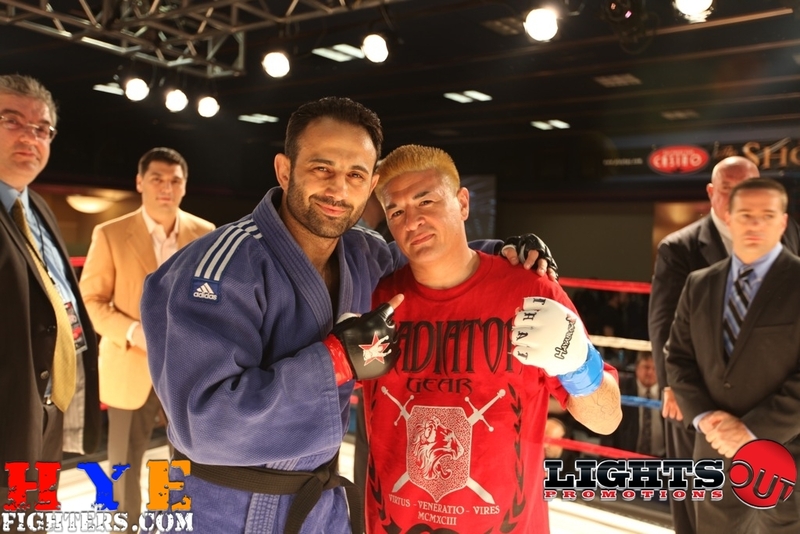 Alfred Khashakyan was spectacular in his Muay Thai fight. 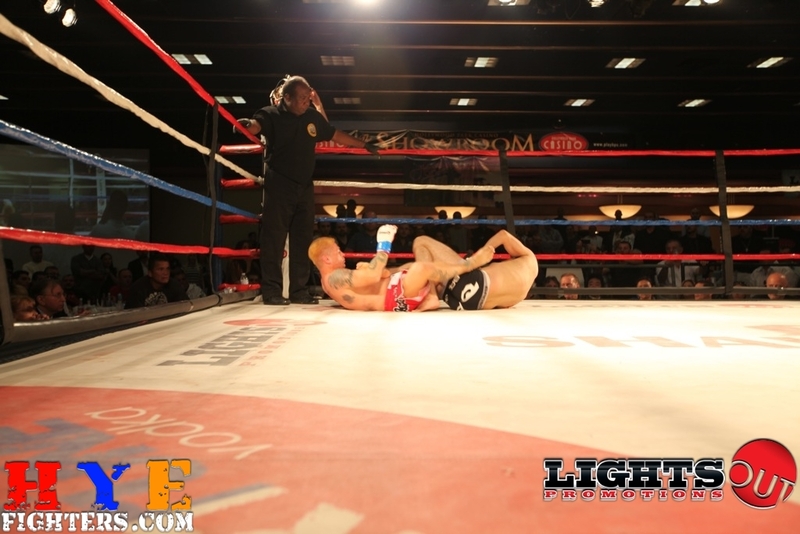 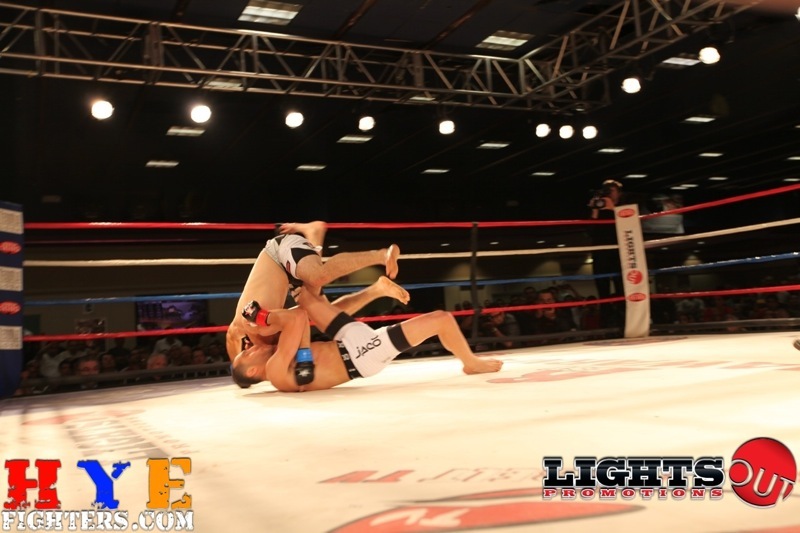 Very technical and methodical in his taking apart of his opponent until the 2nd round where he finished him off with a head-kick. 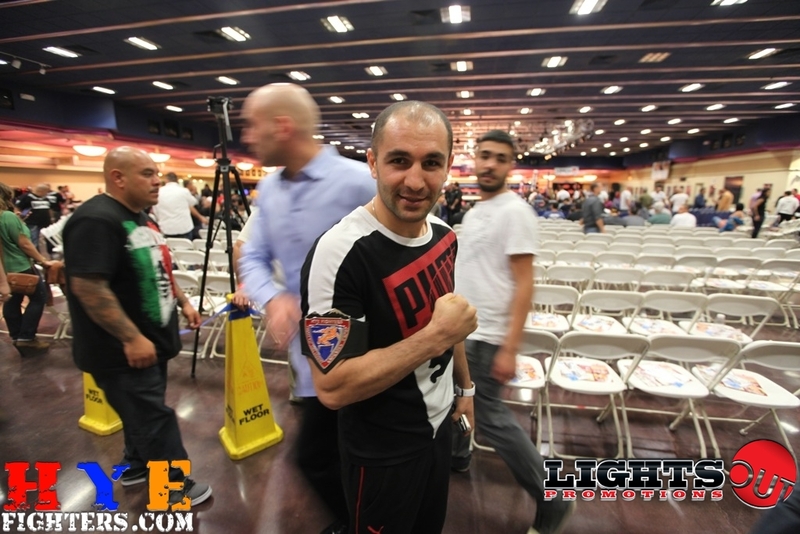 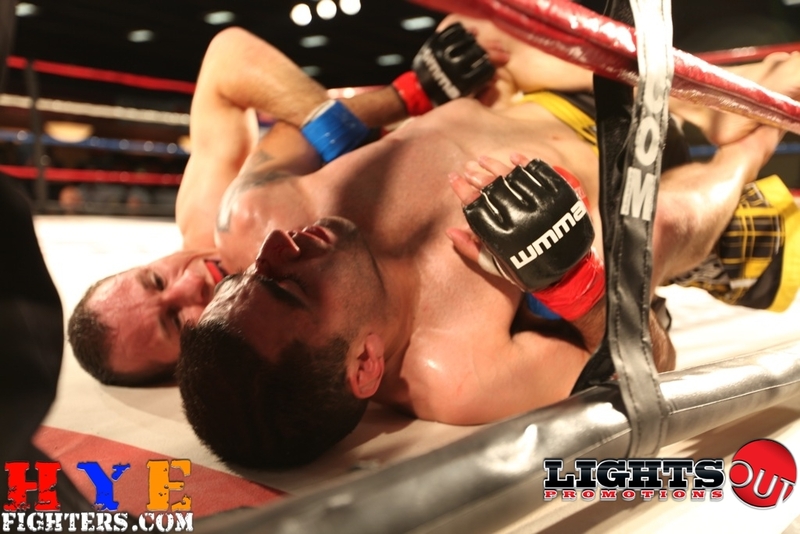 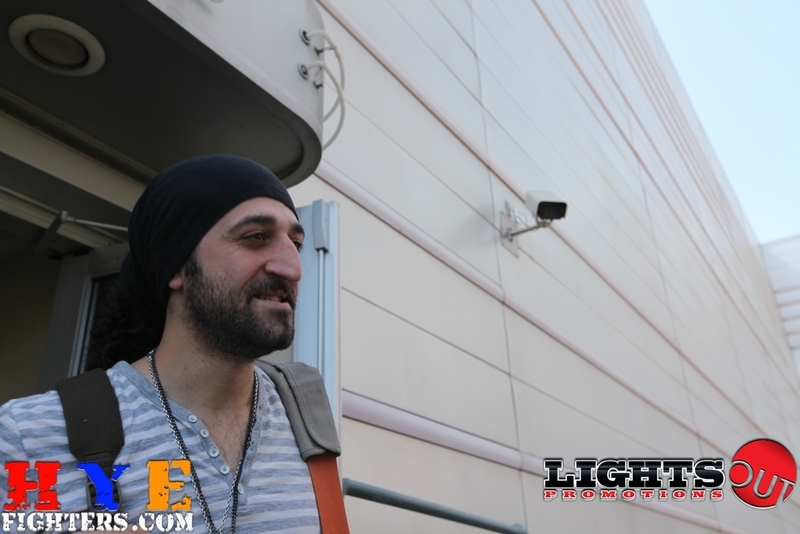 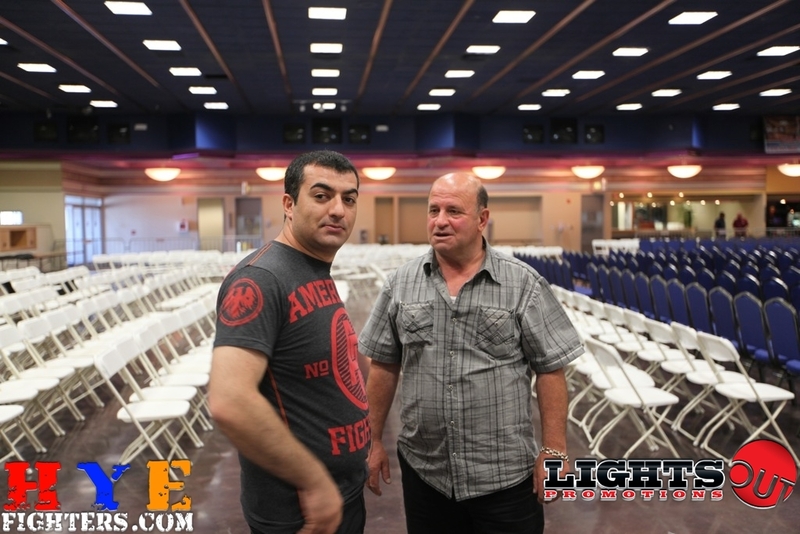 And in MMA, Edmond Tarverdyan was the obvious (and crowd favorite) choice with his devastating flying knee KO. 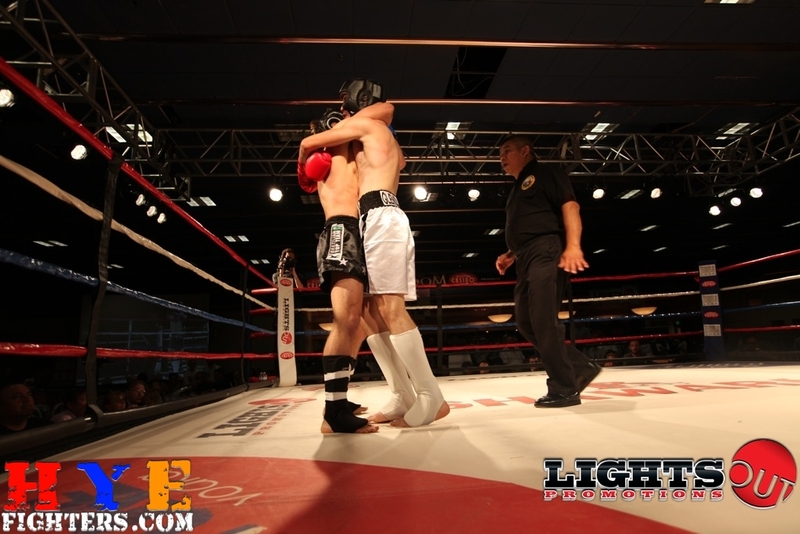 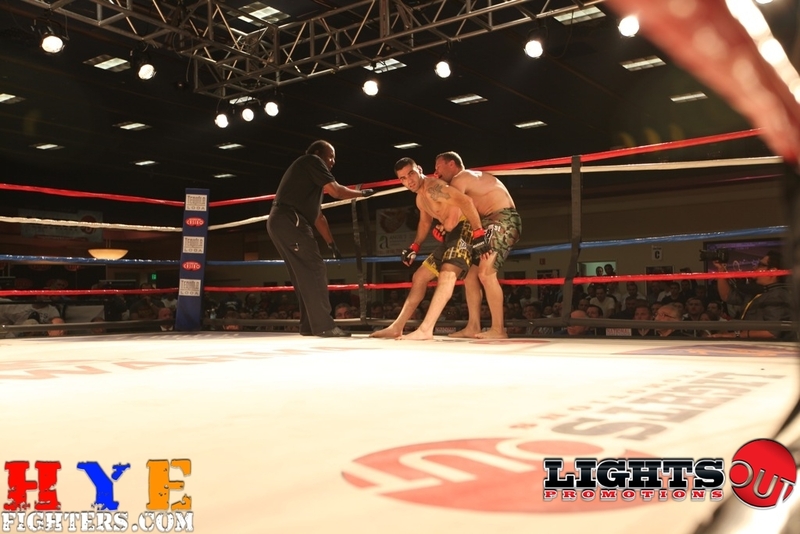 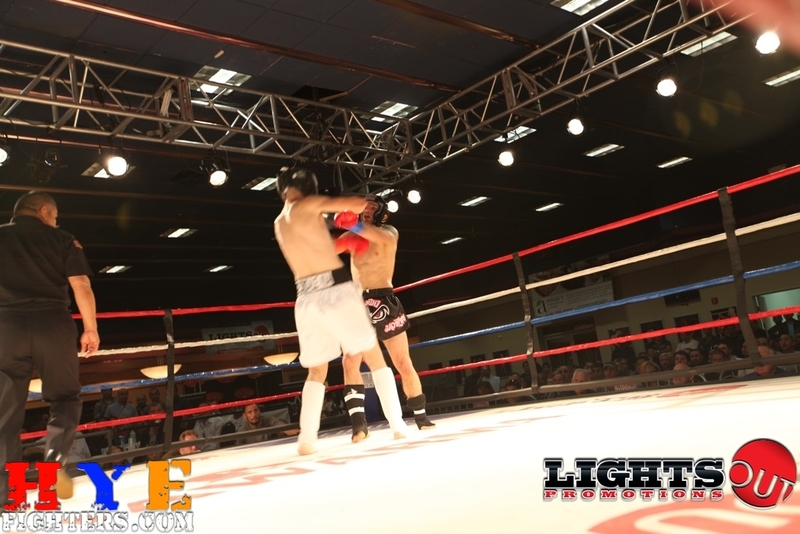 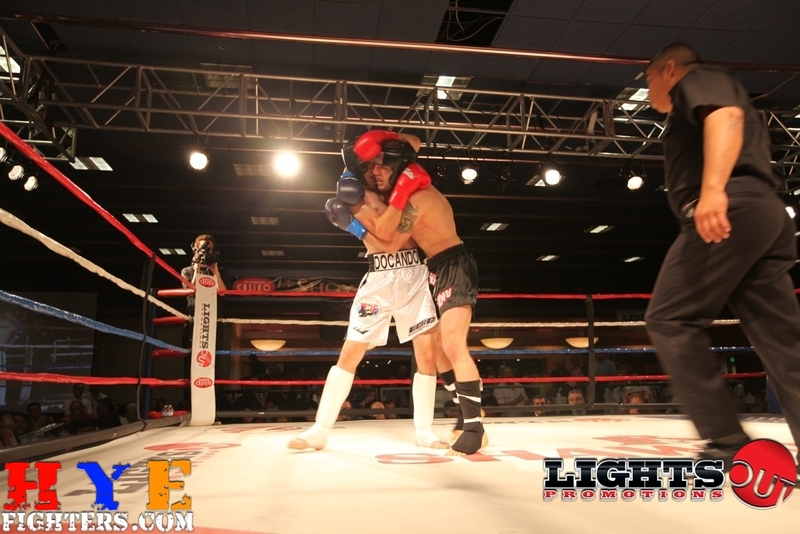 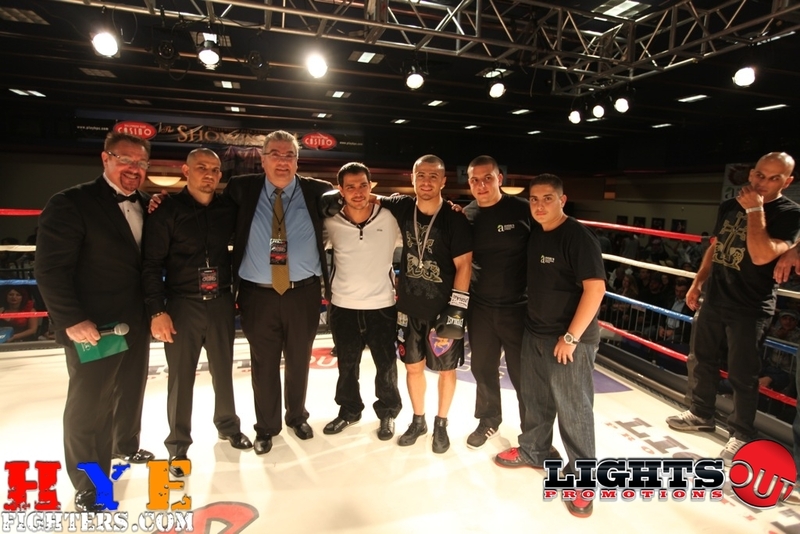 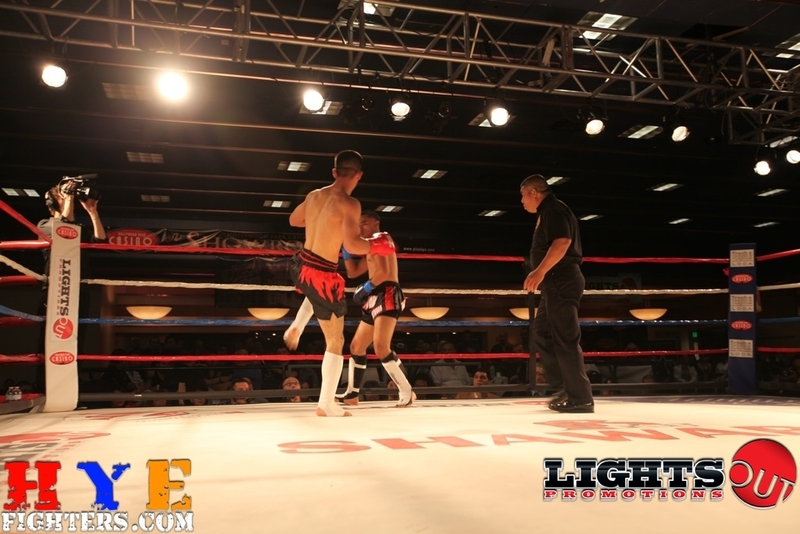 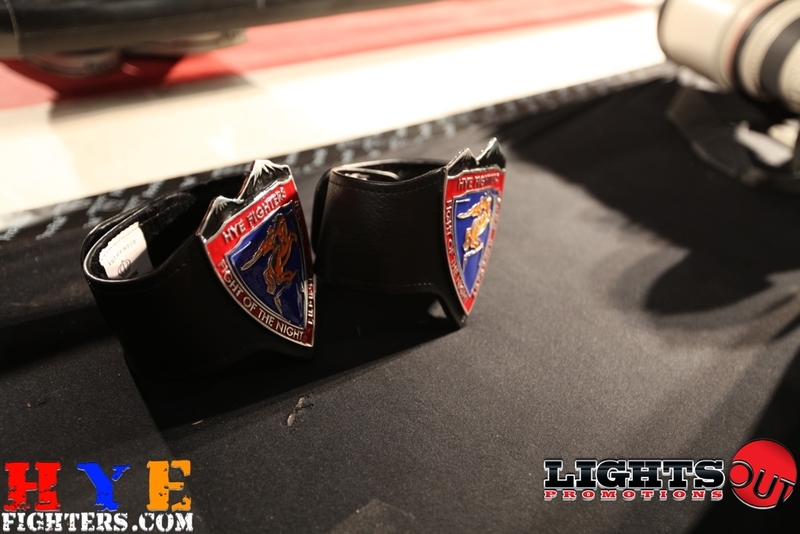 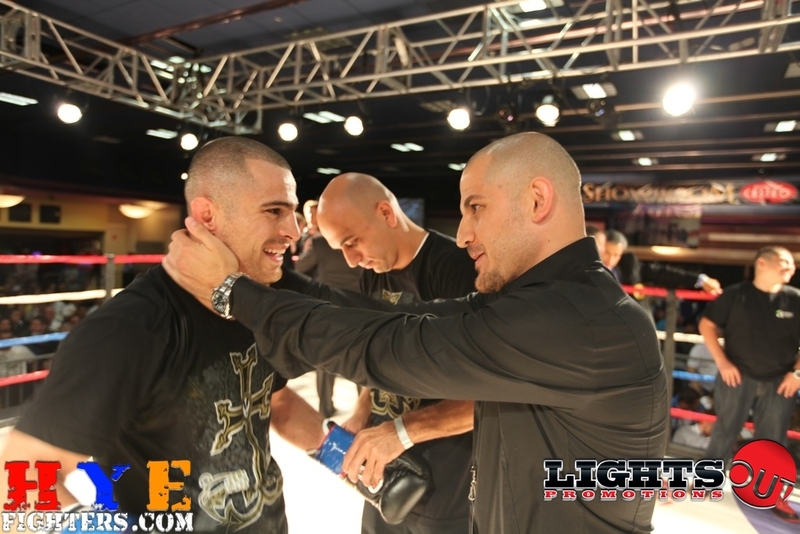 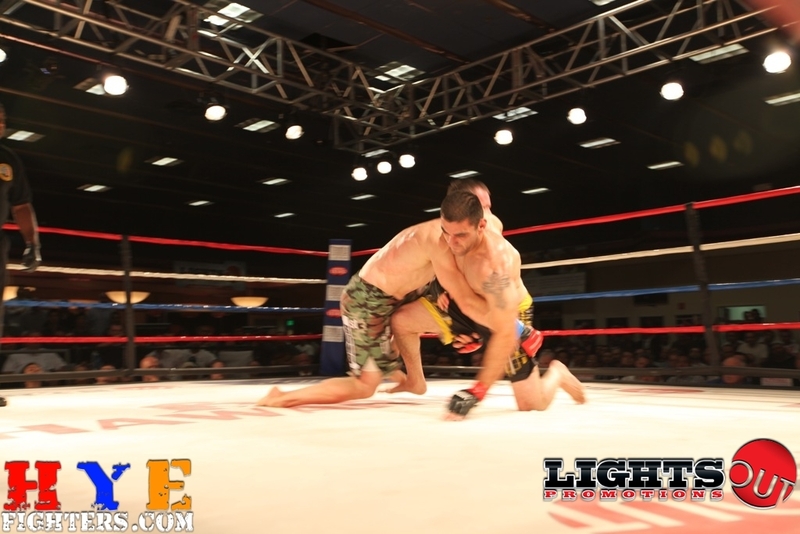 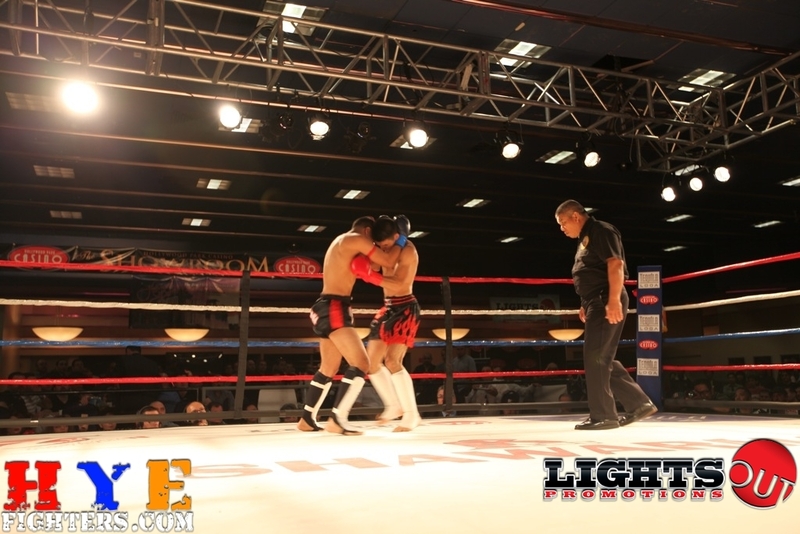 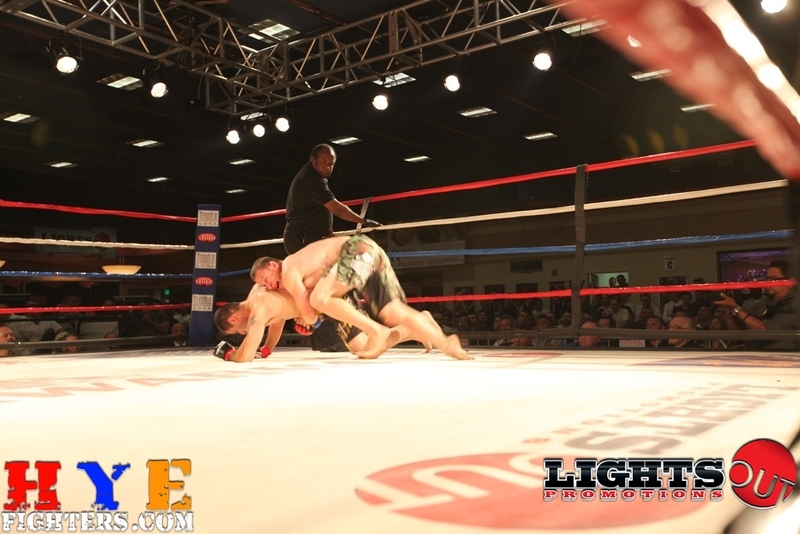 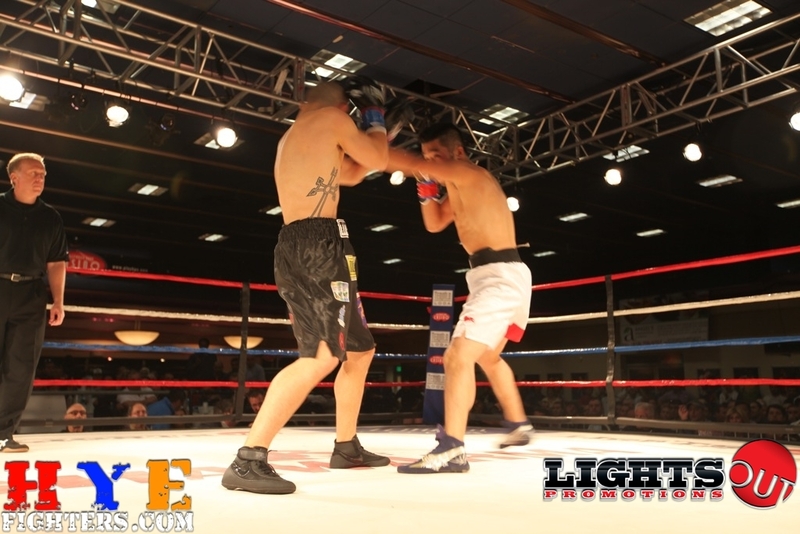 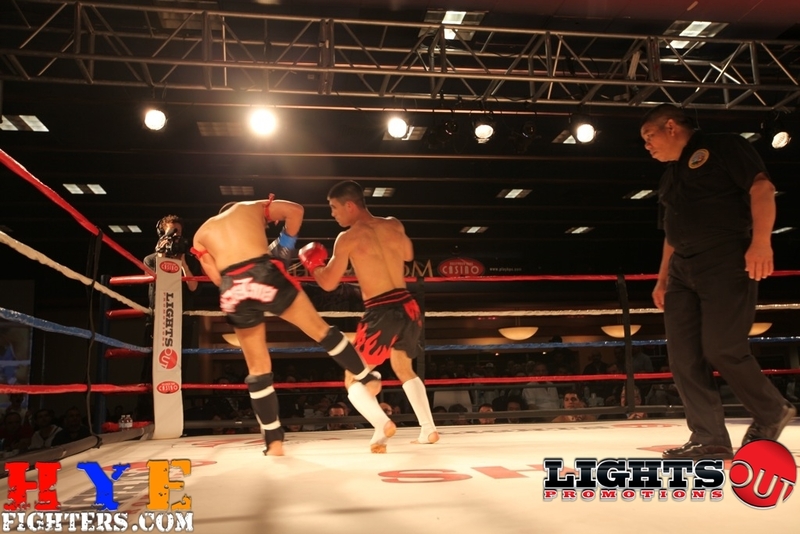 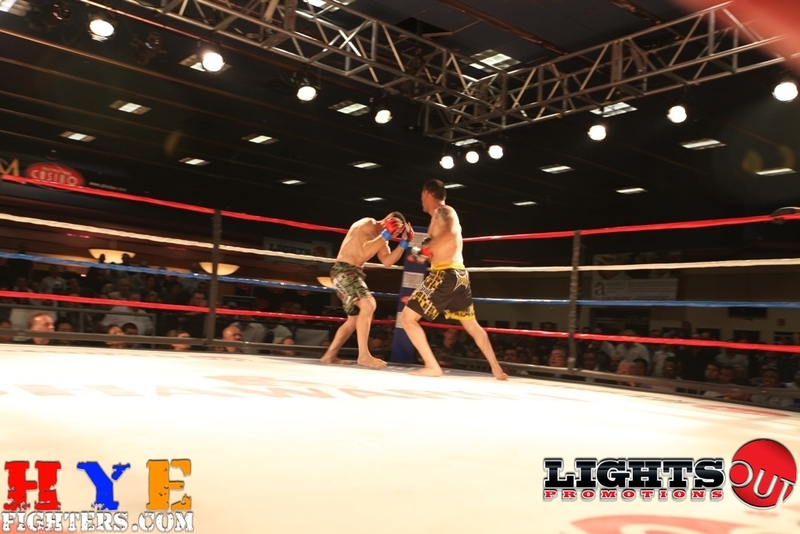 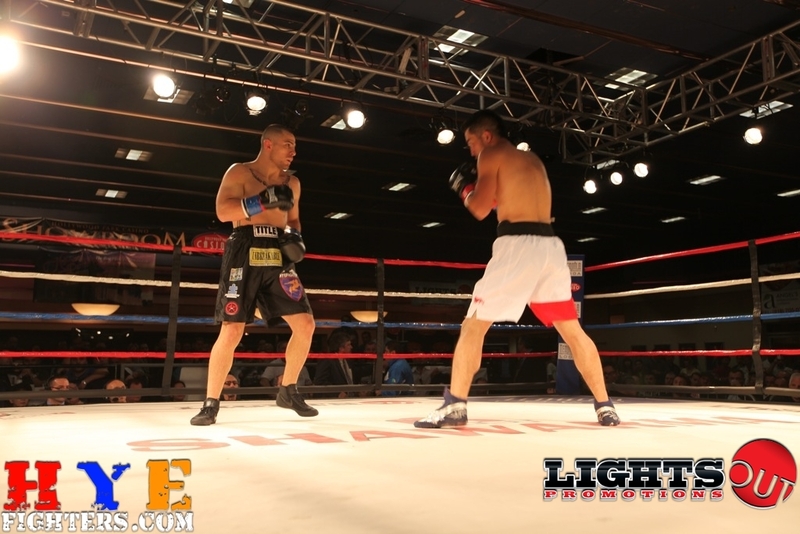 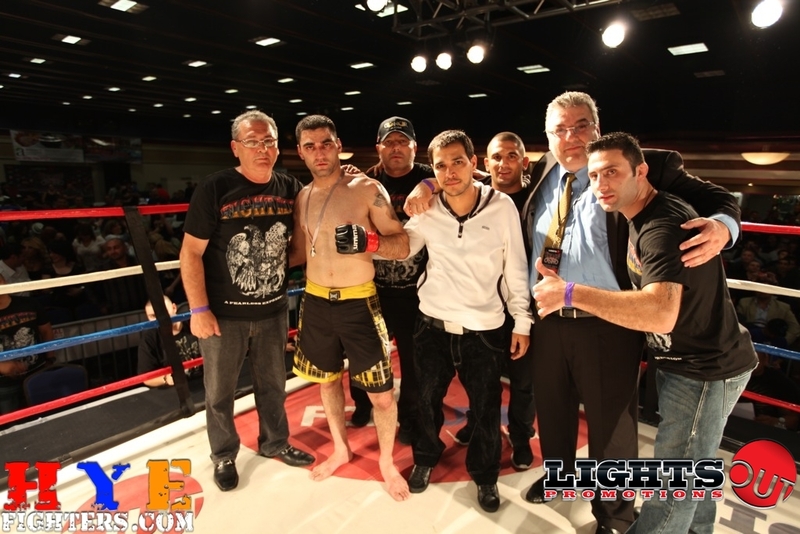 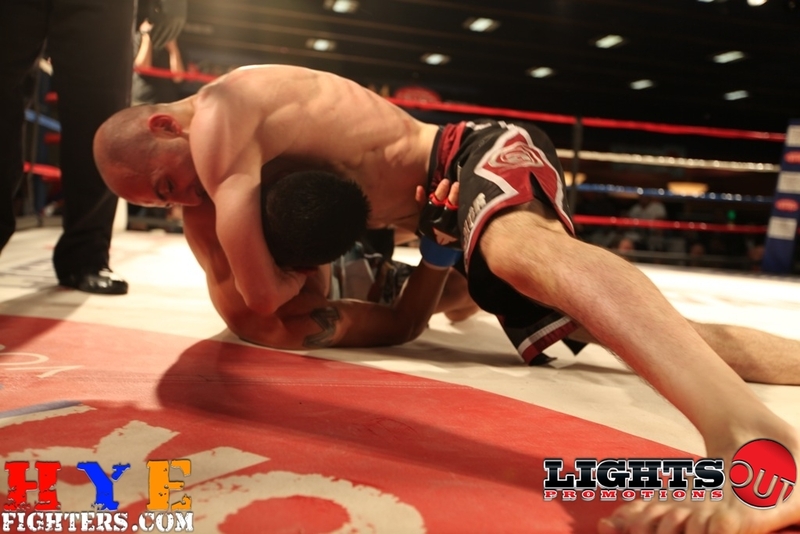 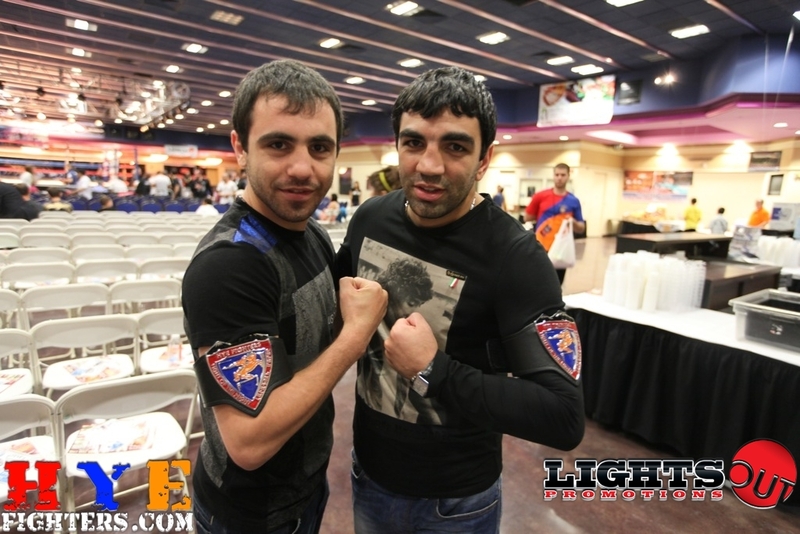 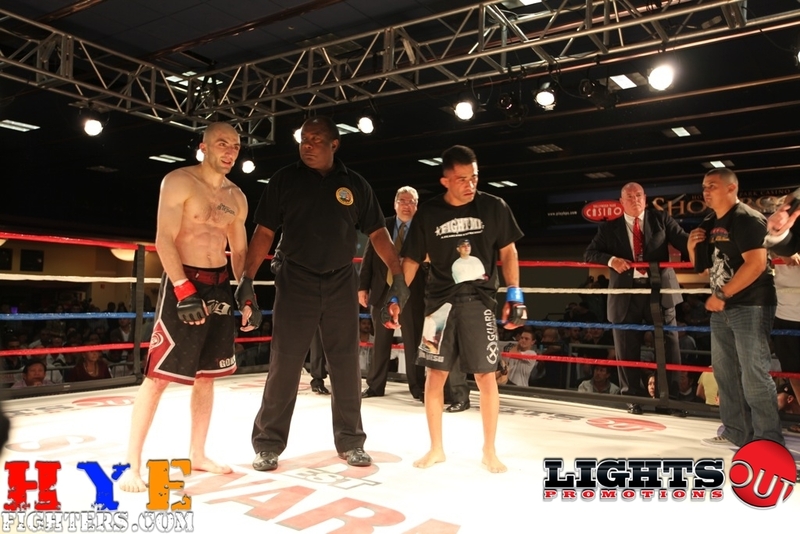 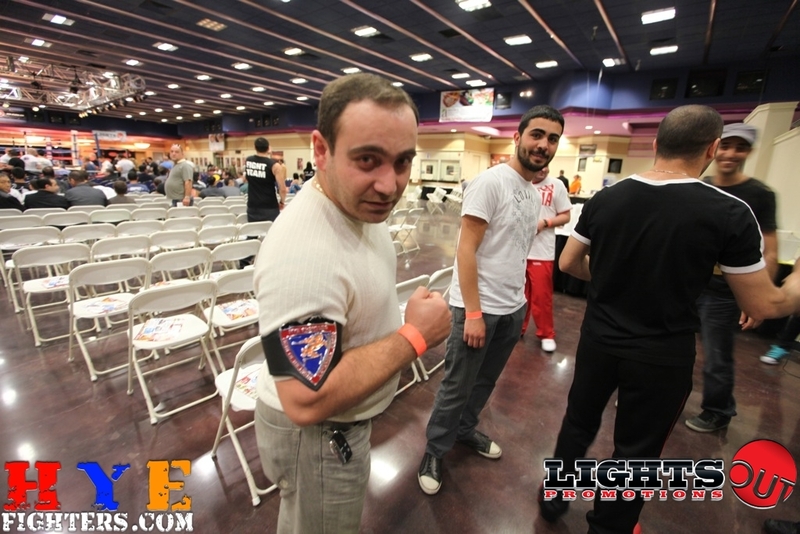 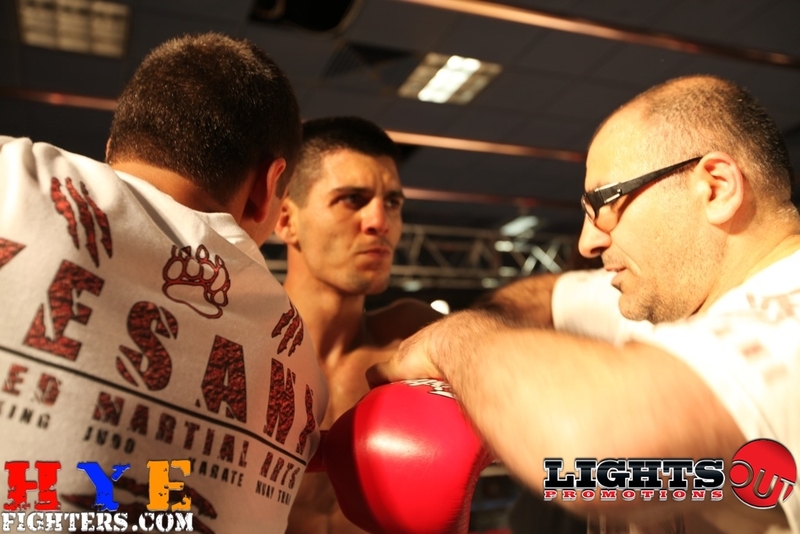 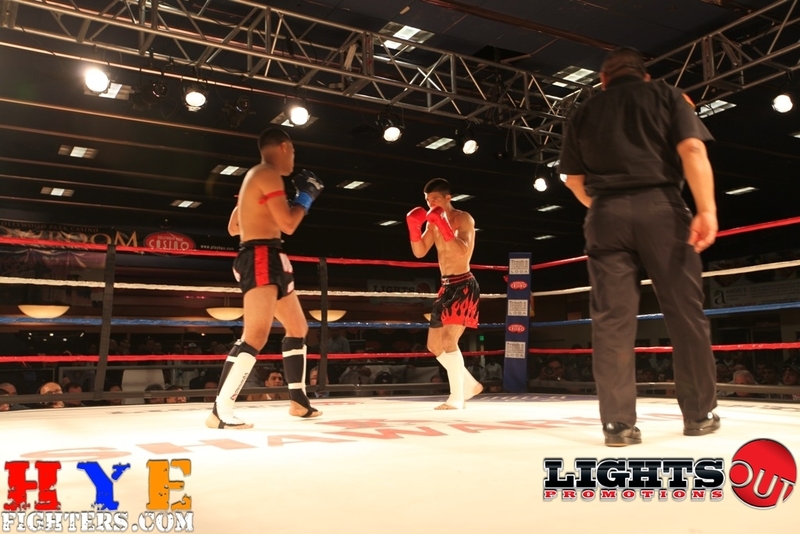 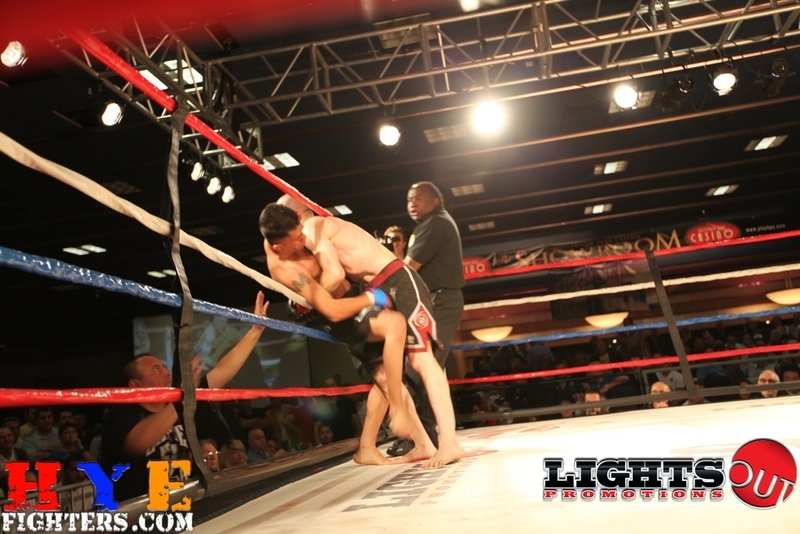 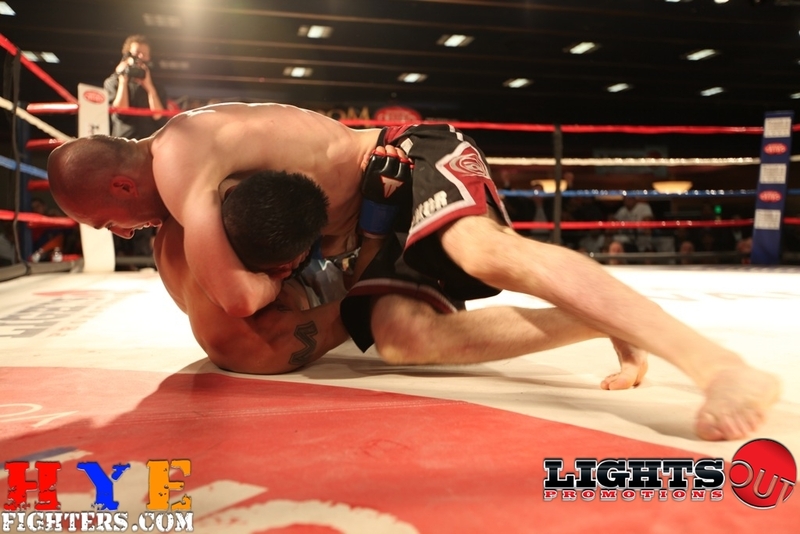 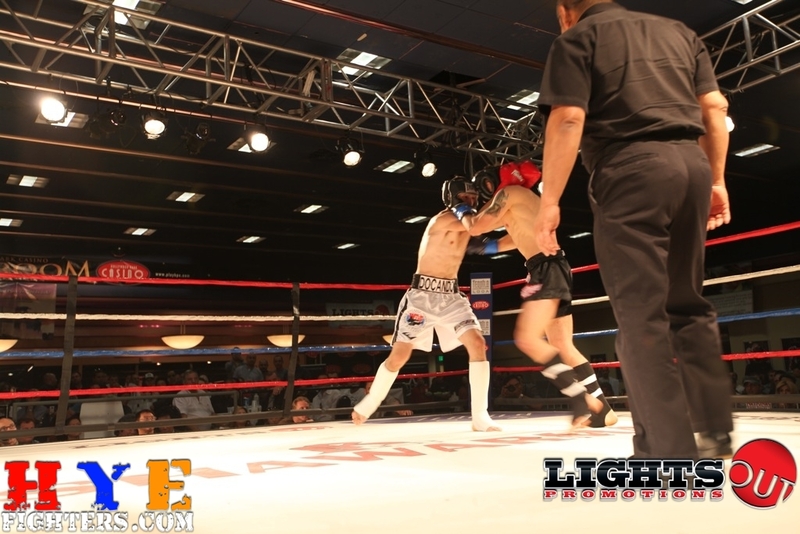 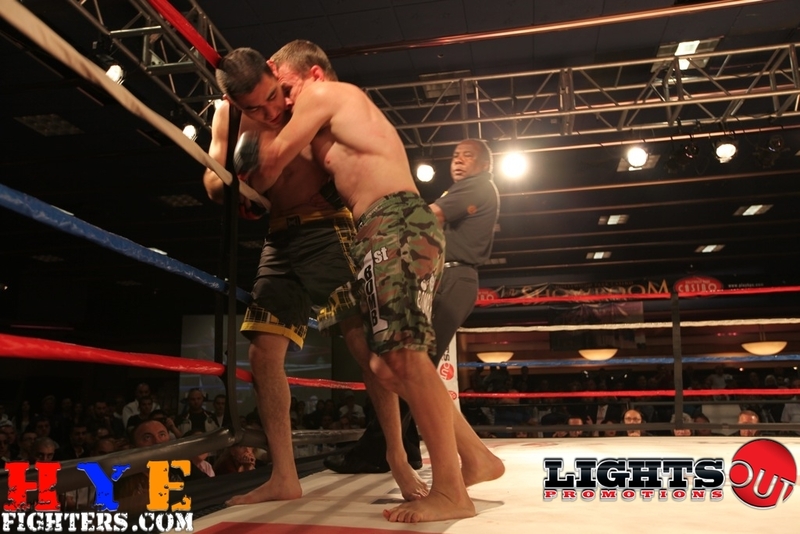 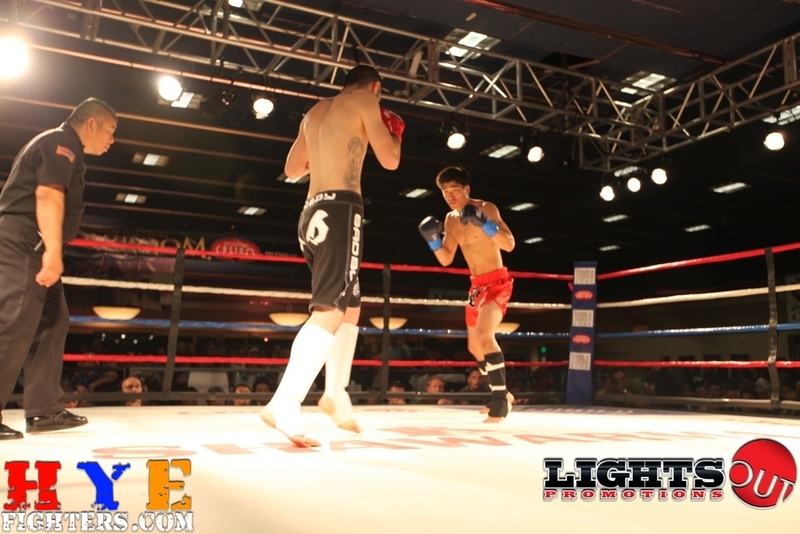 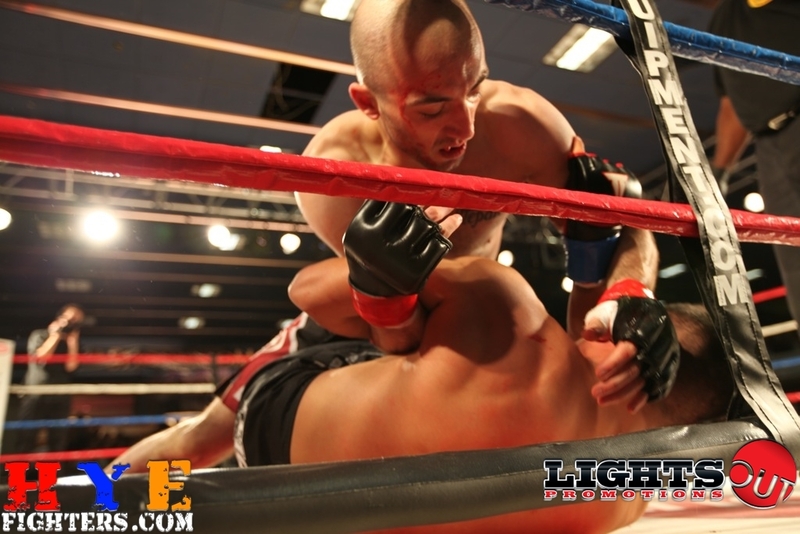 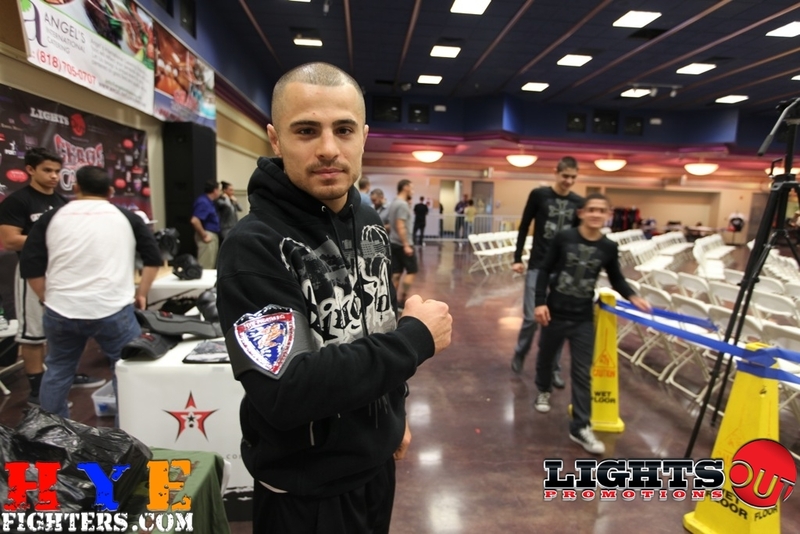 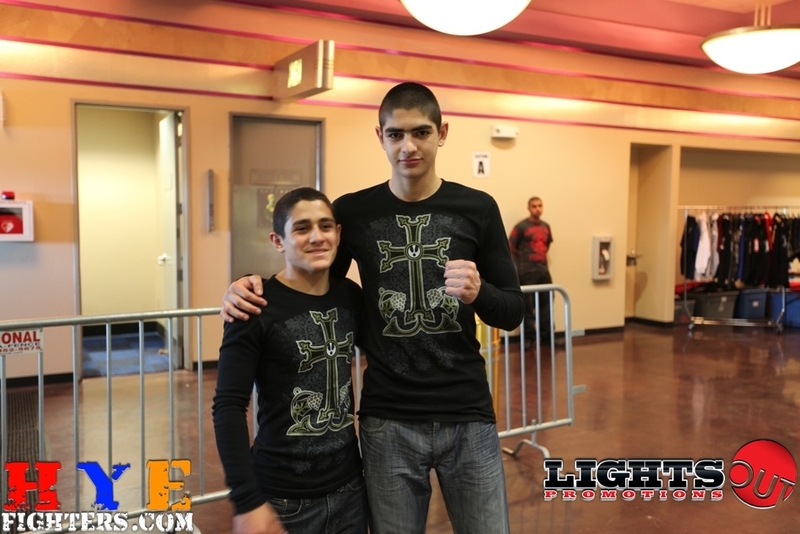 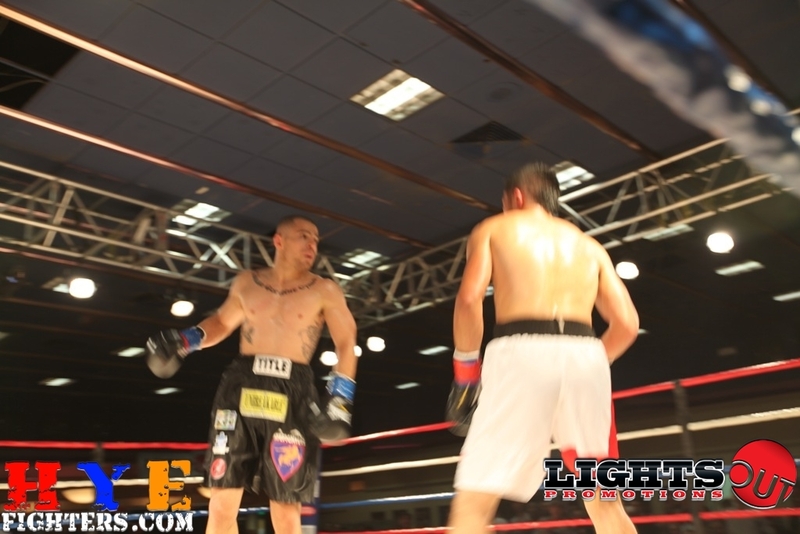 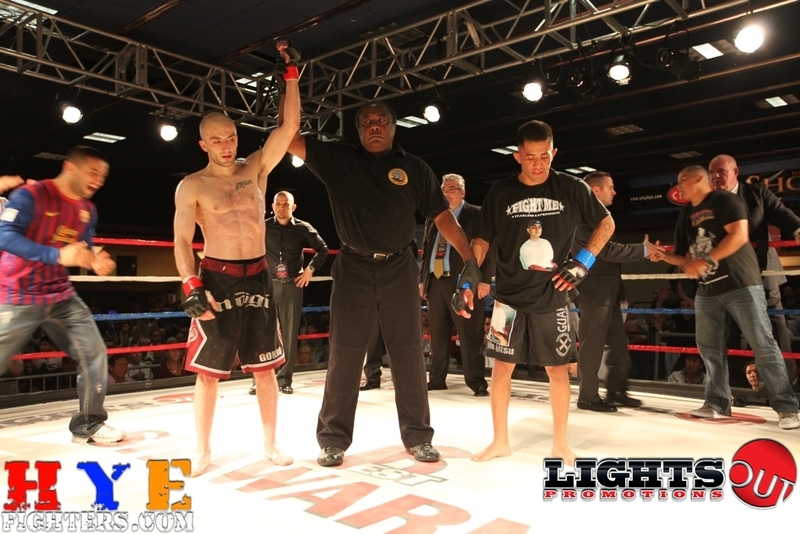 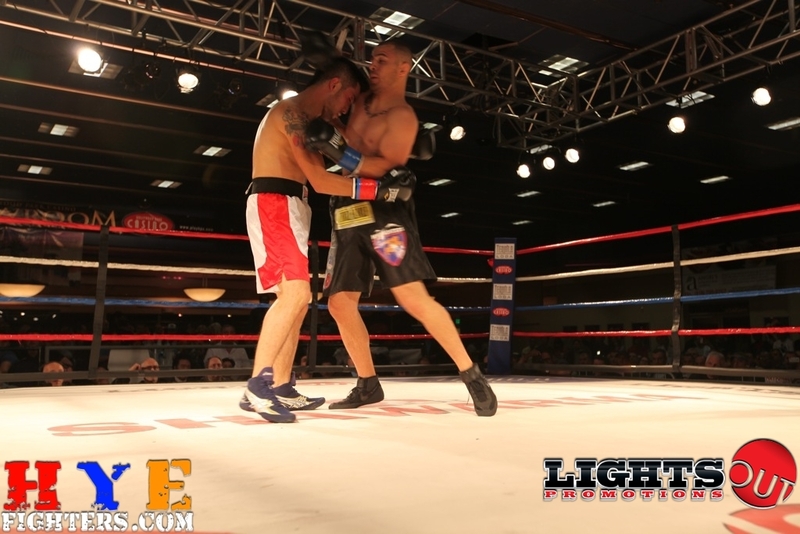 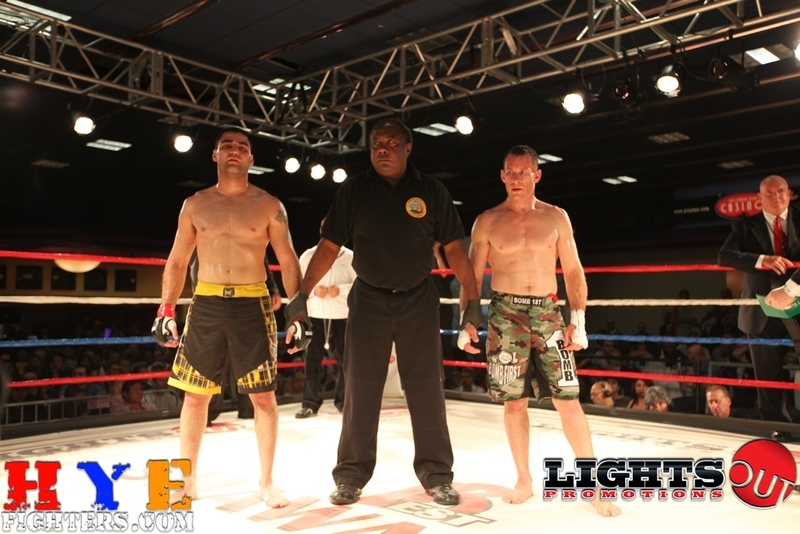 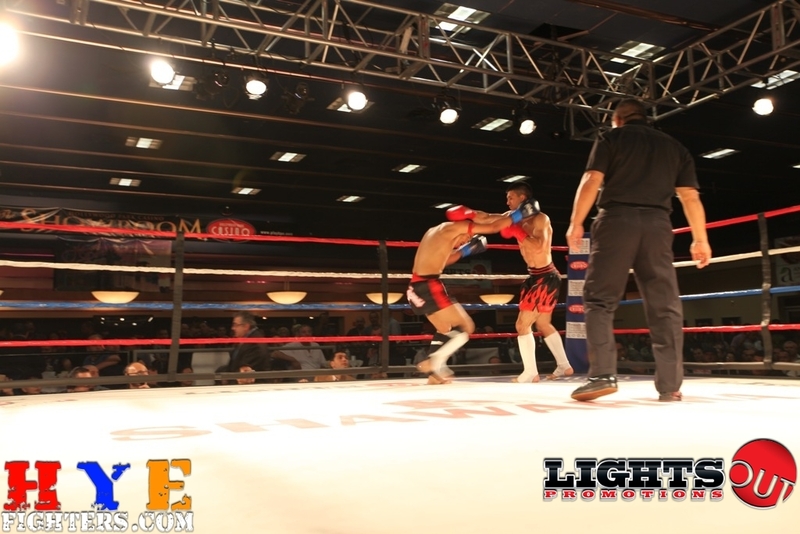 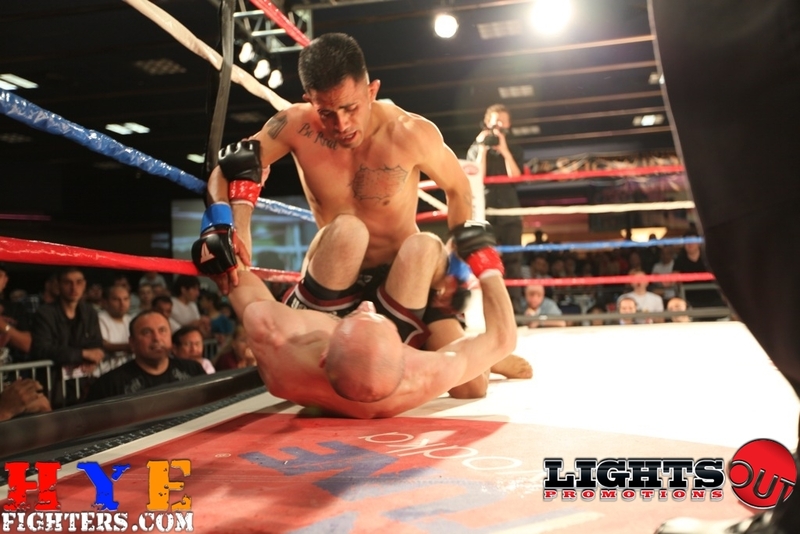 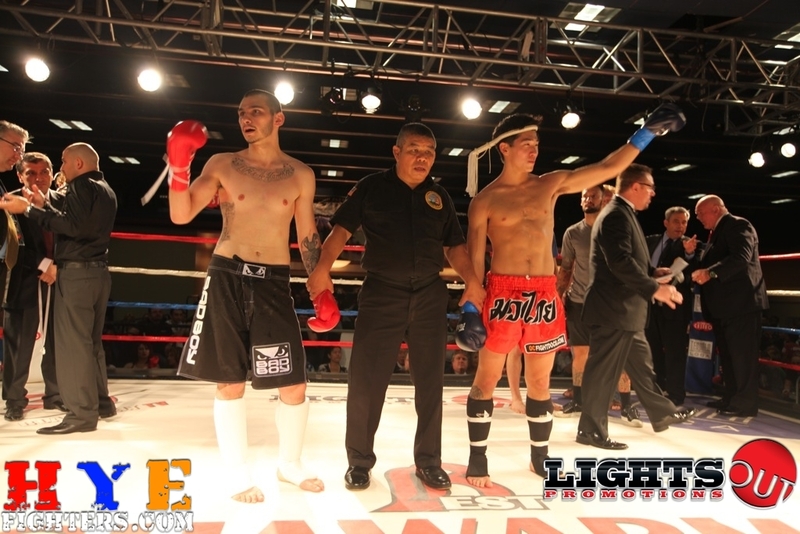 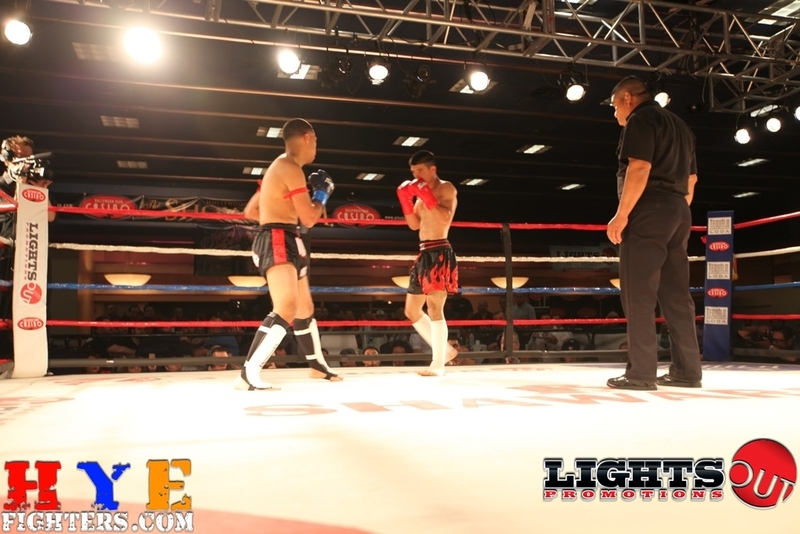 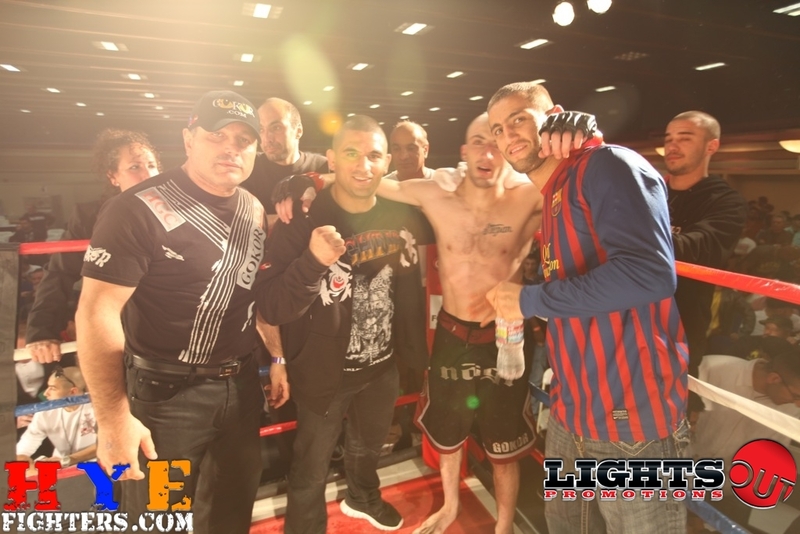 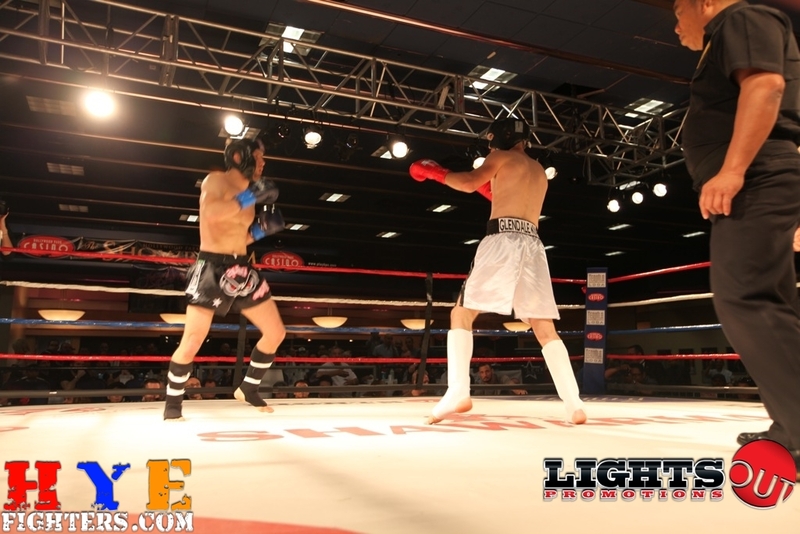 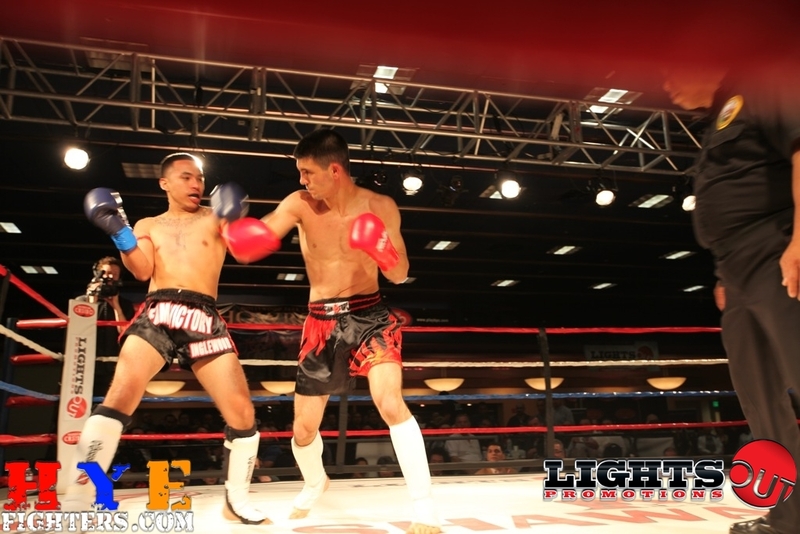 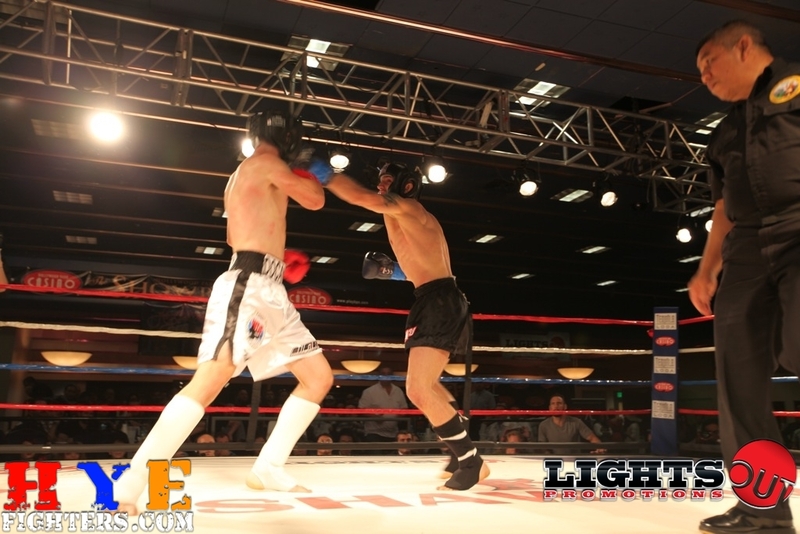 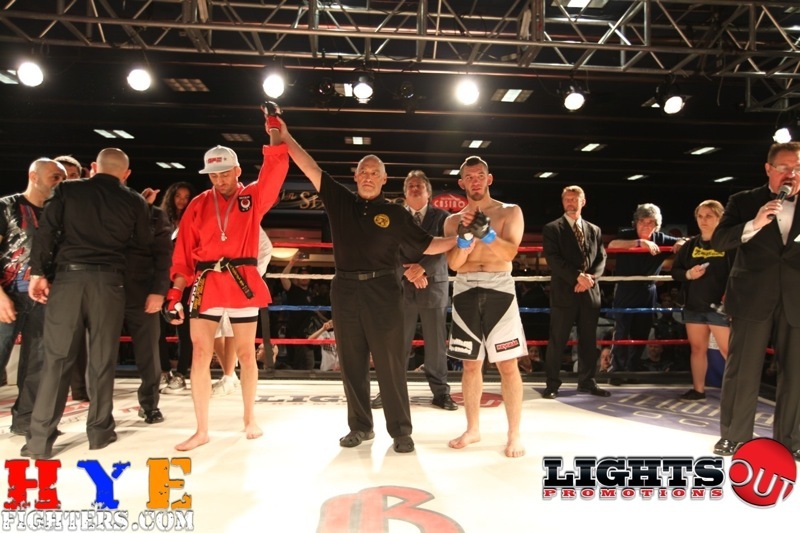 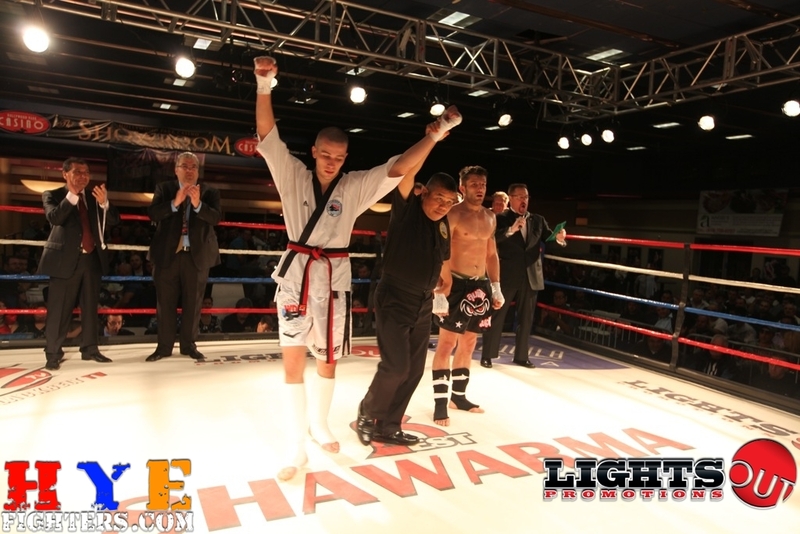 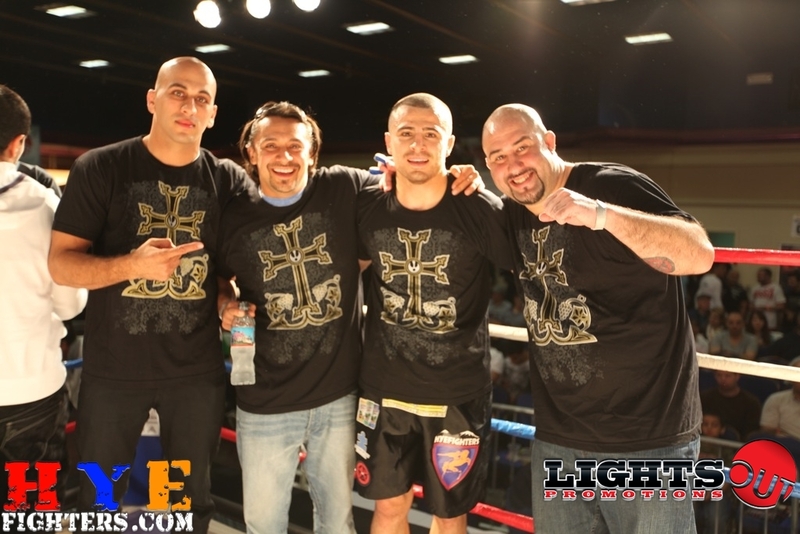 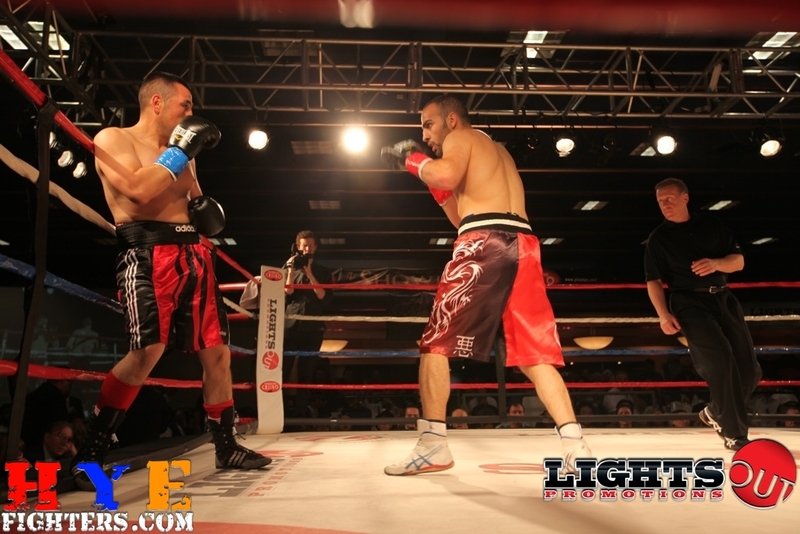 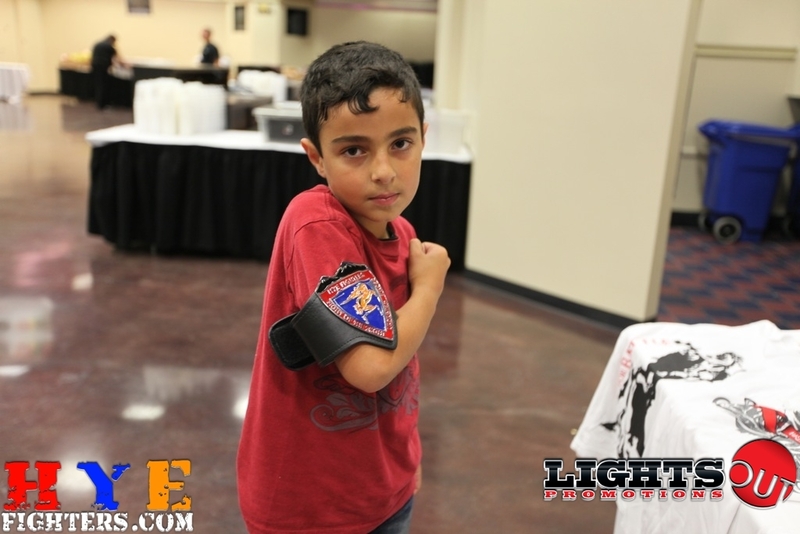 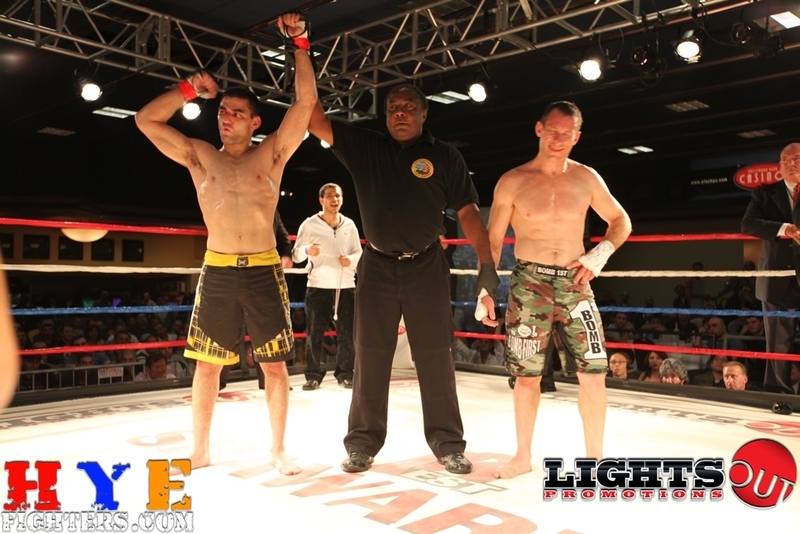 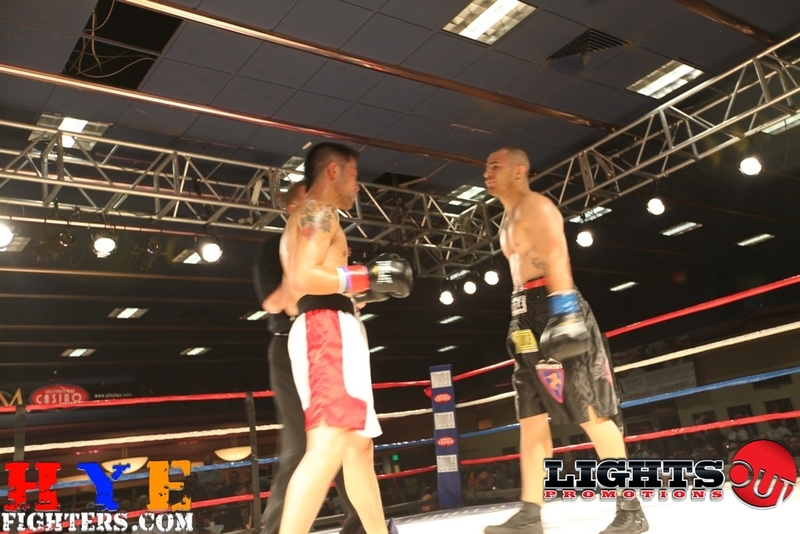 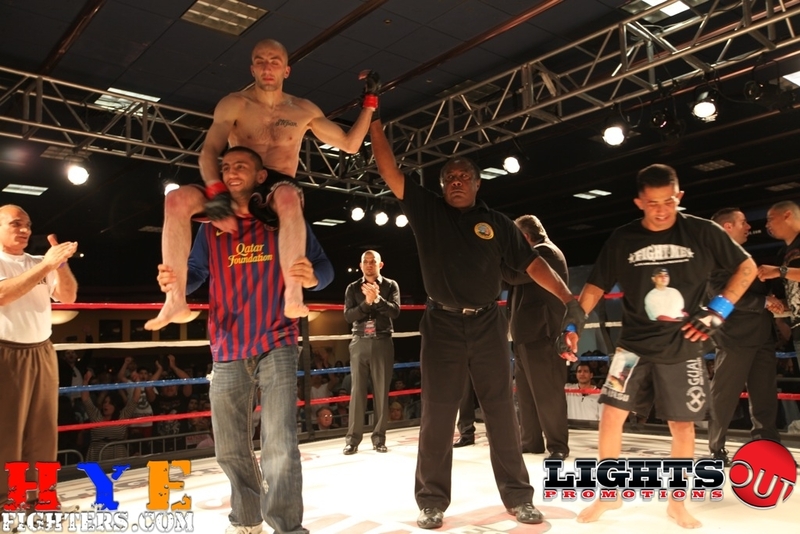 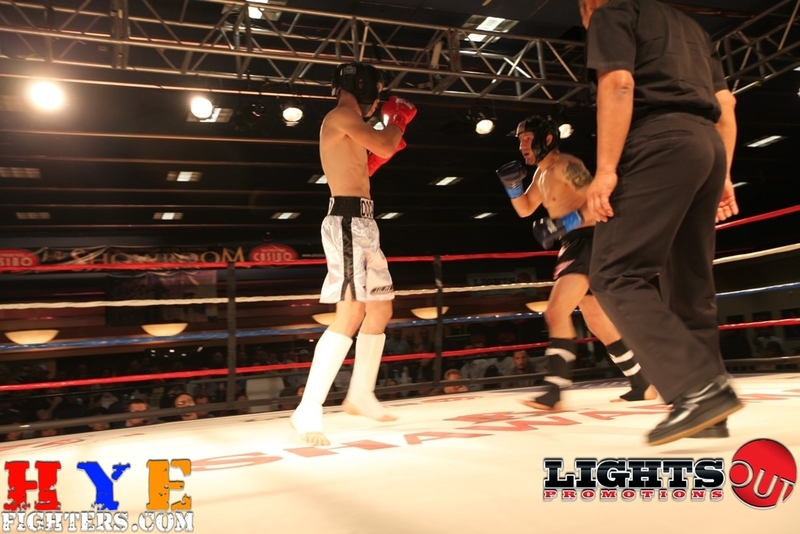 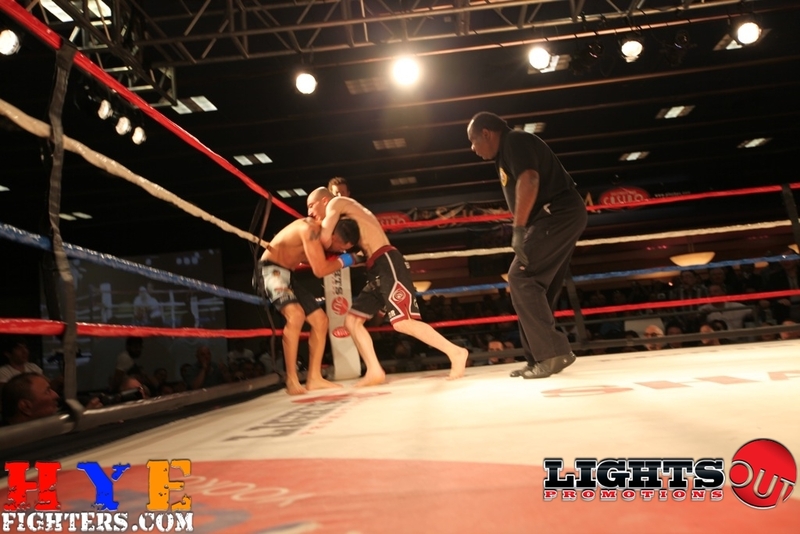 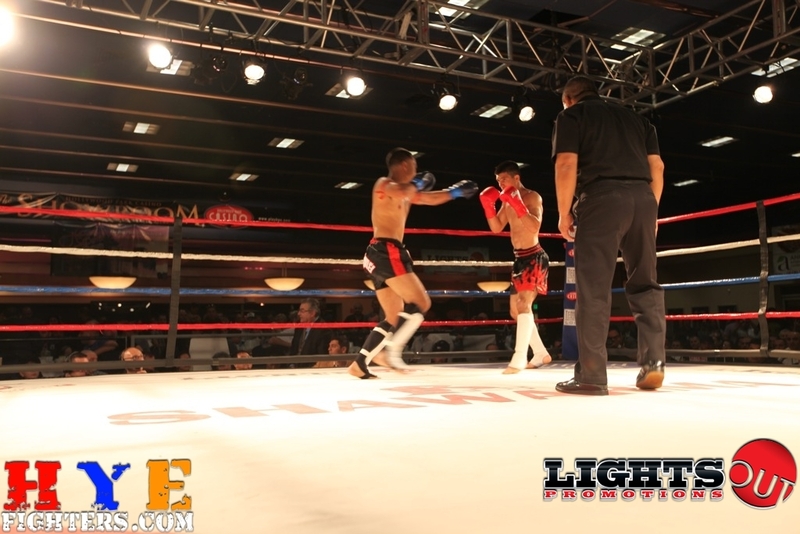 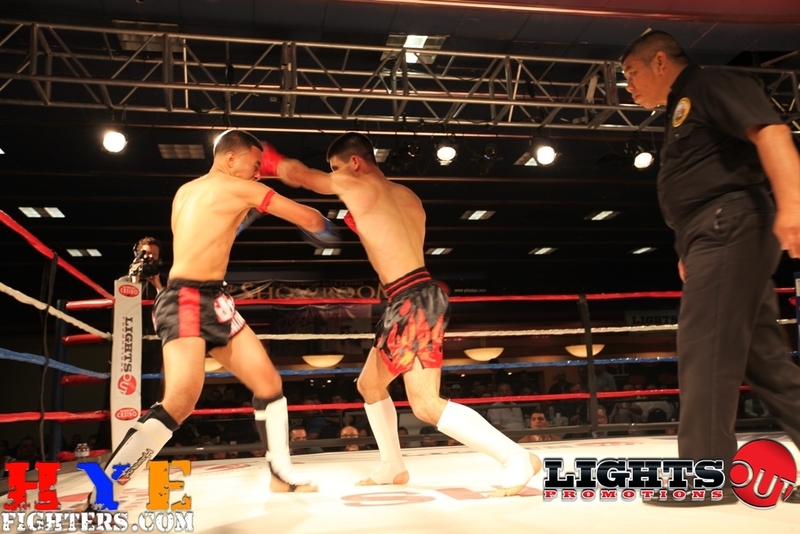 HyeFighters would like to thank Sartonk Designs (web Page) (Facebook Page) for the Bicep Belts given to these fighters.